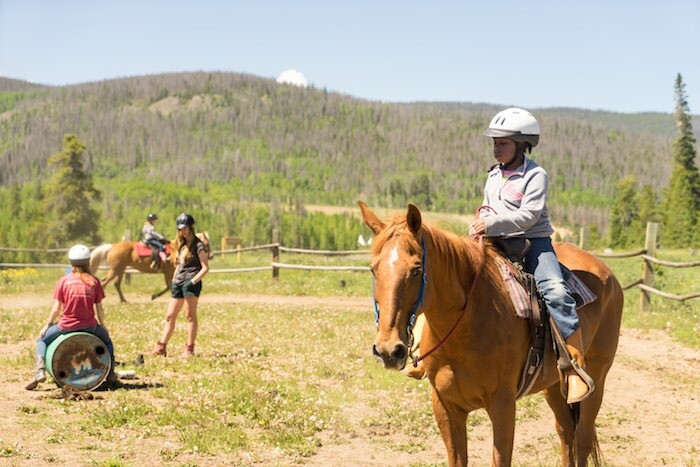 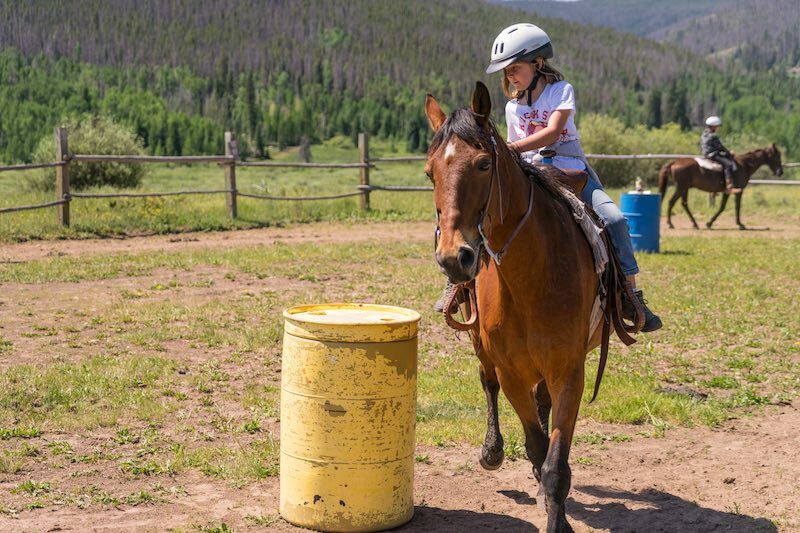 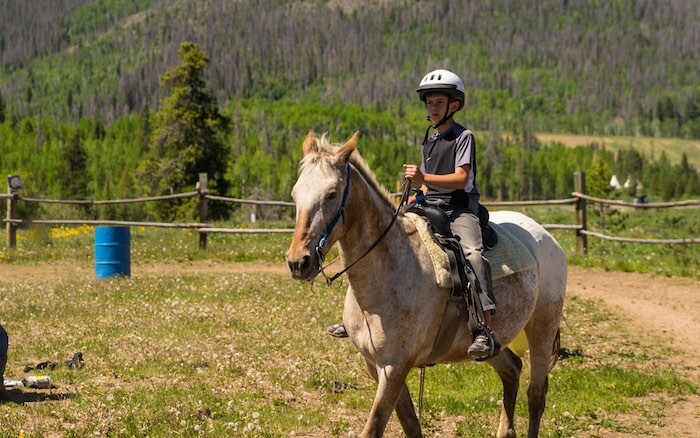 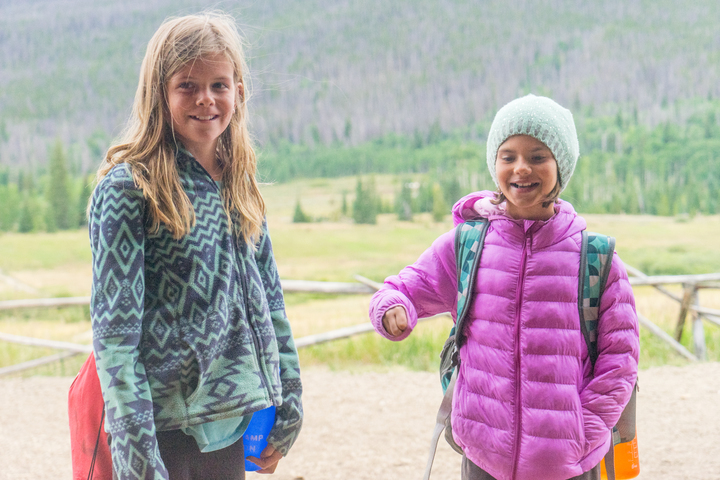 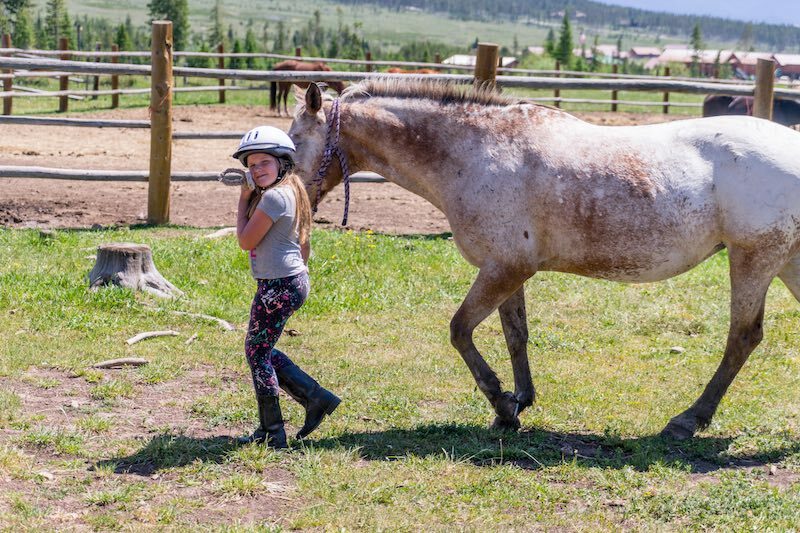 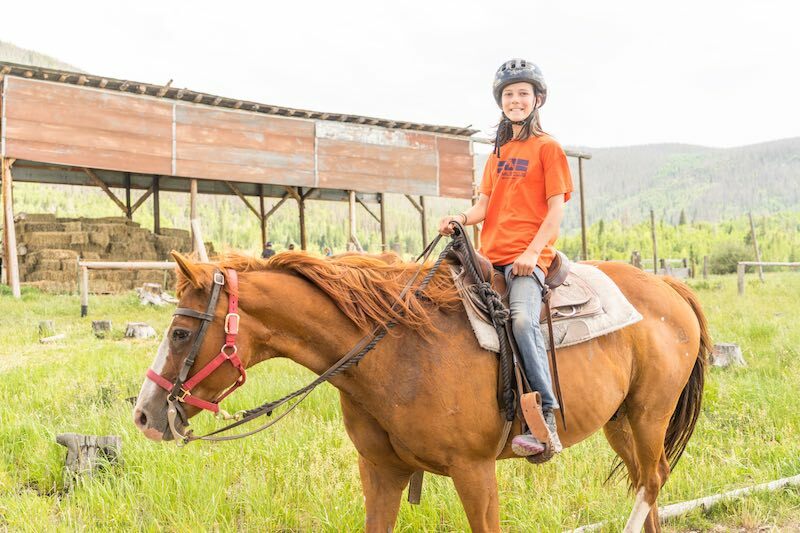 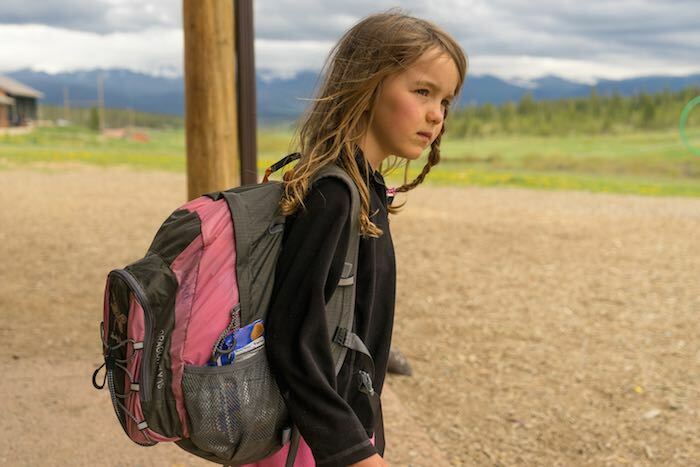 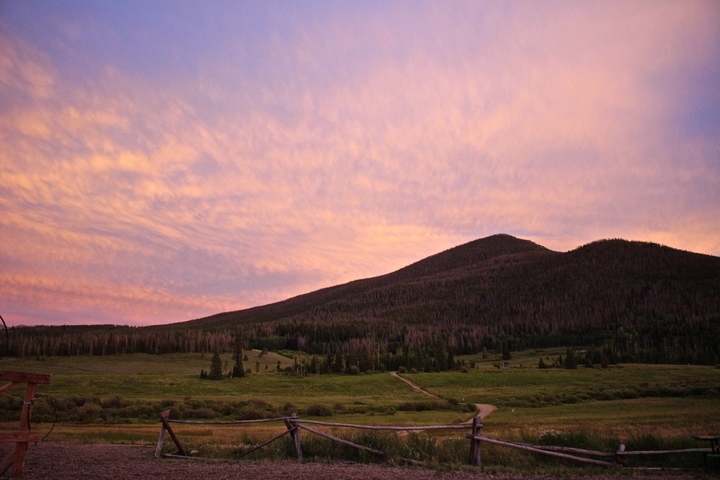 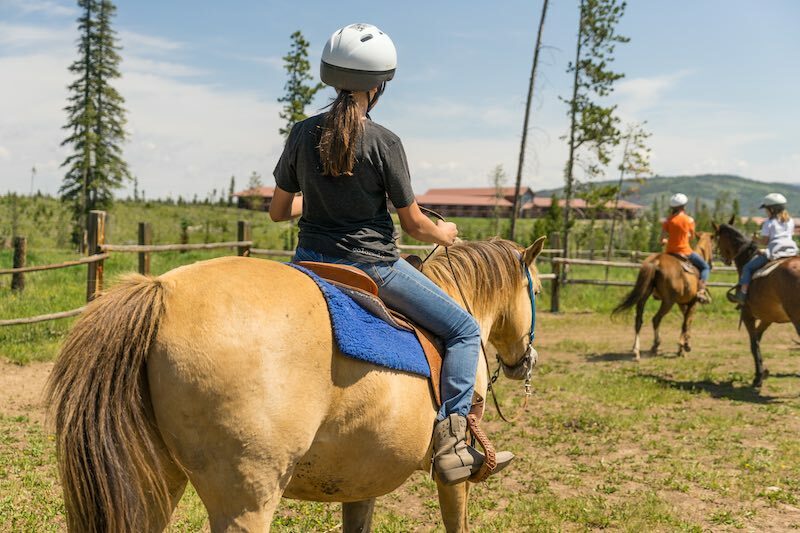 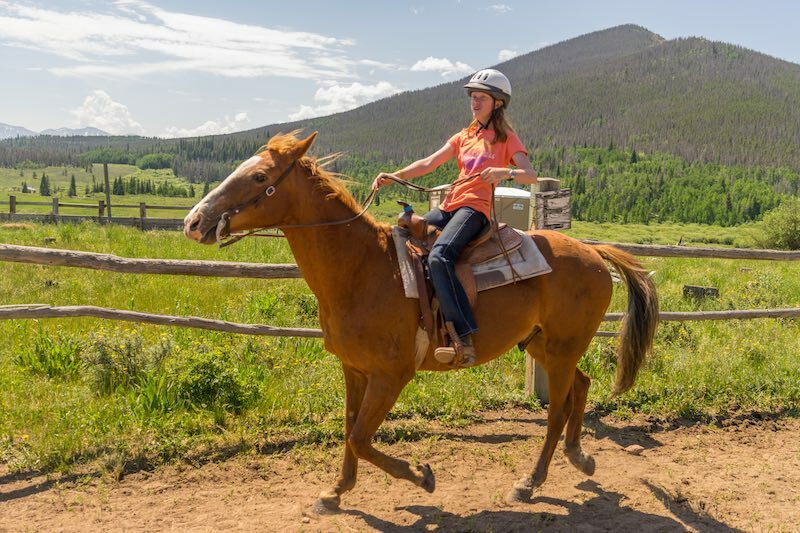 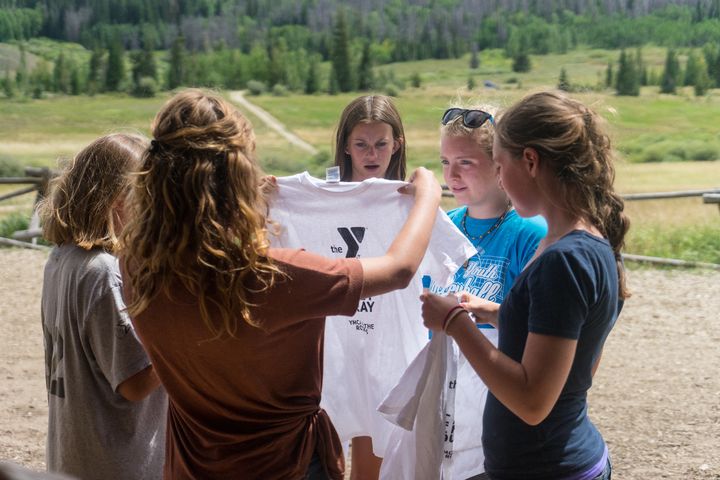 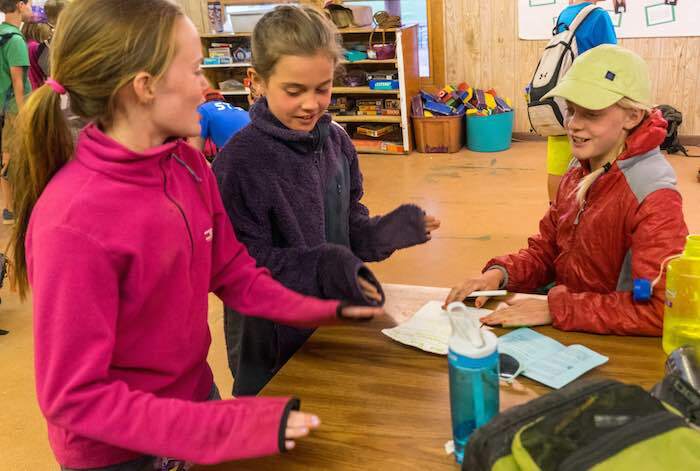 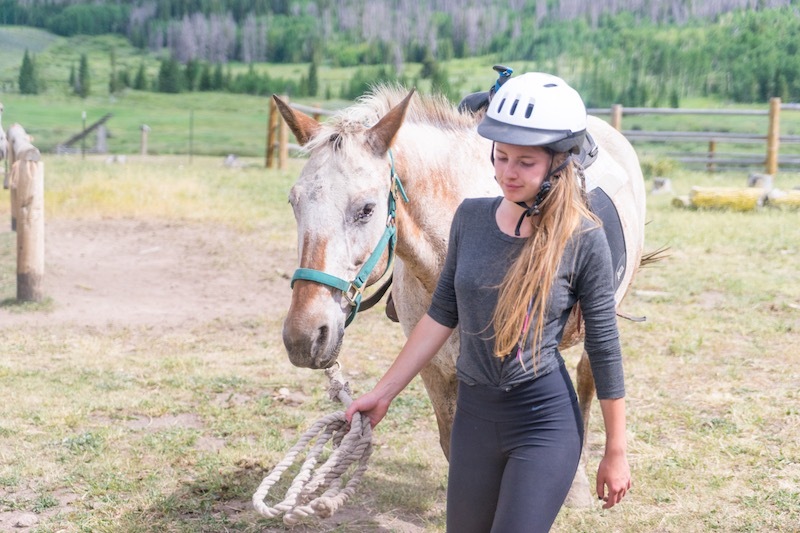 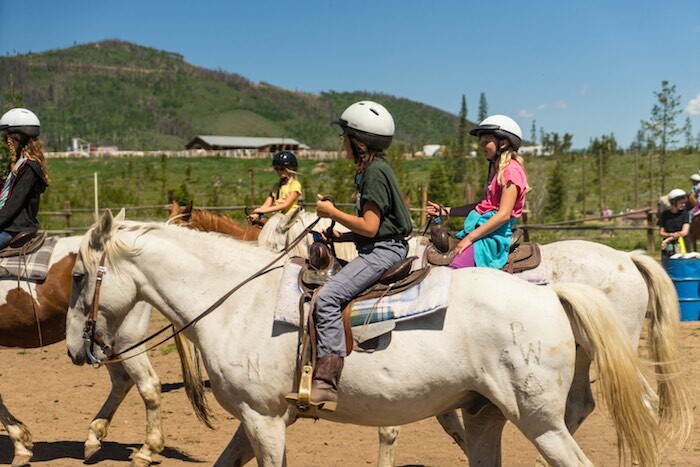 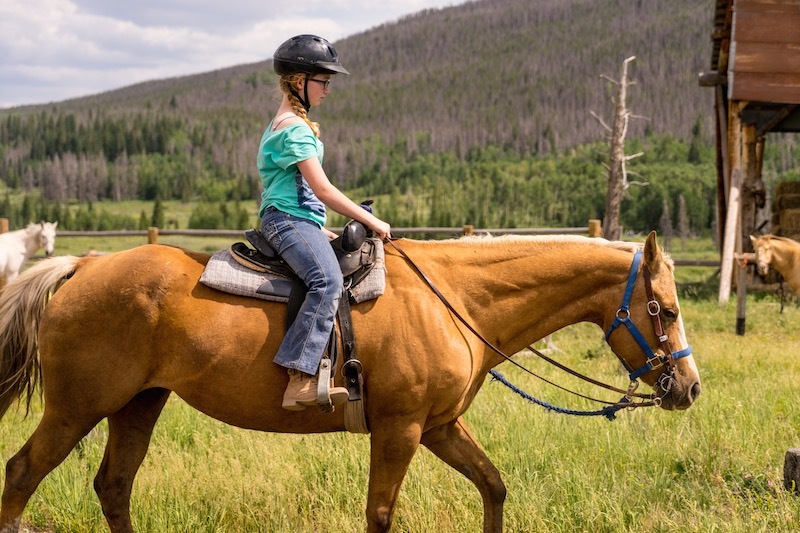 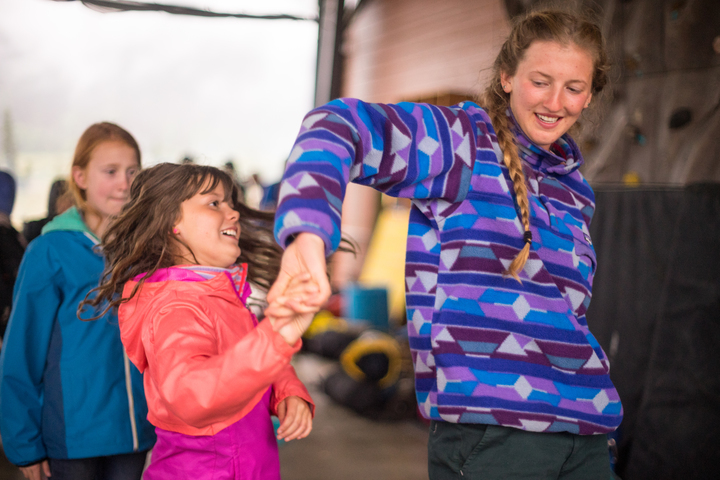 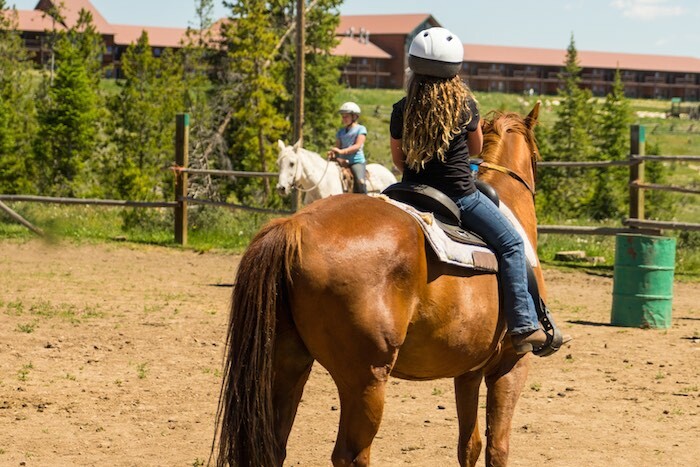 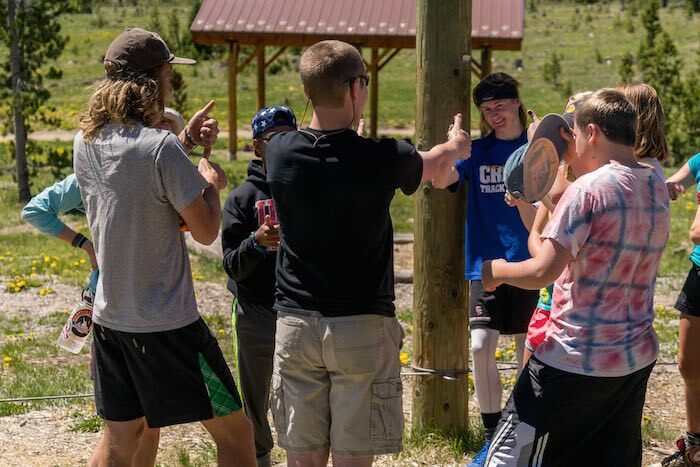 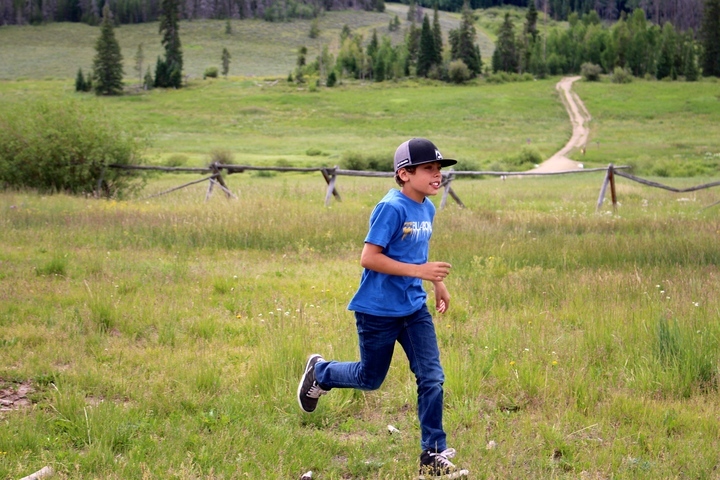 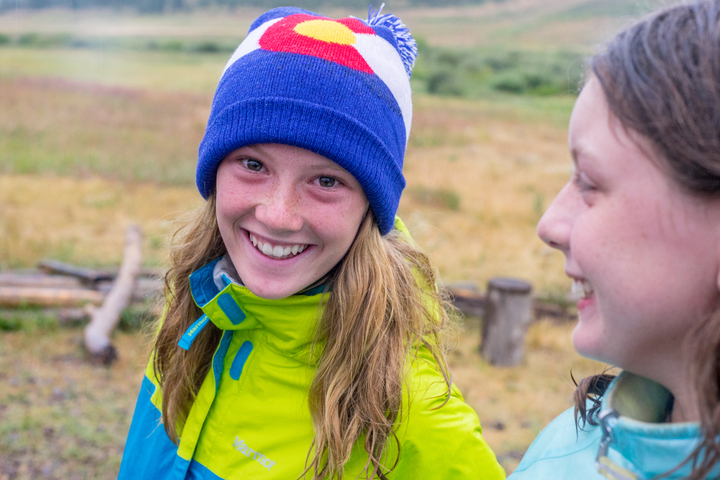 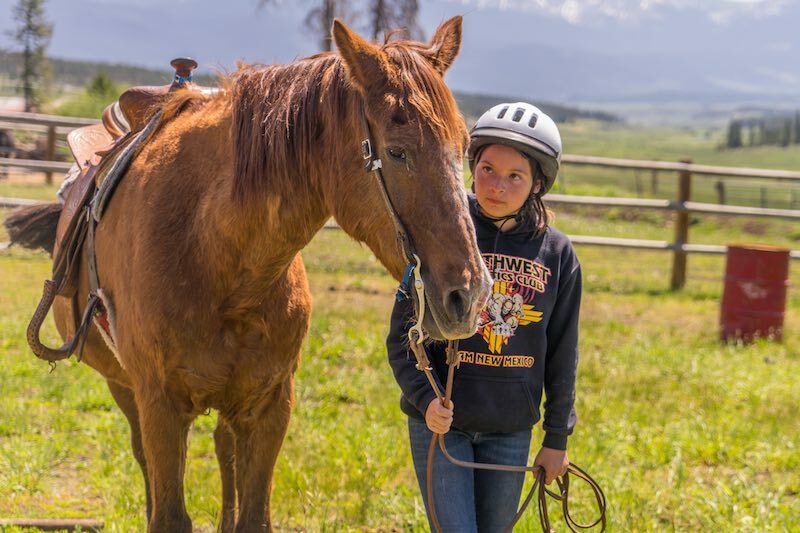 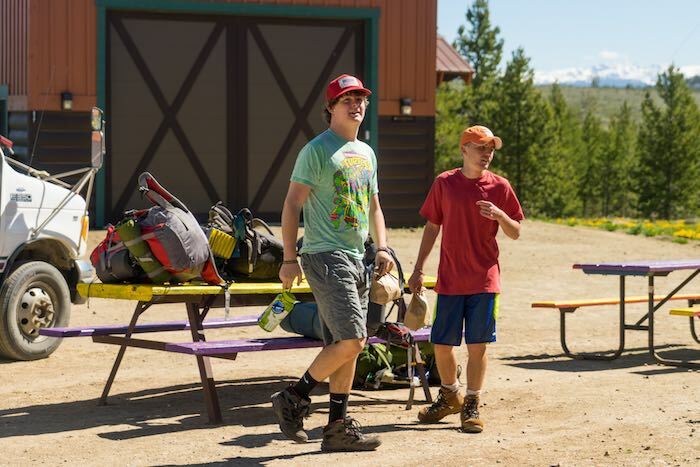 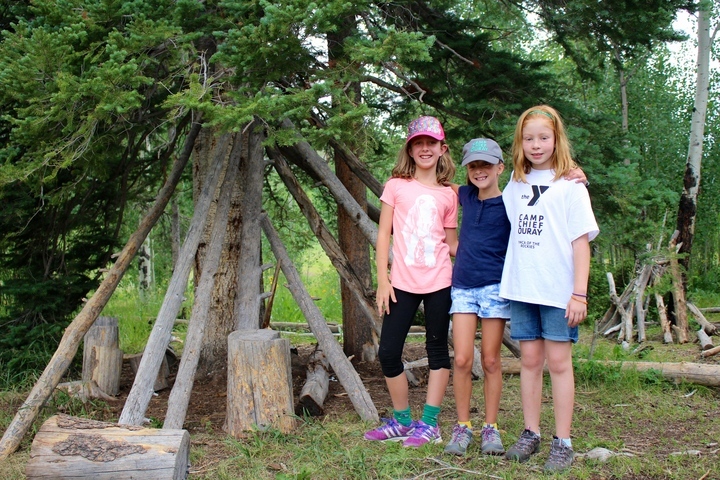 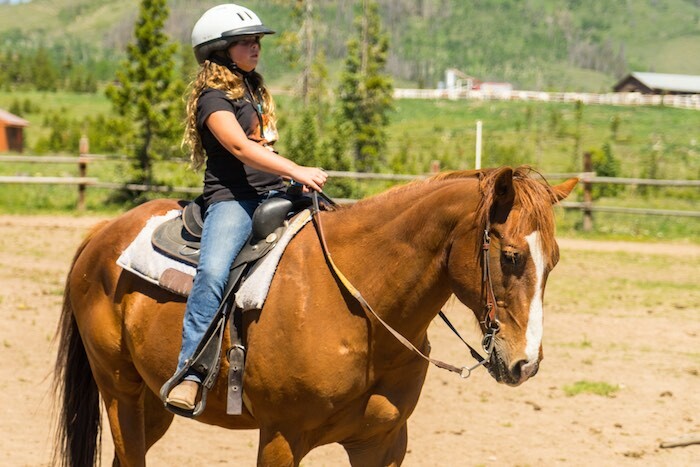 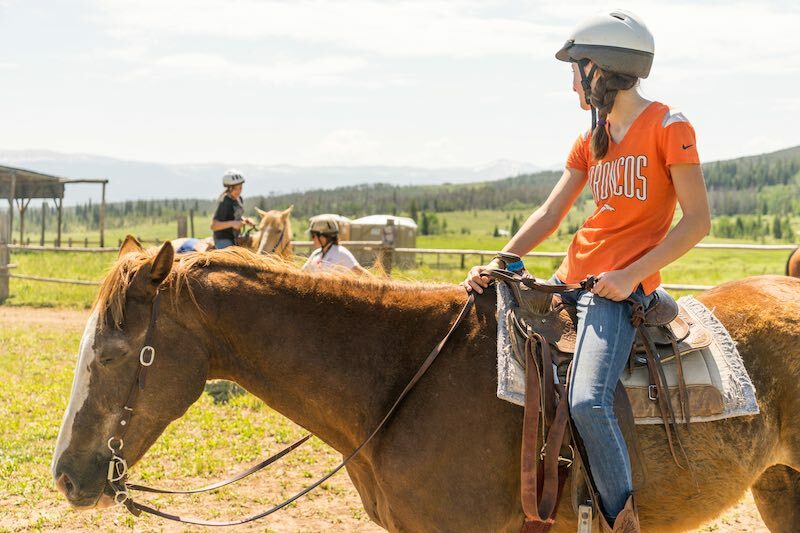 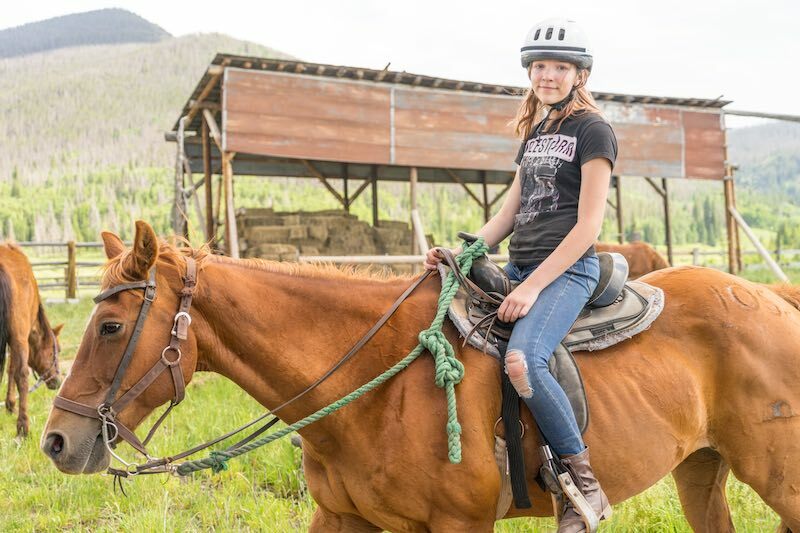 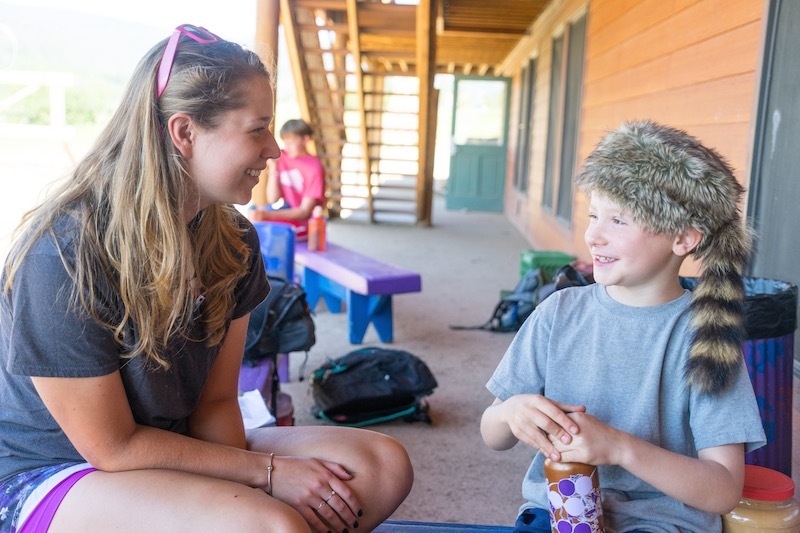 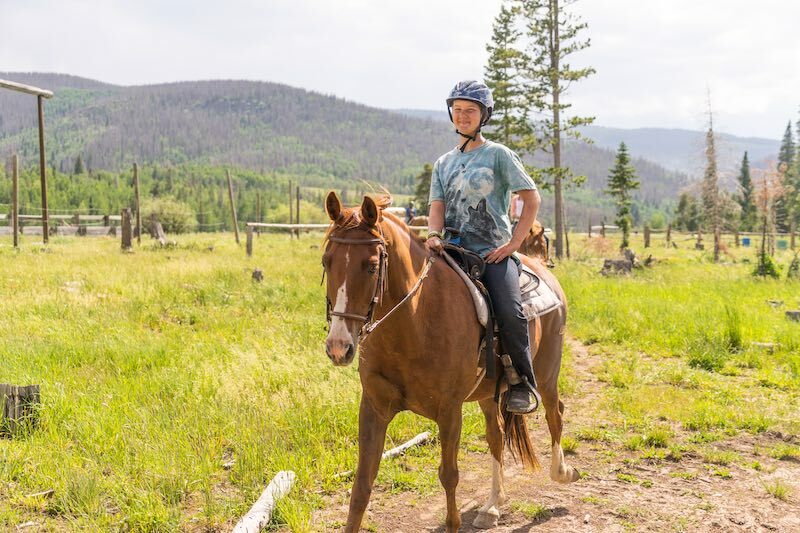 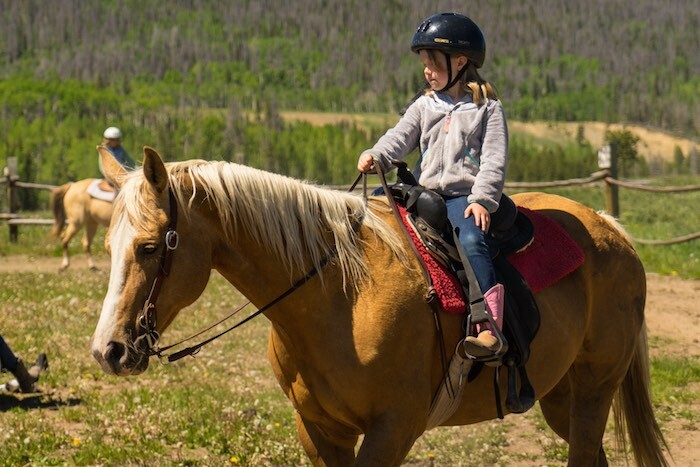 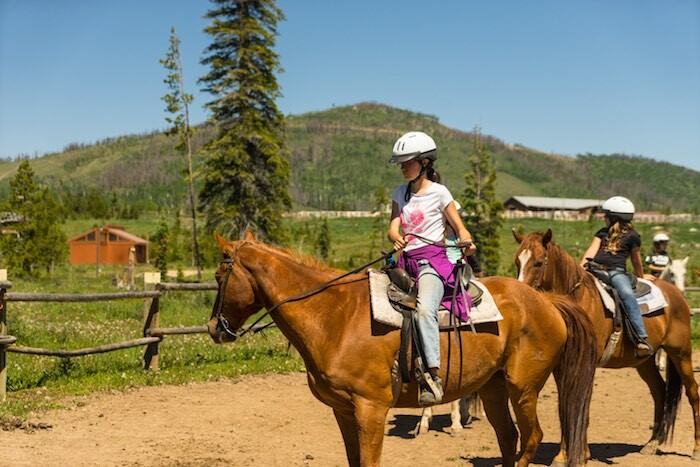 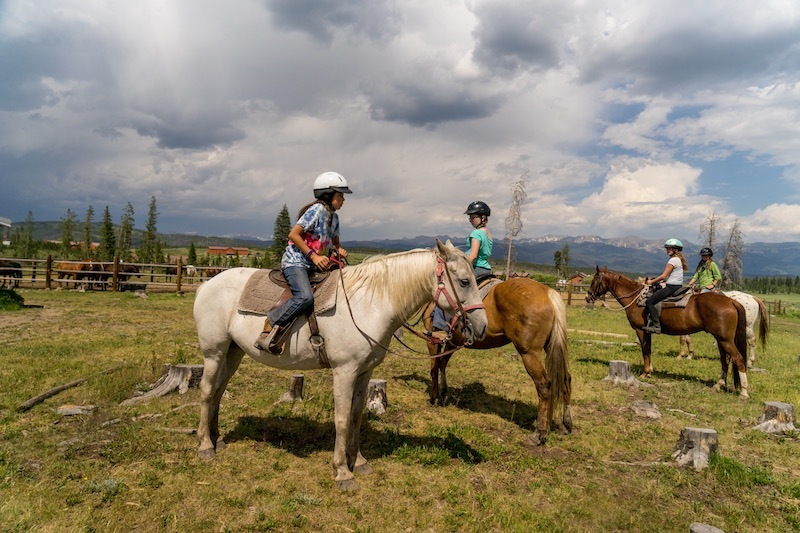 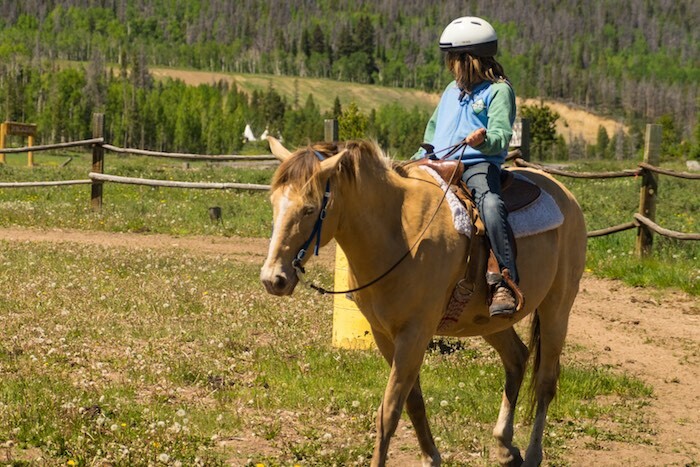 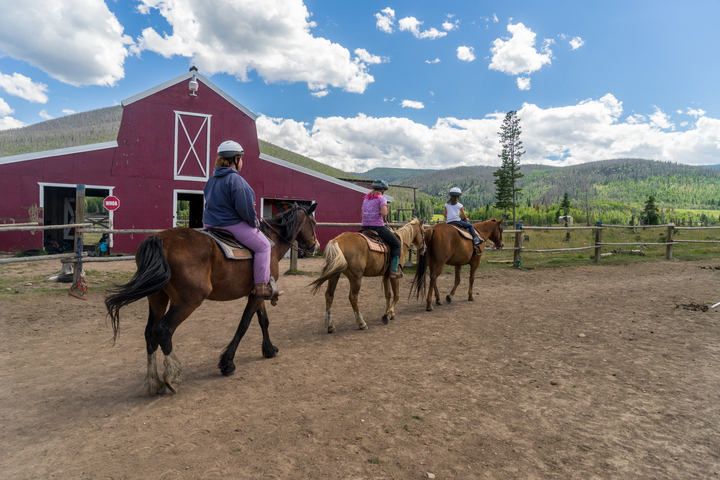 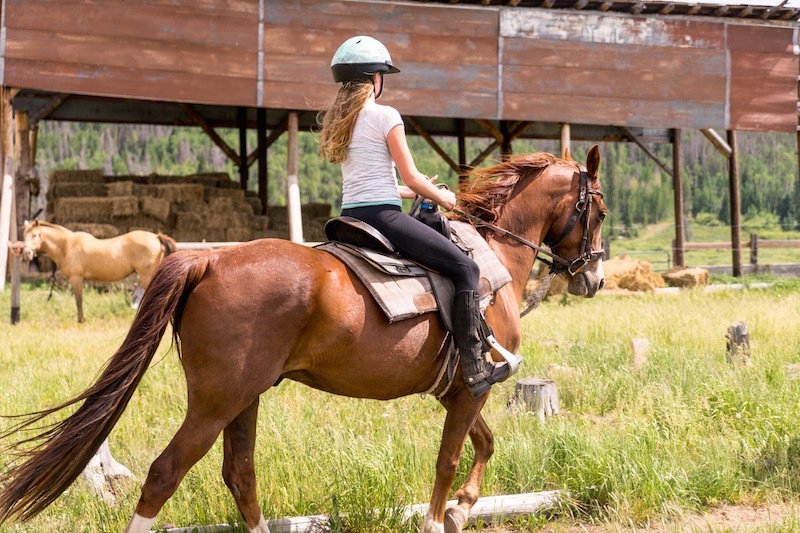 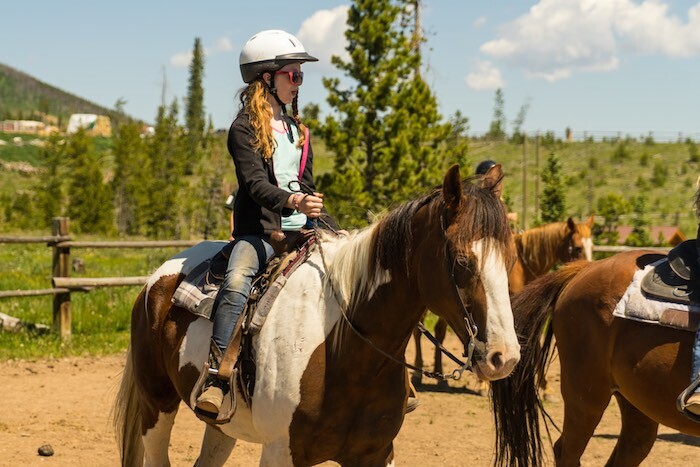 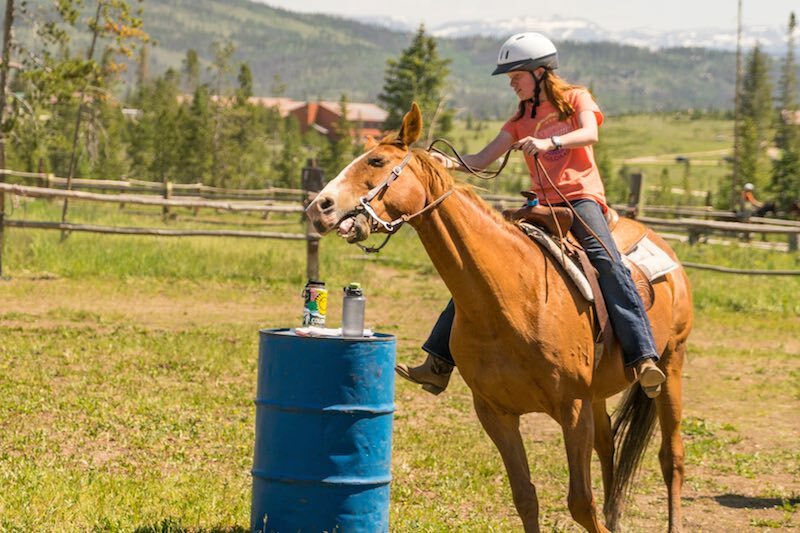 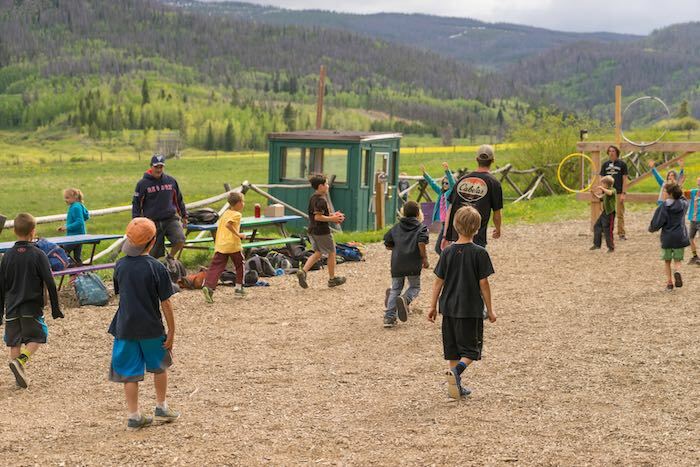 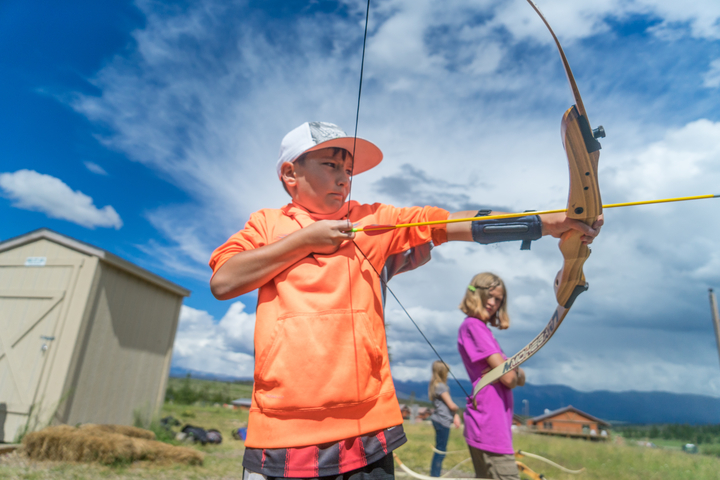 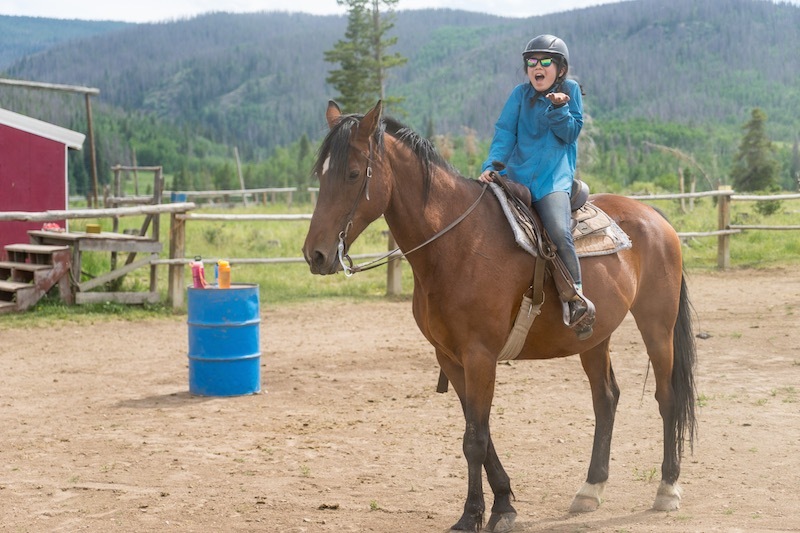 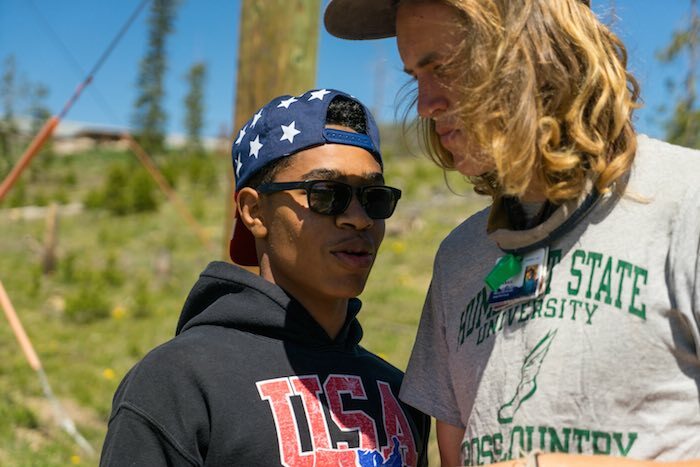 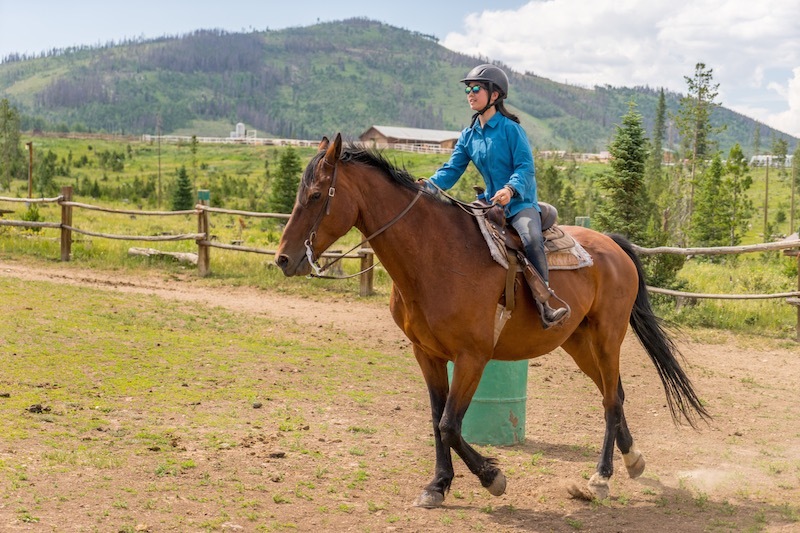 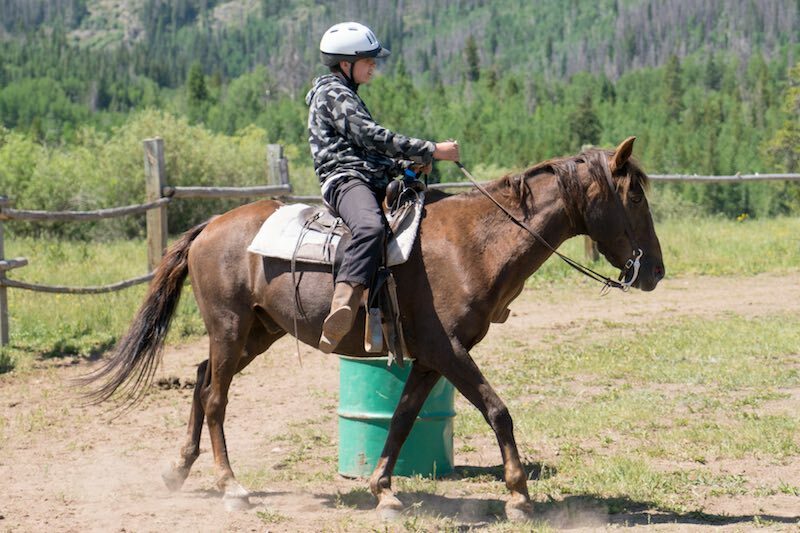 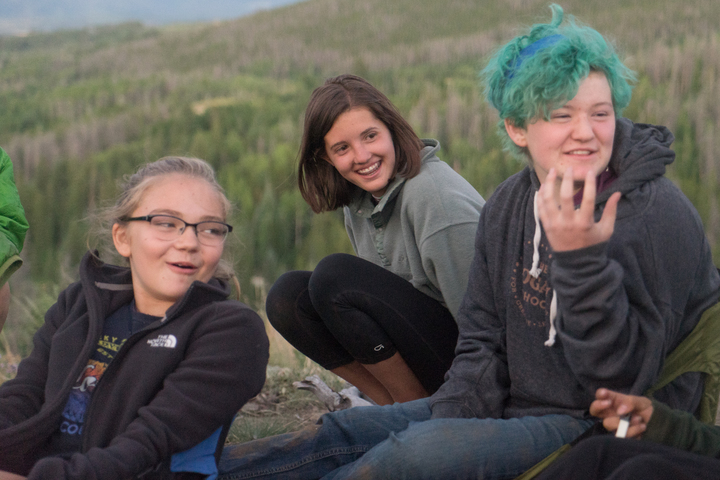 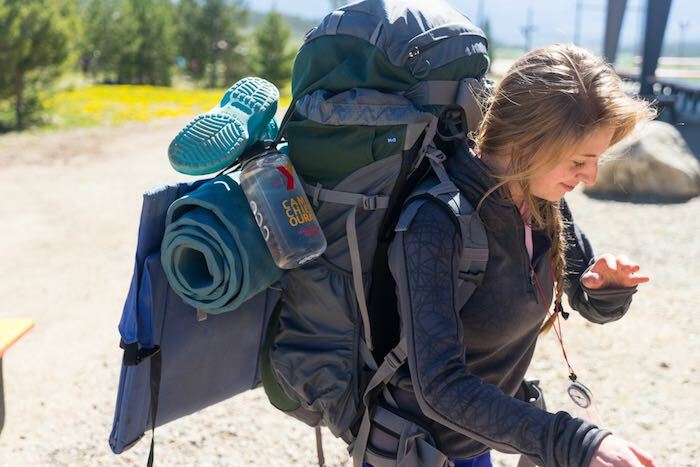 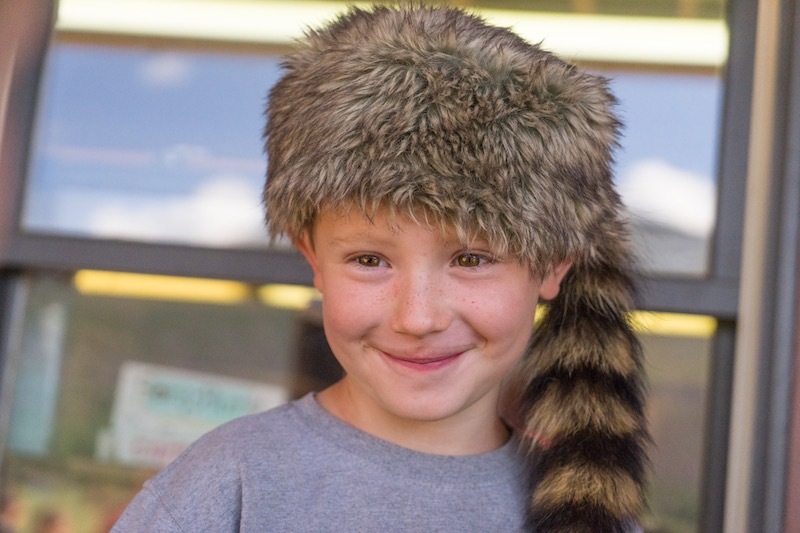 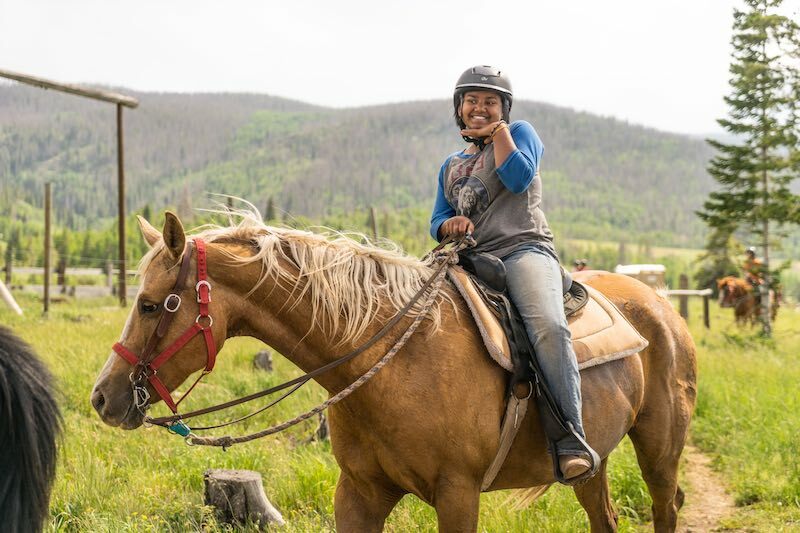 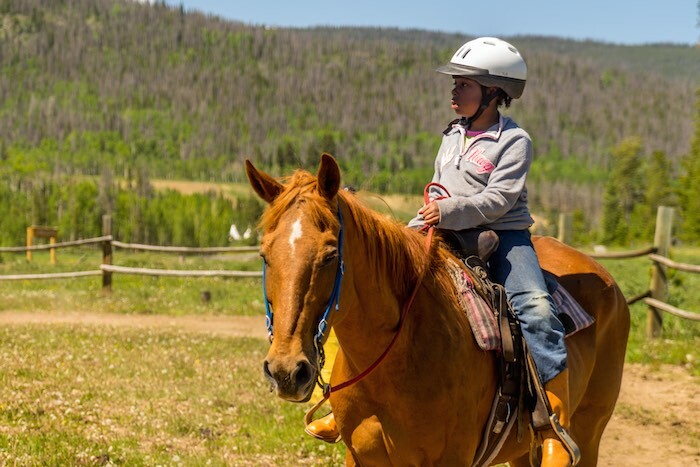 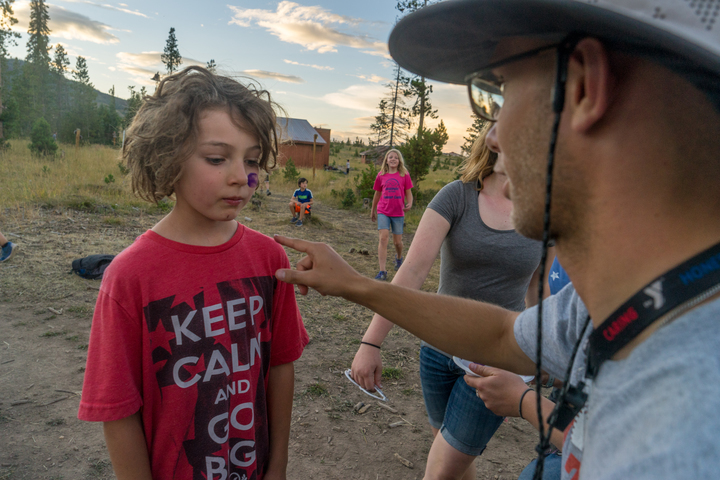 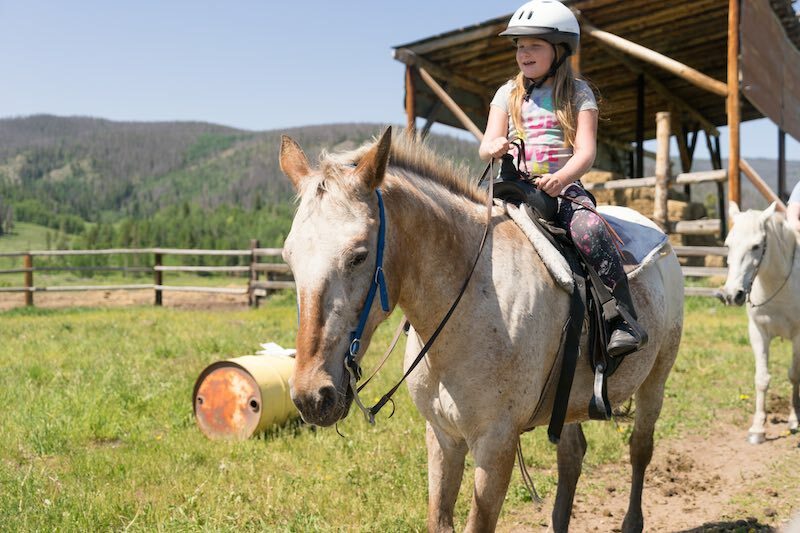 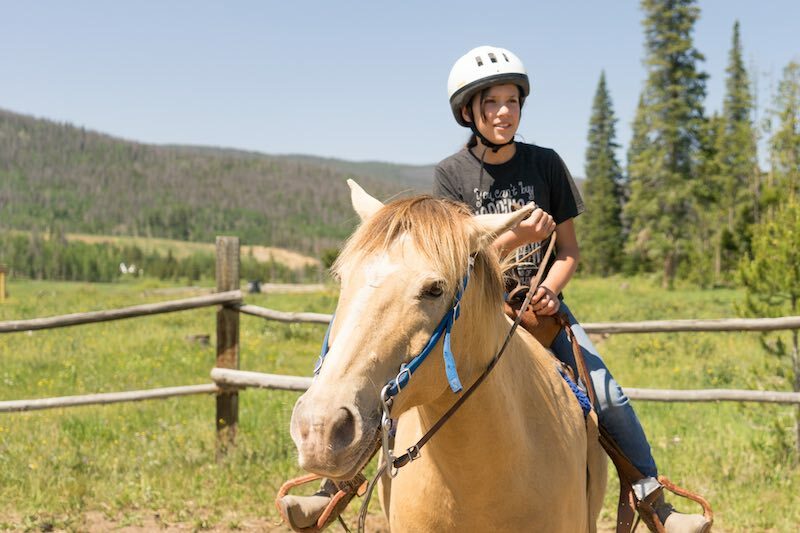 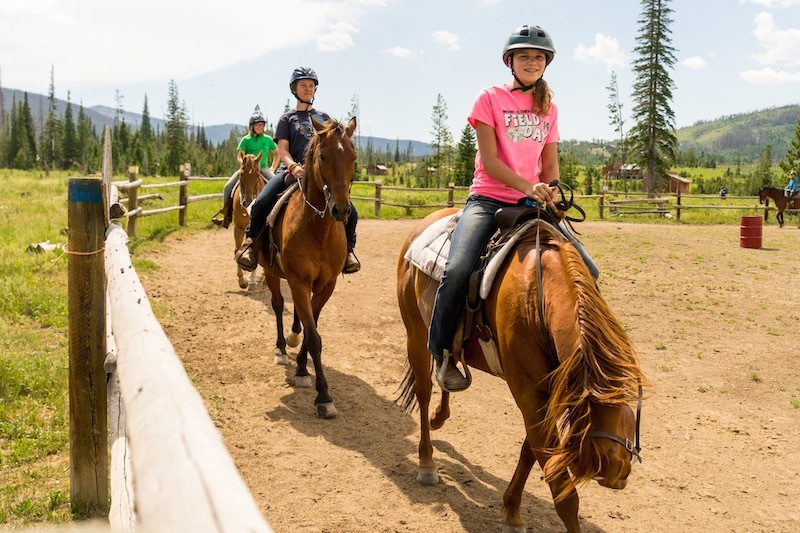 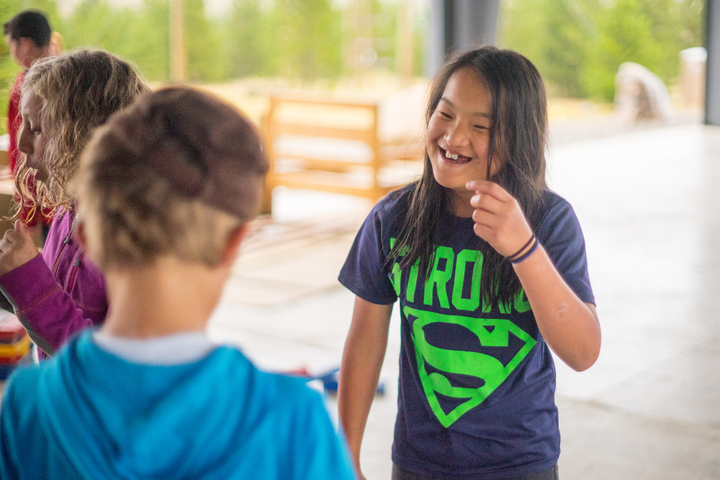 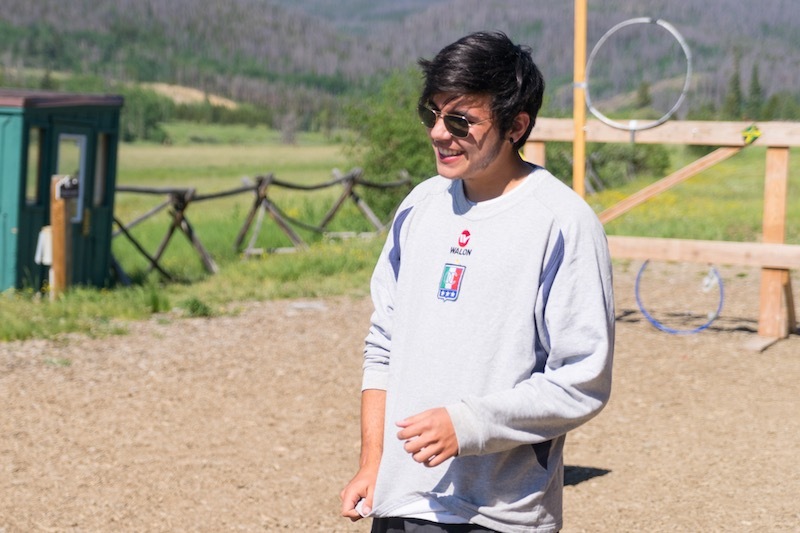 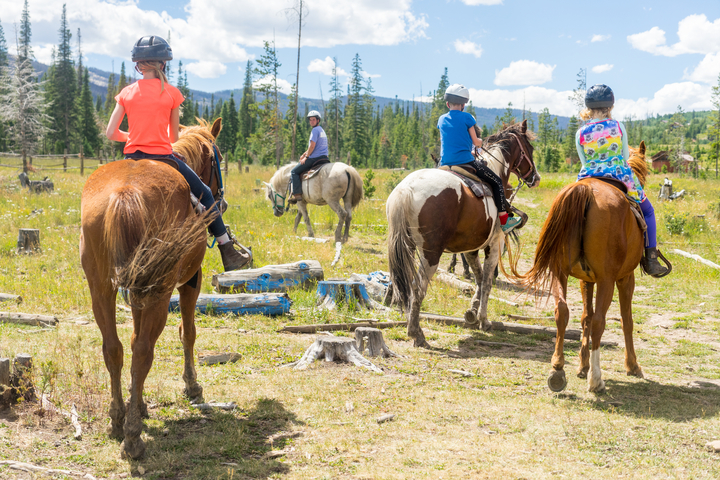 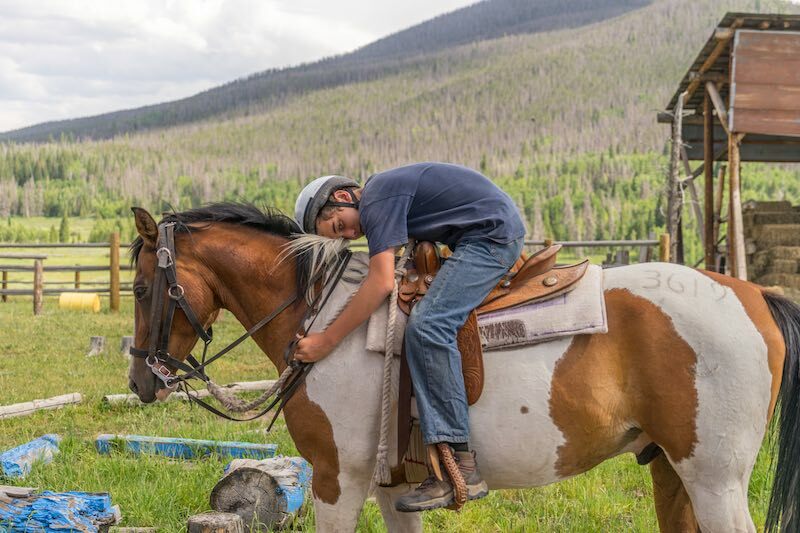 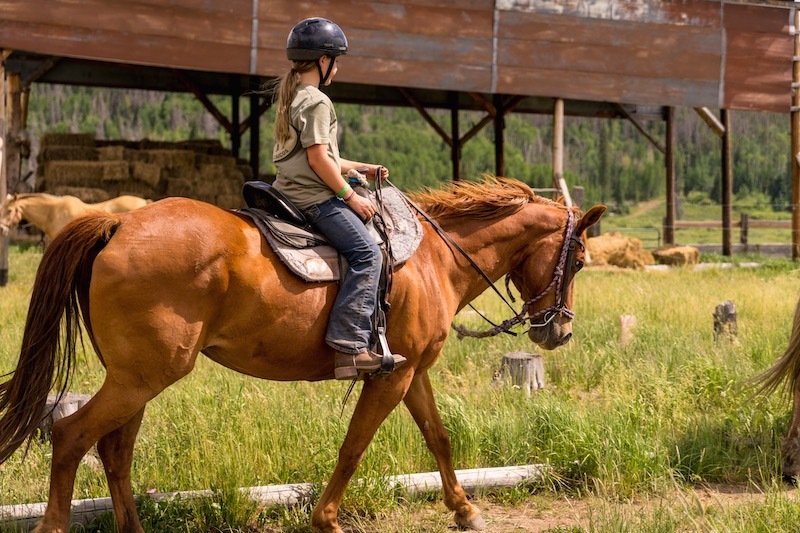 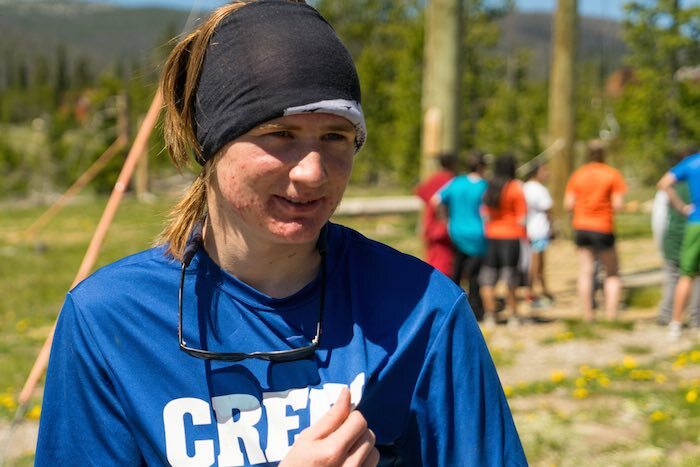 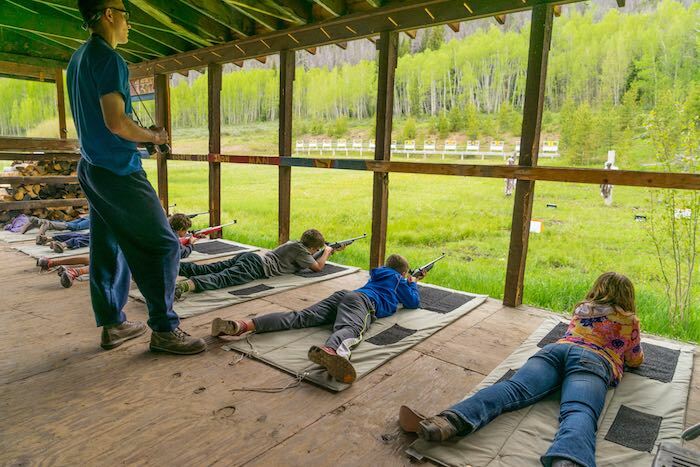 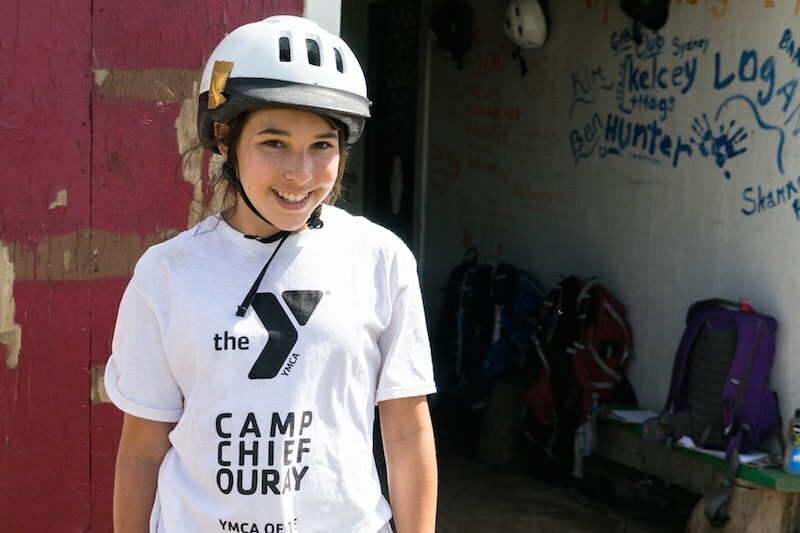 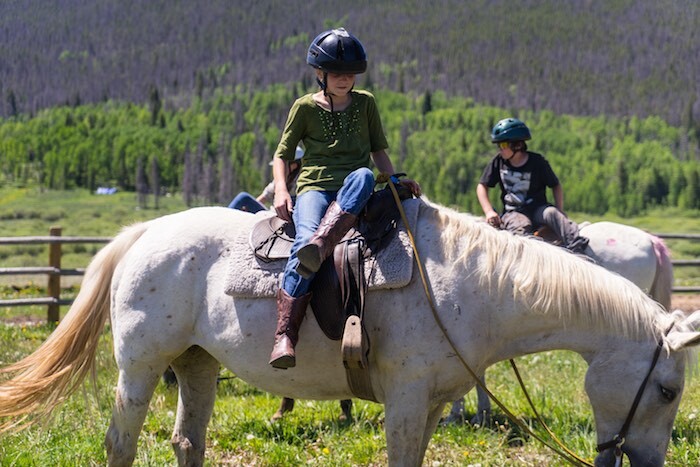 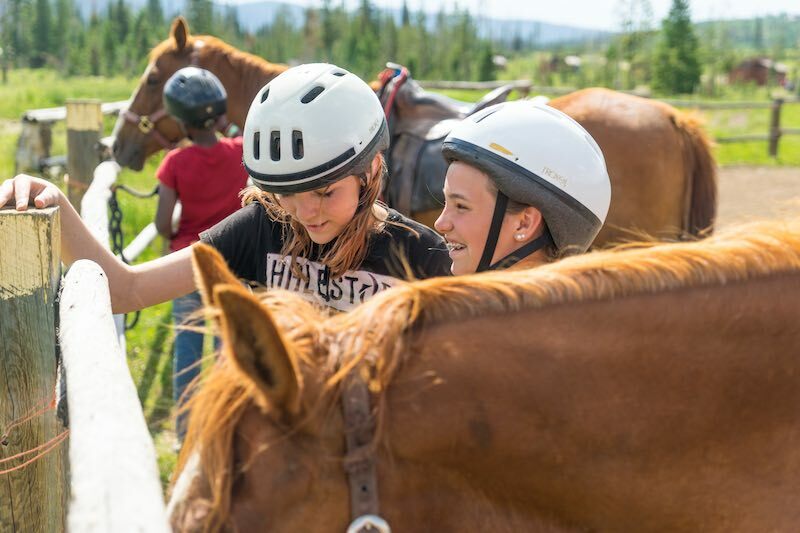 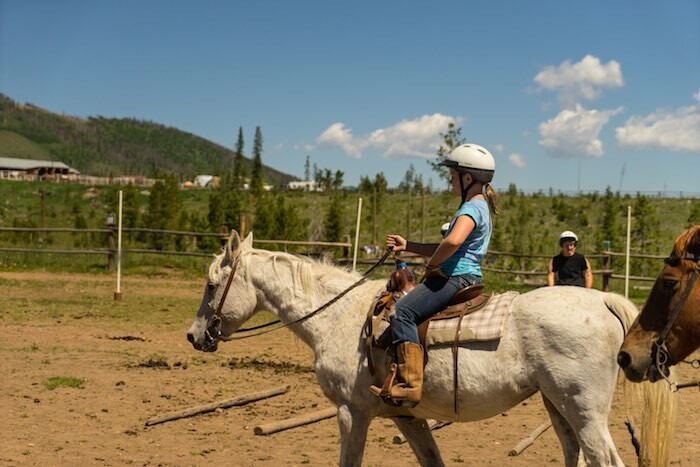 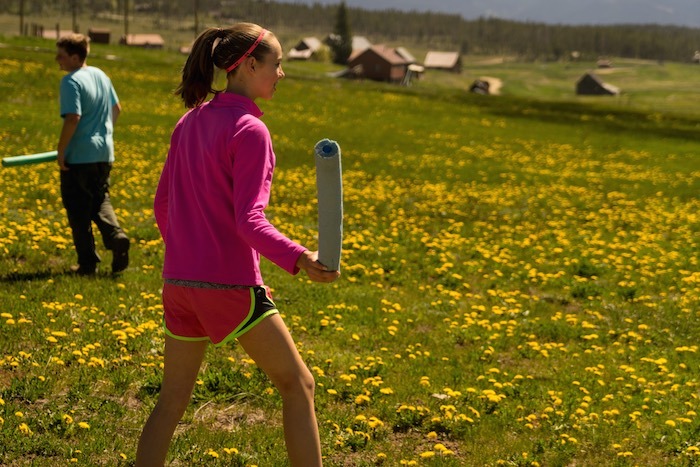 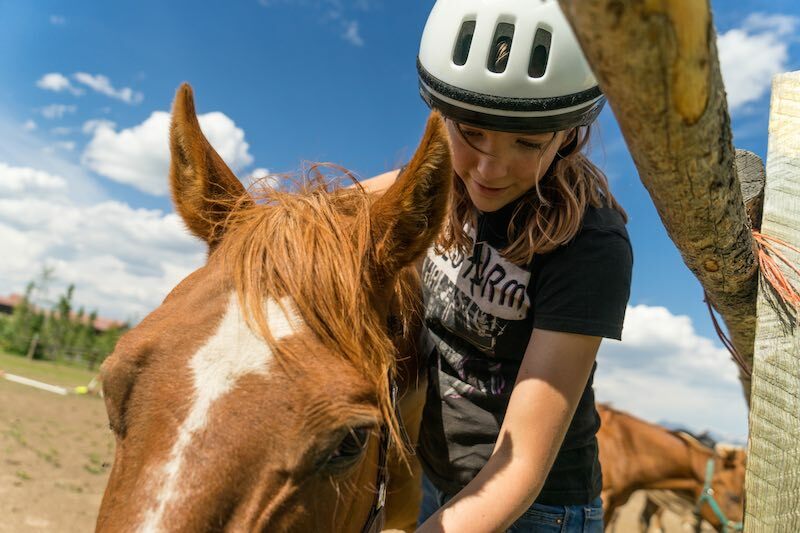 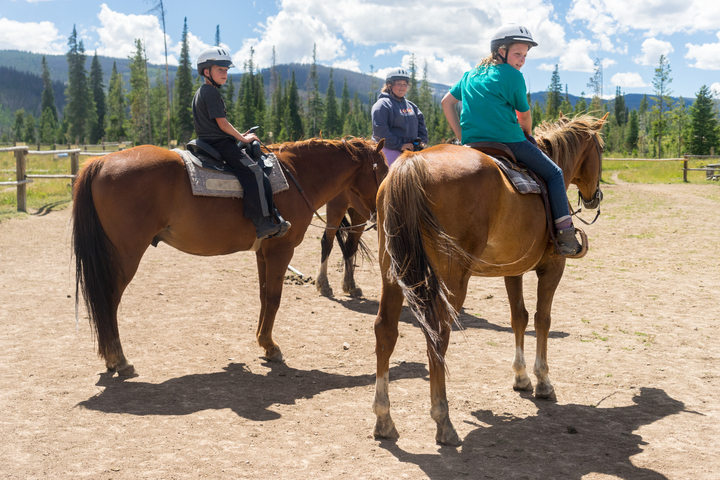 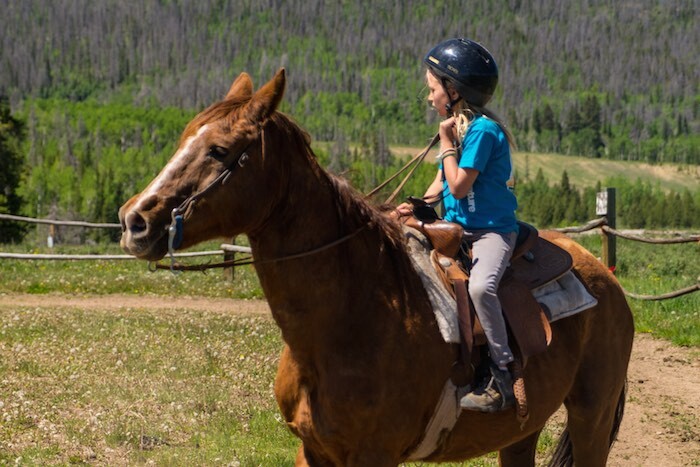 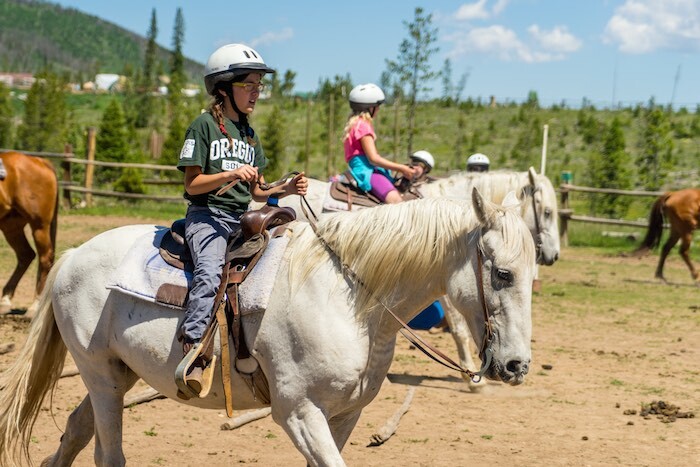 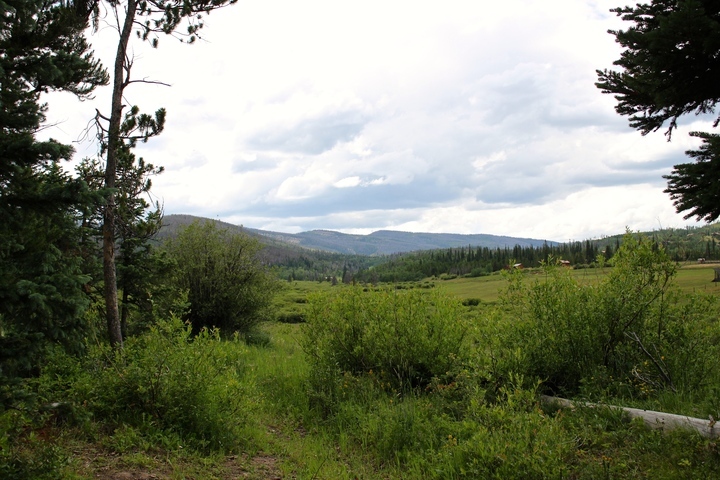 Camp Chief Ouray offers five levels of riding instruction. 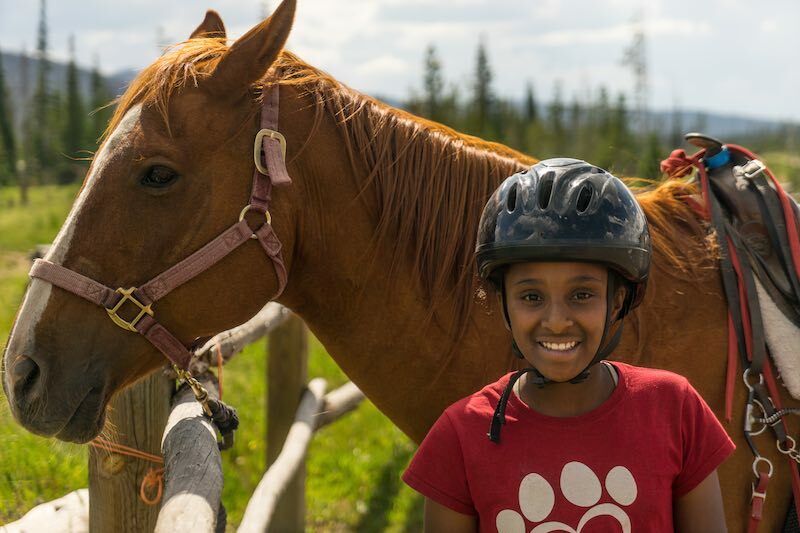 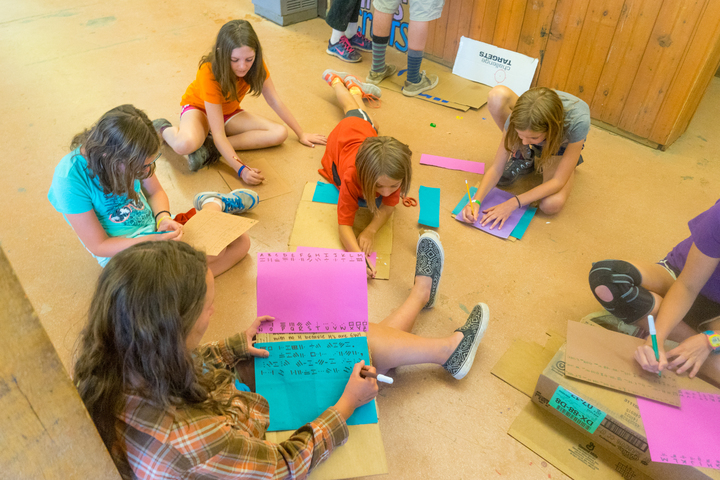 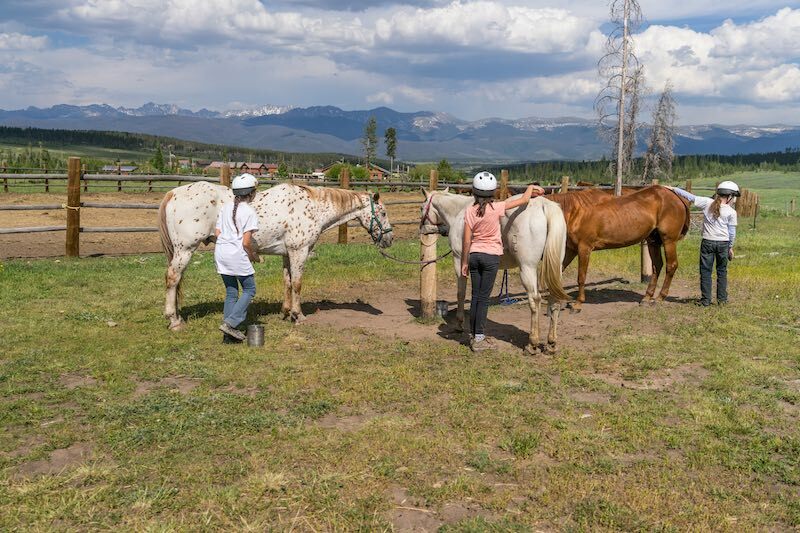 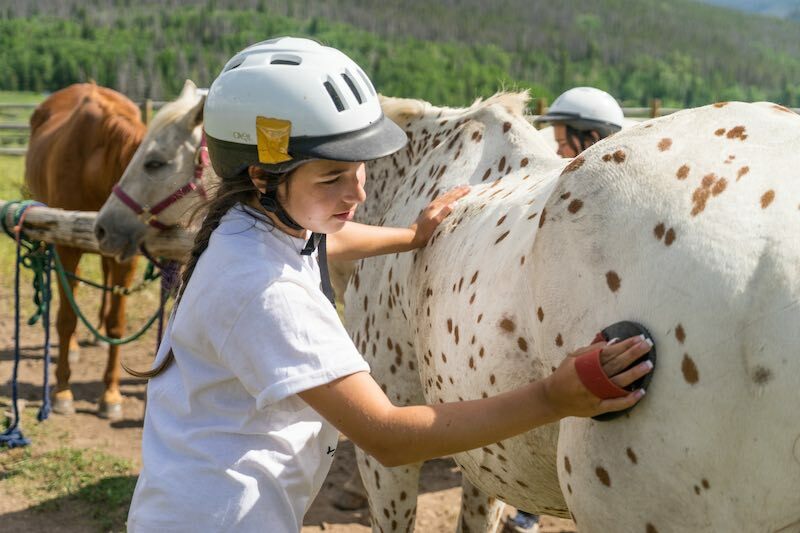 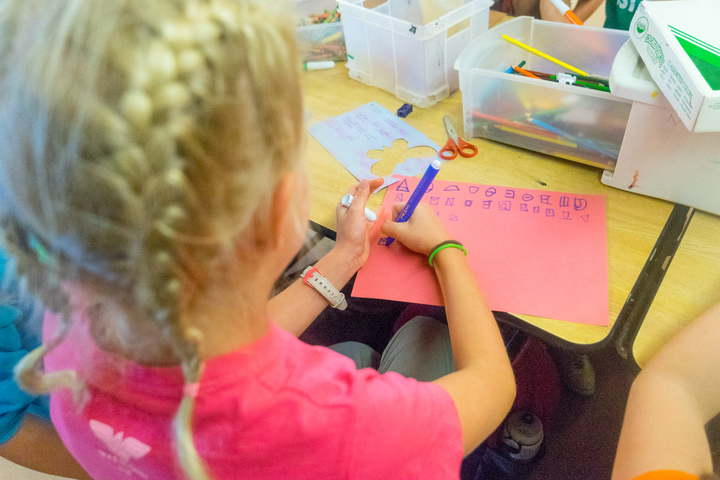 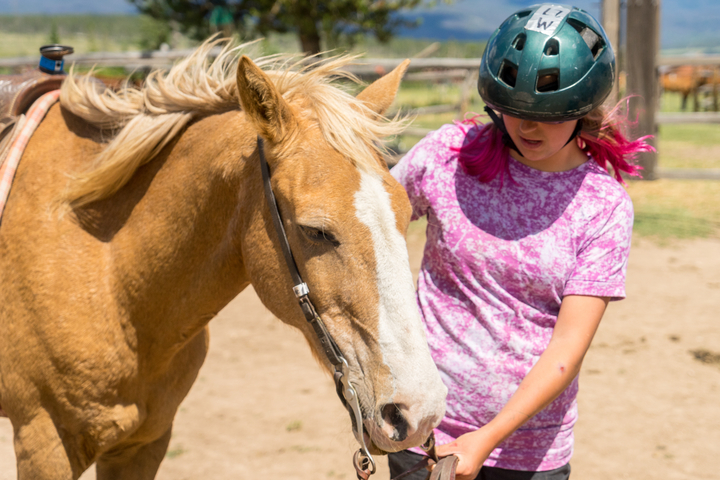 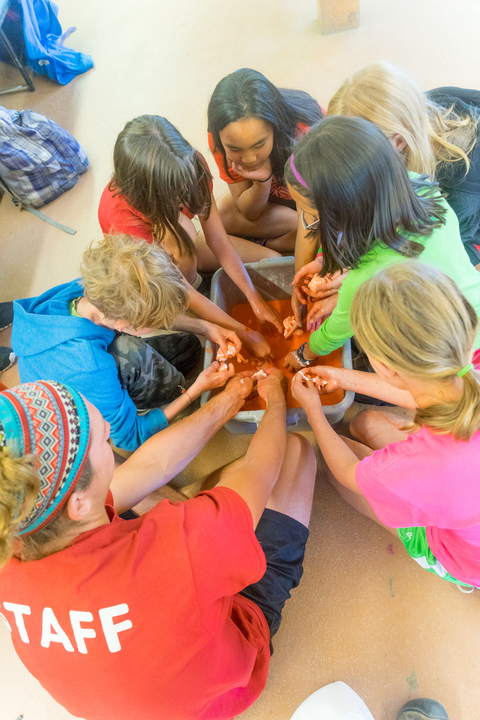 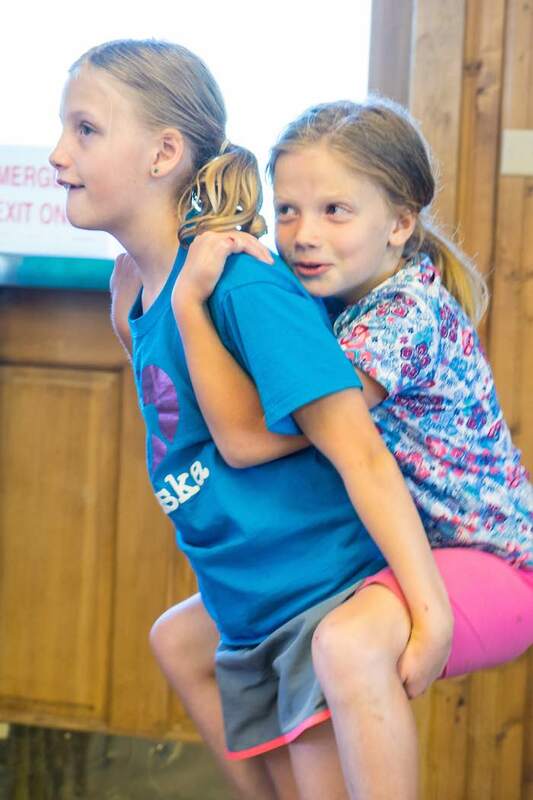 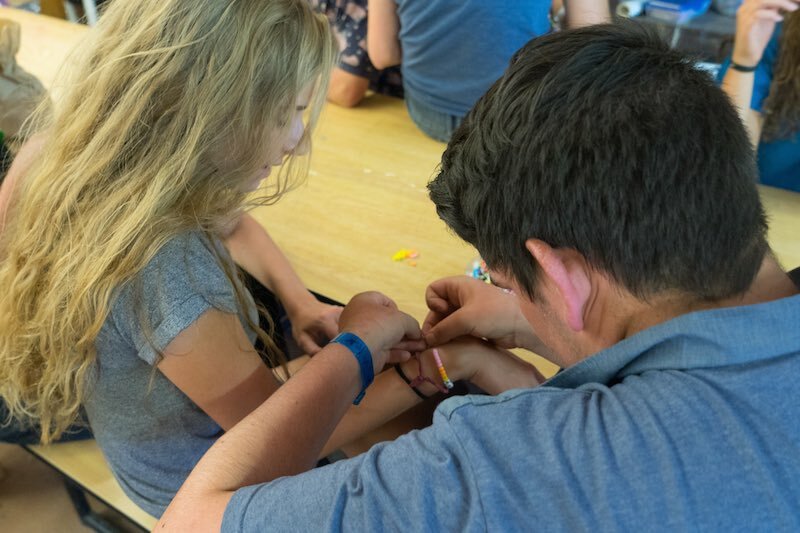 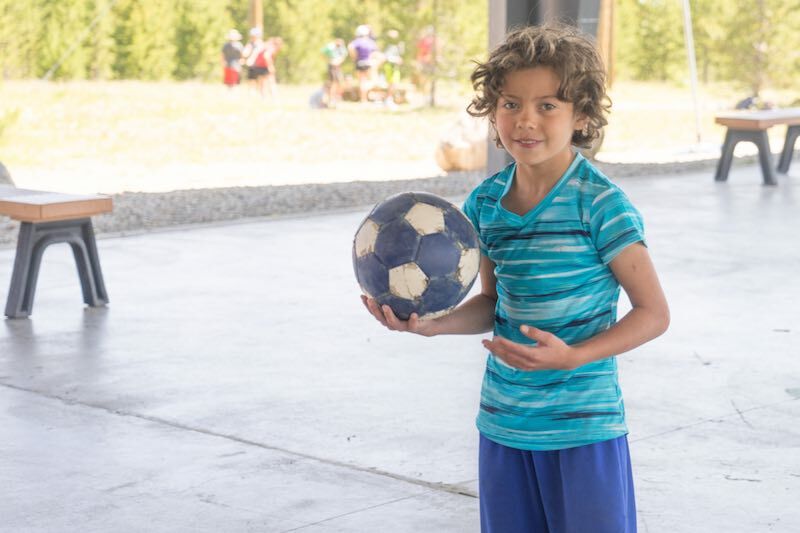 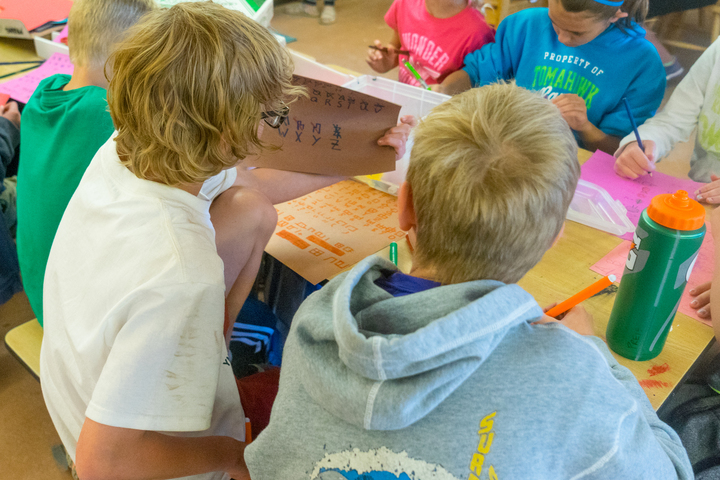 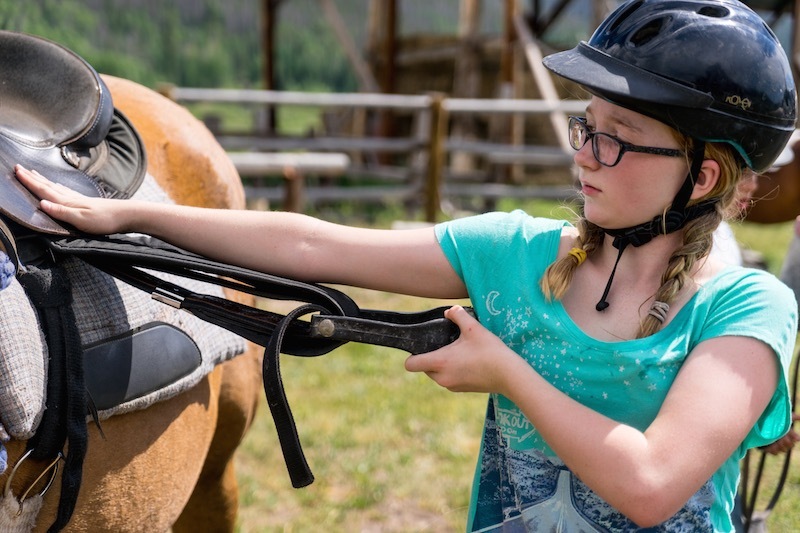 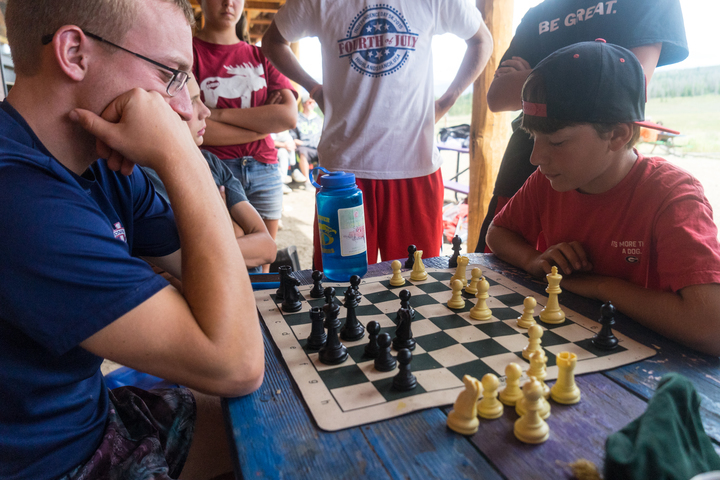 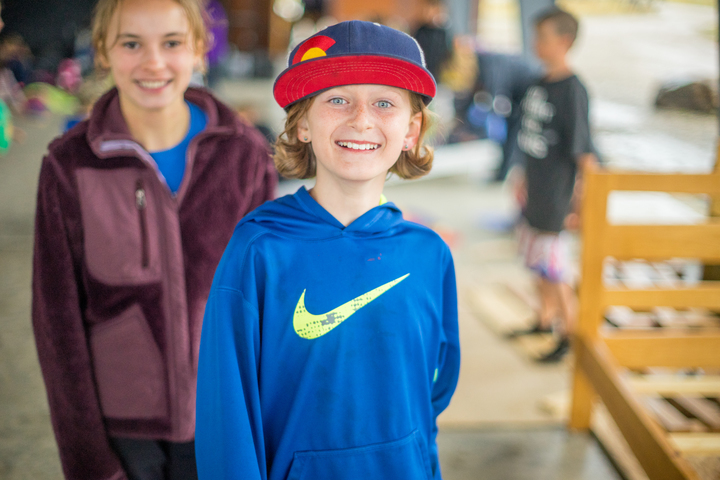 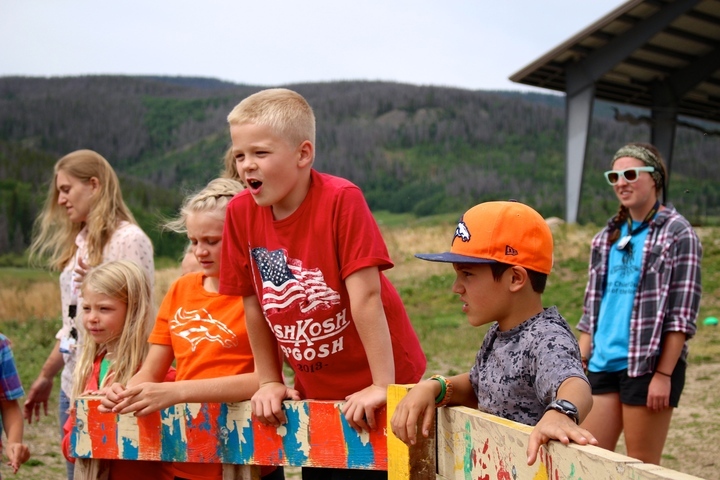 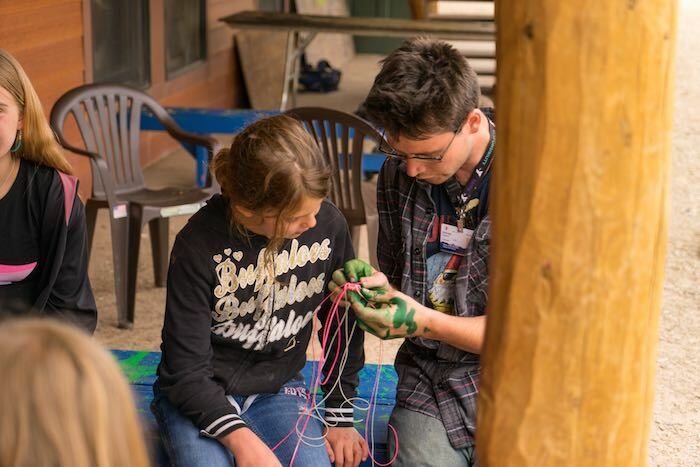 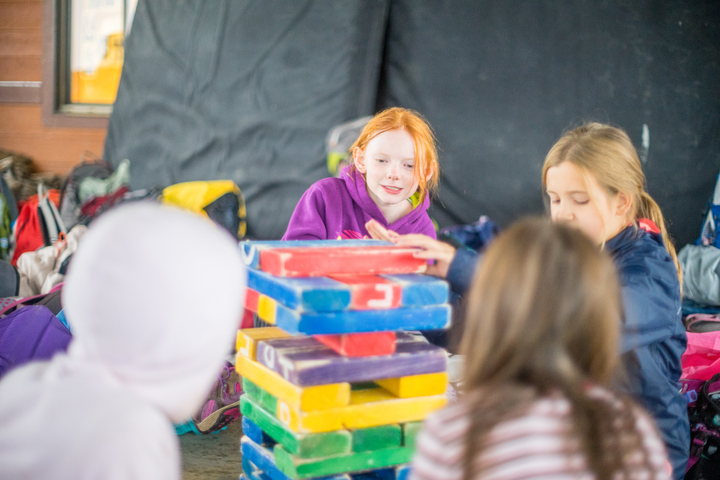 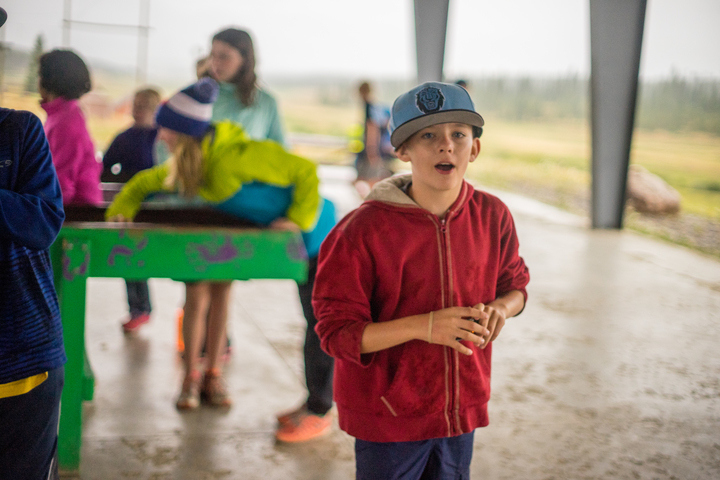 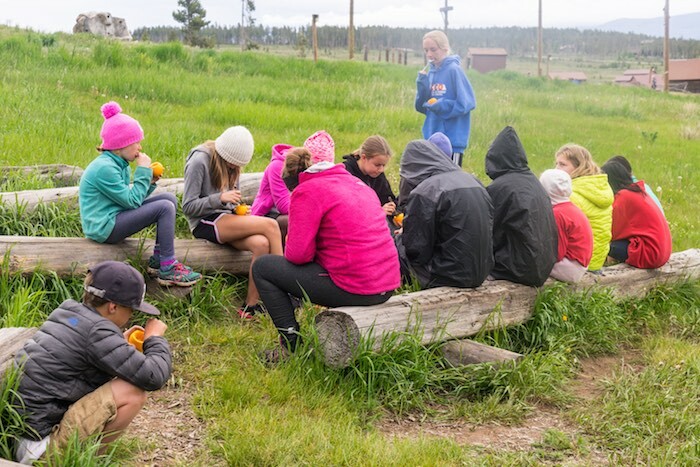 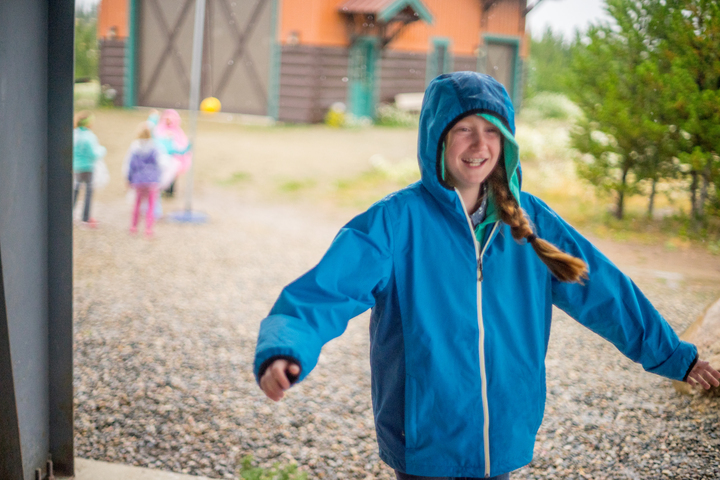 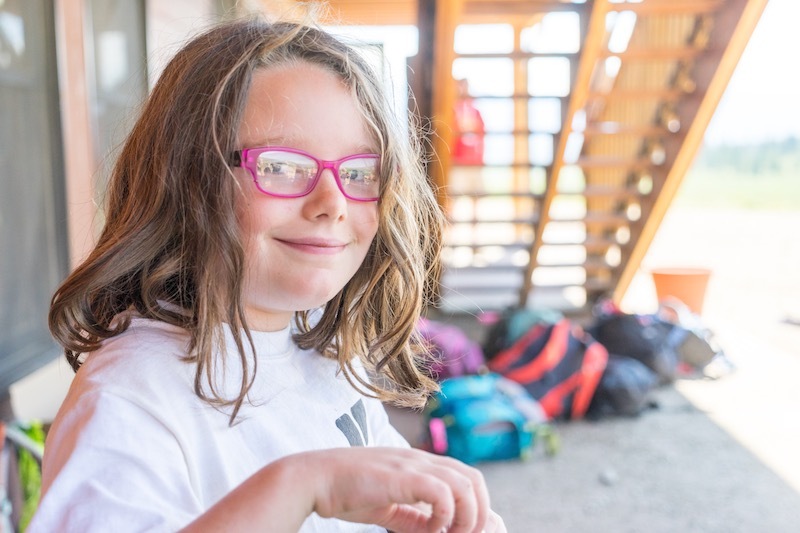 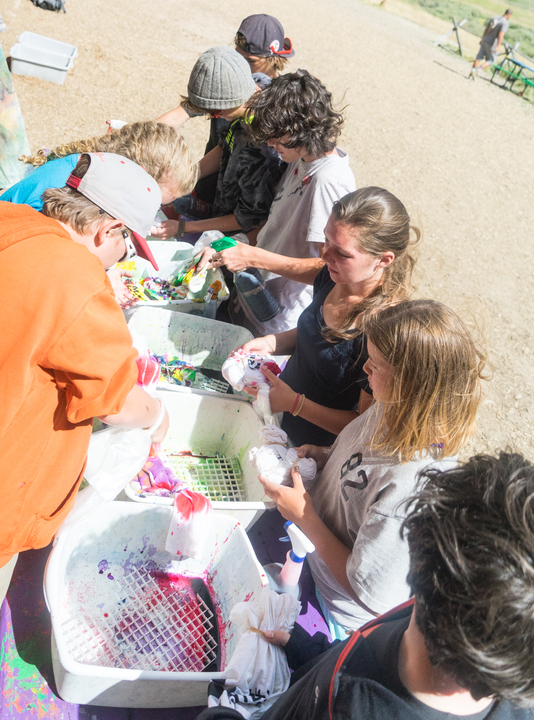 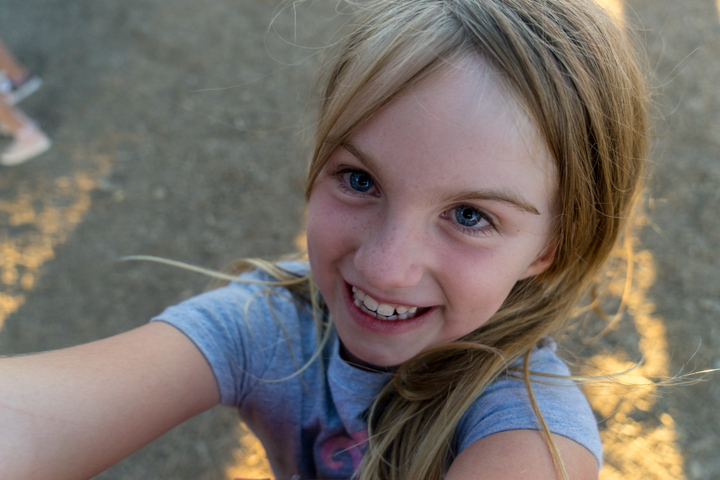 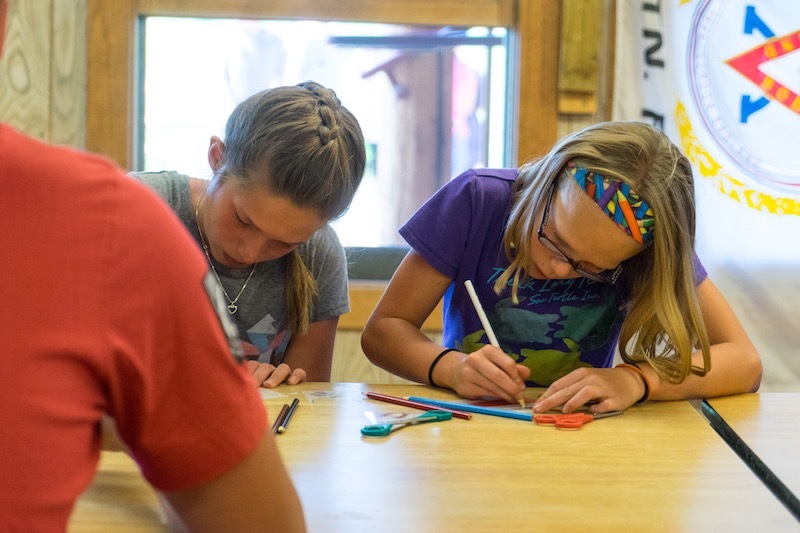 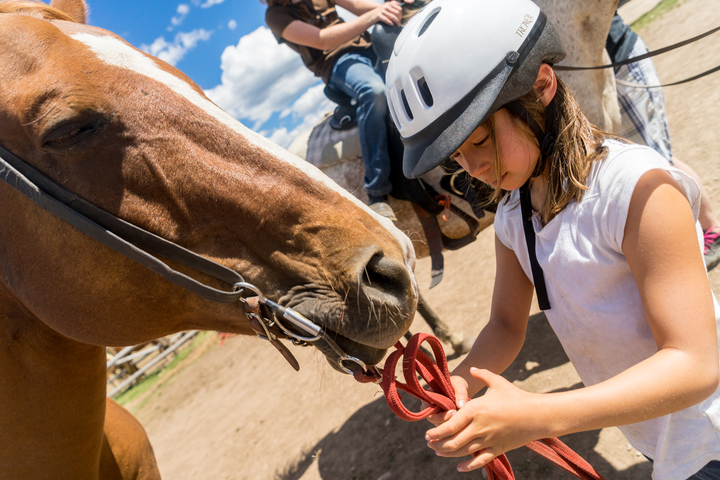 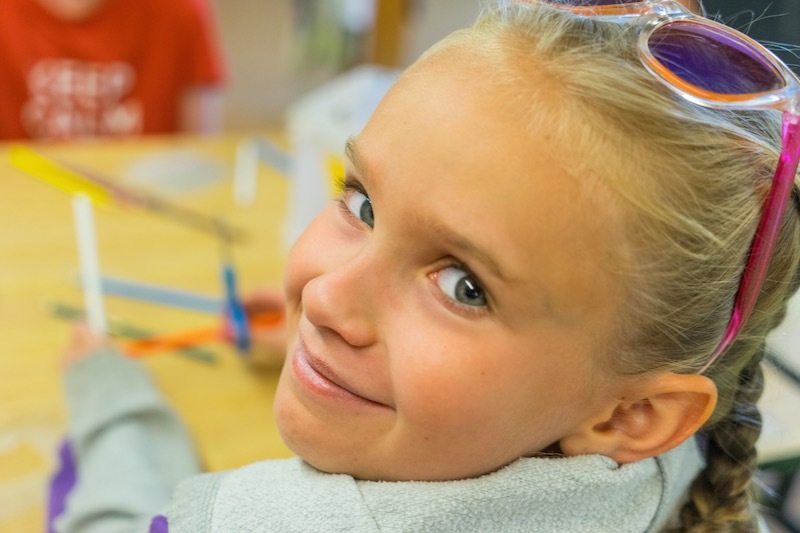 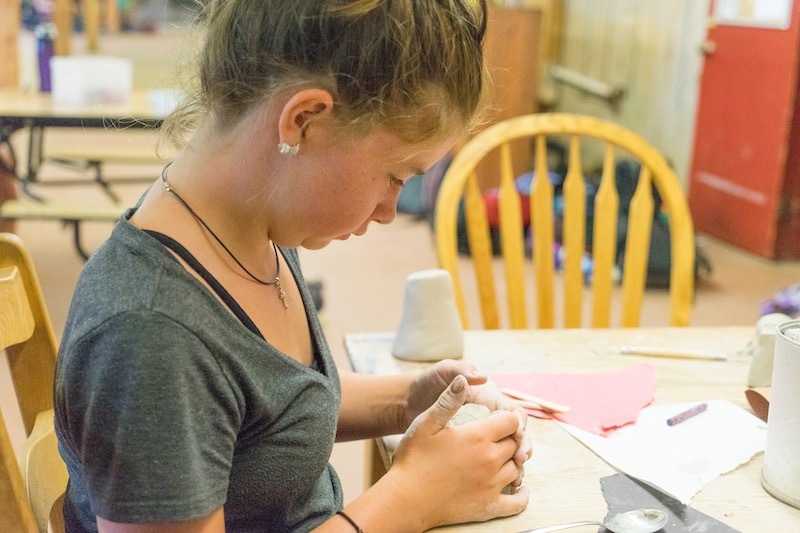 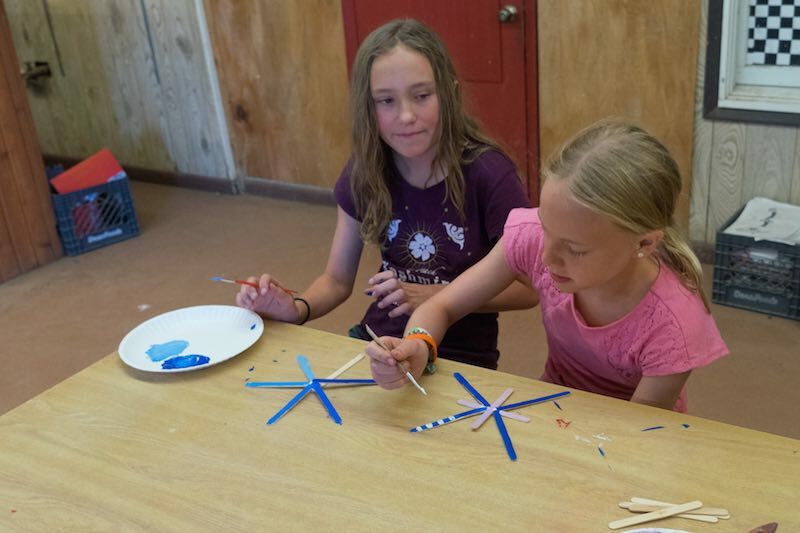 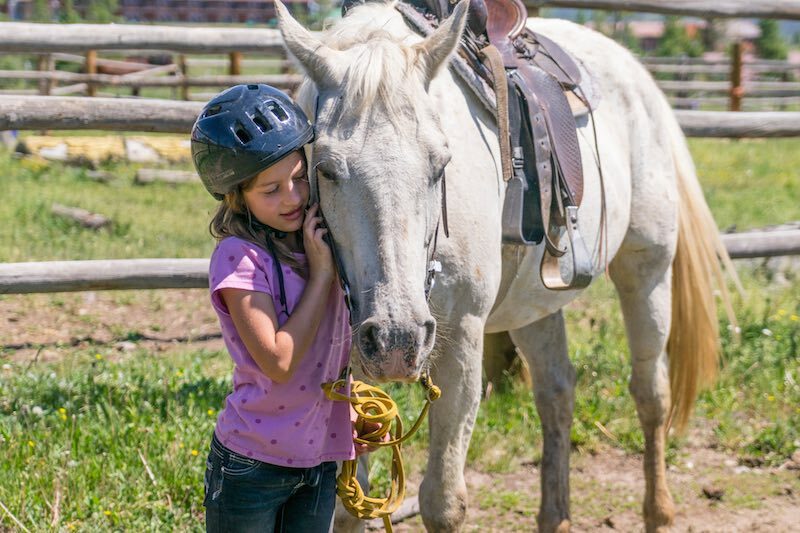 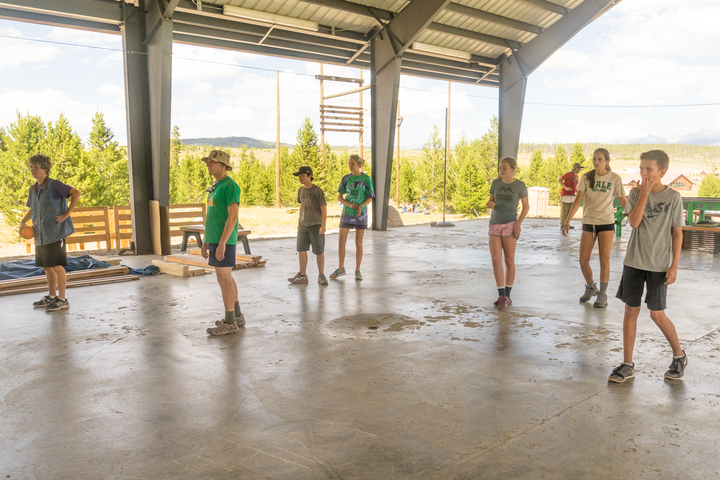 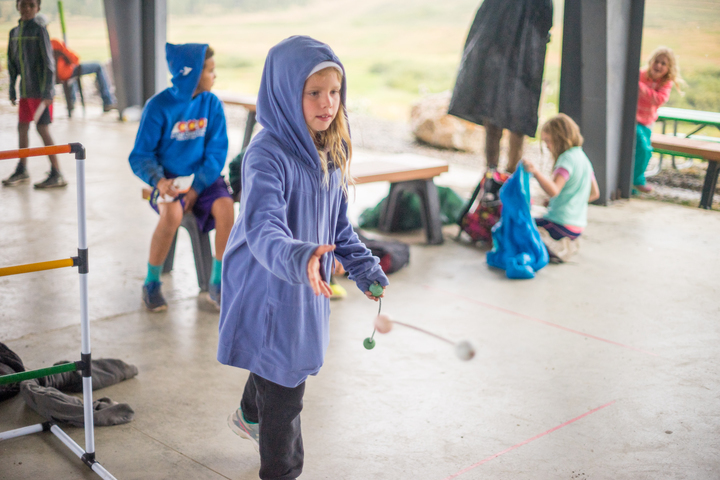 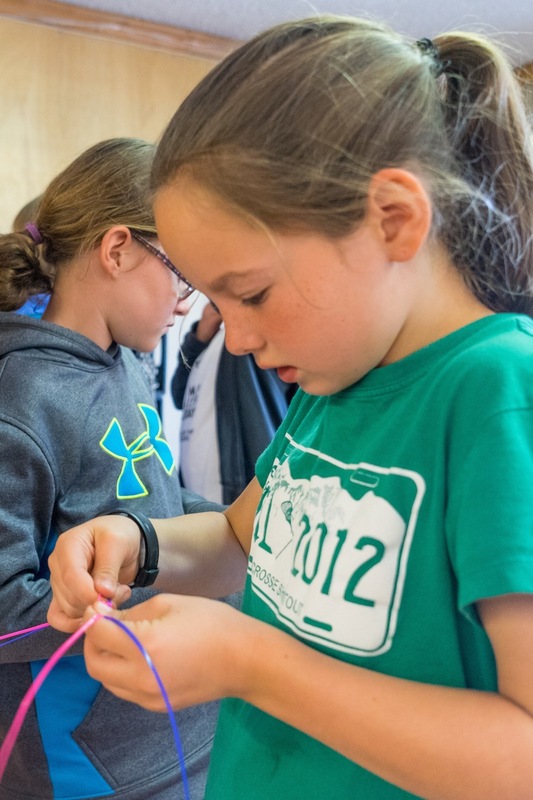 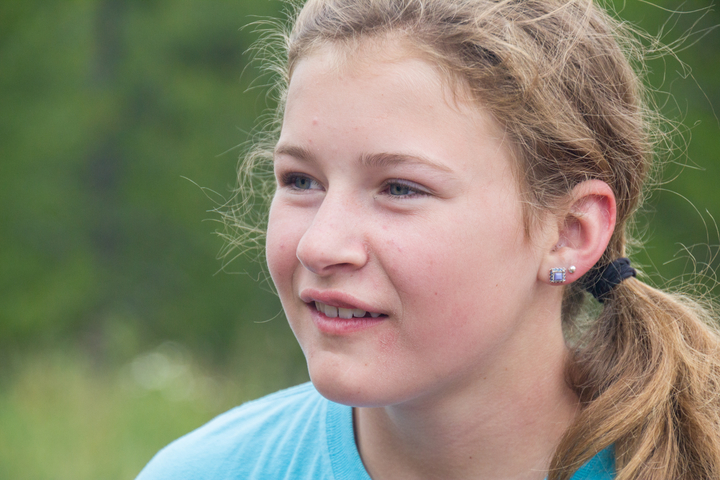 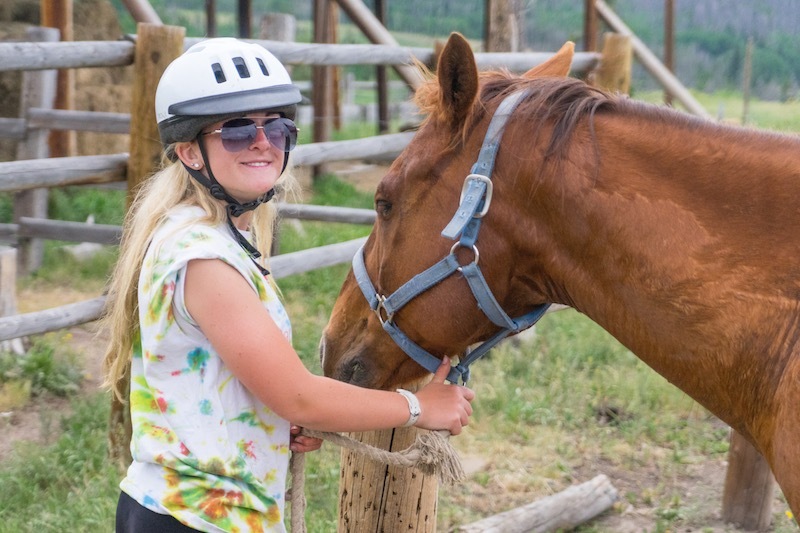 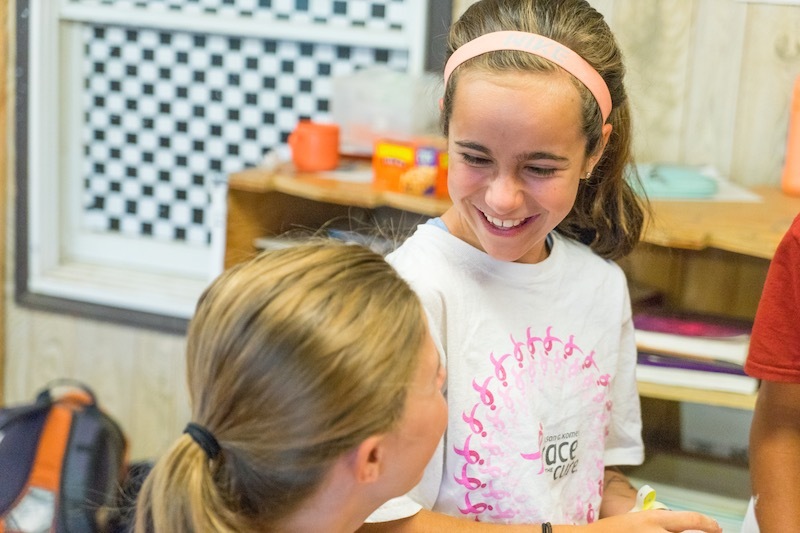 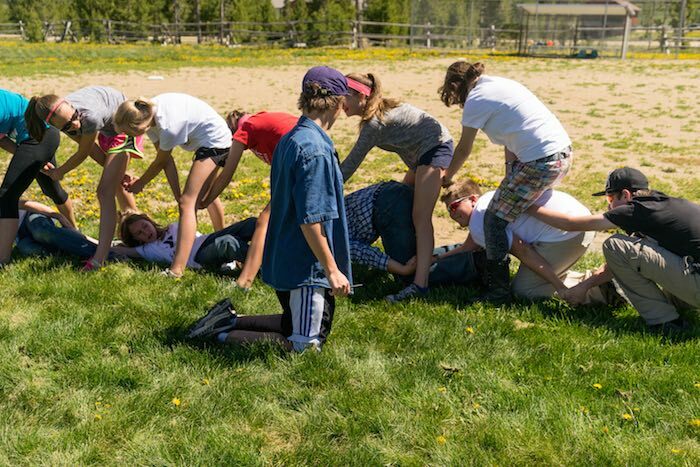 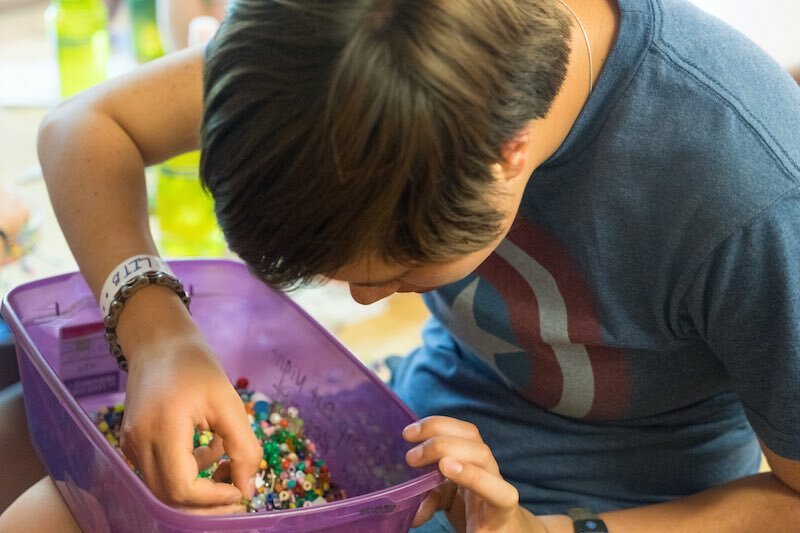 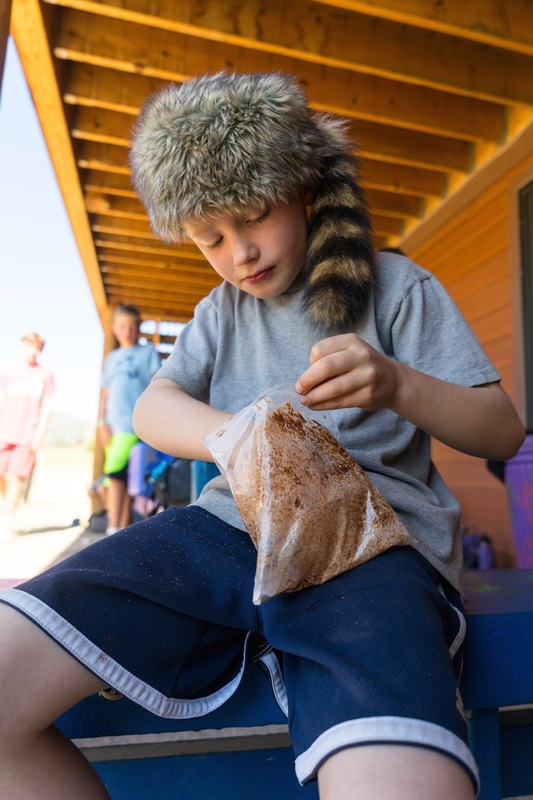 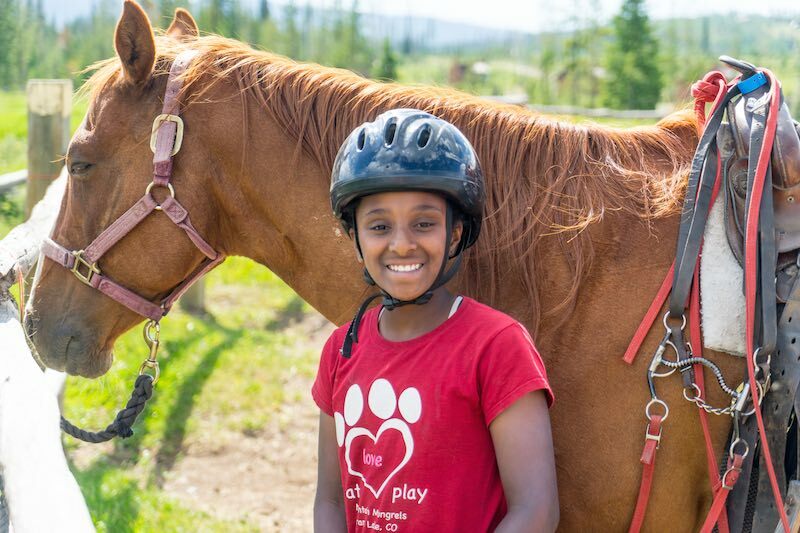 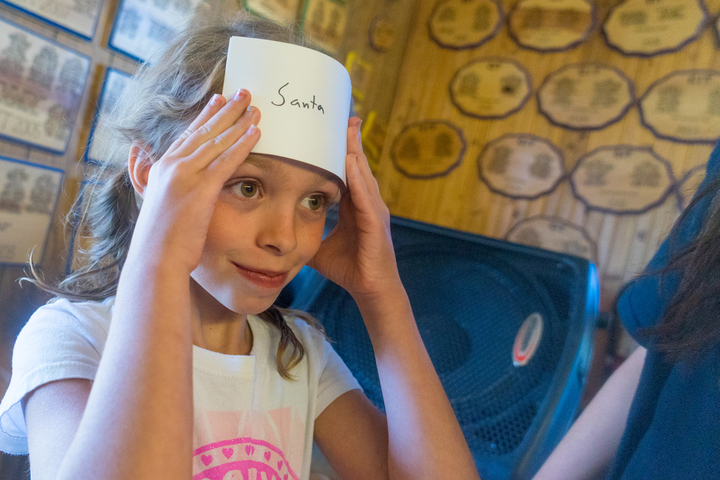 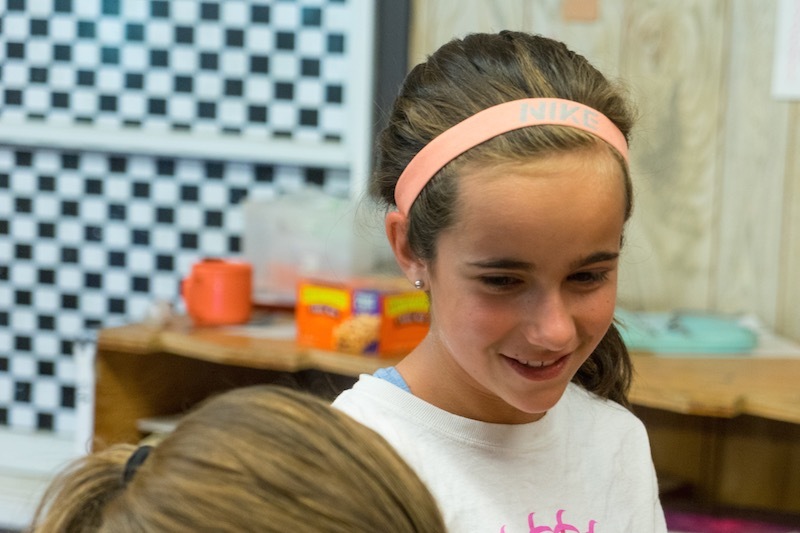 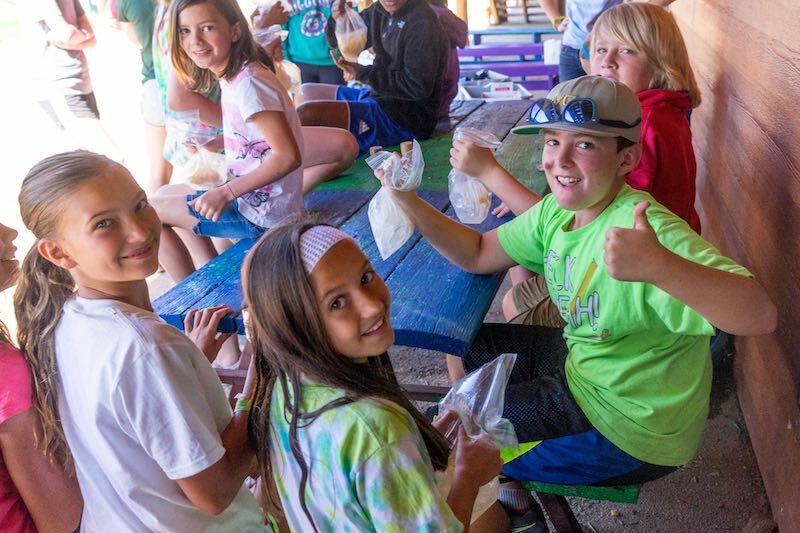 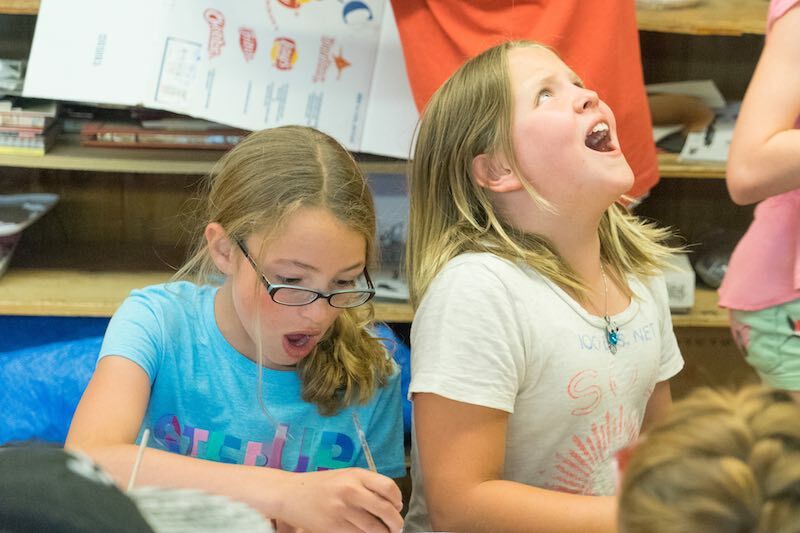 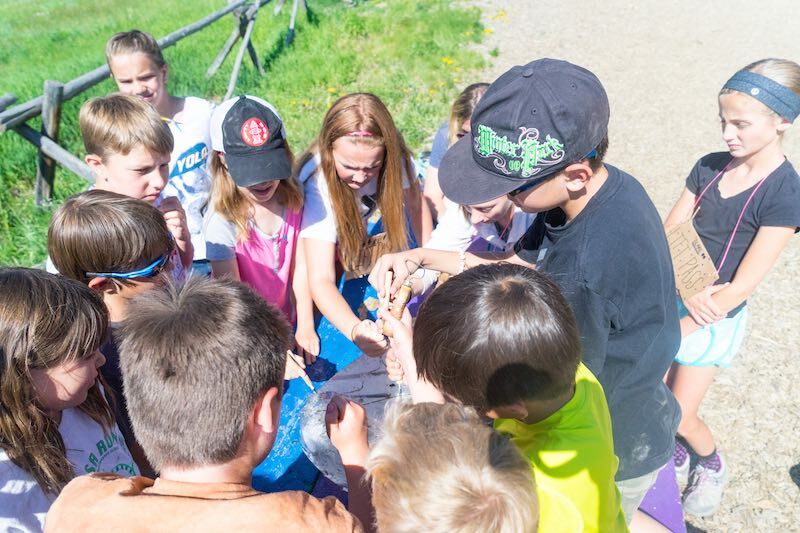 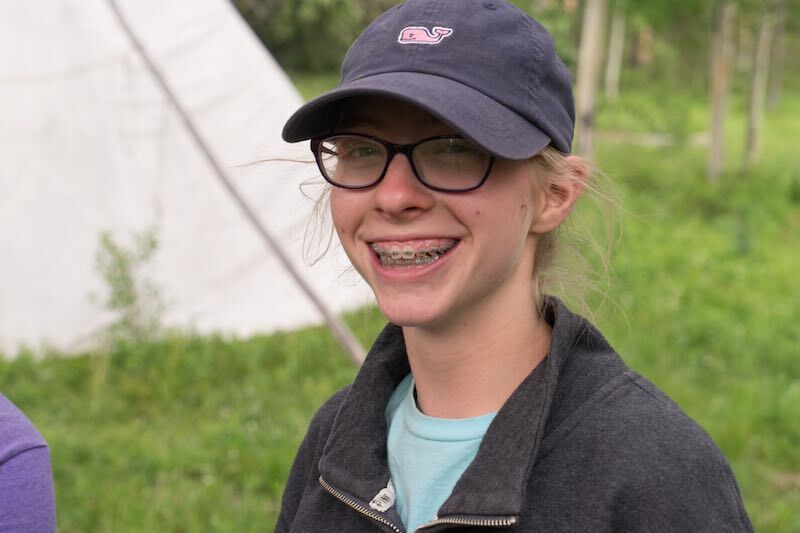 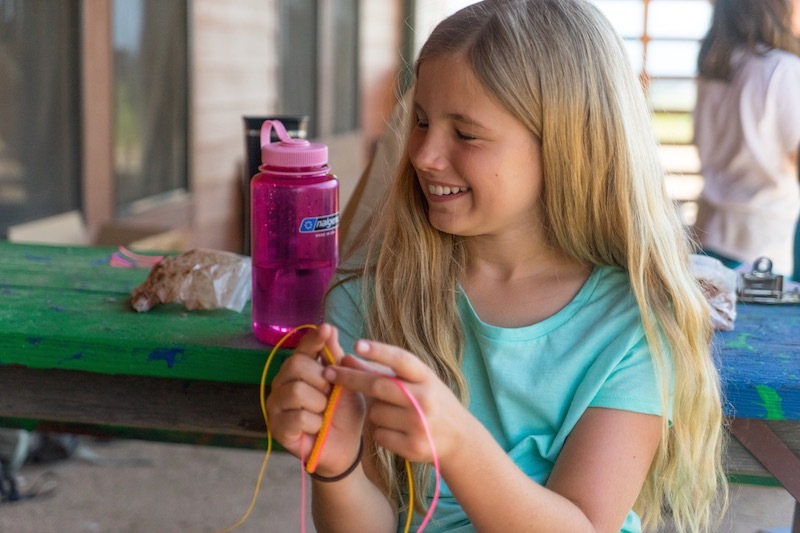 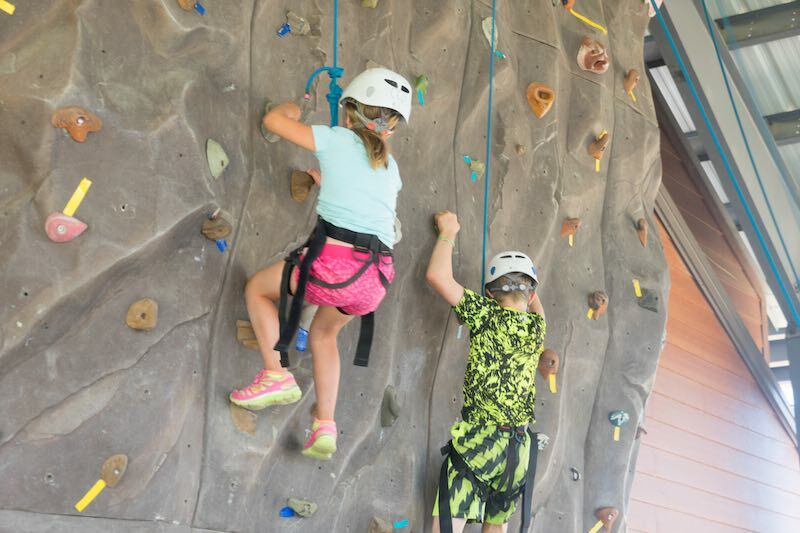 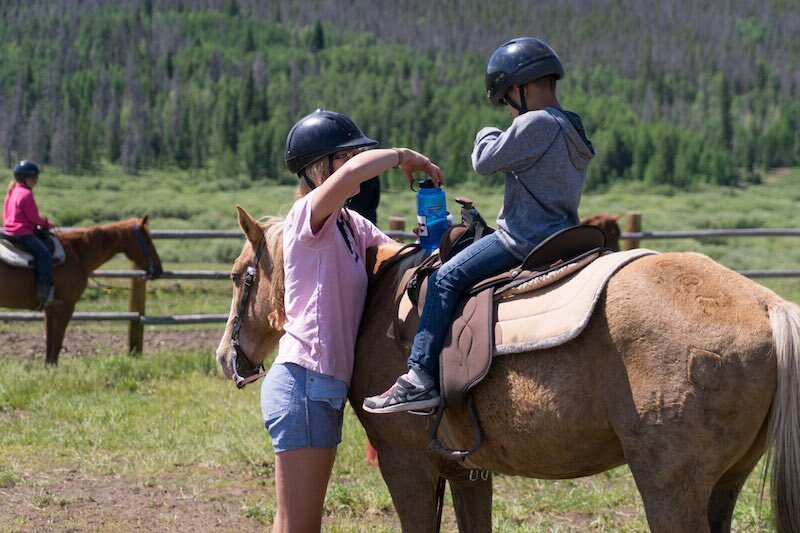 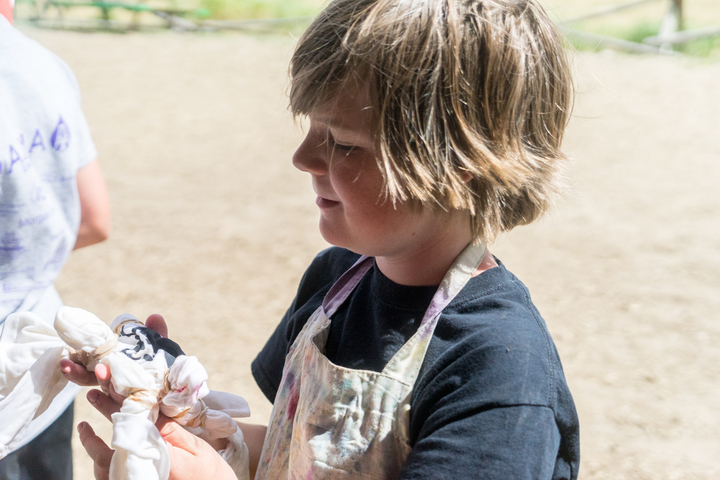 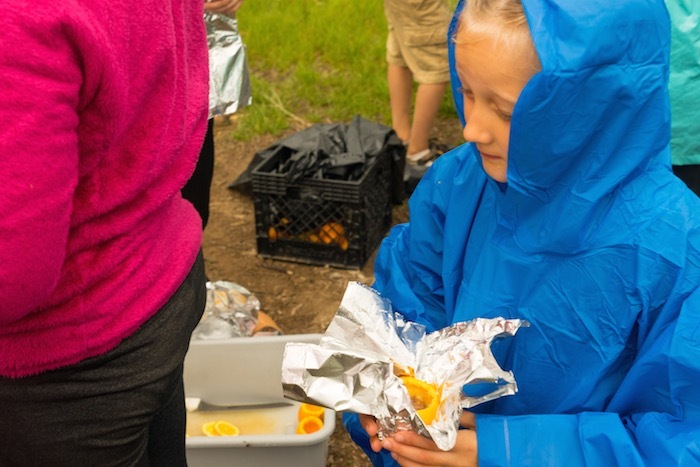 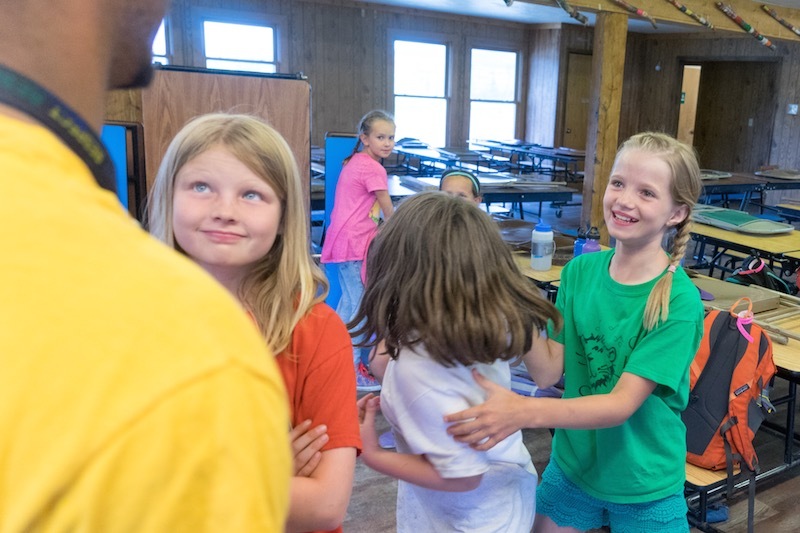 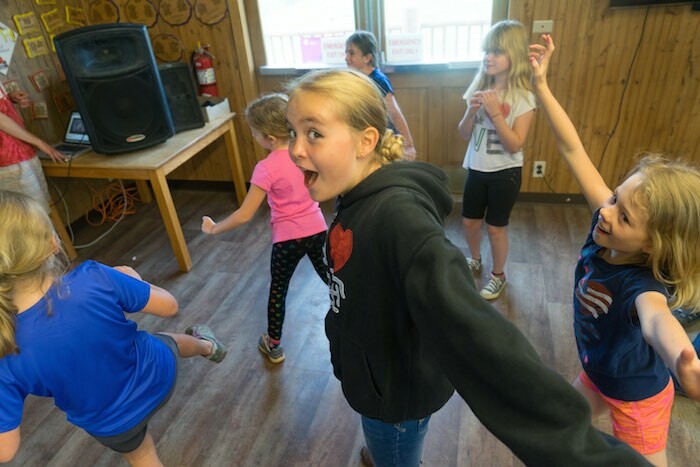 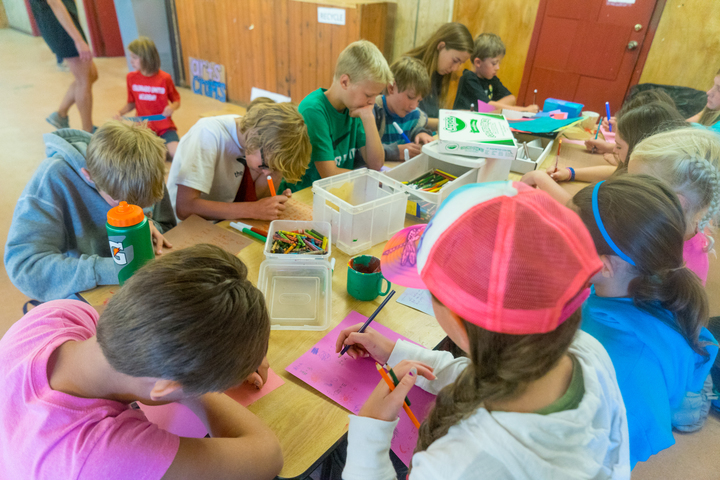 Campers spend either the morning or afternoon (Monday-Thursday) at the CCO Barn learning how to care for horses and improve their riding skills. 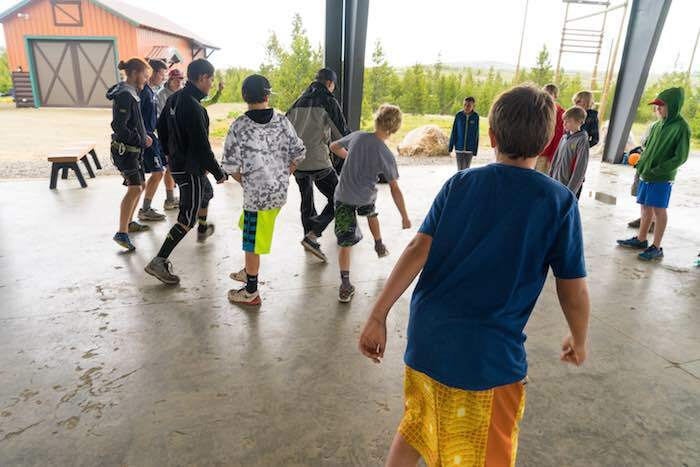 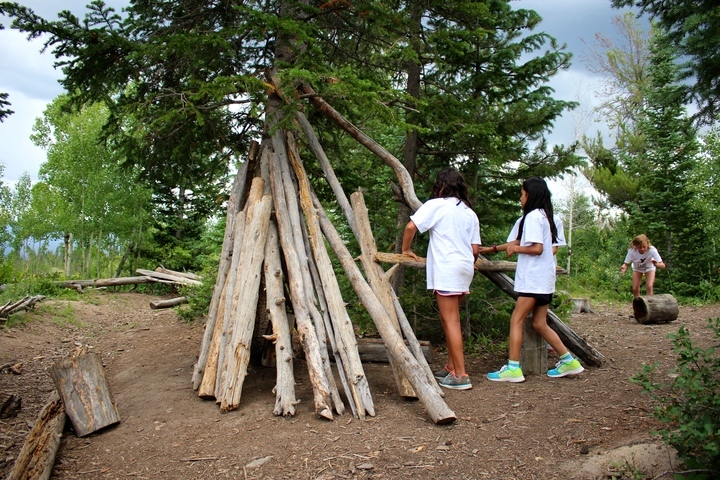 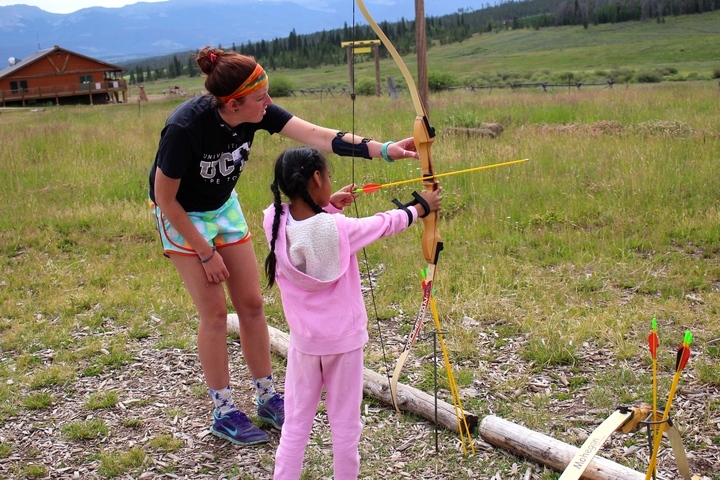 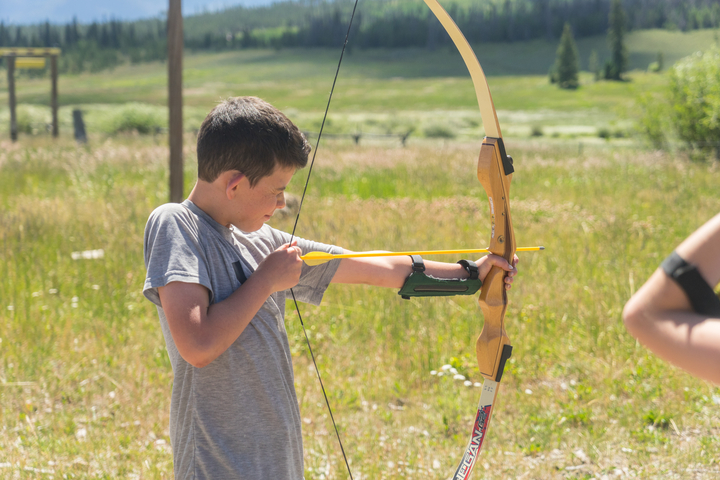 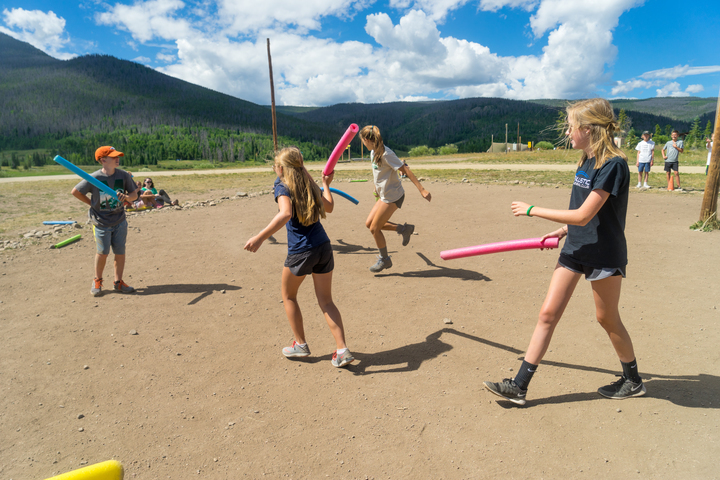 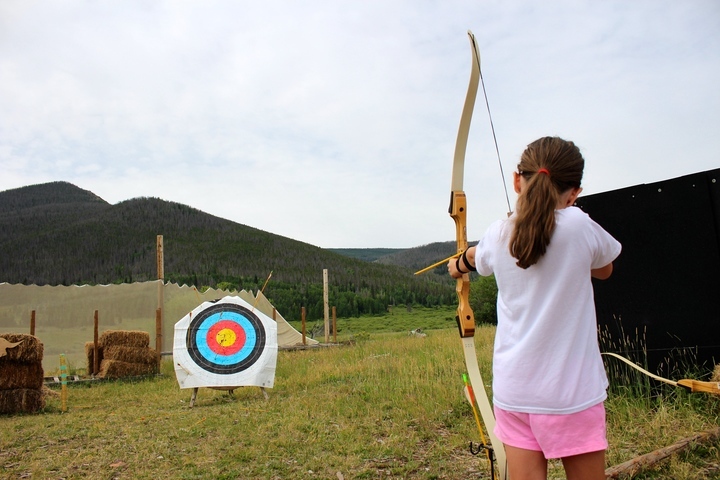 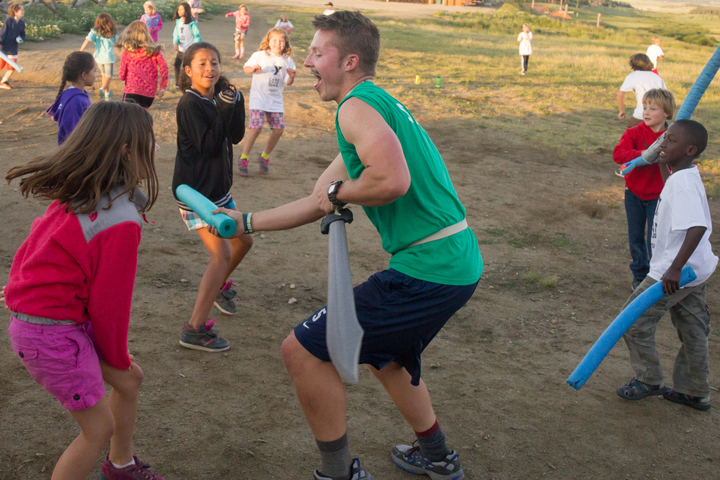 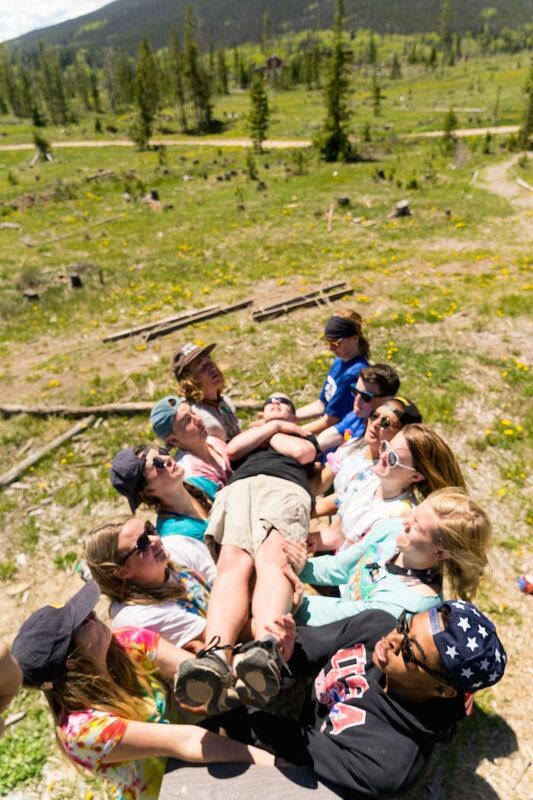 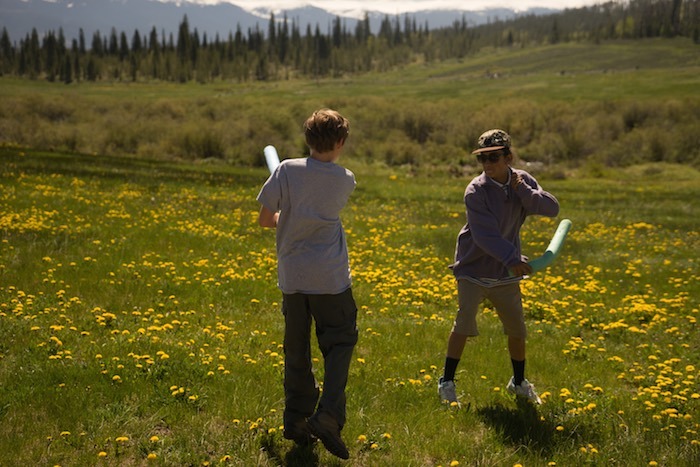 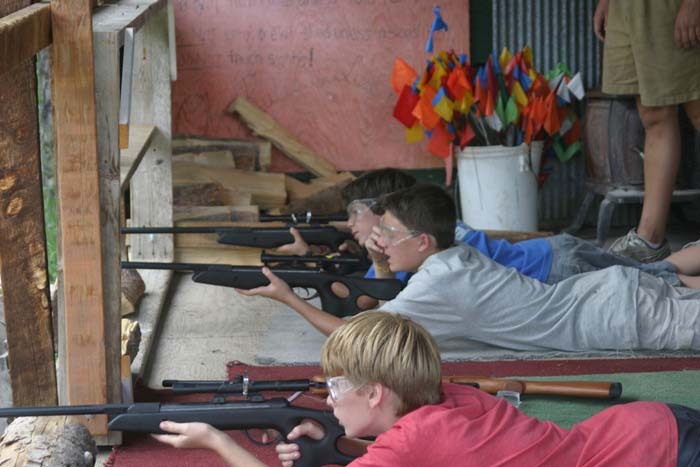 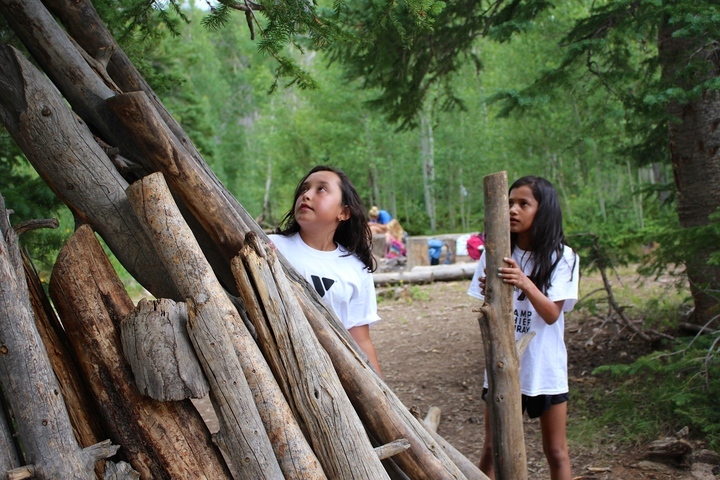 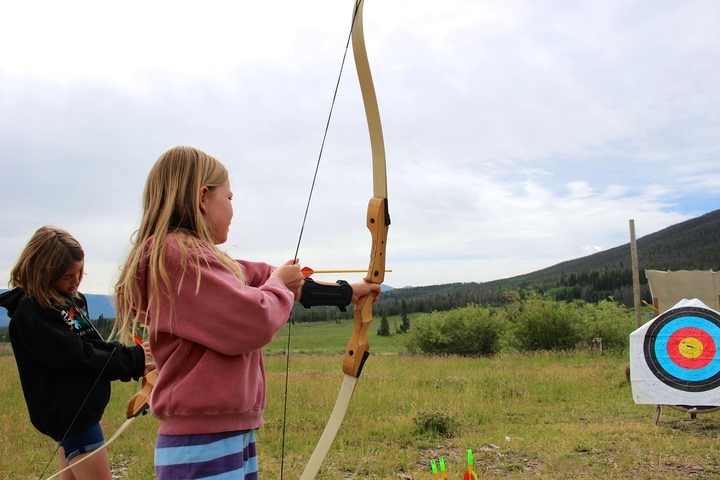 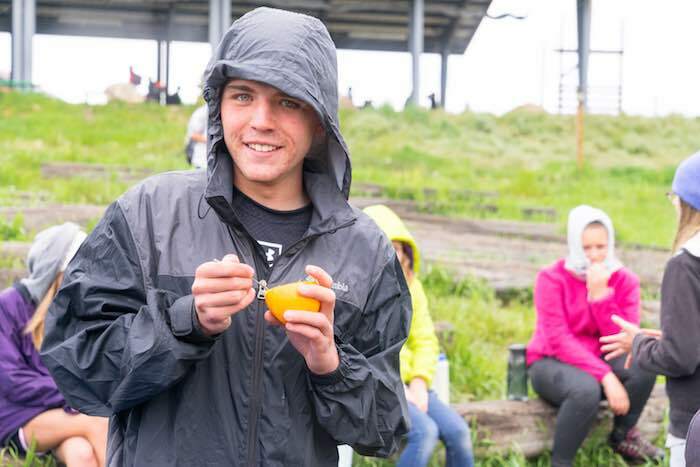 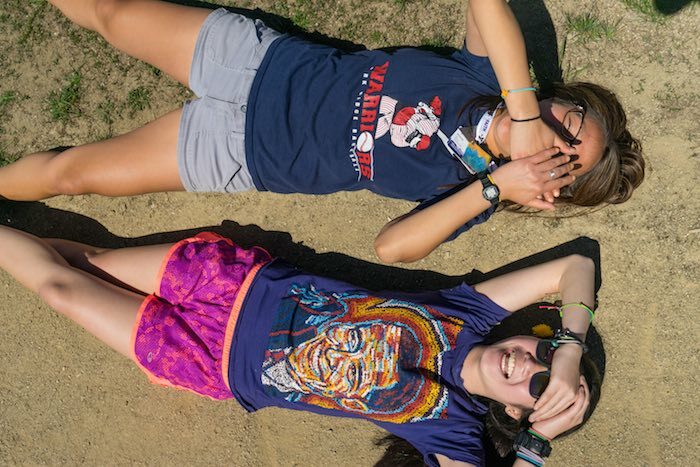 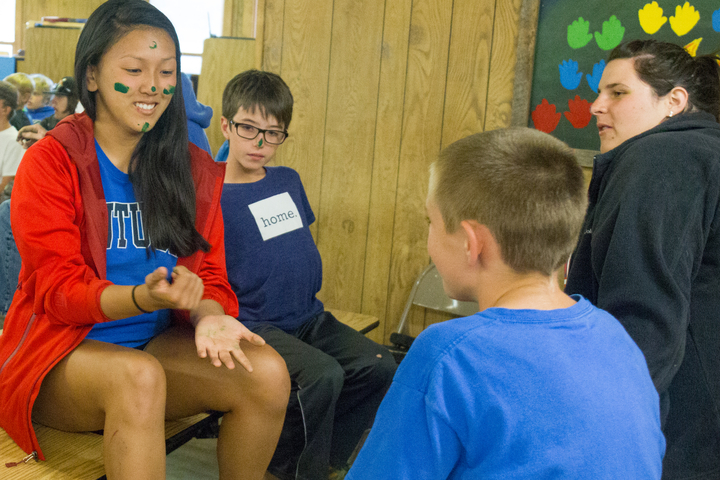 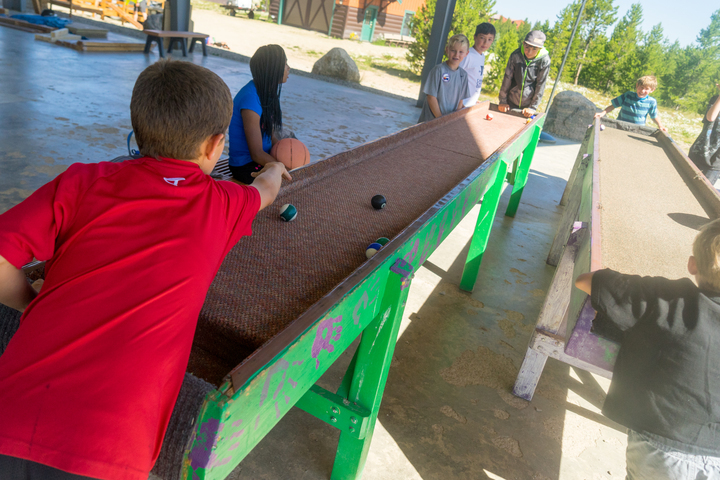 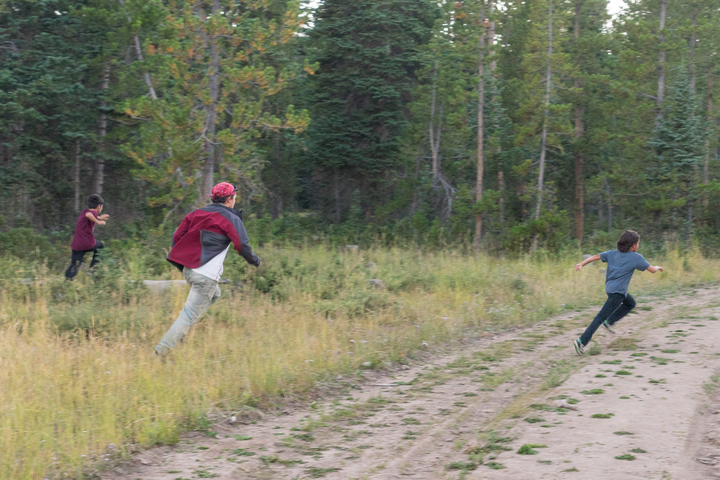 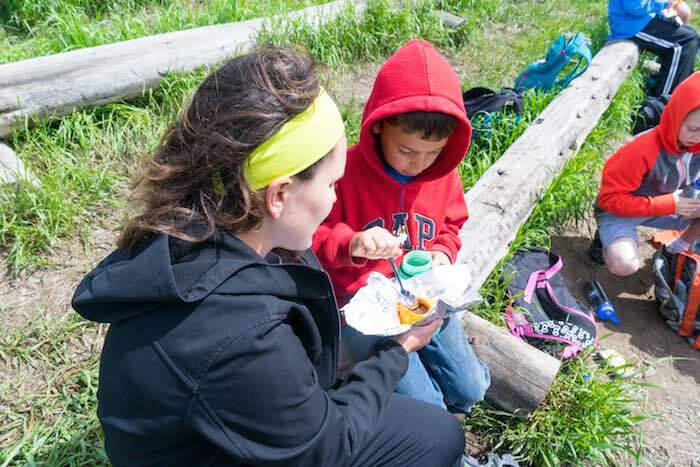 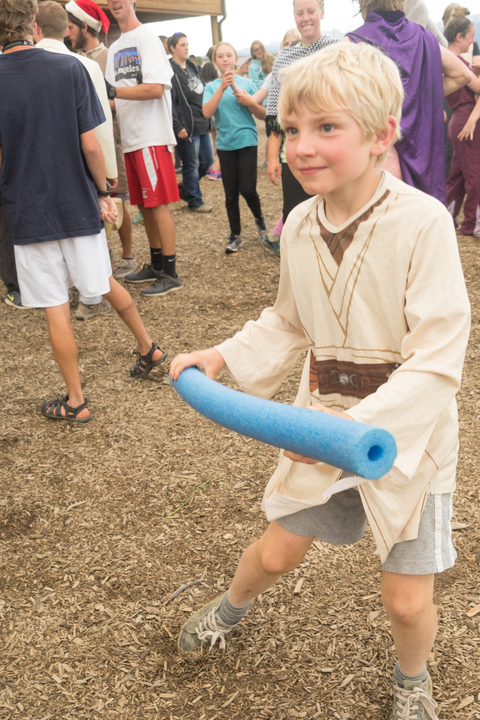 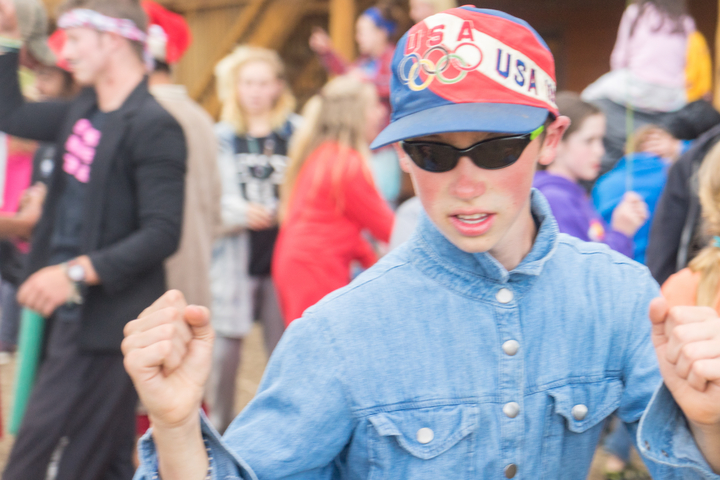 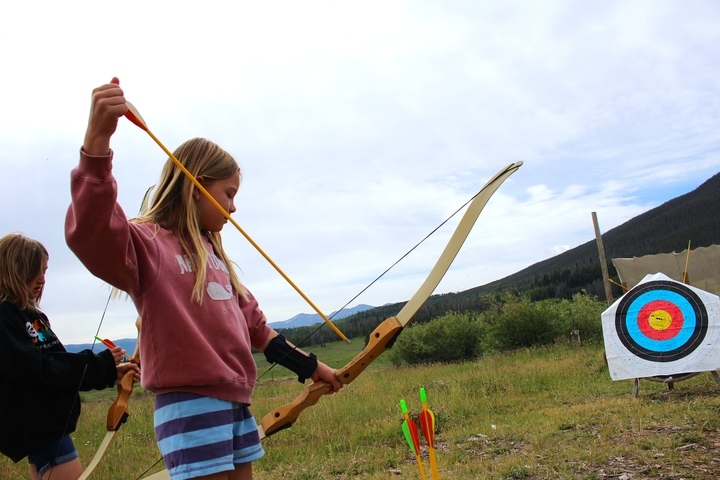 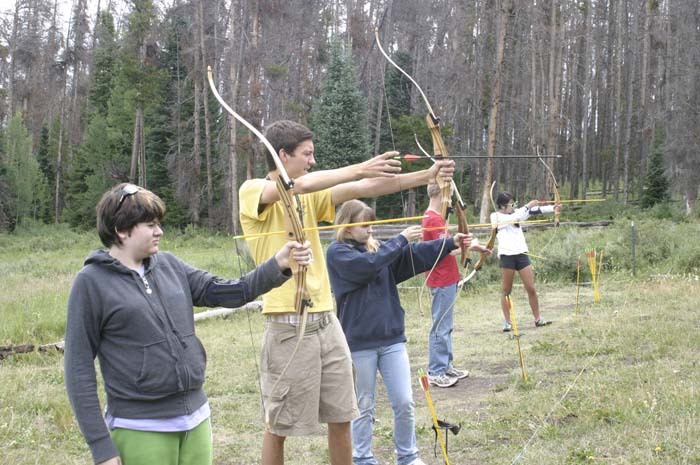 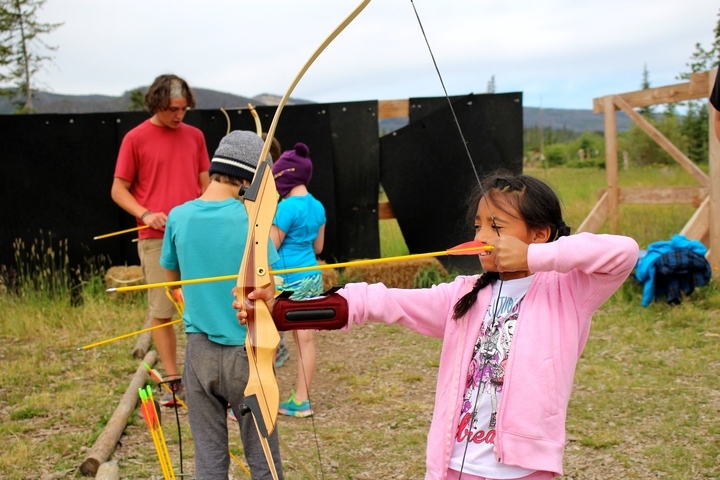 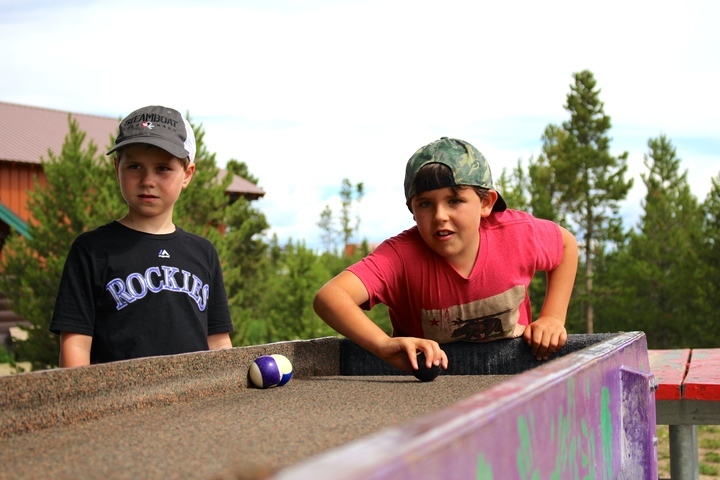 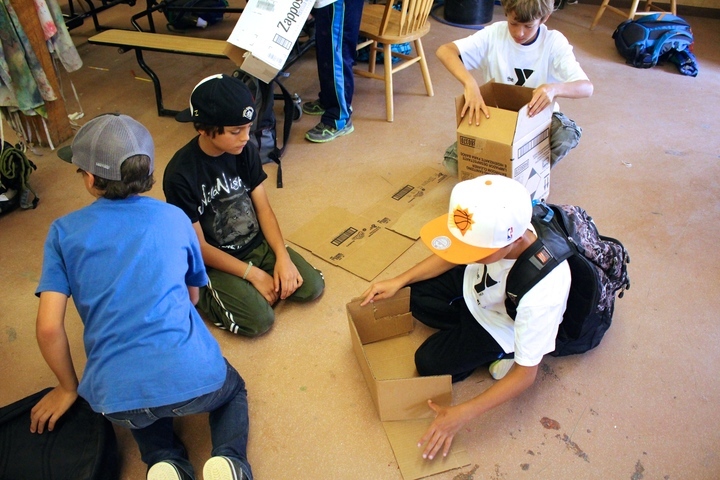 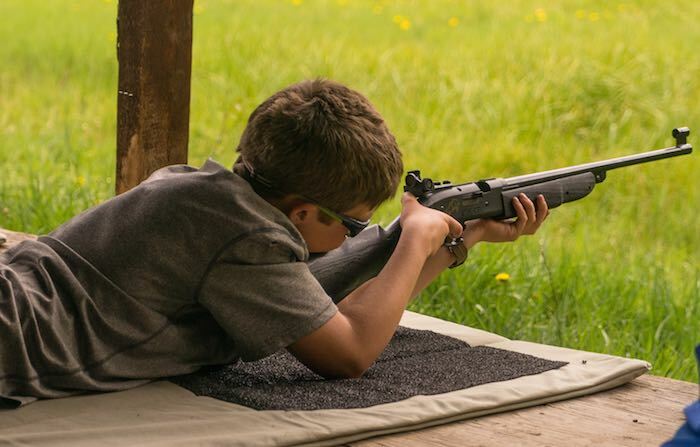 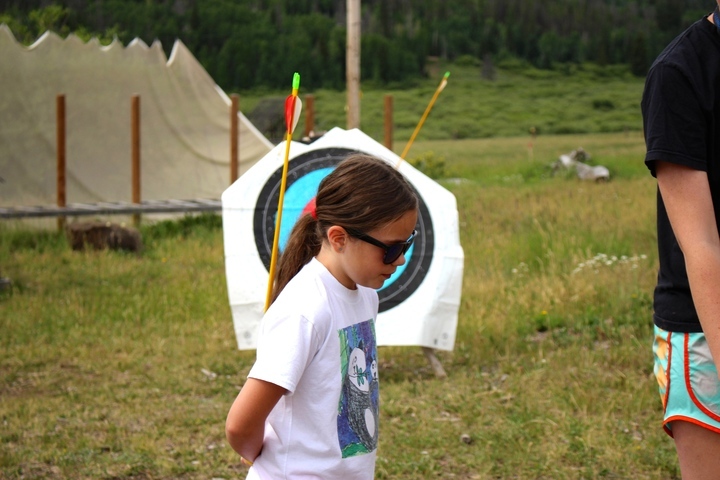 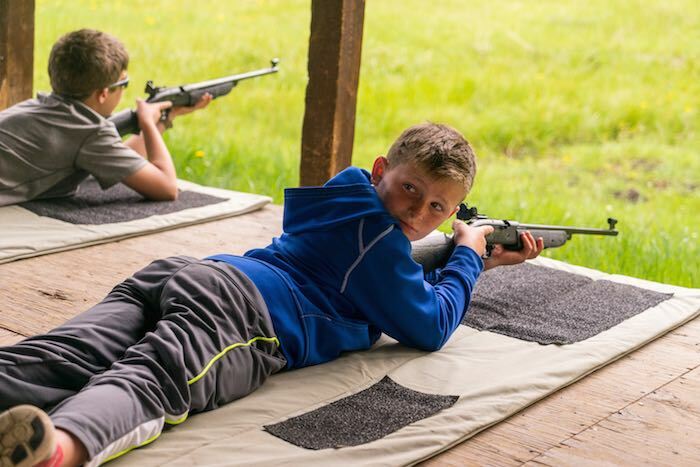 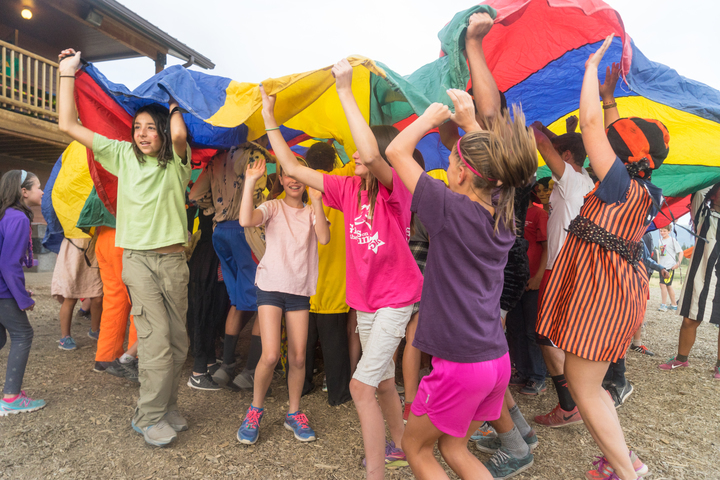 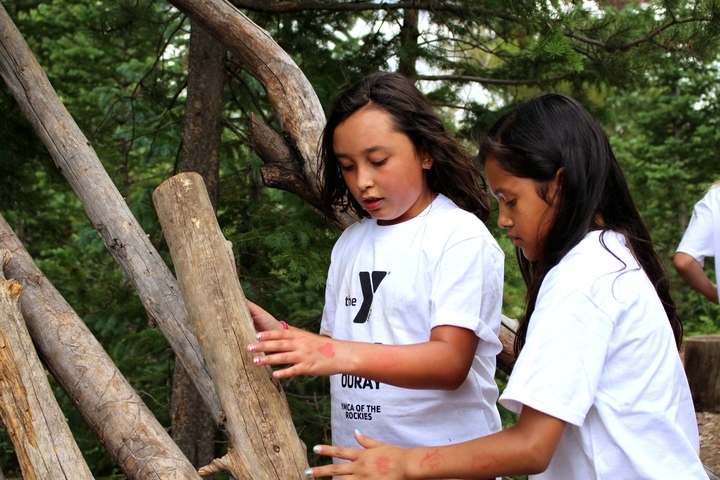 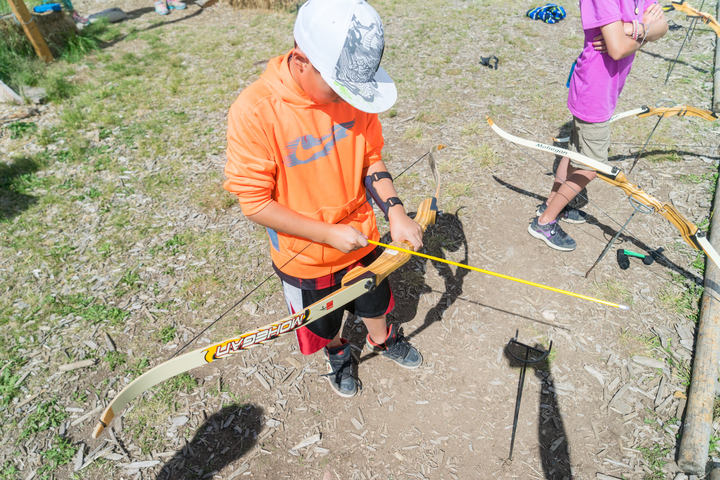 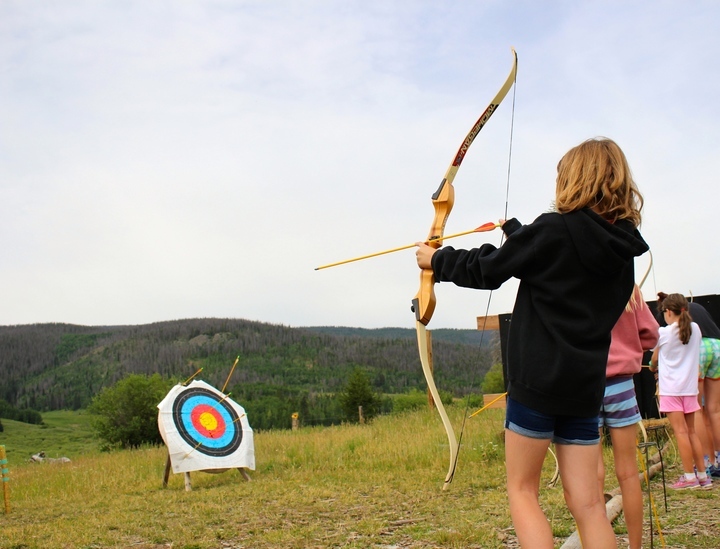 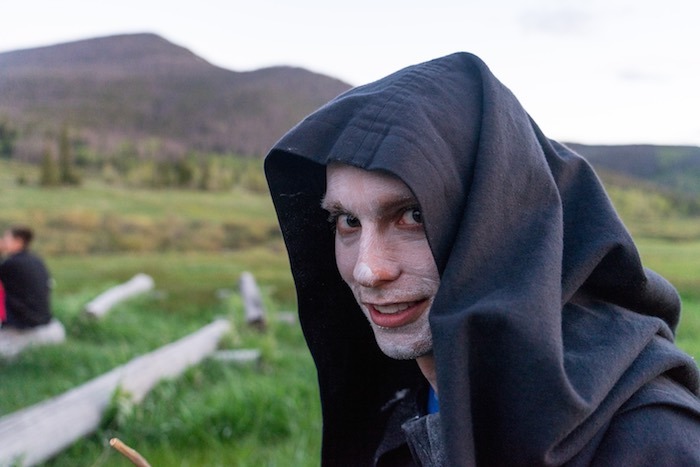 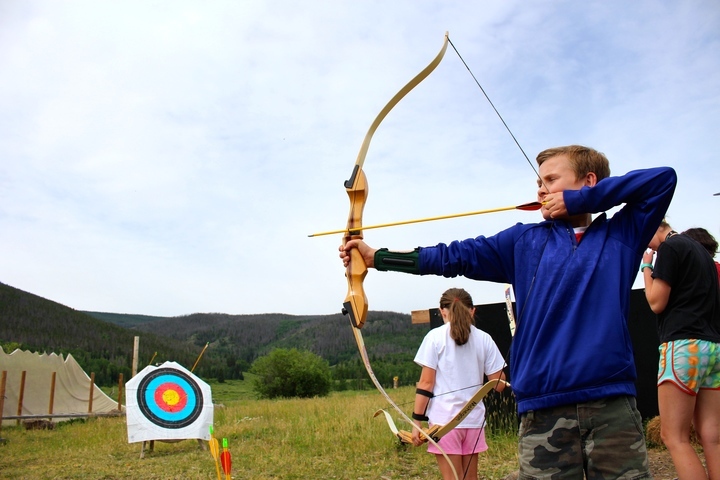 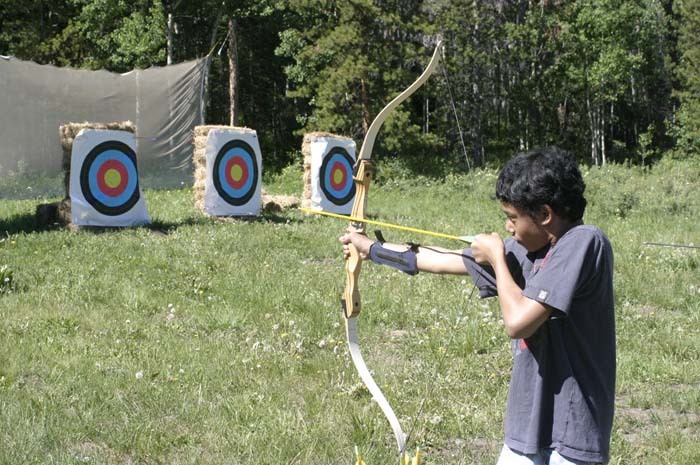 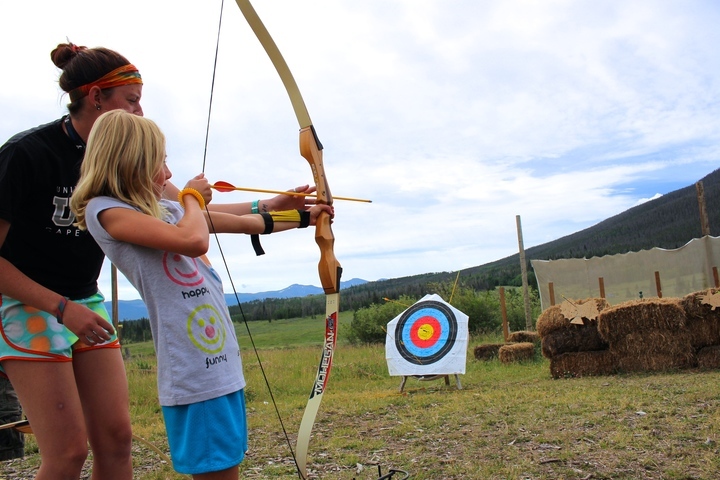 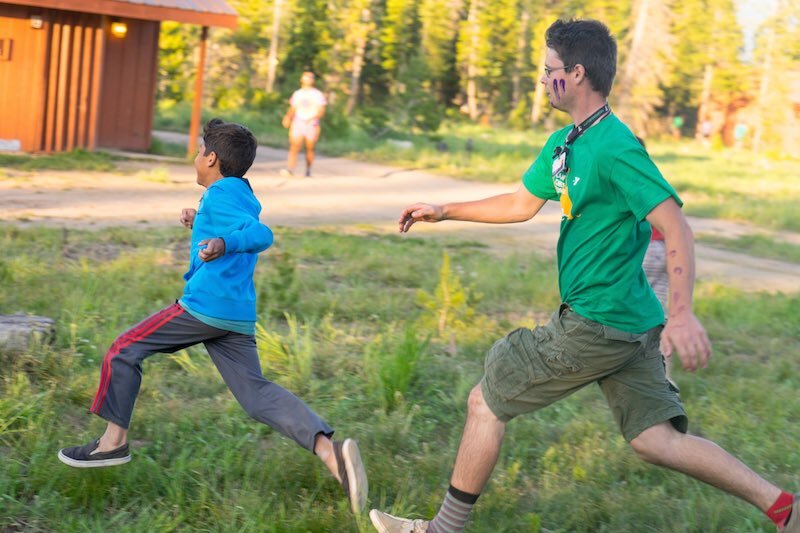 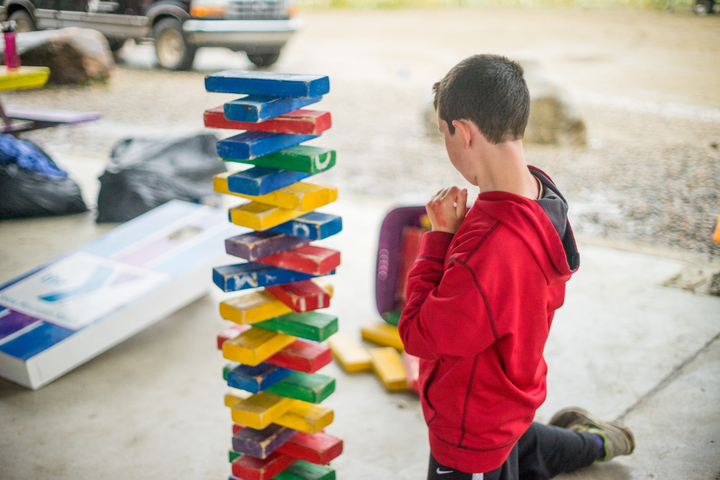 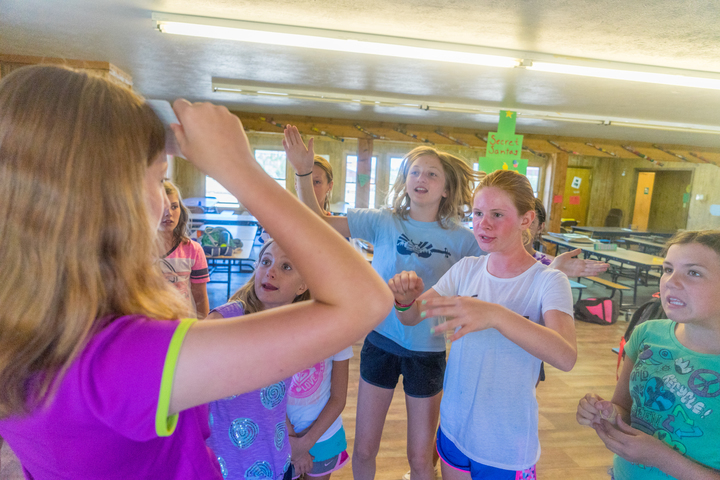 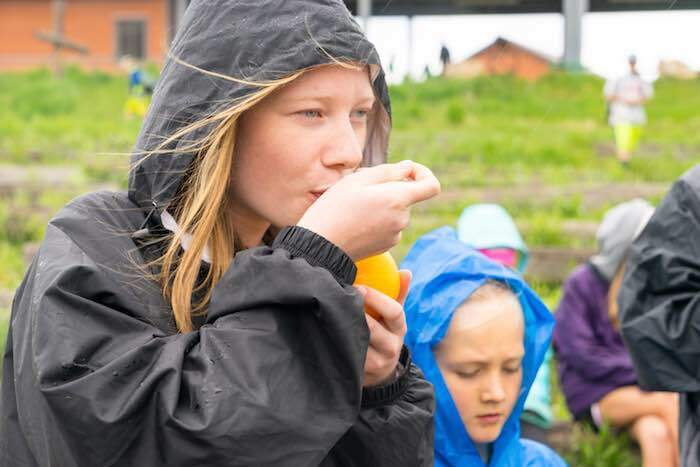 The remainder of the day is spent participating in traditional camp activities. 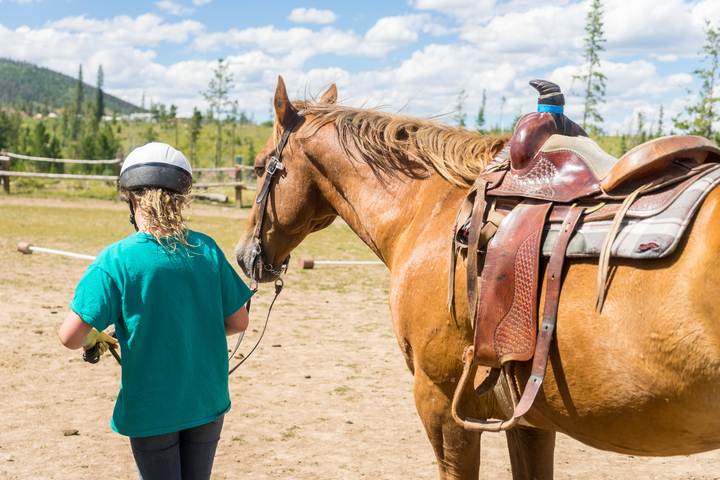 Each Monday, riders are evaluated to ensure that they have been placed in the correct level of instruction. 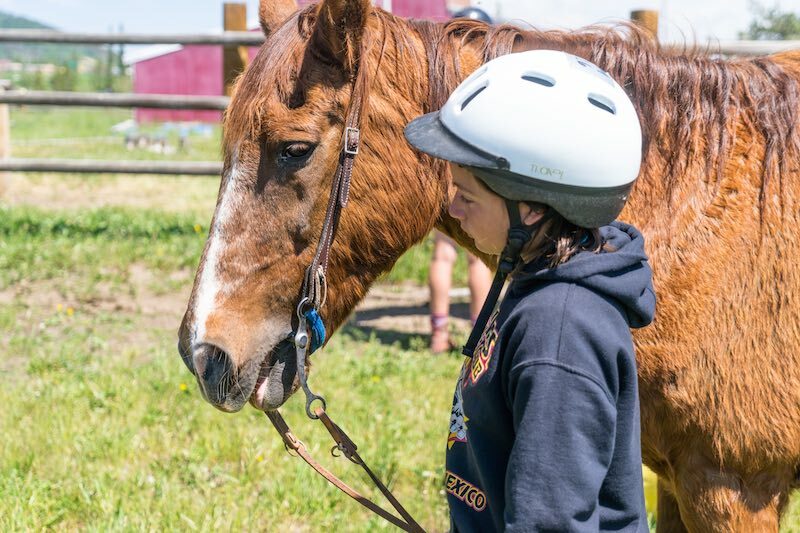 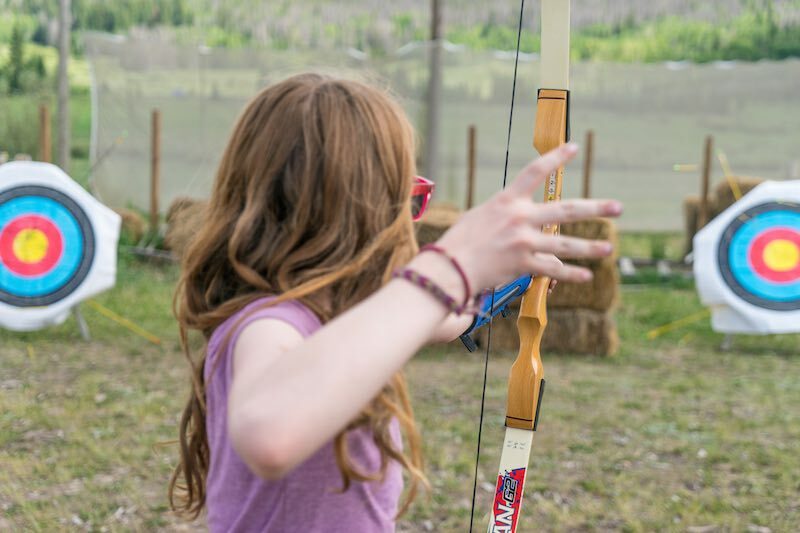 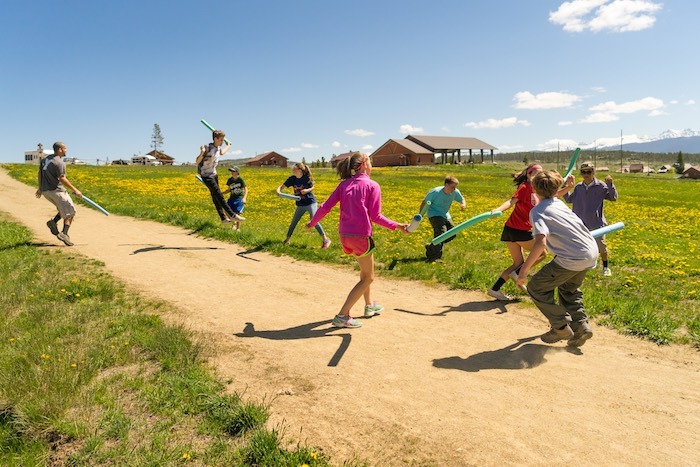 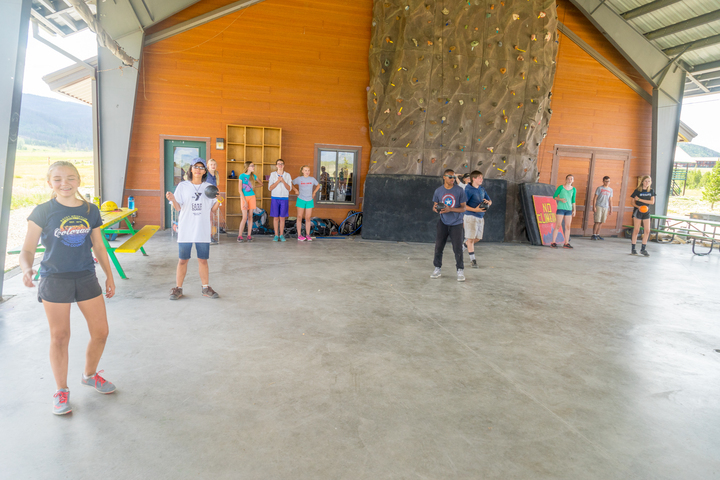 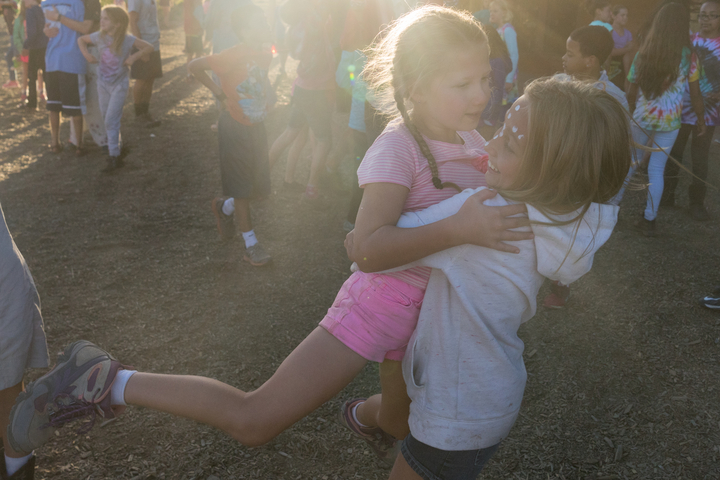 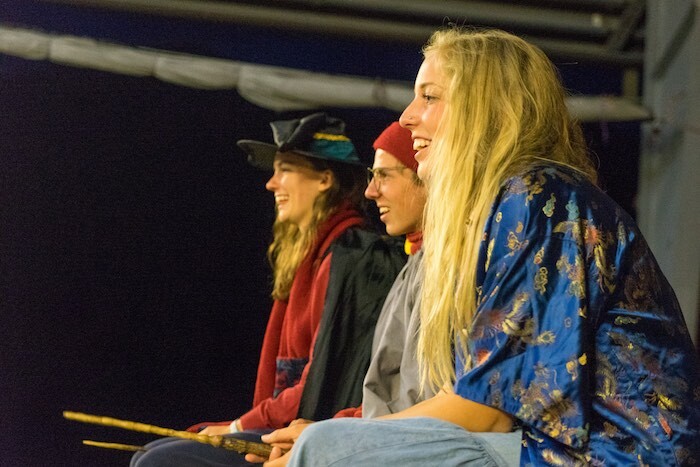 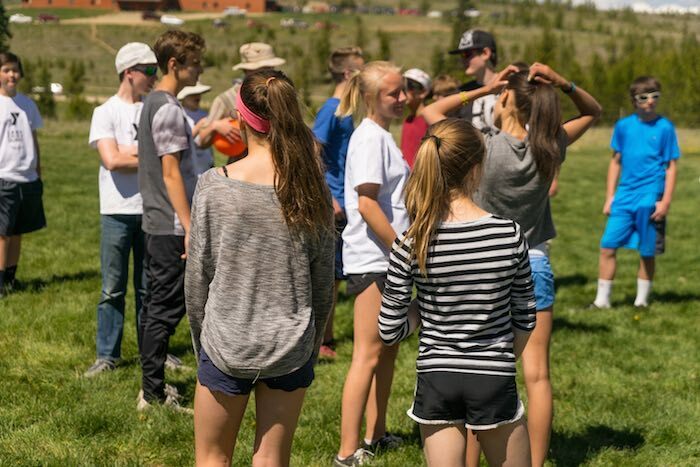 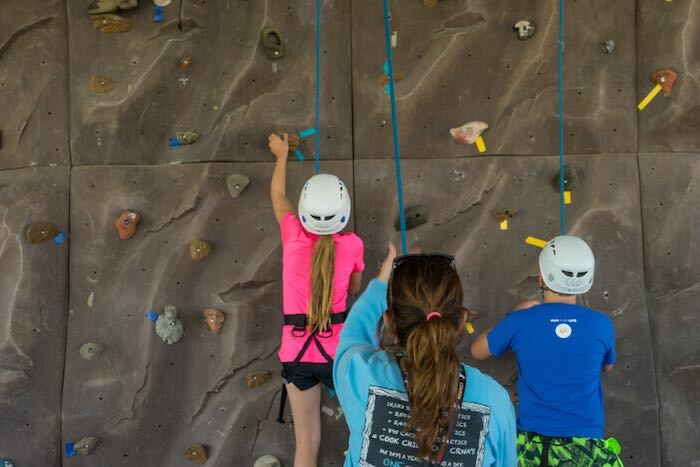 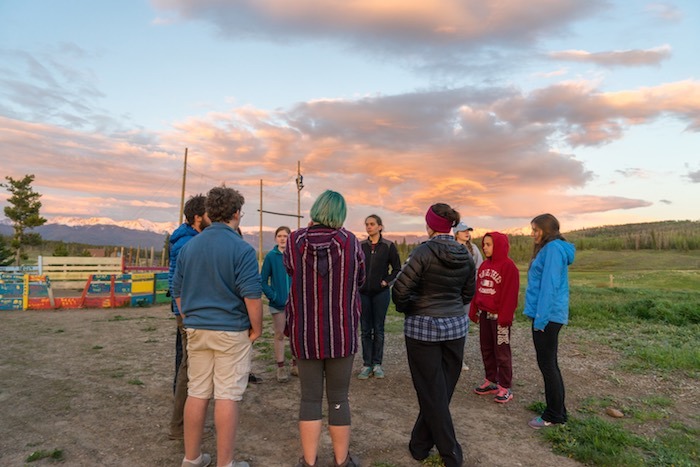 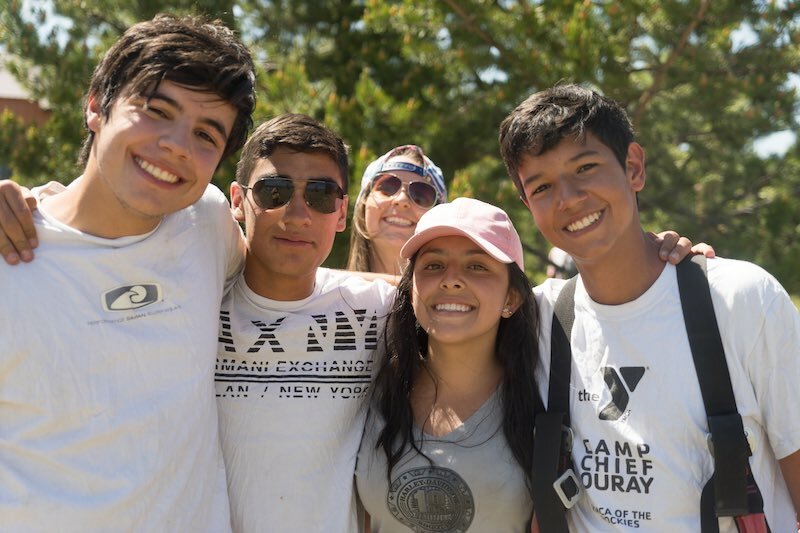 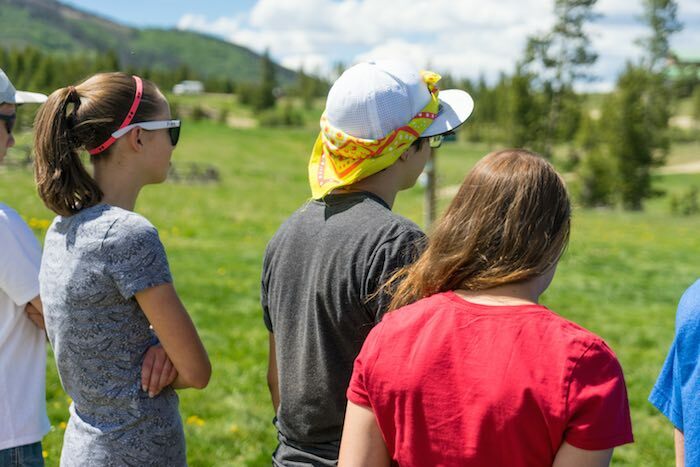 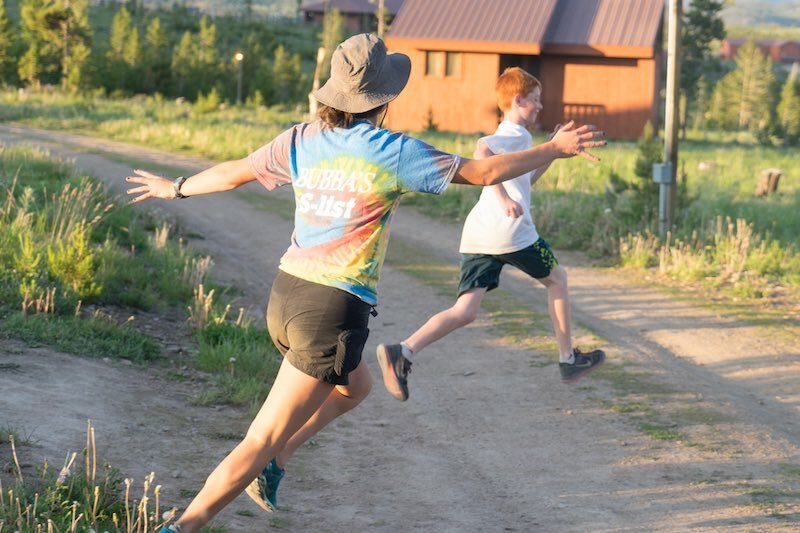 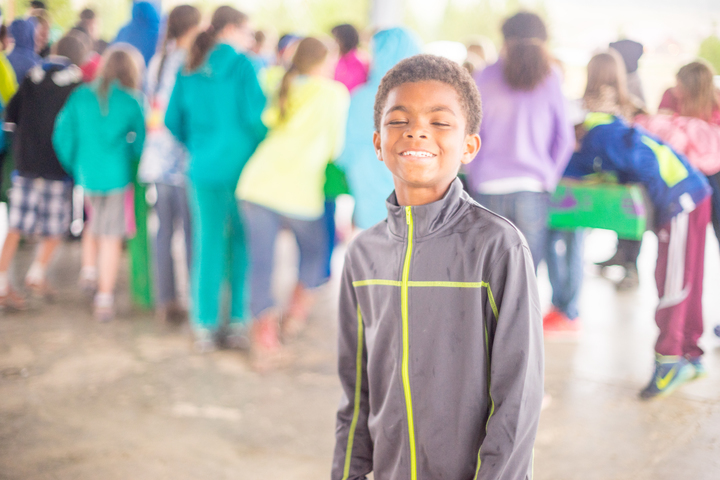 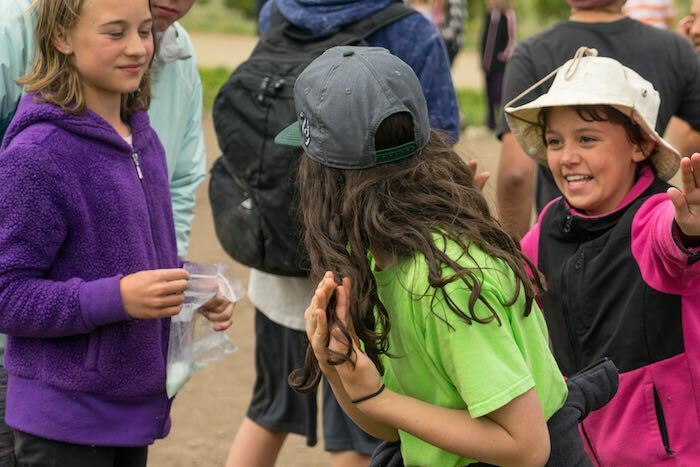 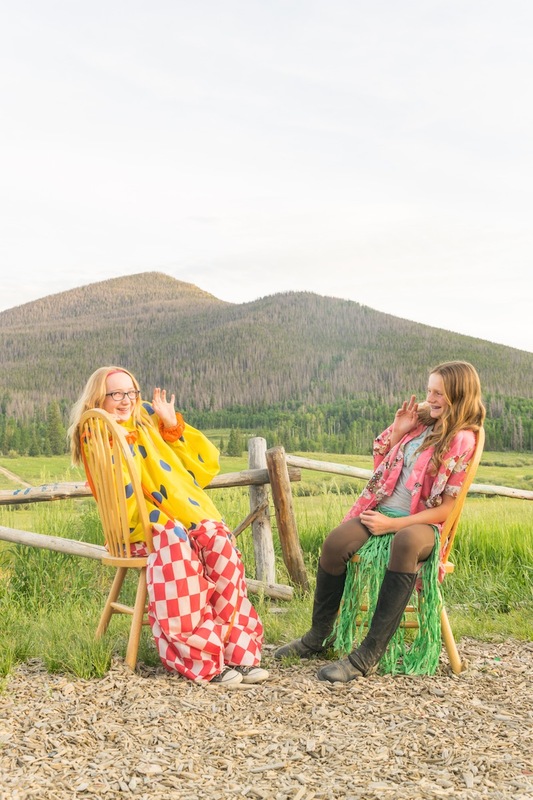 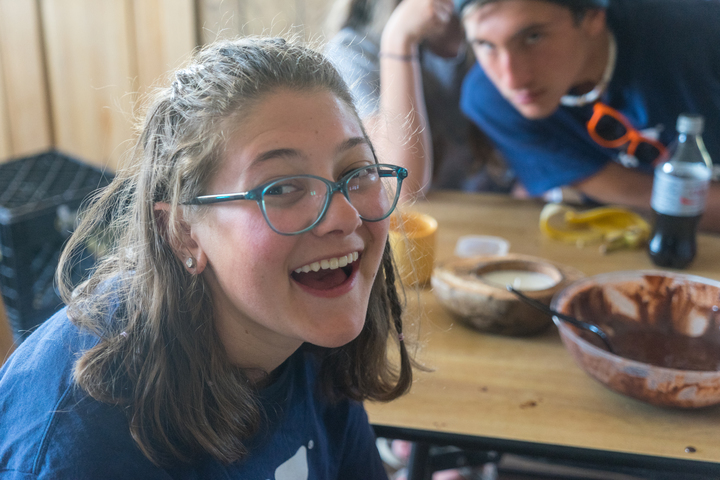 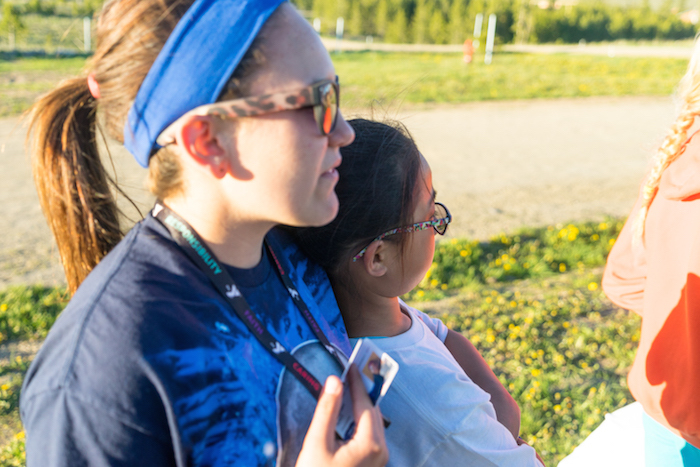 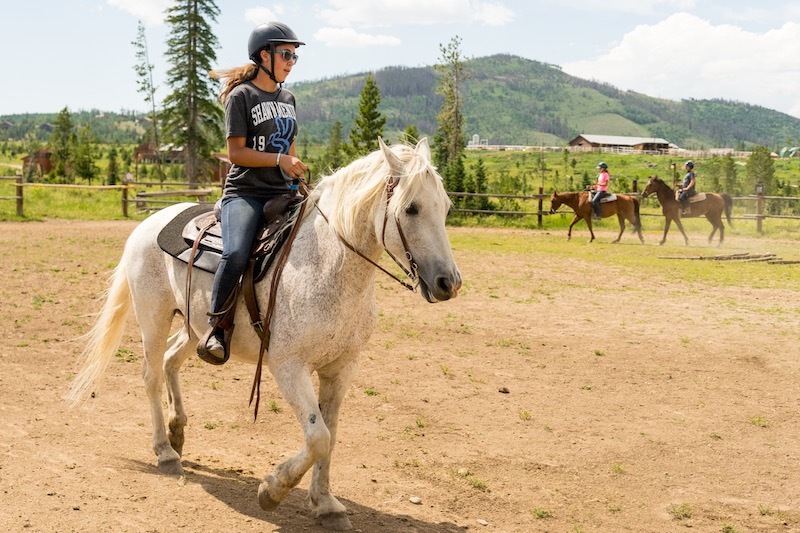 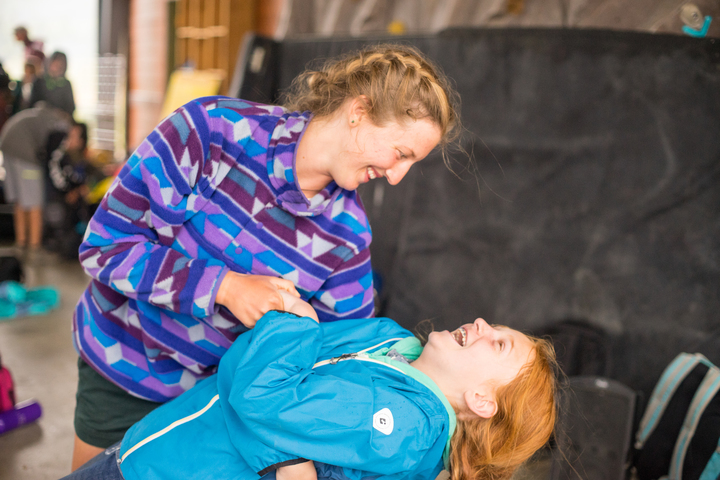 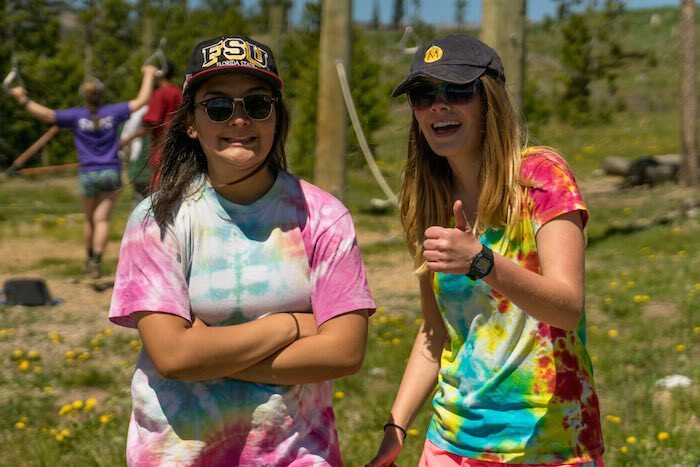 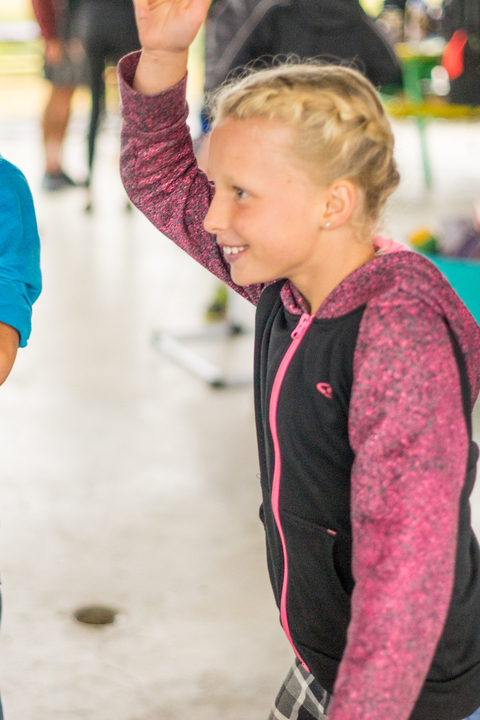 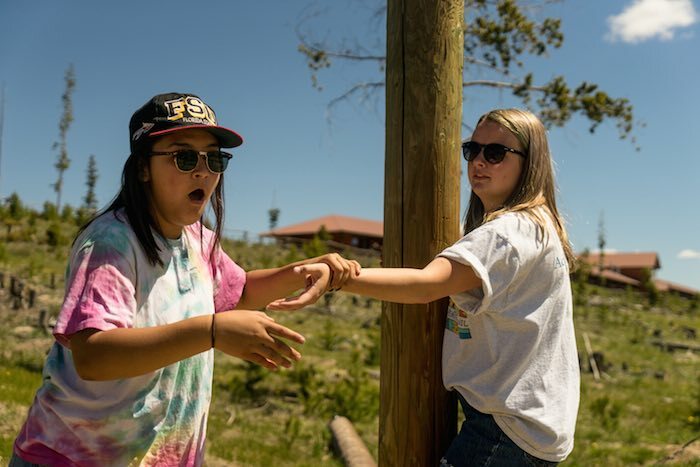 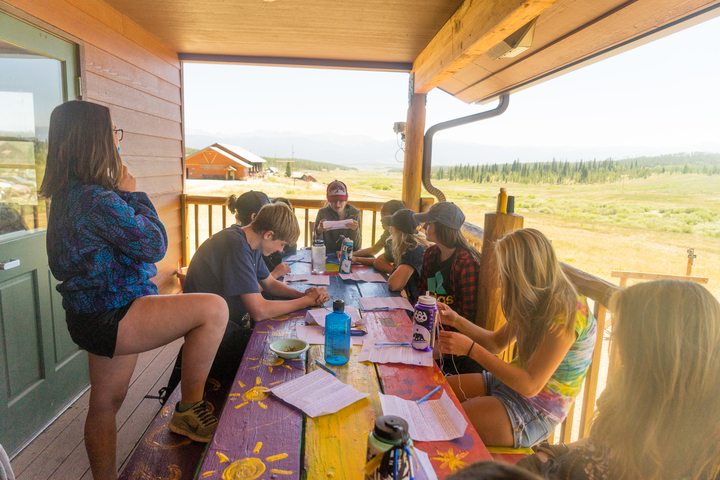 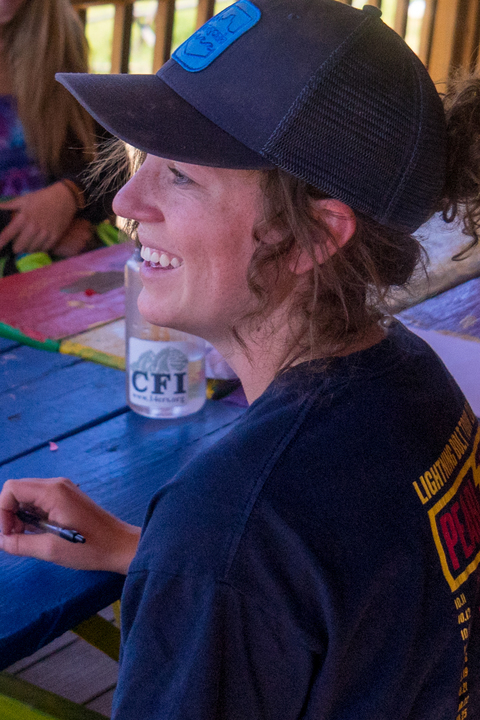 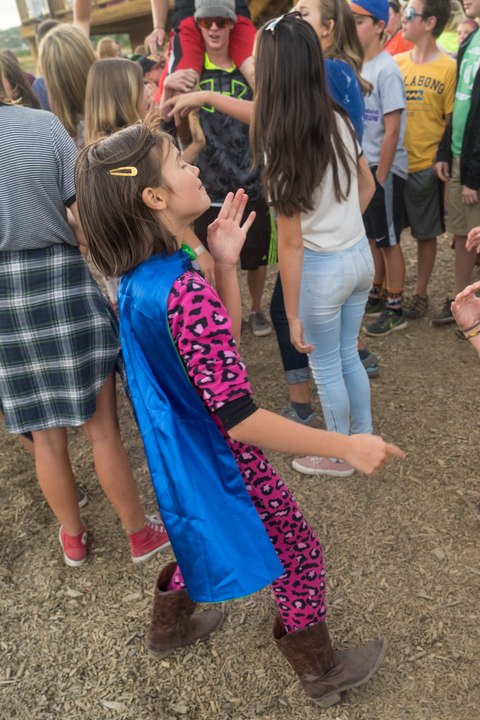 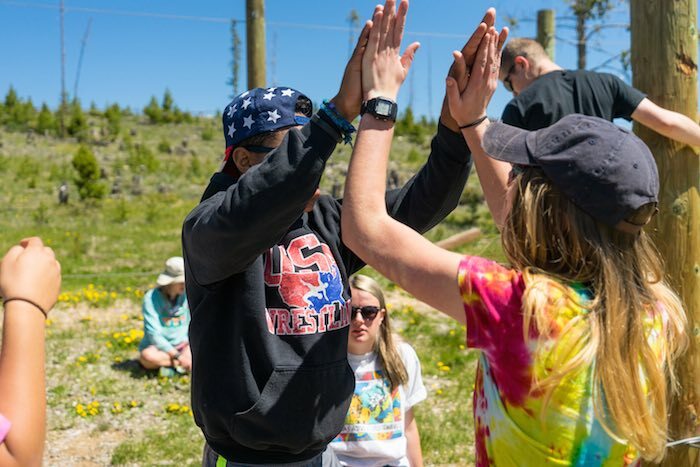 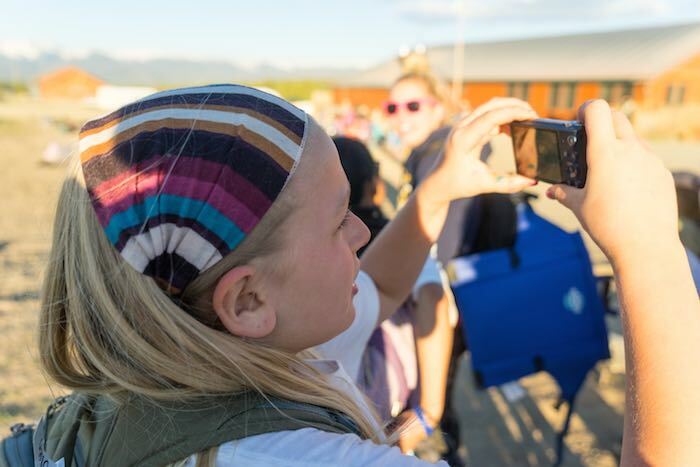 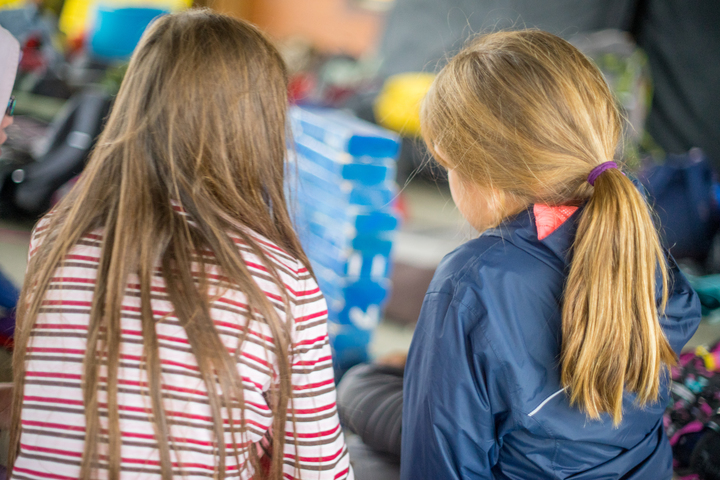 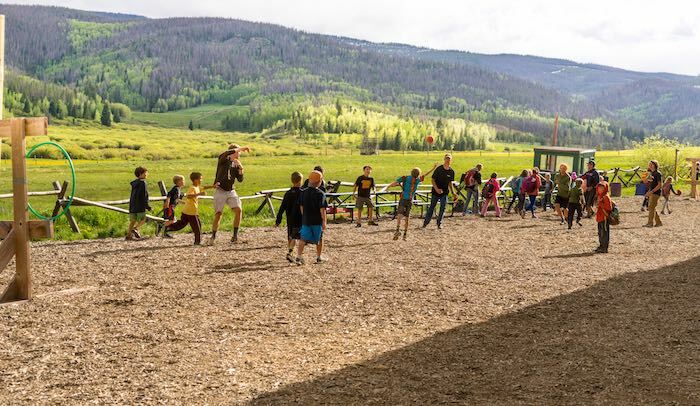 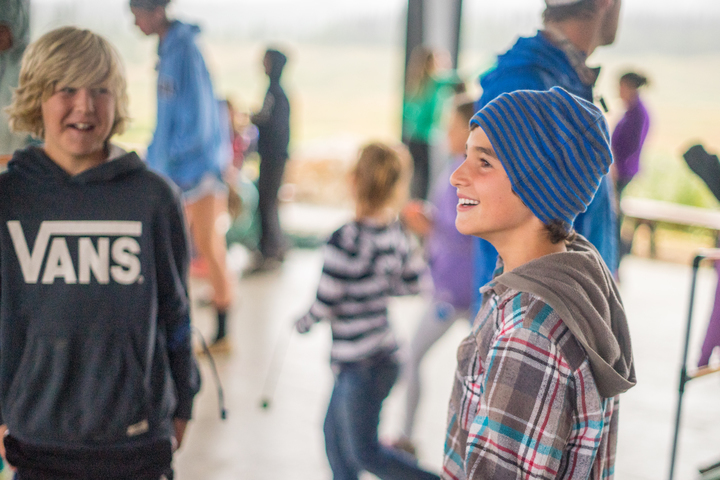 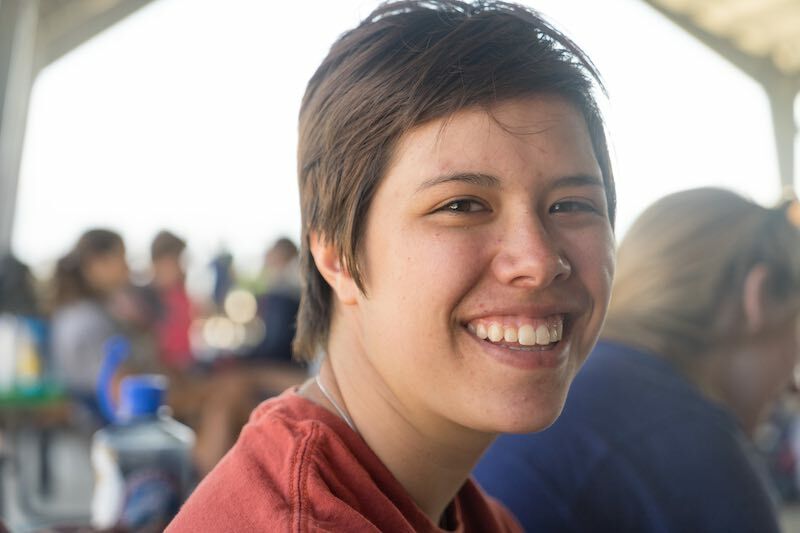 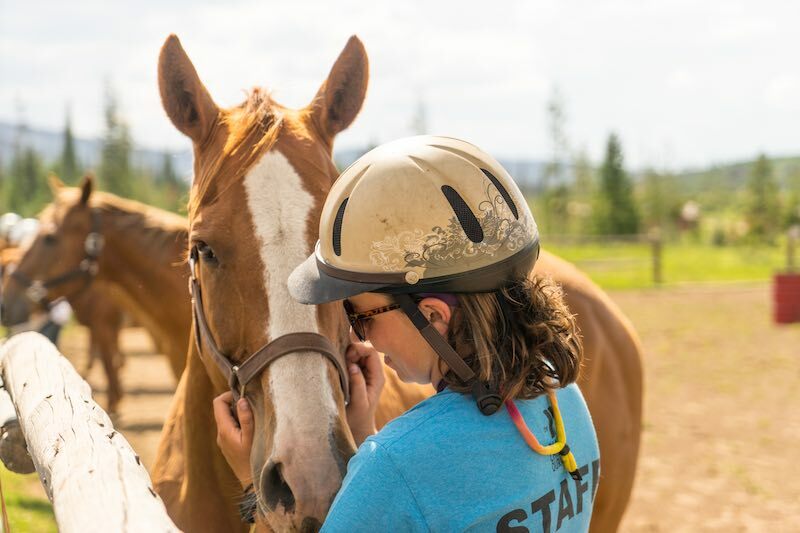 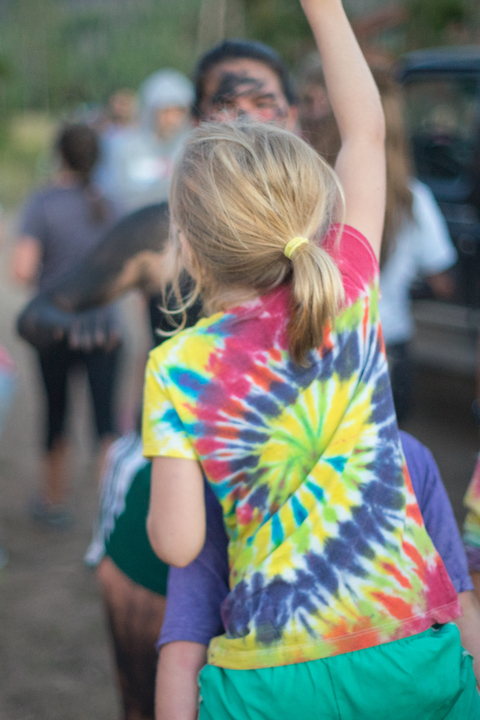 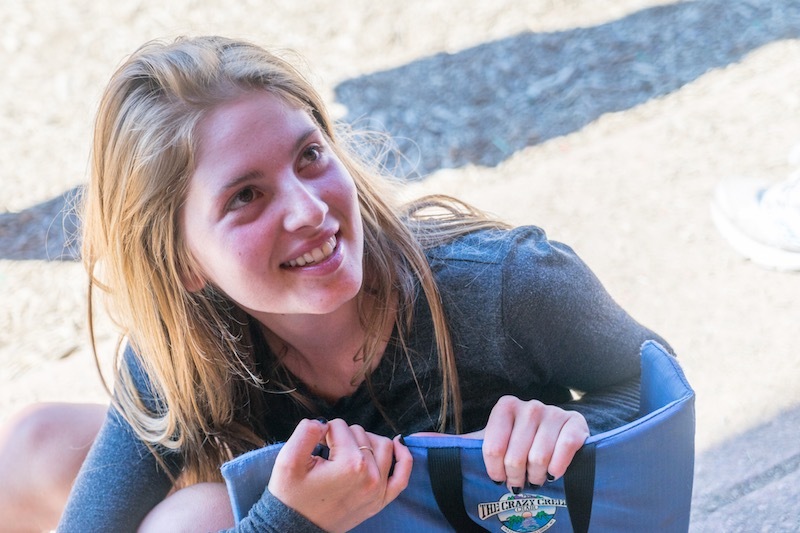 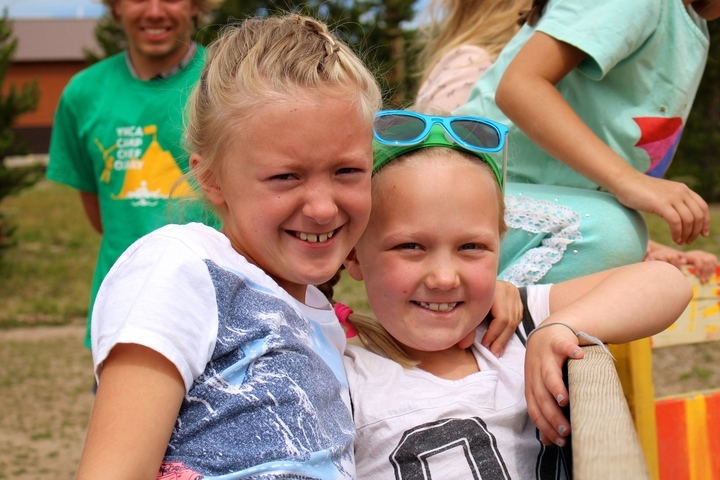 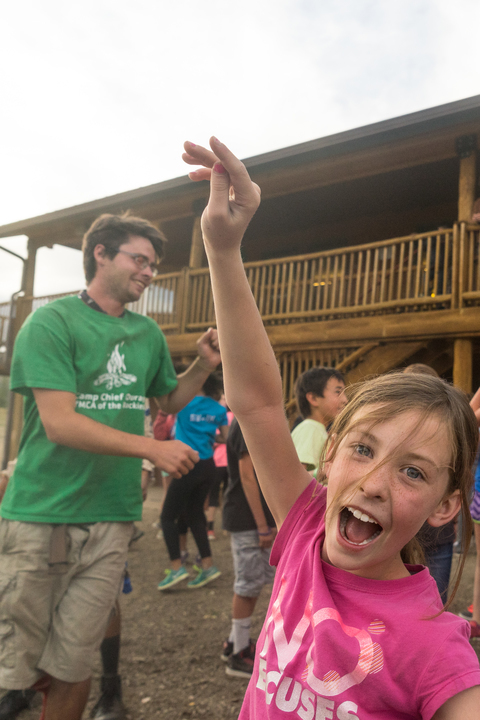 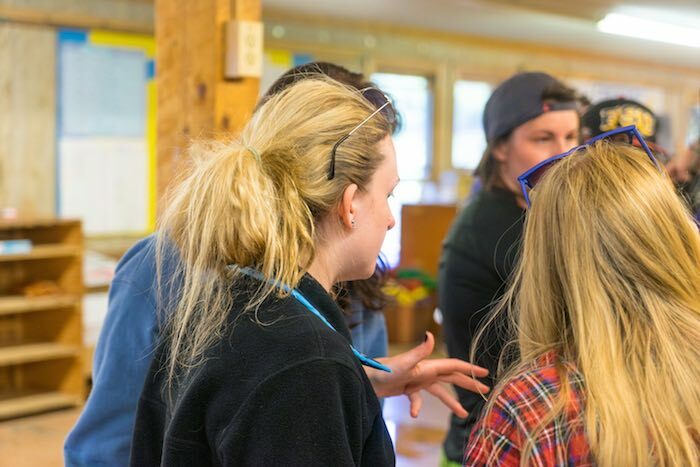 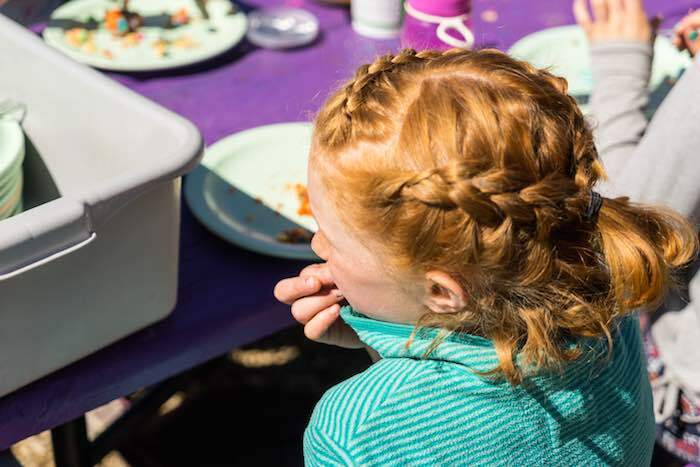 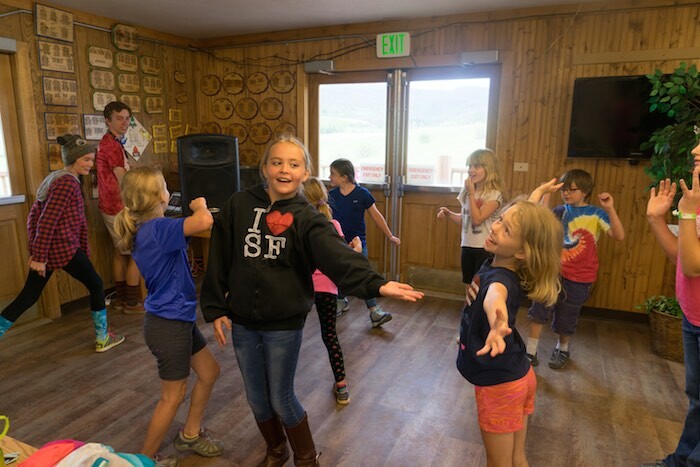 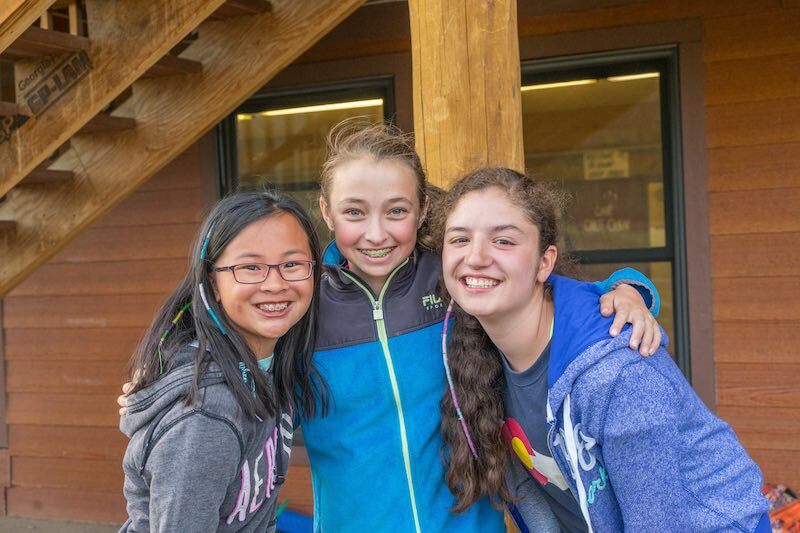 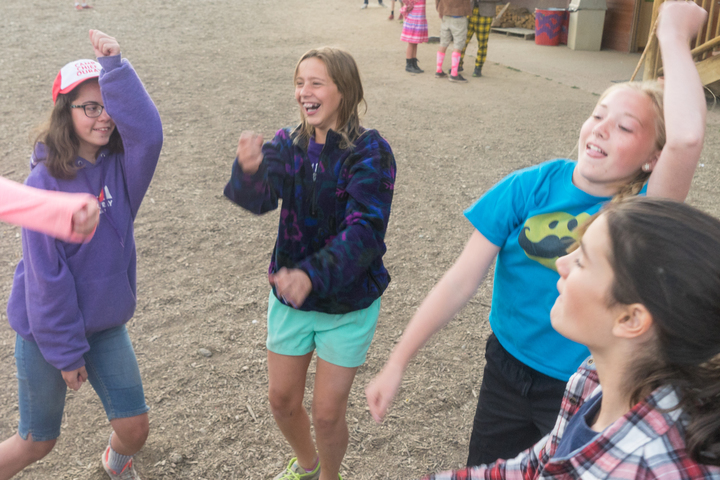 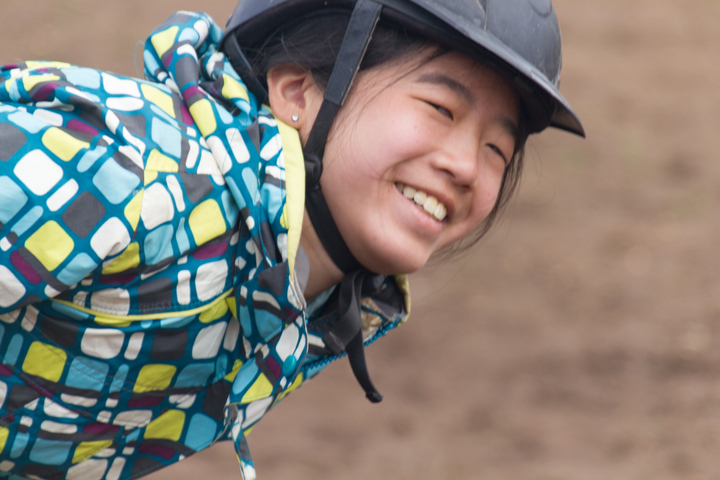 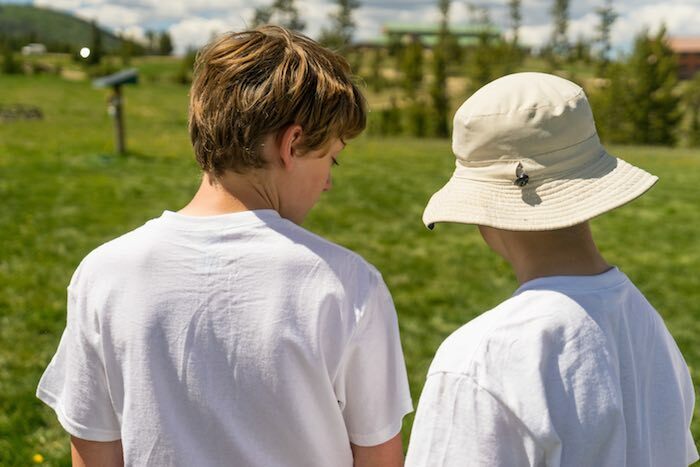 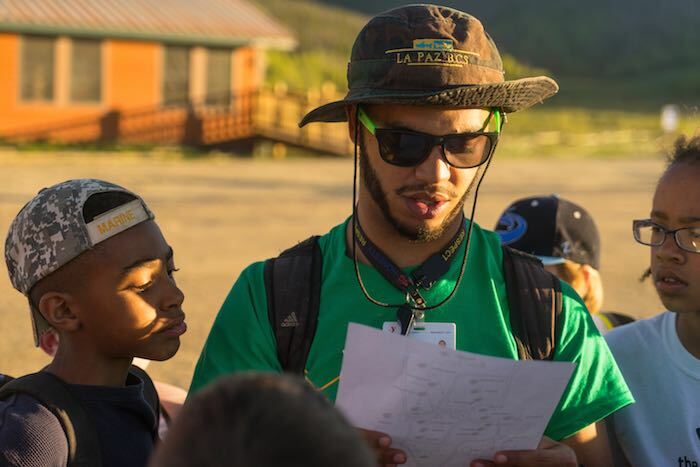 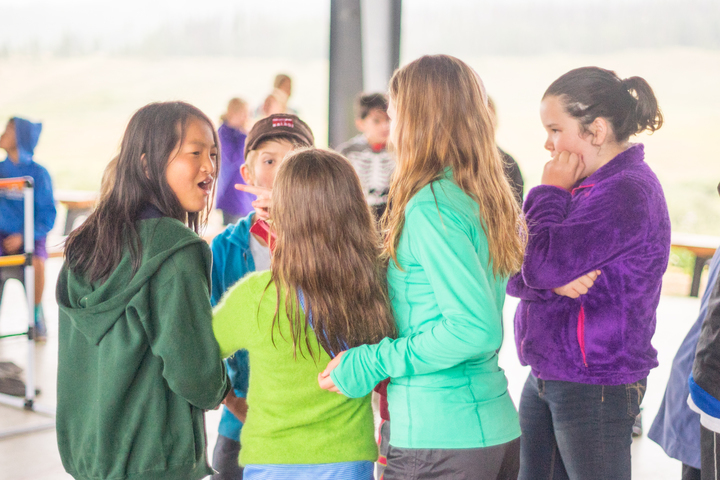 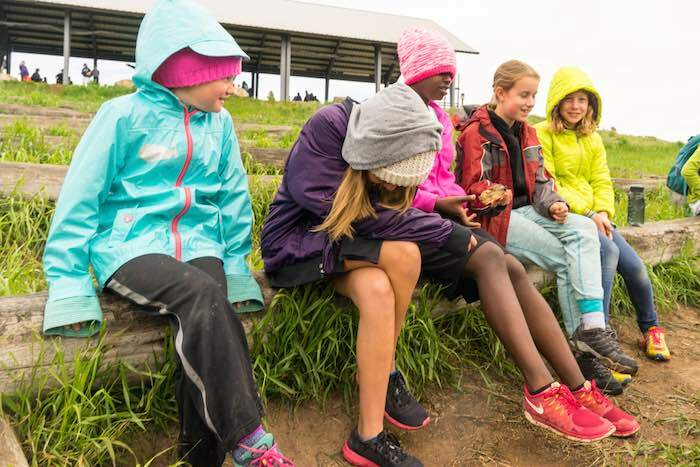 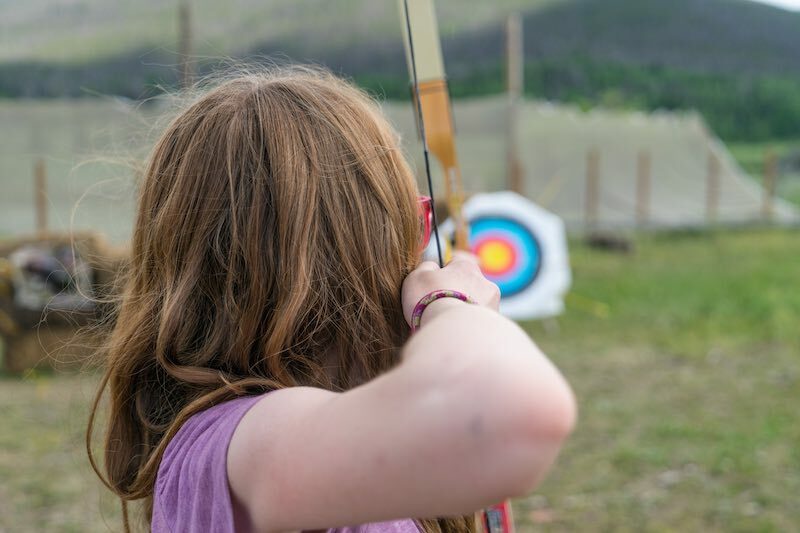 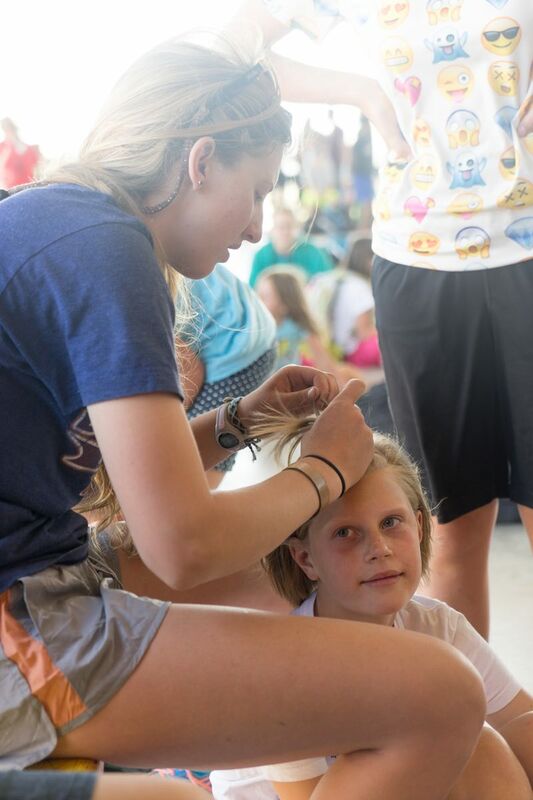 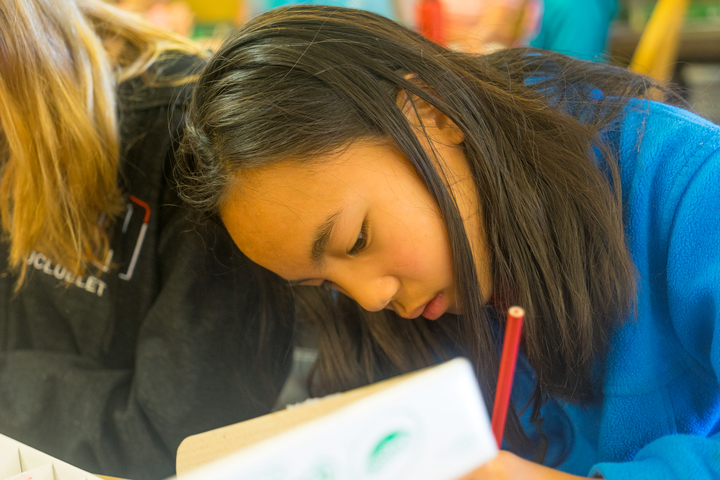 If our Barn Director determines that a rider belongs in a level different from the one they are registered for, he or she will be transferred to ensure that they will have a positive camp experience. 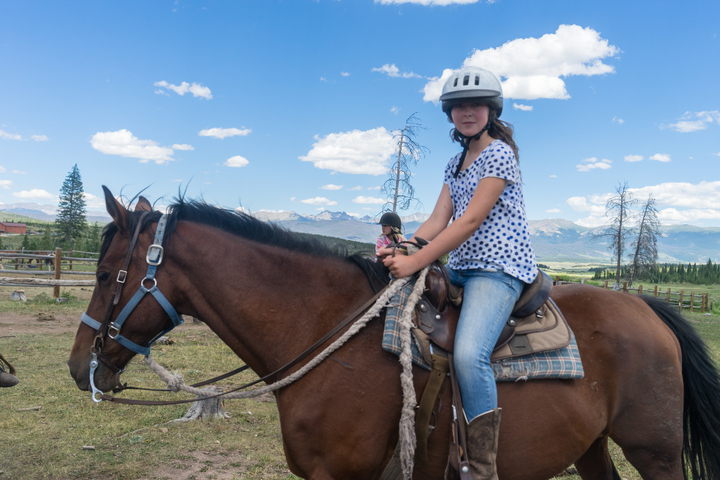 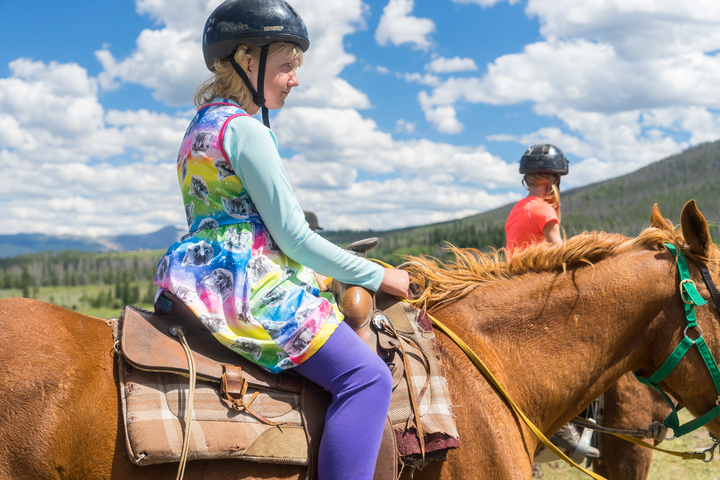 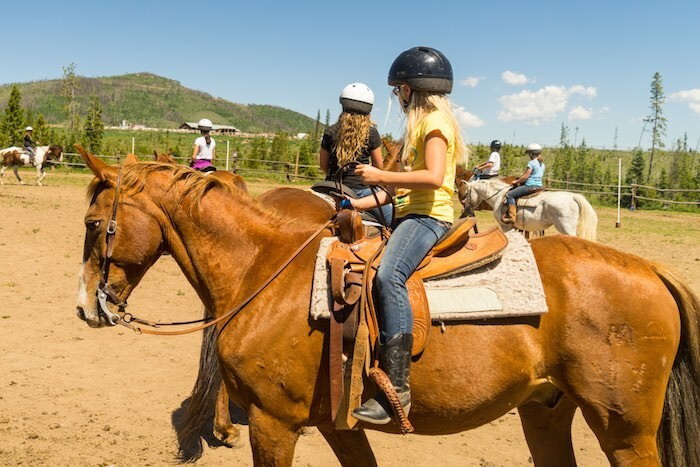 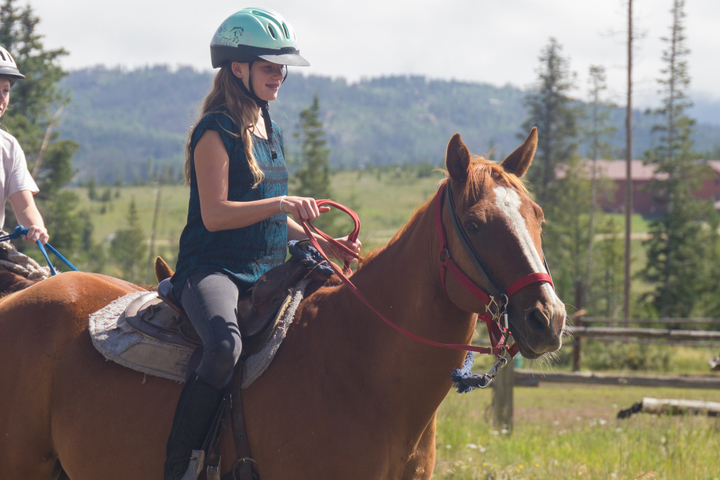 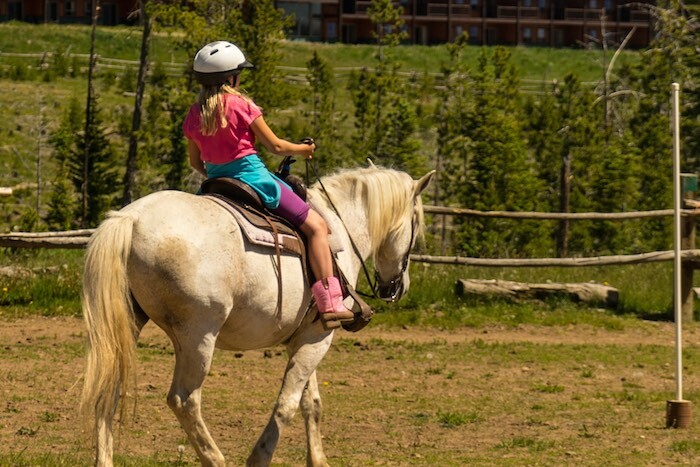 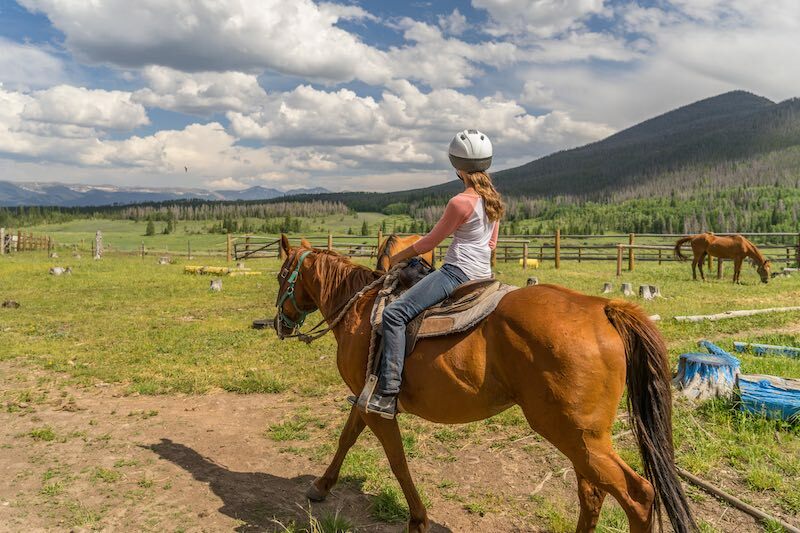 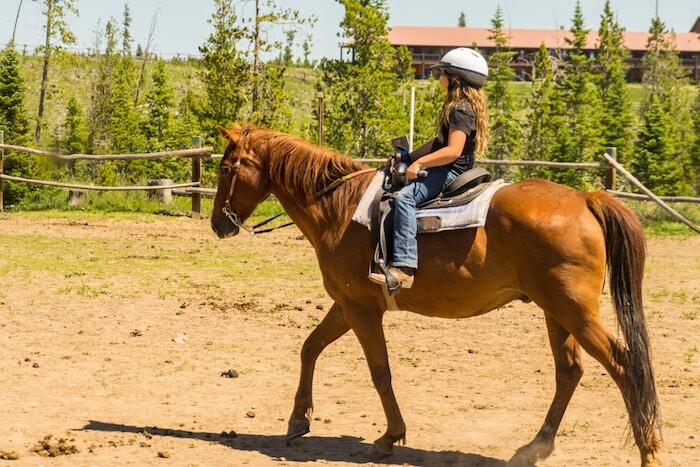 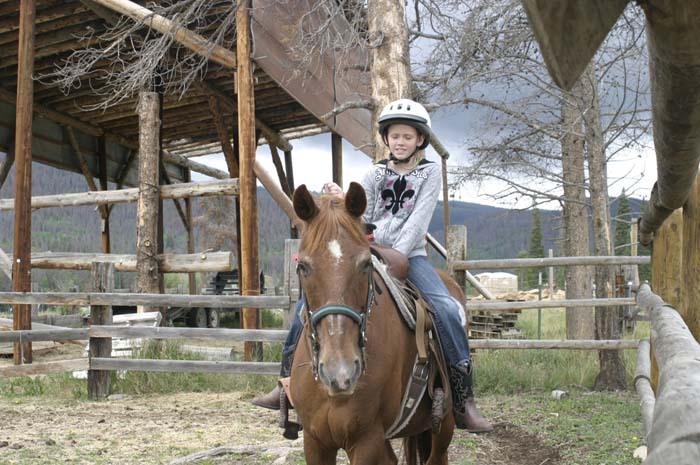 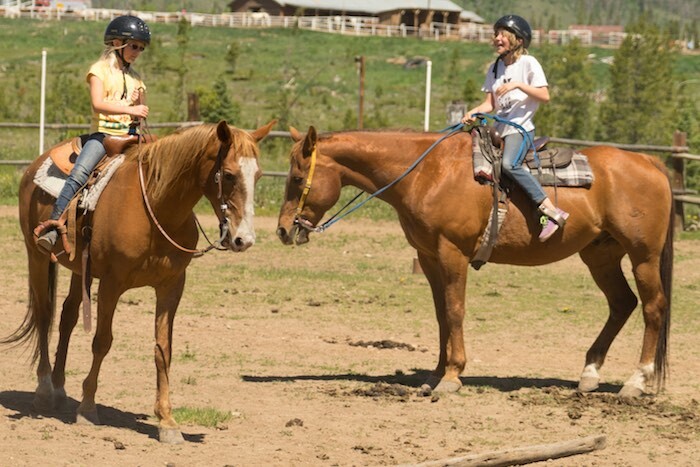 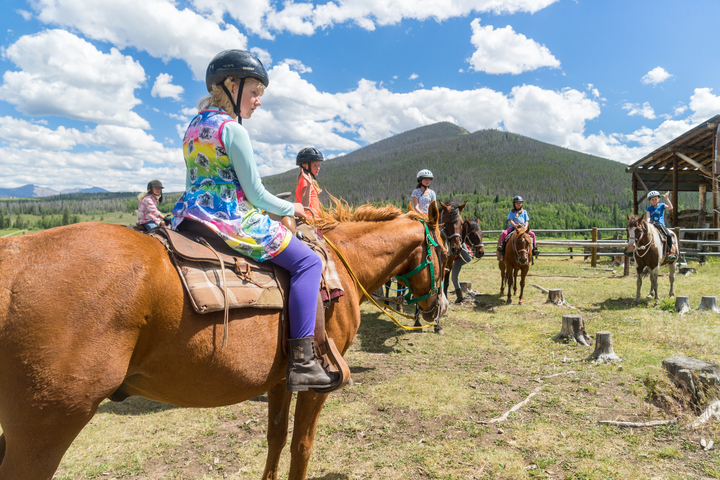 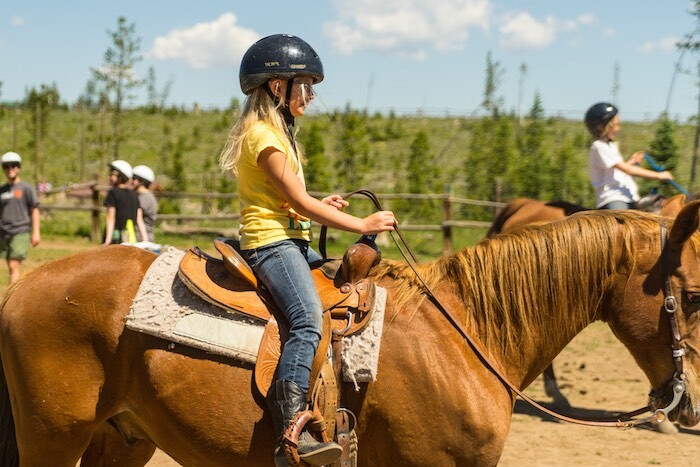 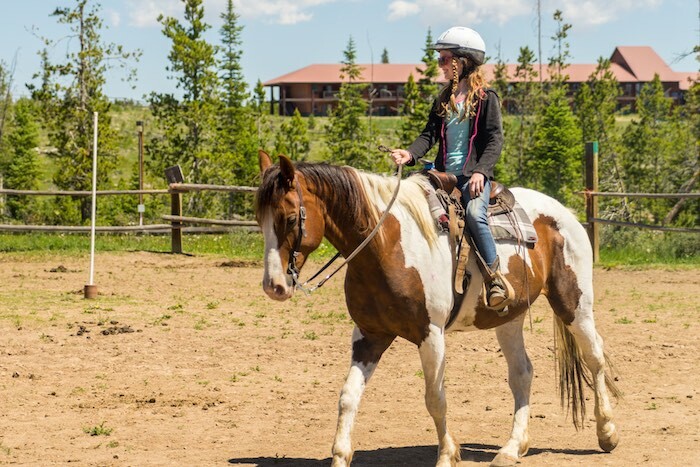 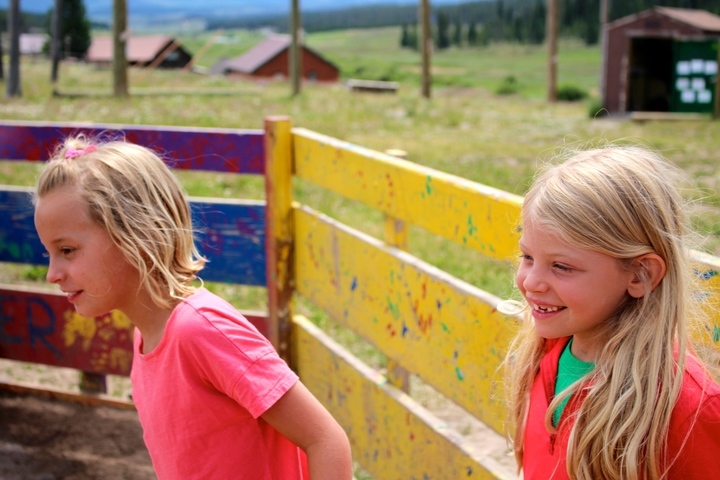 Horseback riding instruction can be added to any of our Traditional Camp Sessions. 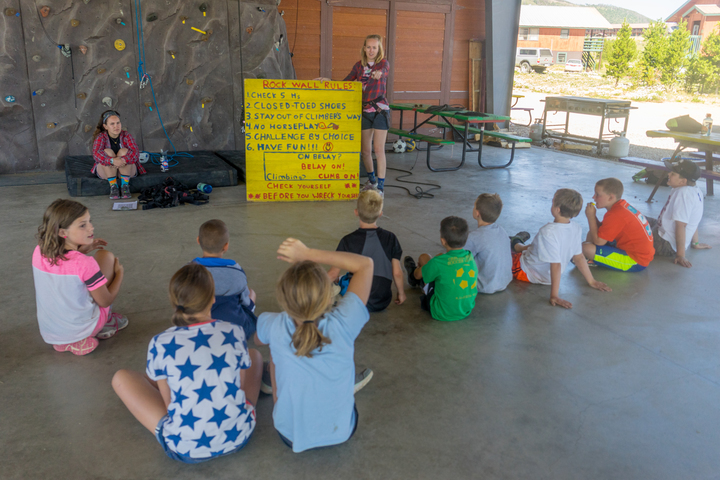 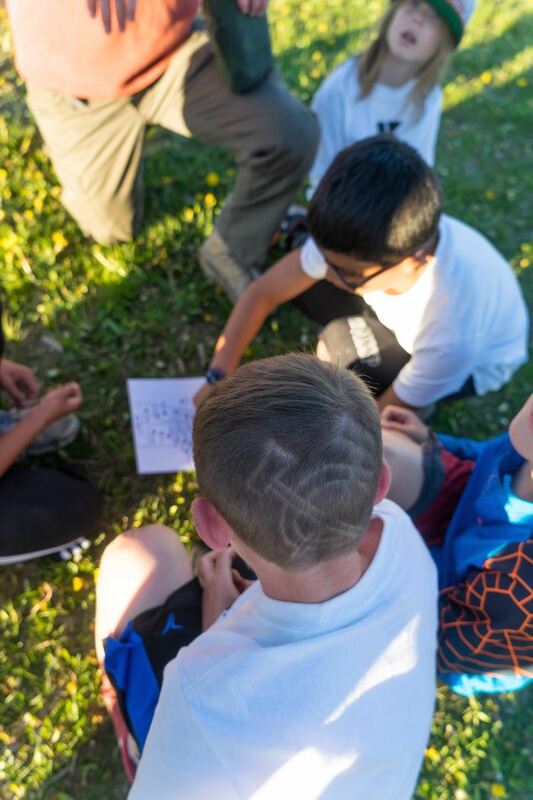 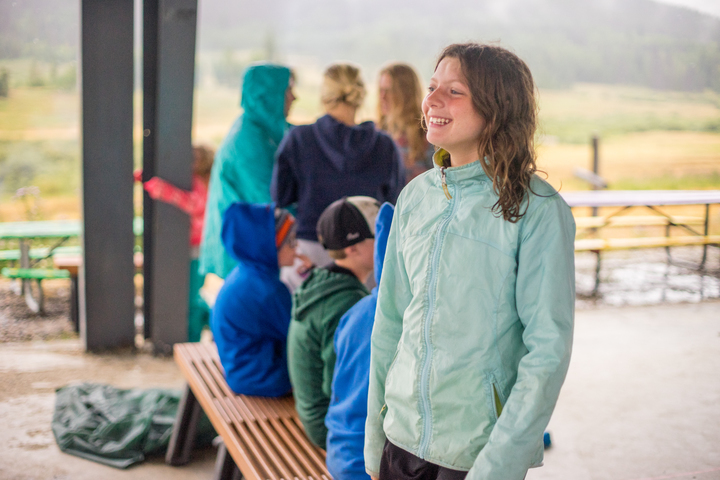 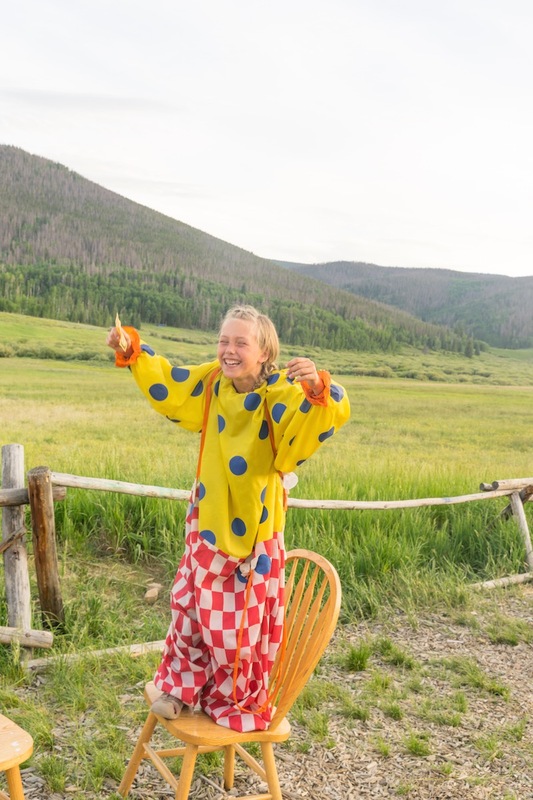 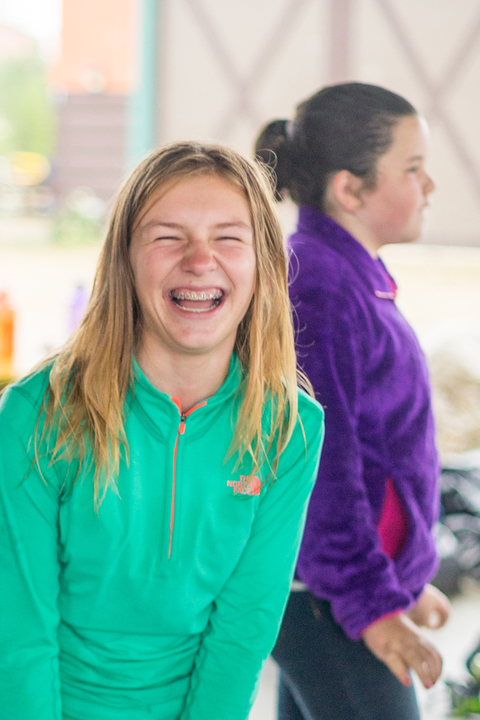 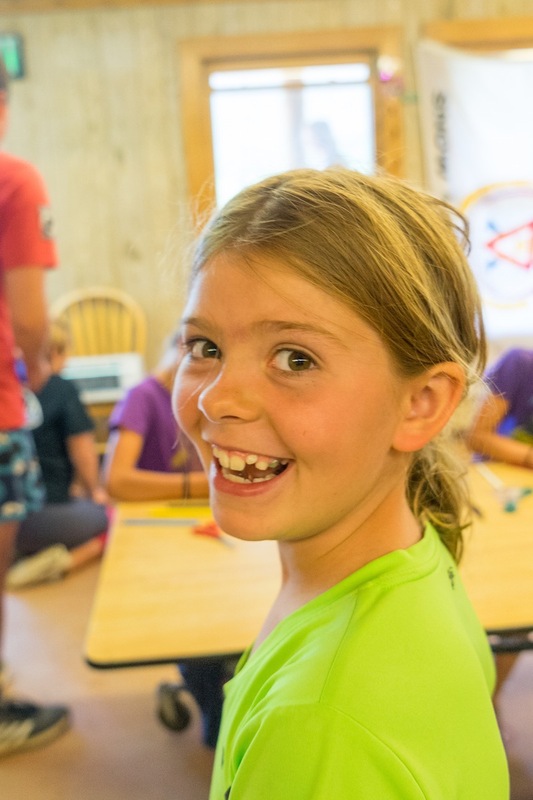 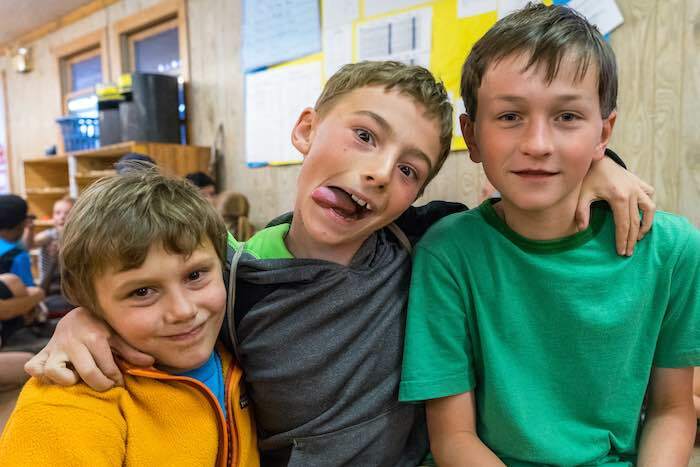 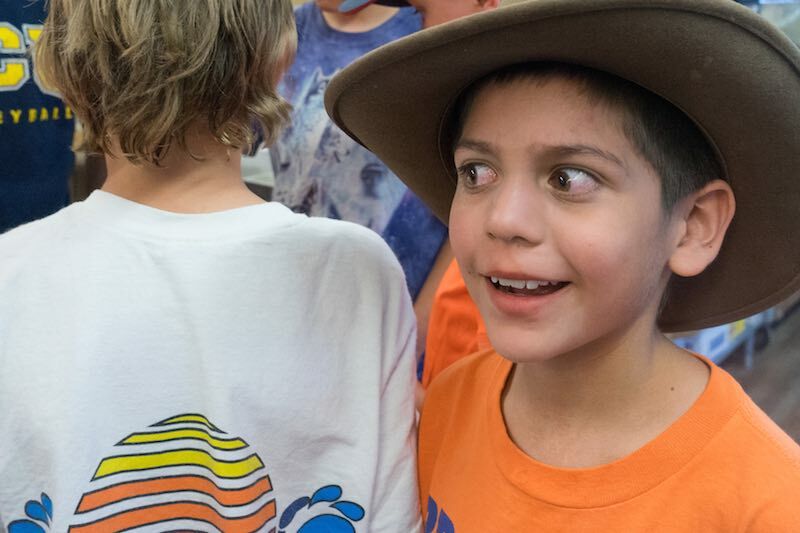 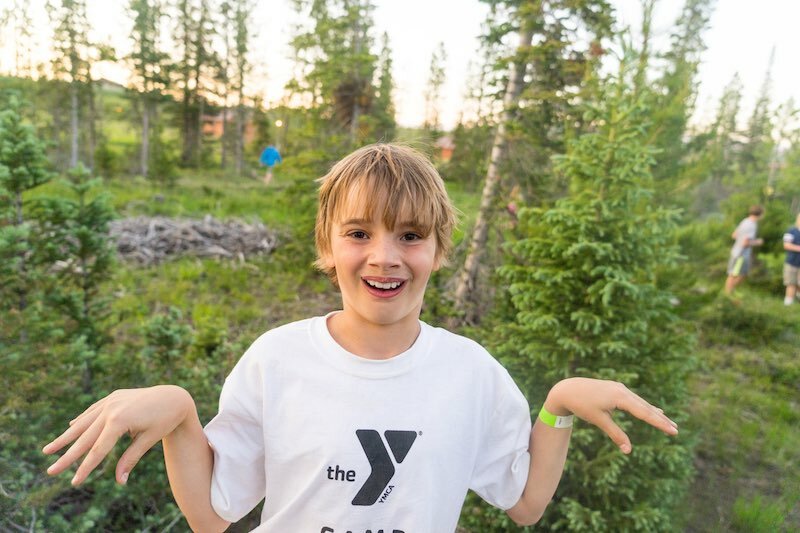 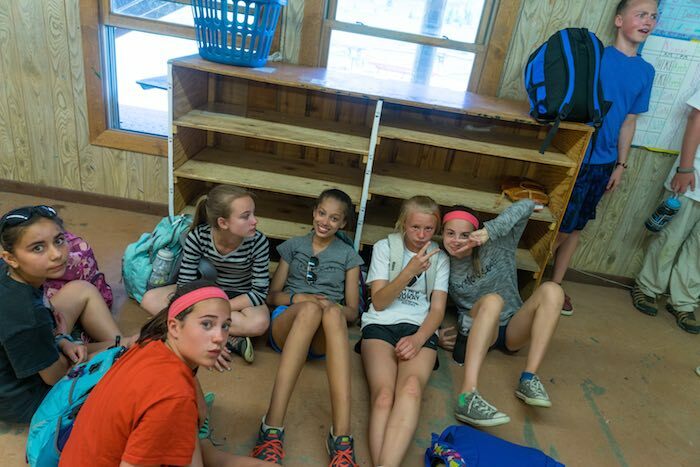 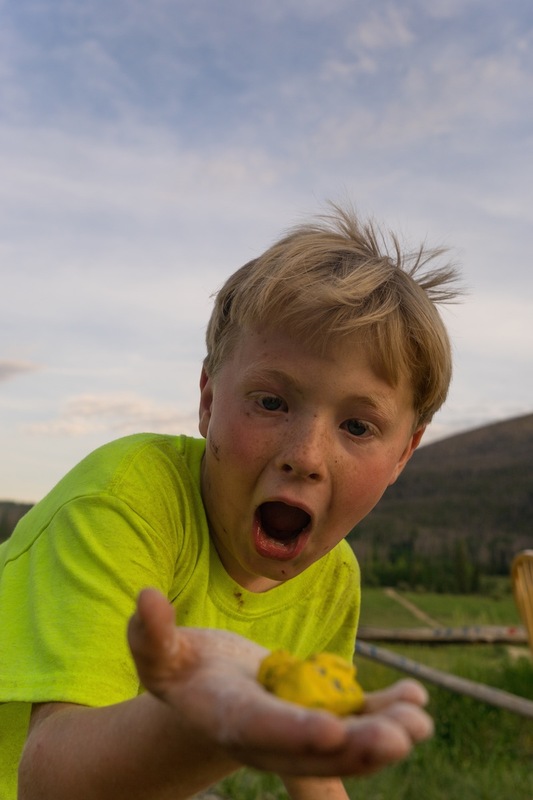 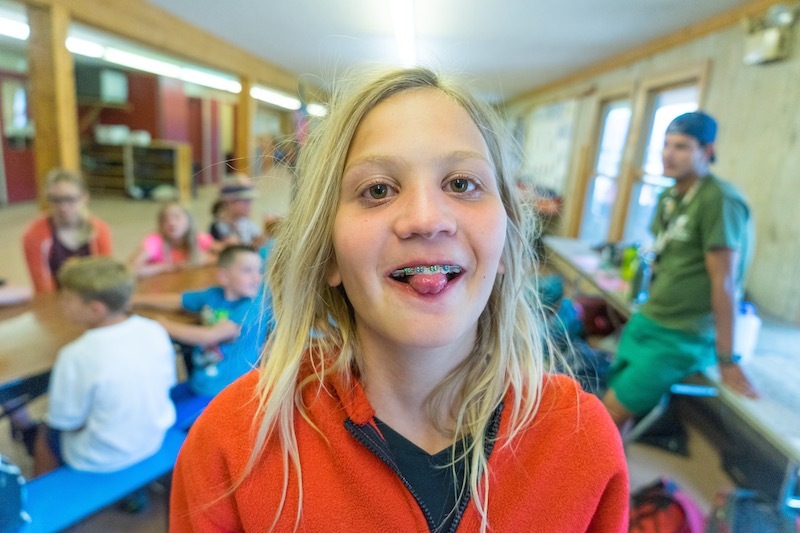 If you sign your camper up for rafting as well, they will miss their Thursday instruction. 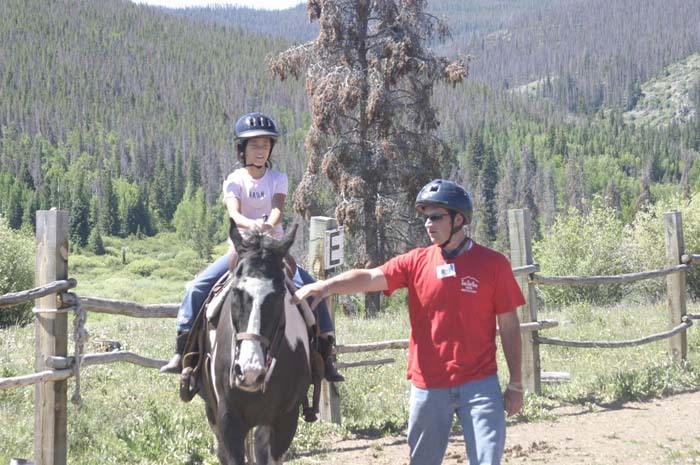 Beginning riders will learn how to handle a horse on the ground and in the saddle. 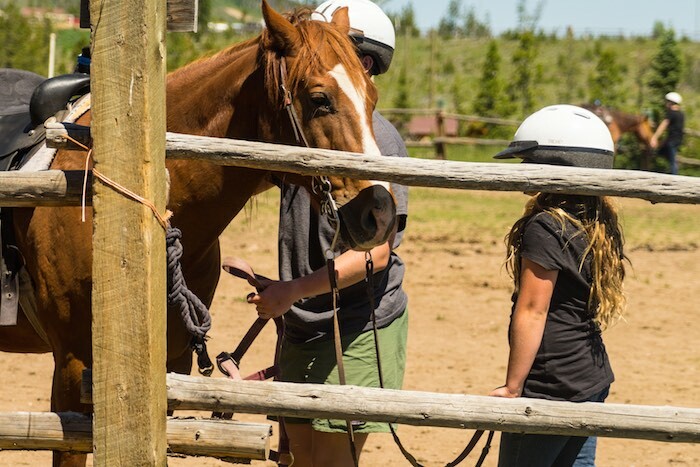 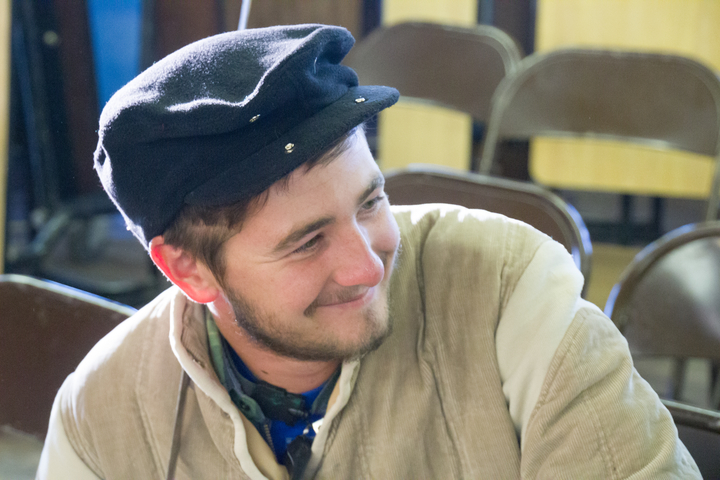 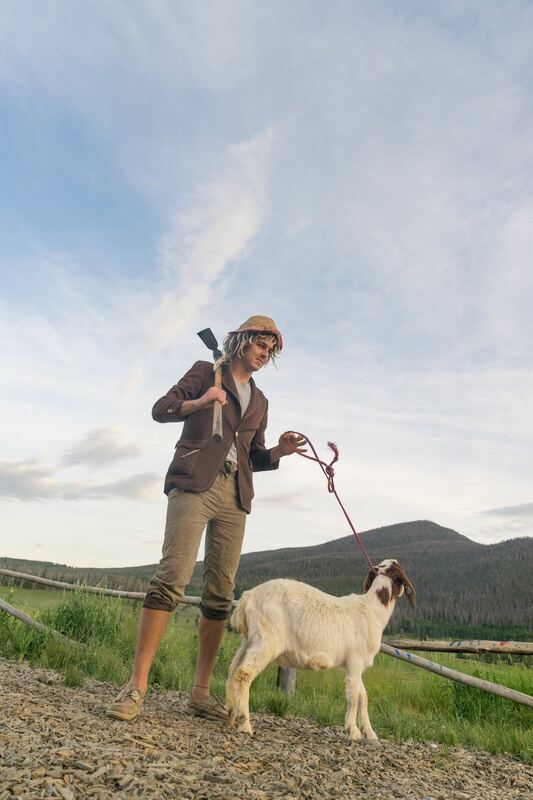 This includes learning how to lead and tie a horse correctly, as well as hoof picking, grooming, and saddling a horse. 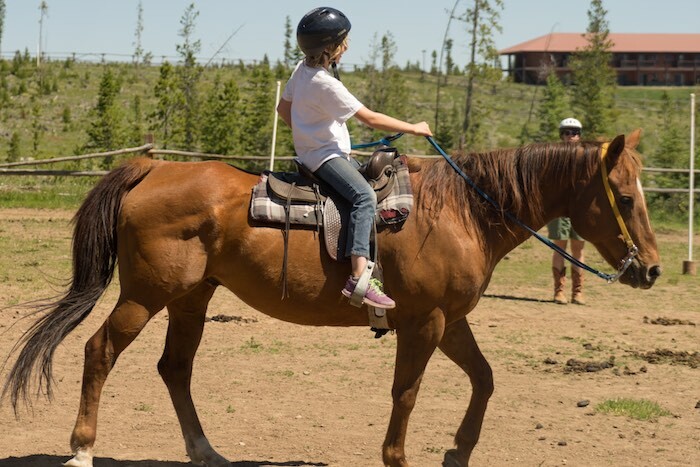 They will also learn basic riding position and how to control and steer a horse at a walk. 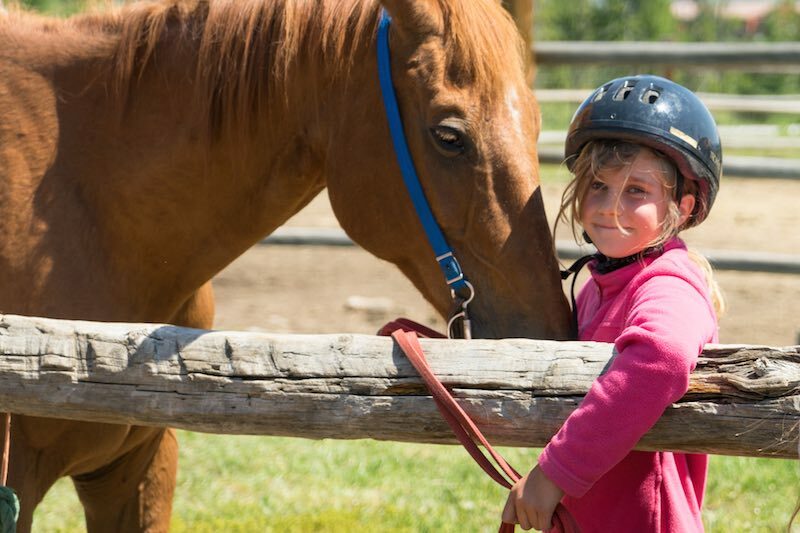 Prerequisite: Desire to learn about horses. 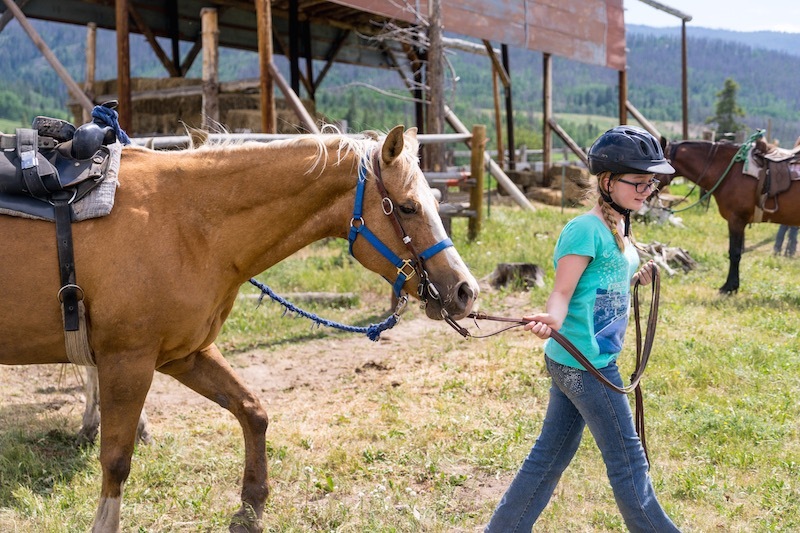 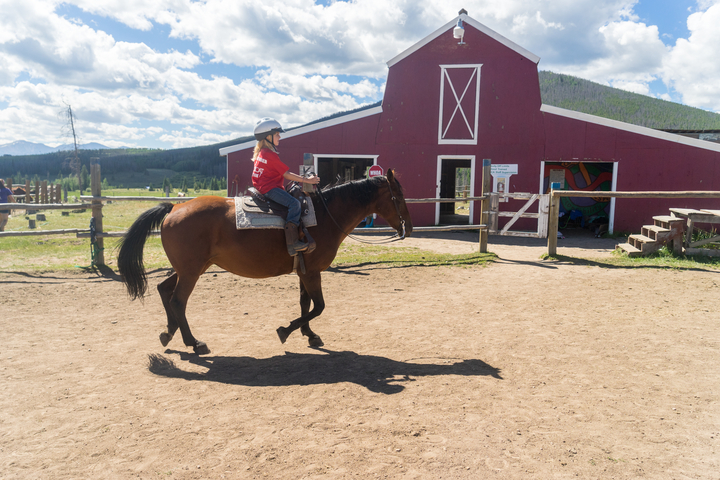 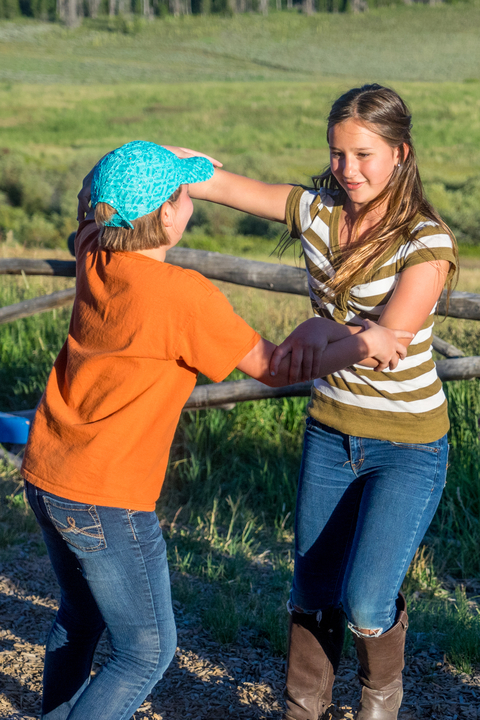 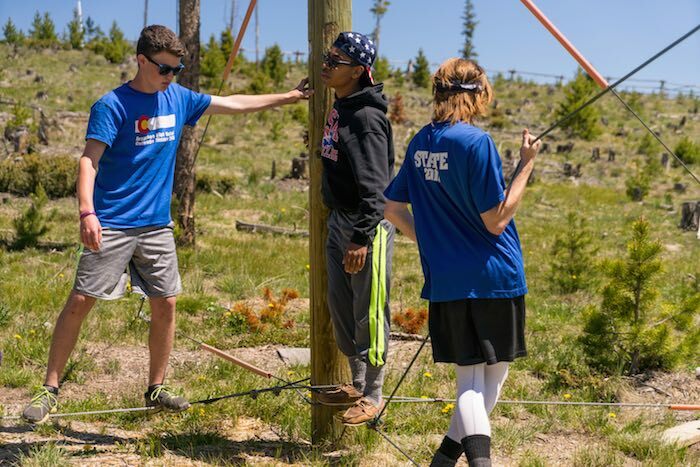 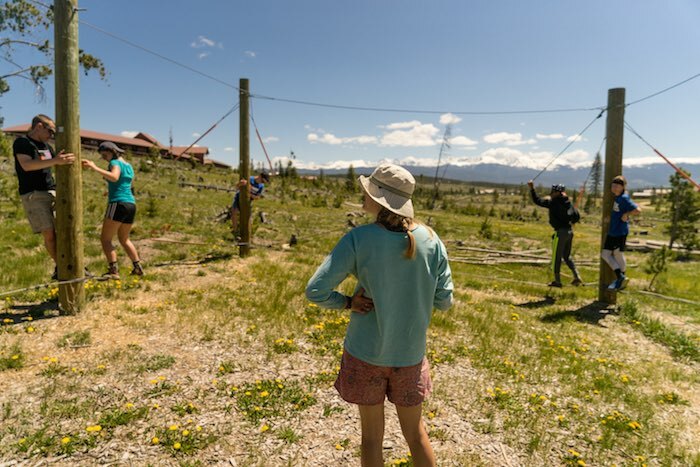 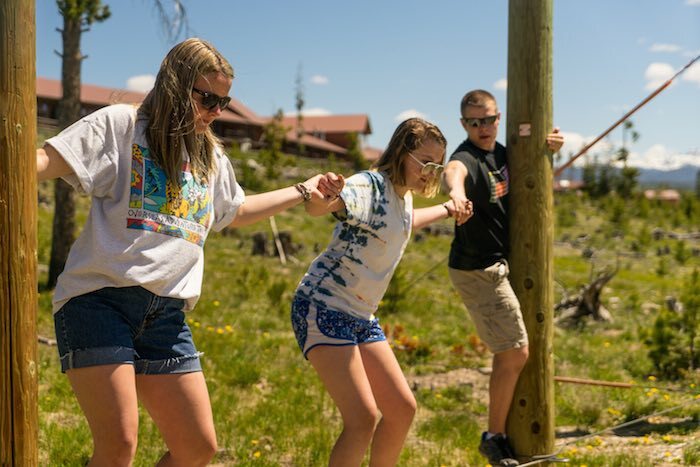 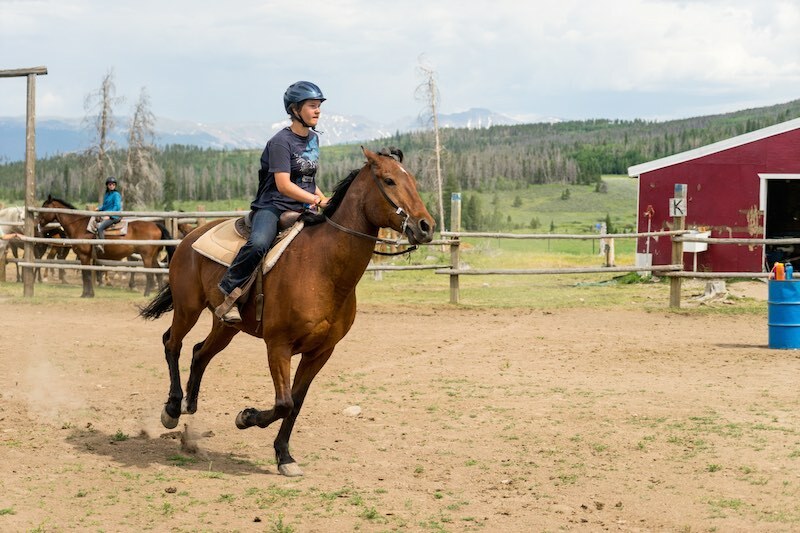 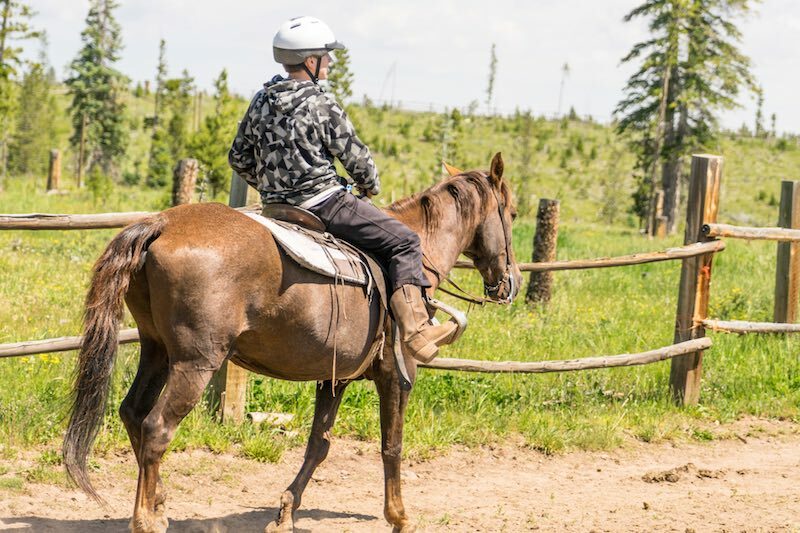 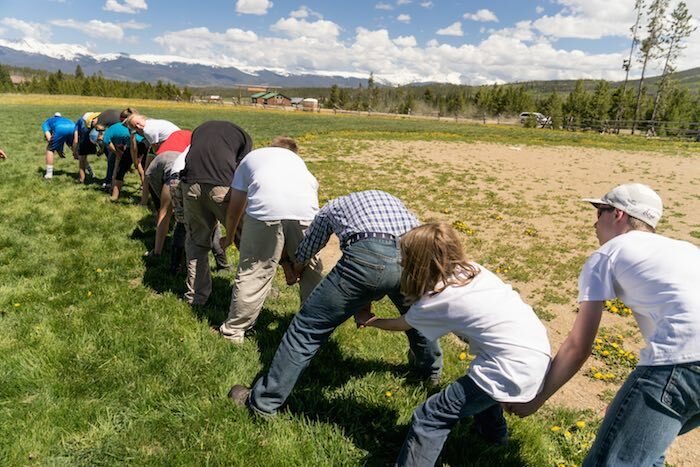 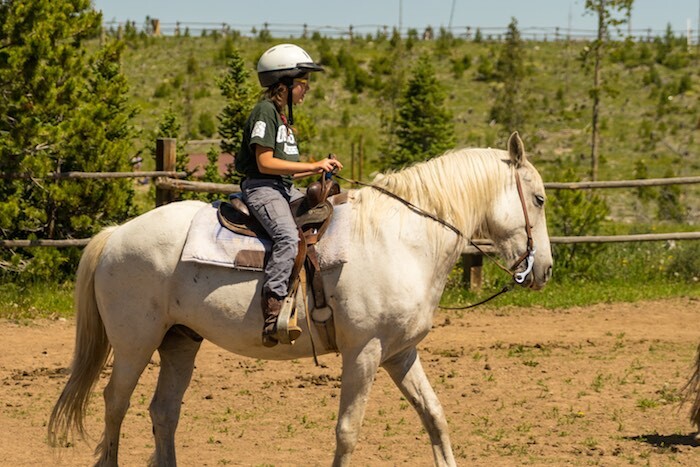 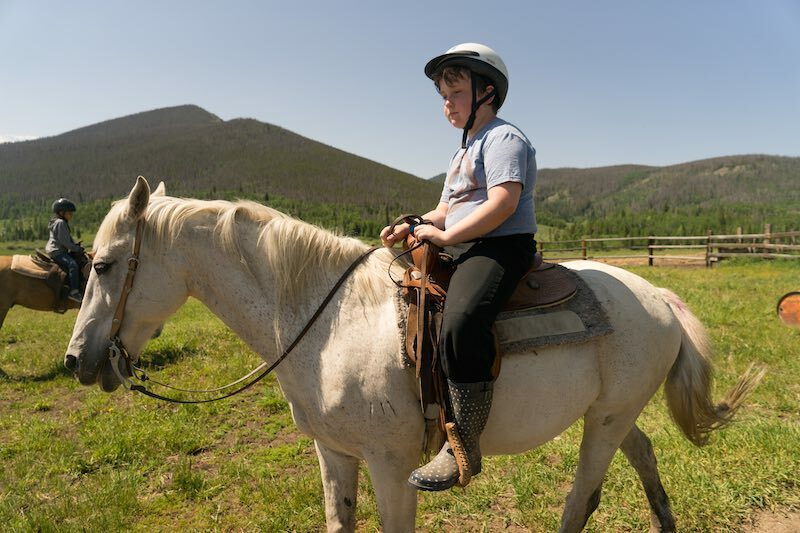 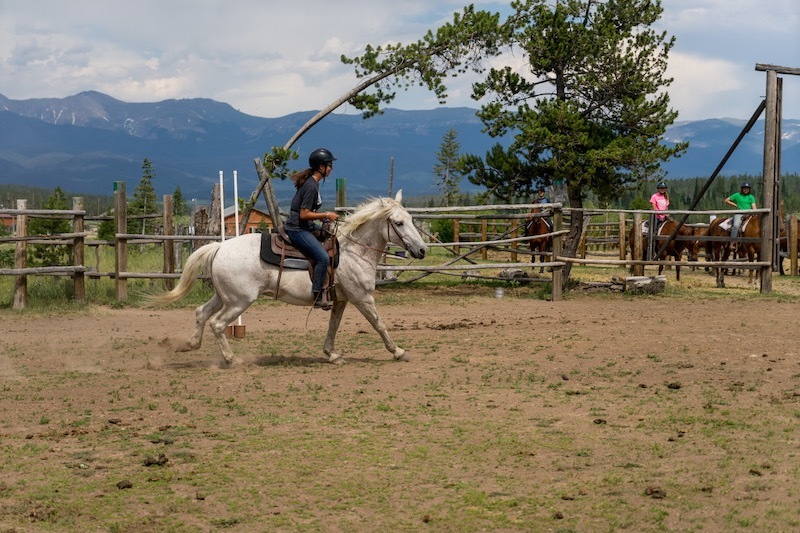 Cowpokes continue the training received in Tenderfoot, but this level adds the additional challenge of learning to control a horse at a trot. 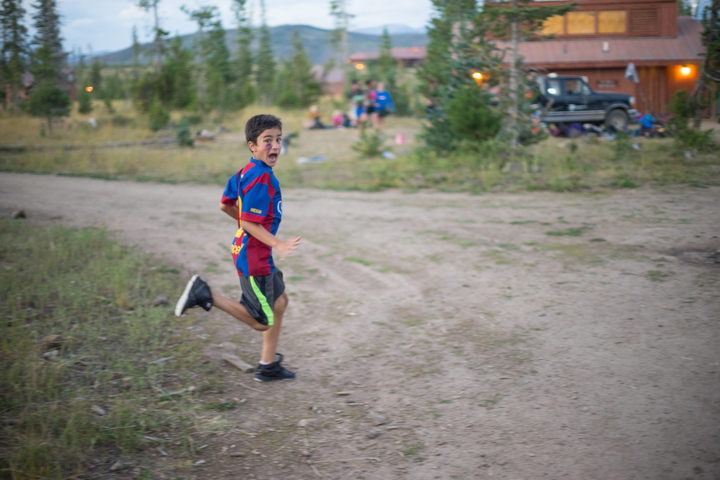 This gait is faster and bouncier than the walk. 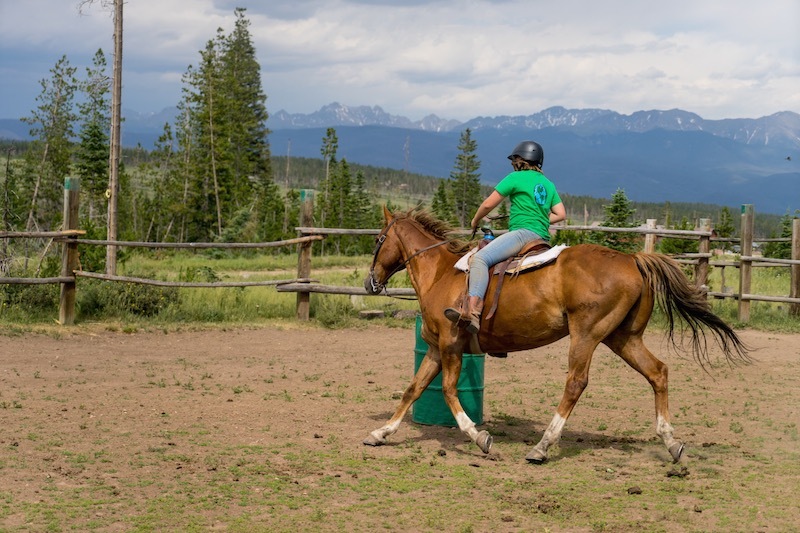 To advance to the next level, riders are expected to maintain their riding position and control the horse at this faster gait. 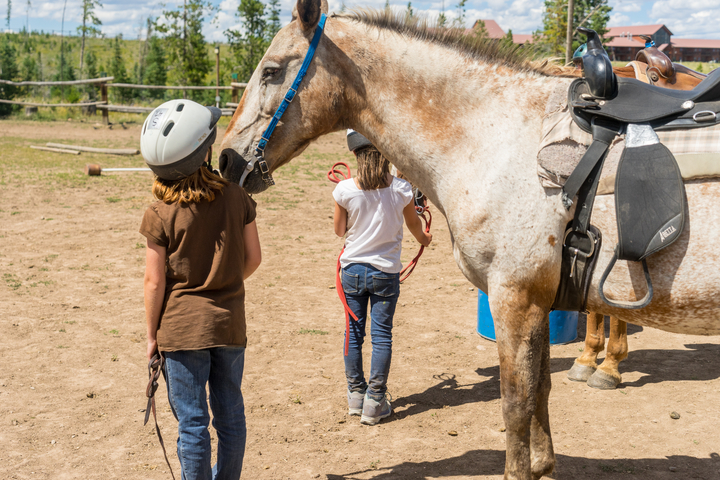 Prerequisite: Know how to lead, groom, bridle and saddle, and control the horse at a walk. 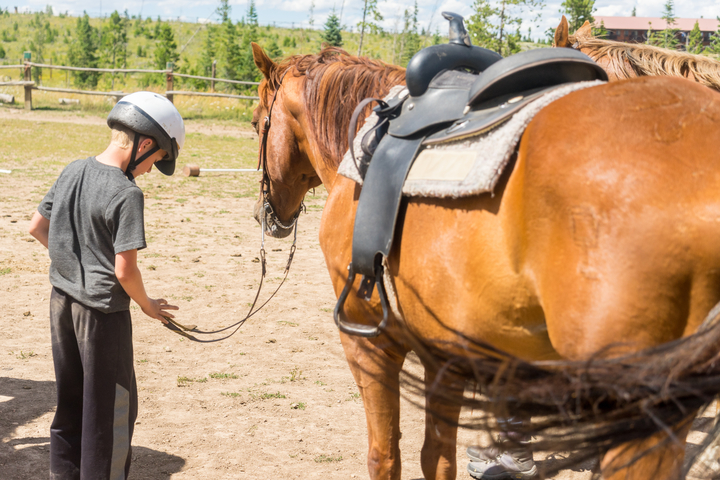 Wranglers are expected to have mastered the basic ground skills (leading, grooming, and tacking) and be comfortable controlling the horse at a walk and trot while maintaining their riding position. 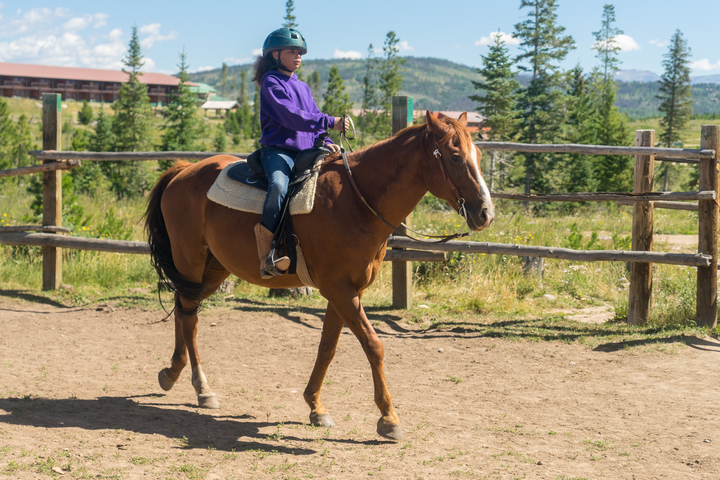 In this level, riders learn how to control the horse at a canter which is a smoother, but much faster gait than the trot. 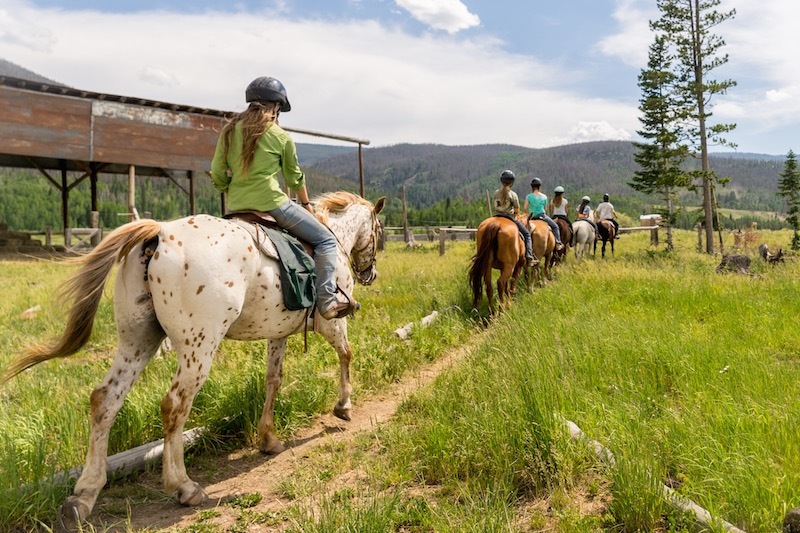 To advance to the next level riders must be able to groom and tack their horse, have mastered control of the horse and be able to maintain basic riding position at all gaits. 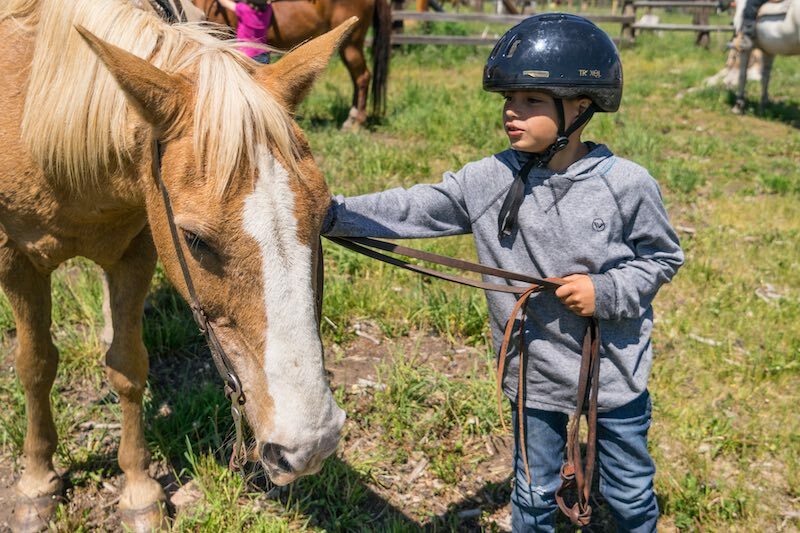 Prerequisite: Know how to lead, groom, bridle, saddle, and control the horse at a walk and trot. 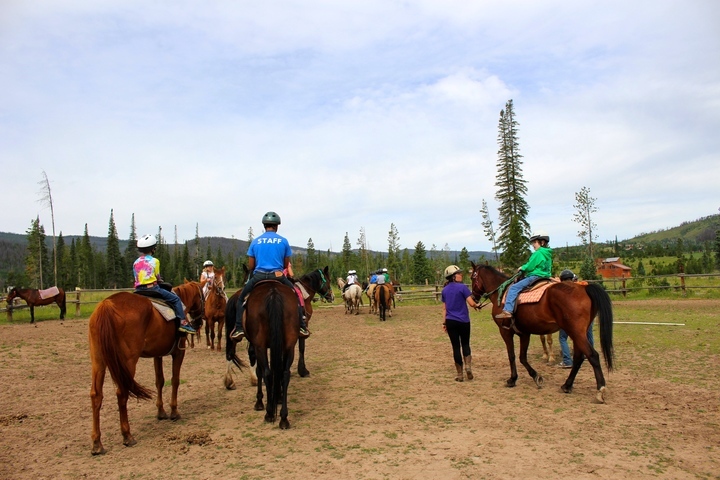 Trail Blazers learn basic trail riding skills and are able to walk, trot and canter on trail. 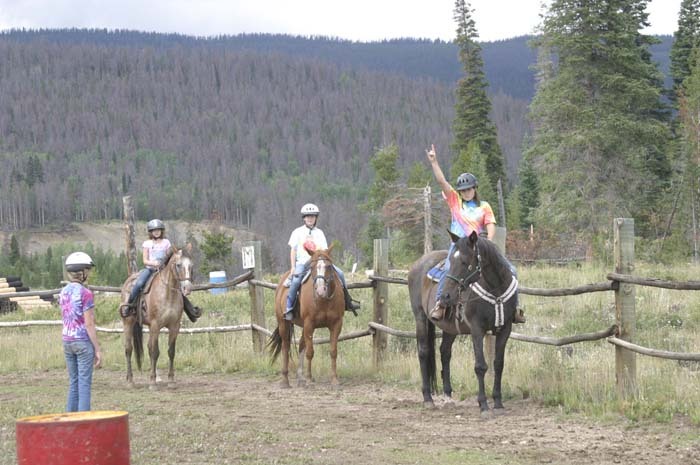 The first day, riders are evaluated in the ring. 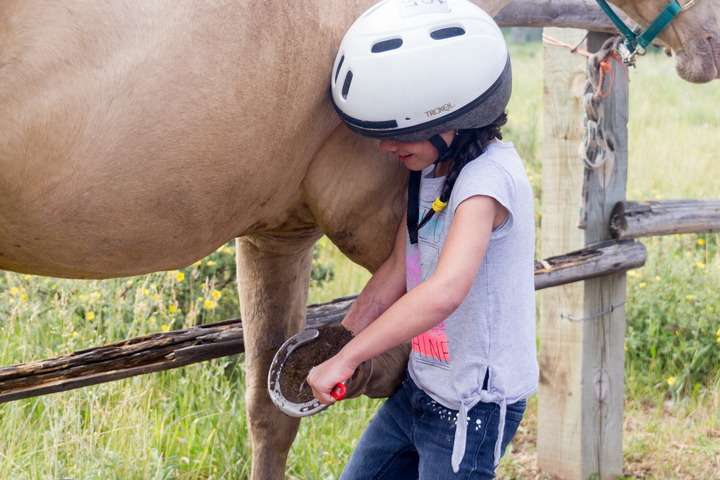 They are expected to groom and tack on their own and be completely comfortable at the walk, trot and canter. 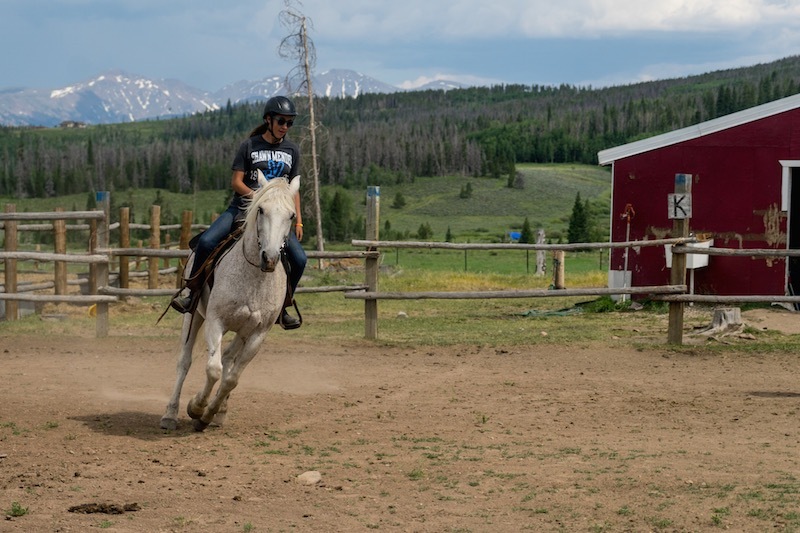 To advance to the next level riders must show exceptional control and maintain their riding position in the arena and on trail. 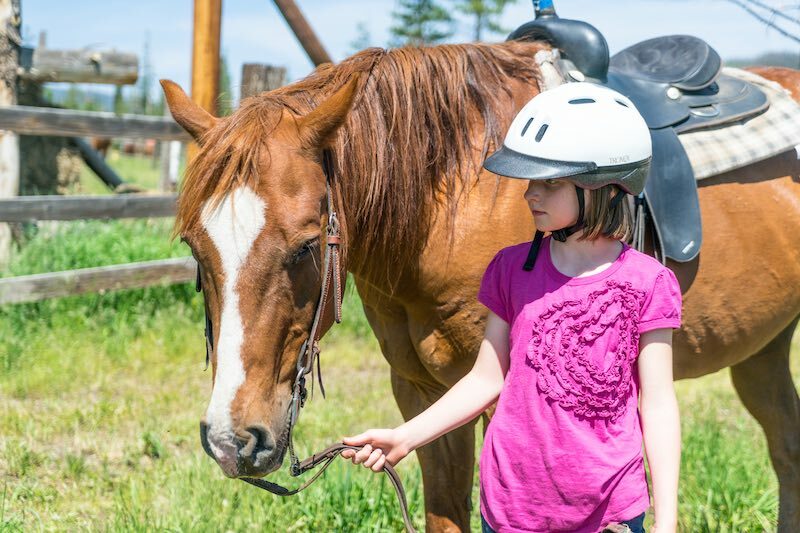 Prerequisite: Know how to groom, bridle, saddle, and control the horse at a walk, trot and canter. 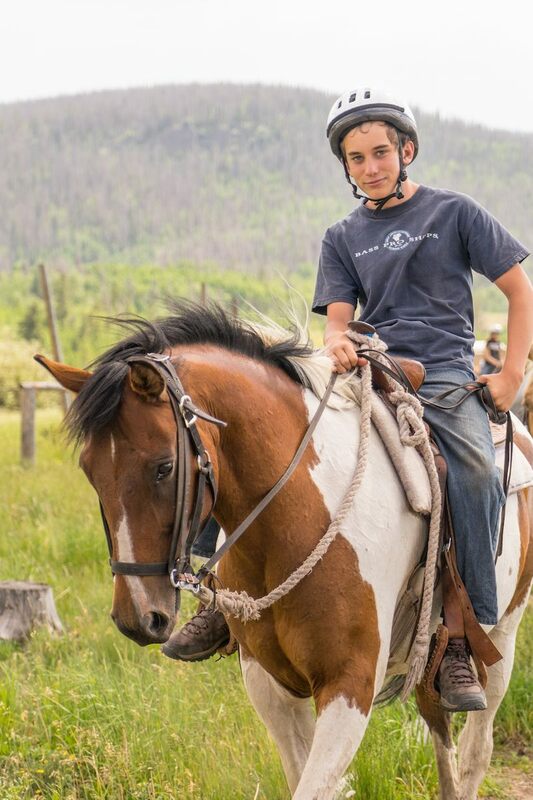 Previous trail riding experience. 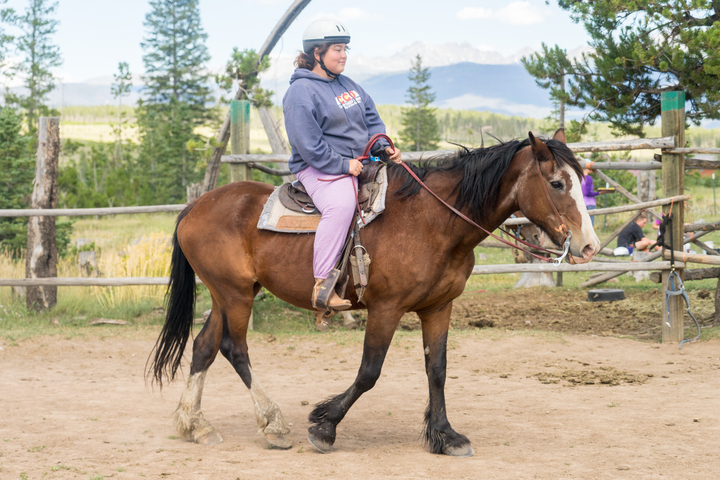 This is the highest level in the CCO Riding Program. 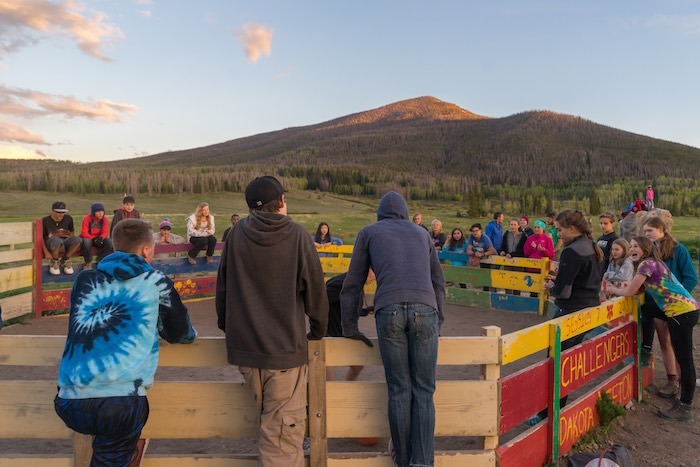 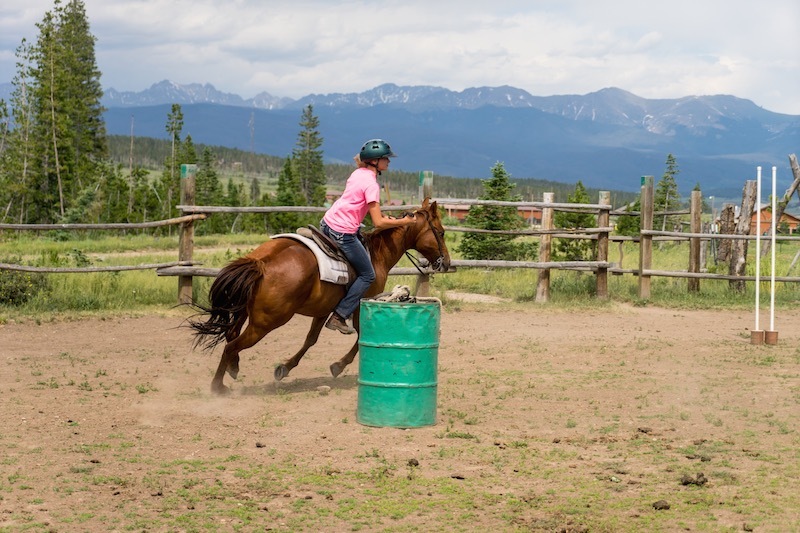 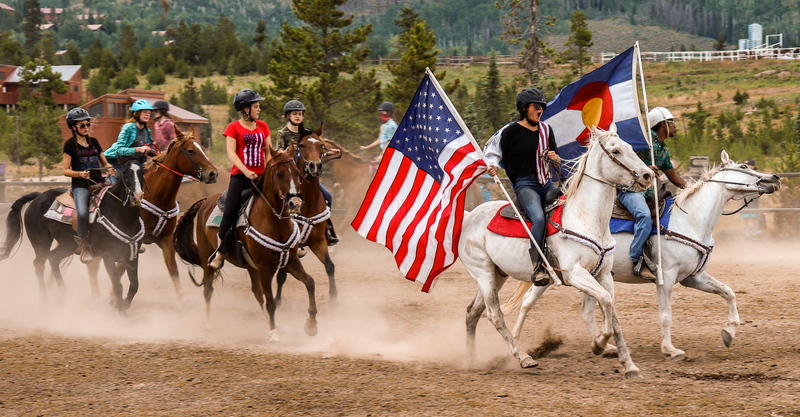 High Riders learn advanced horsemanship skills and perform in the Camp Rodeo. 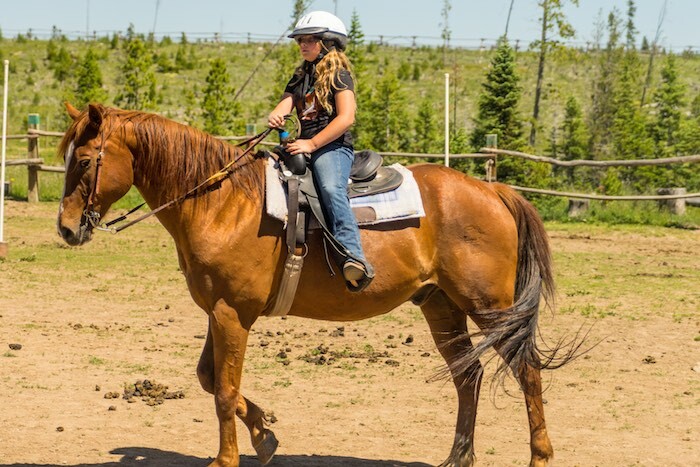 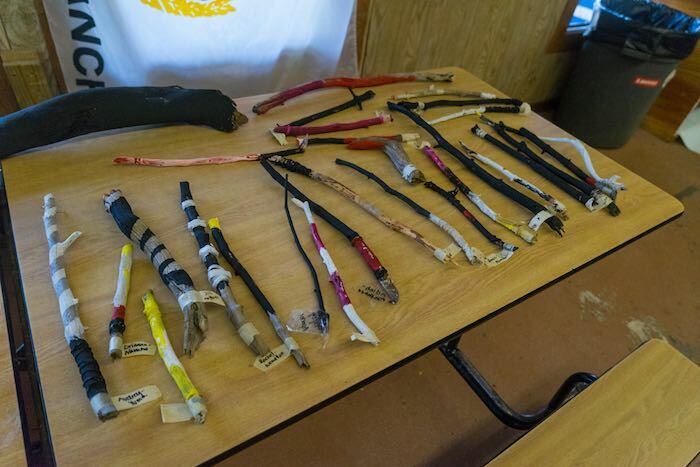 These riders are expected to be able to control horses at all gaits and maintain good riding position while doing events like barrel and pole racing. 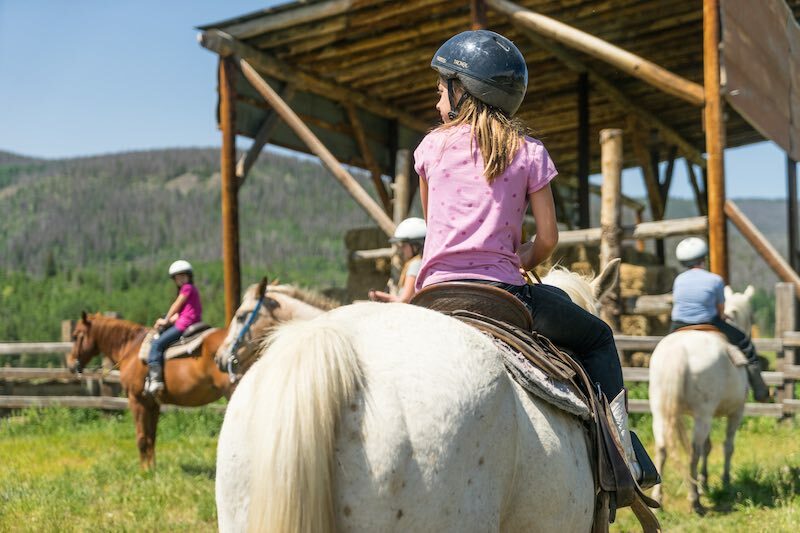 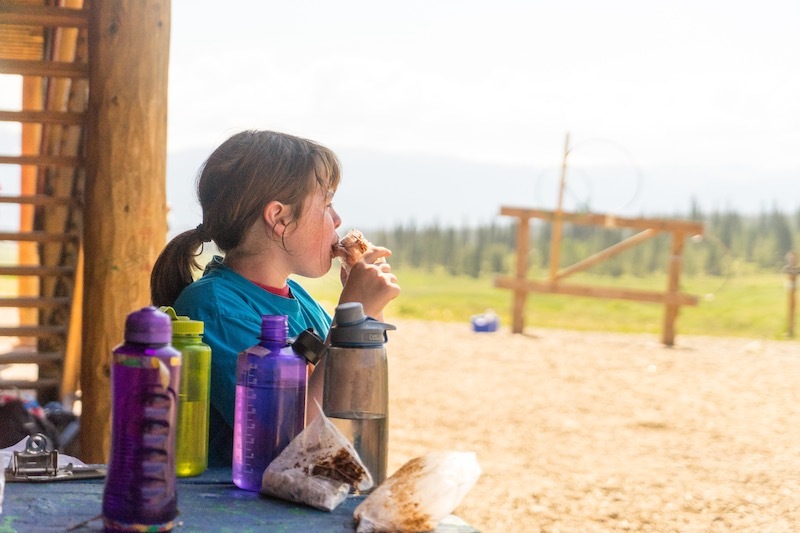 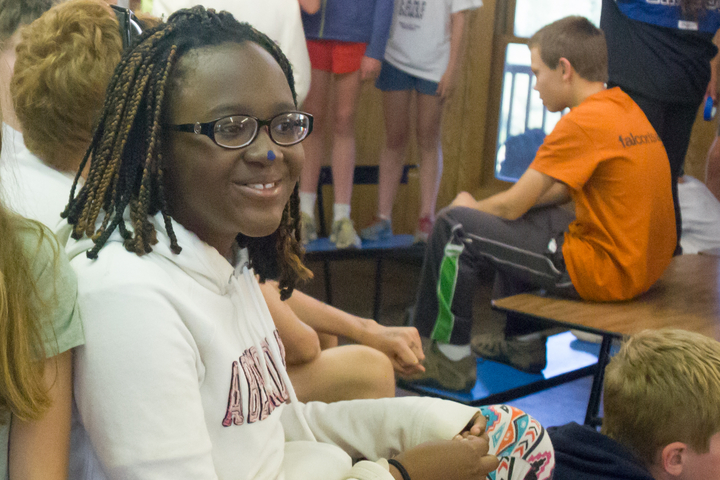 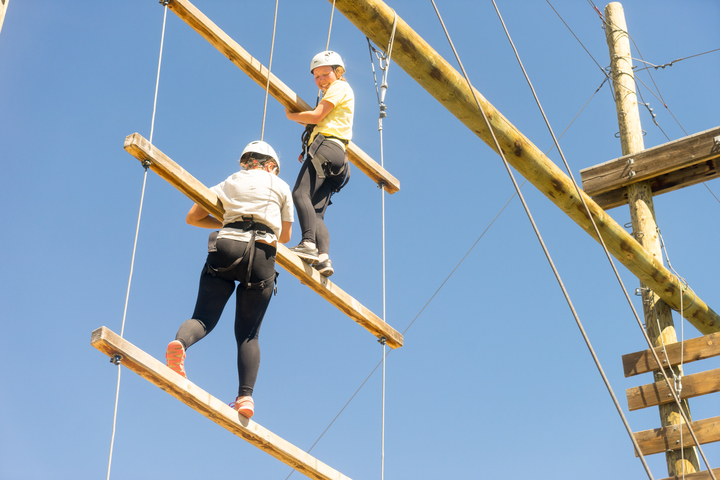 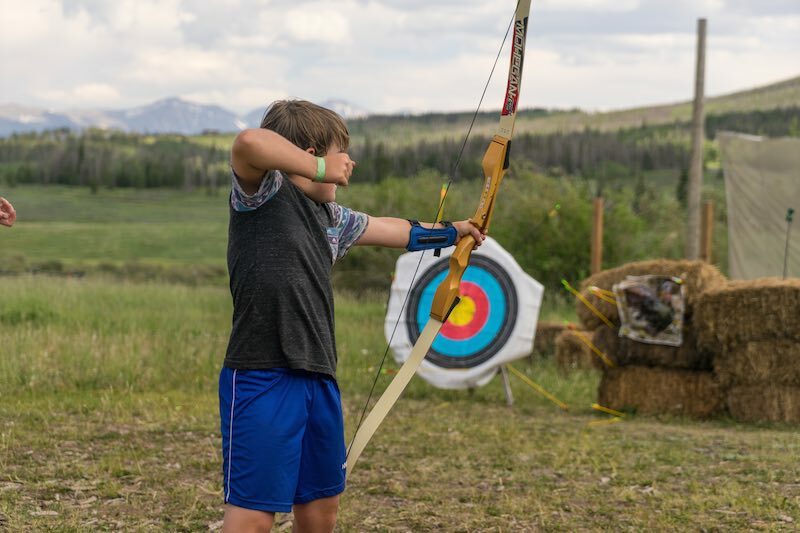 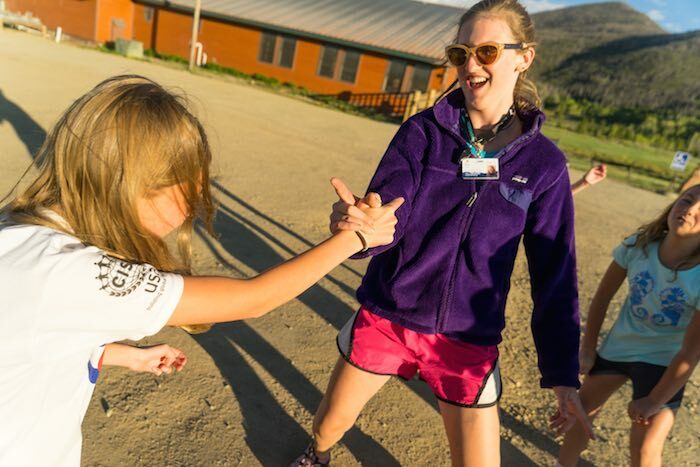 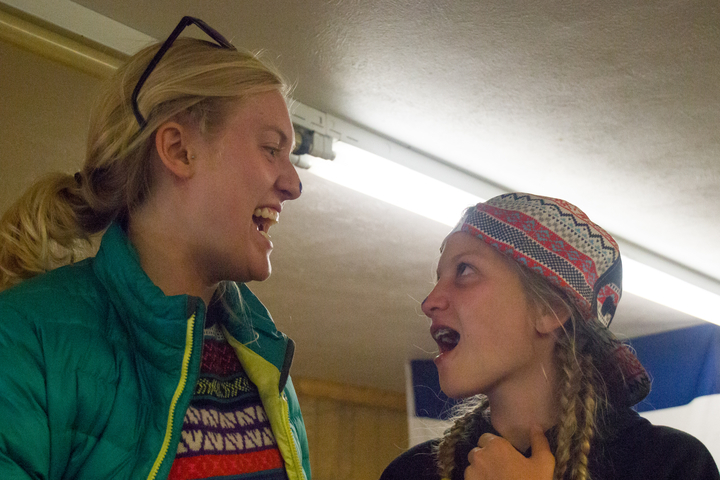 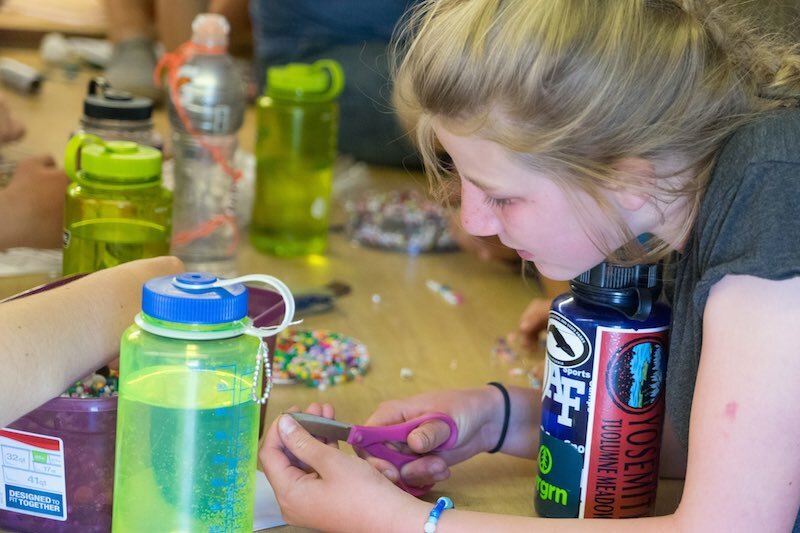 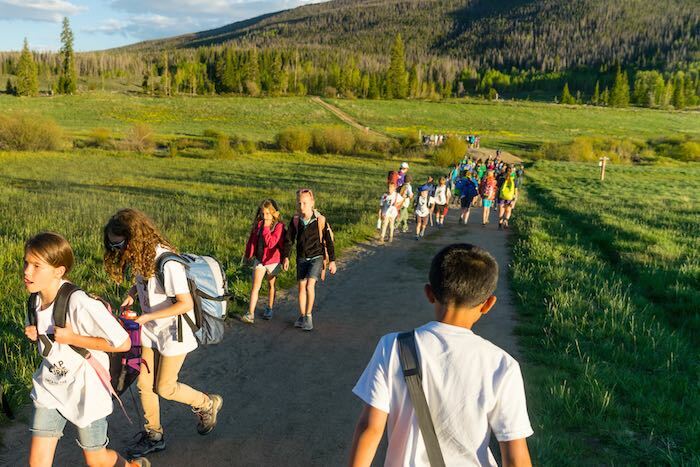 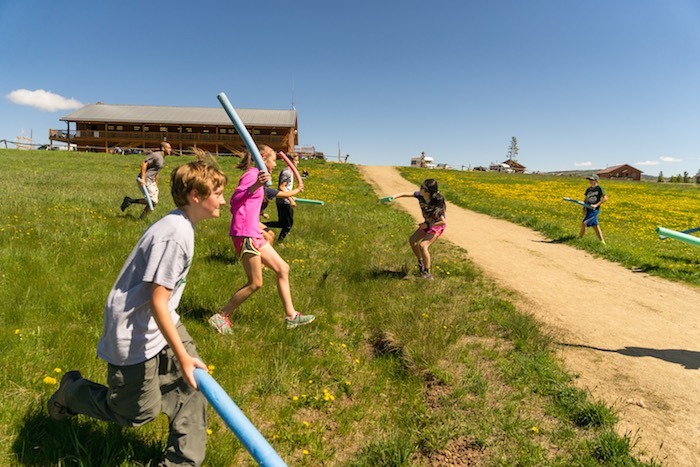 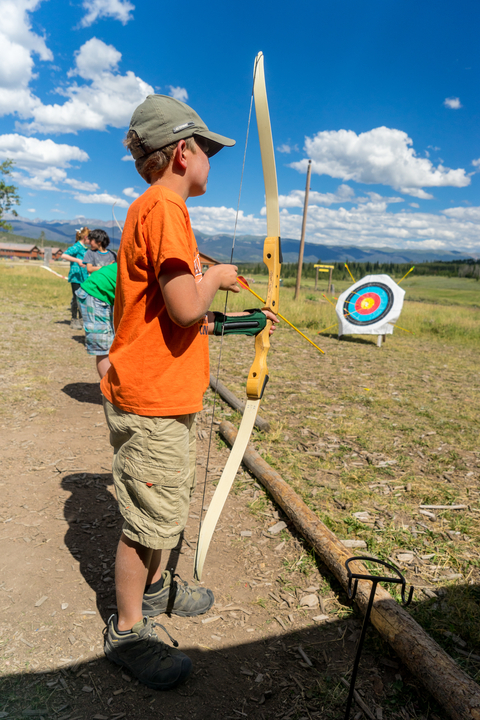 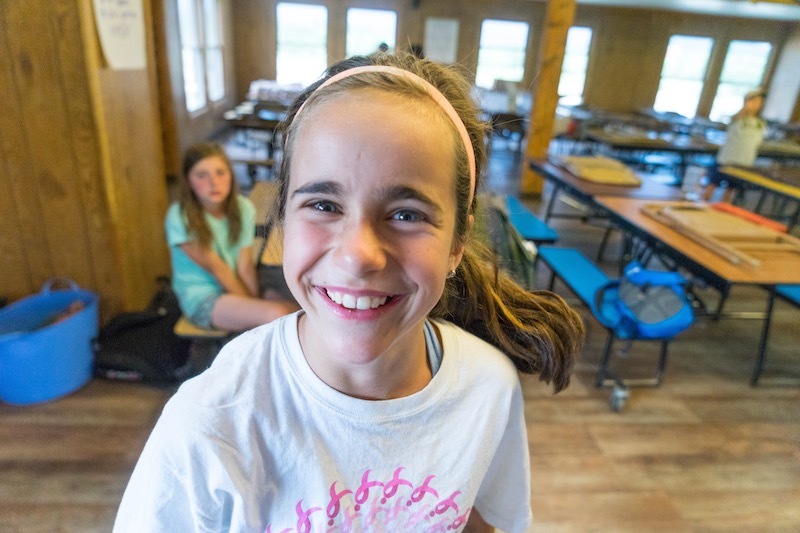 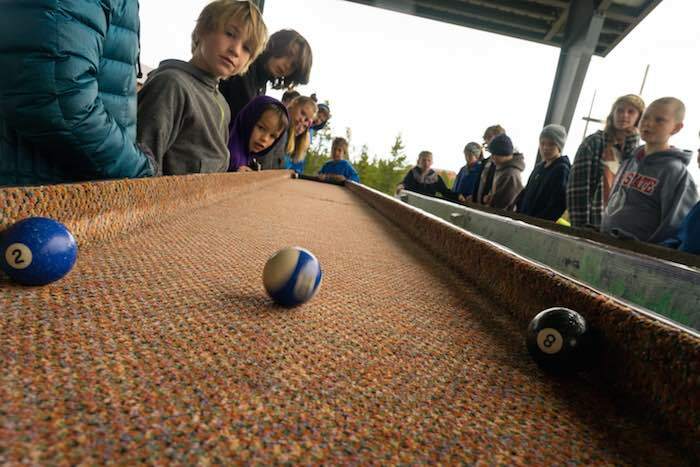 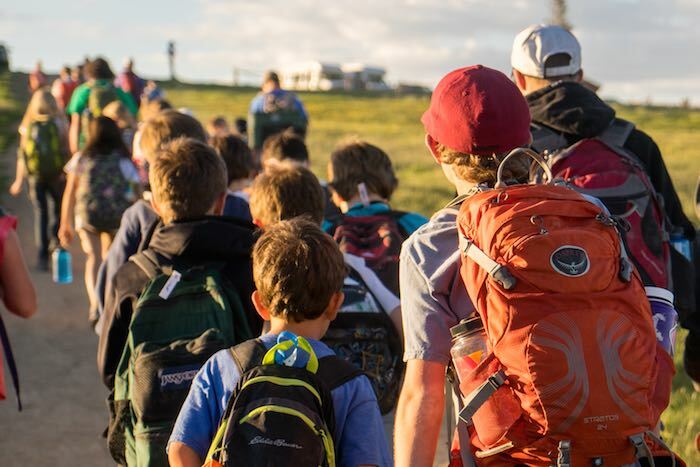 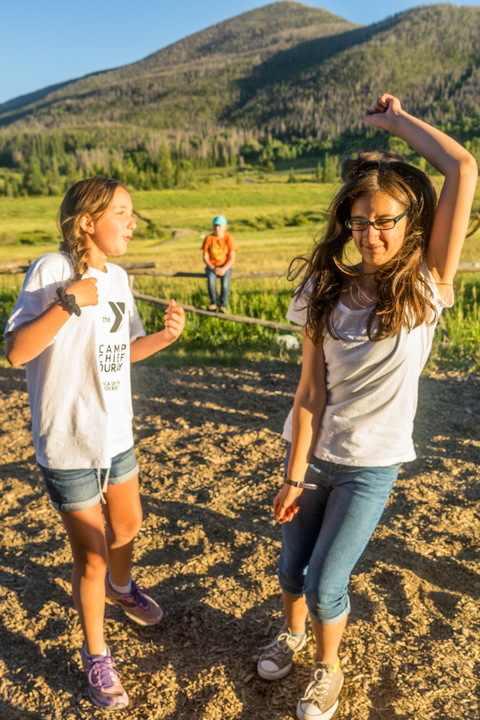 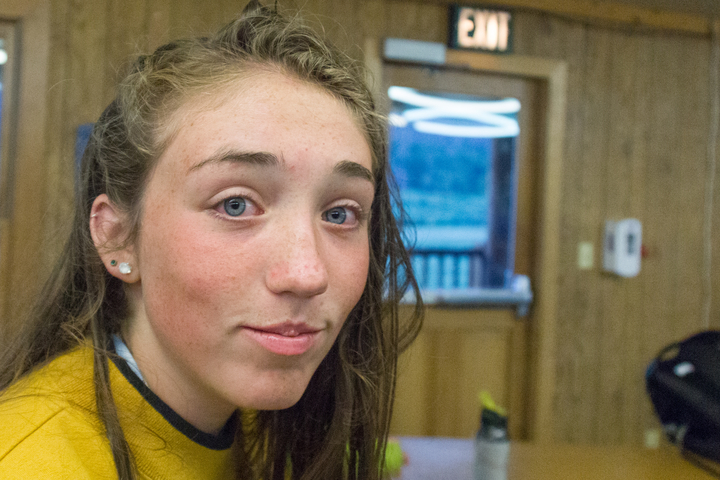 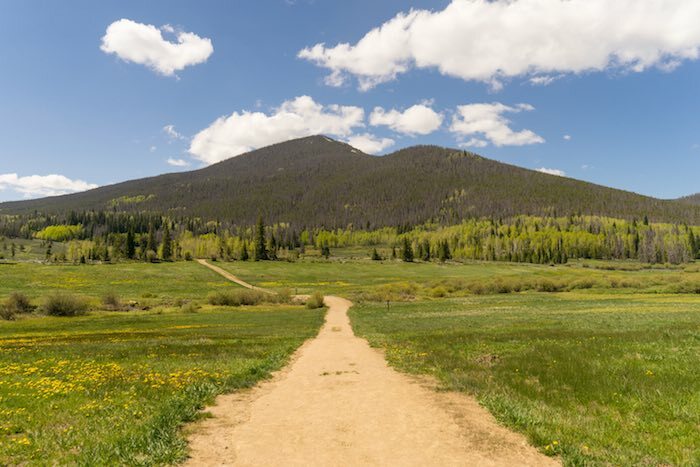 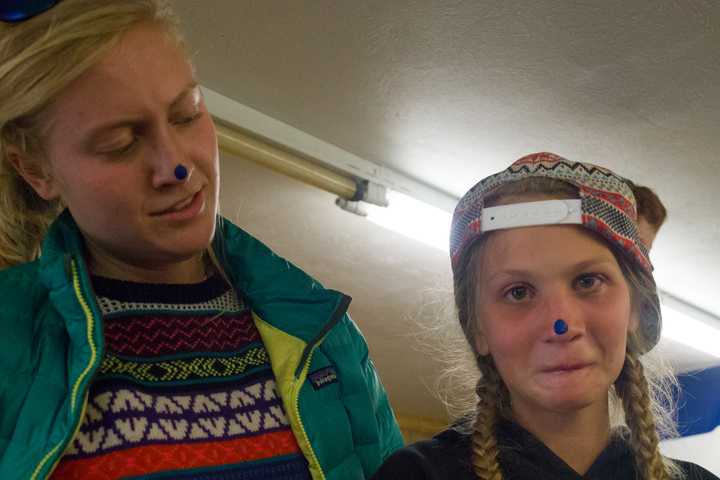 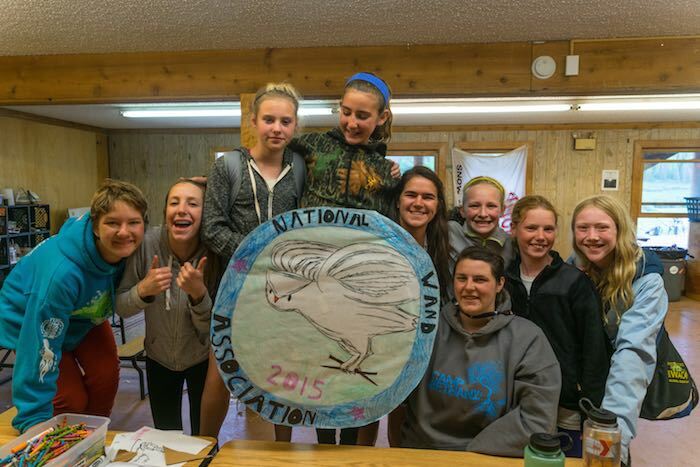 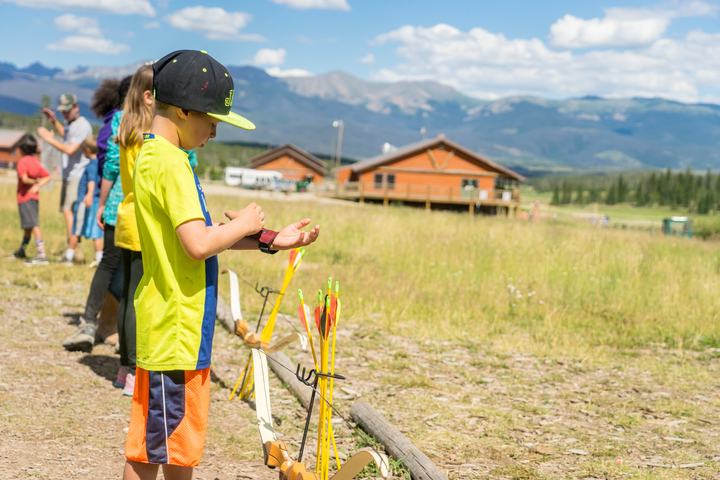 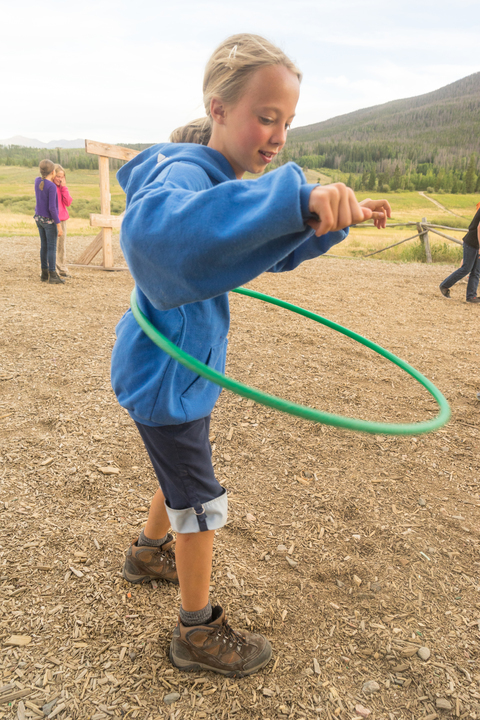 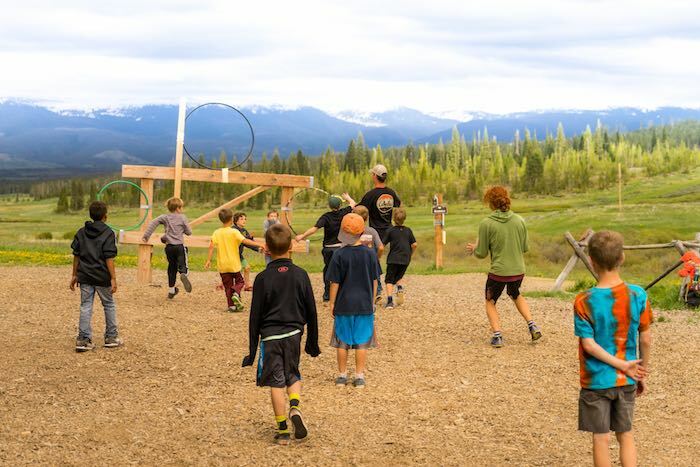 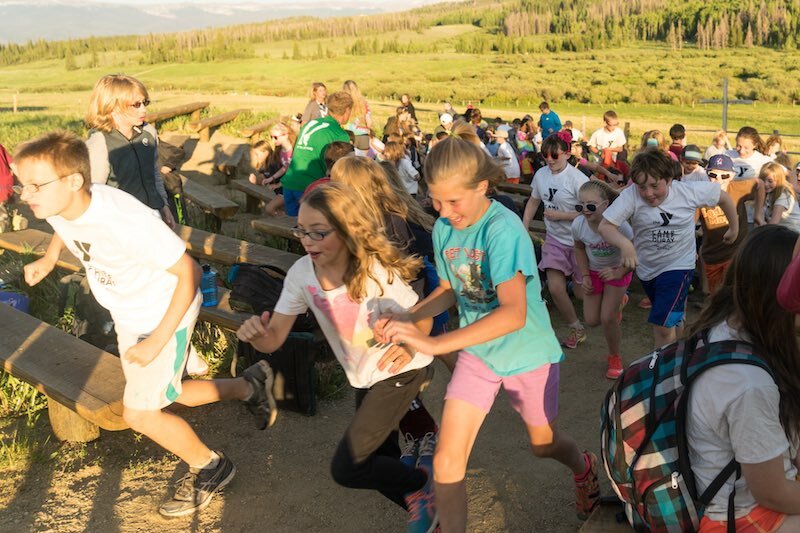 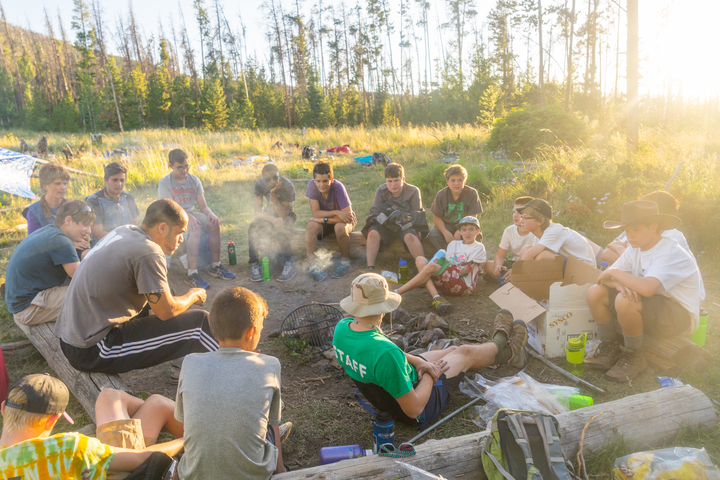 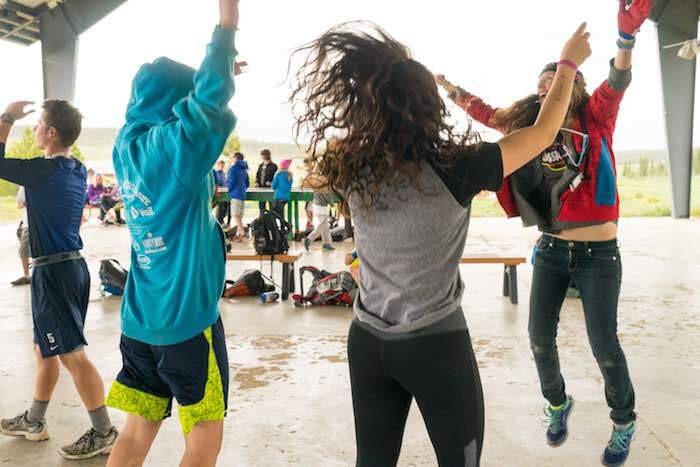 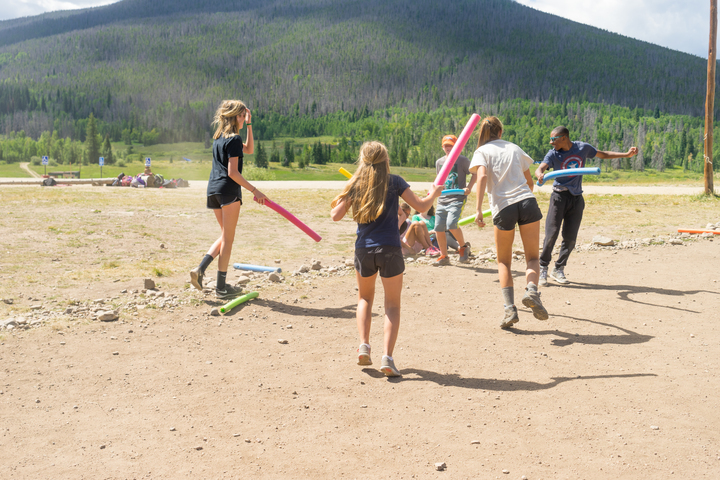 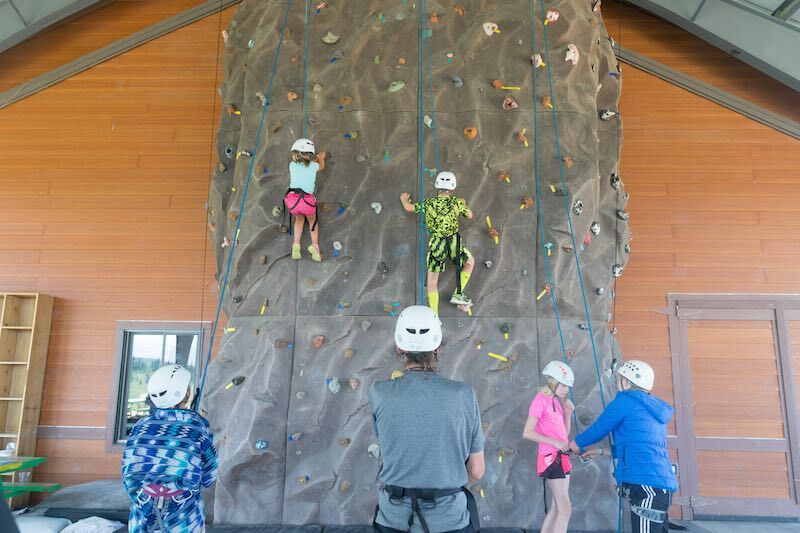 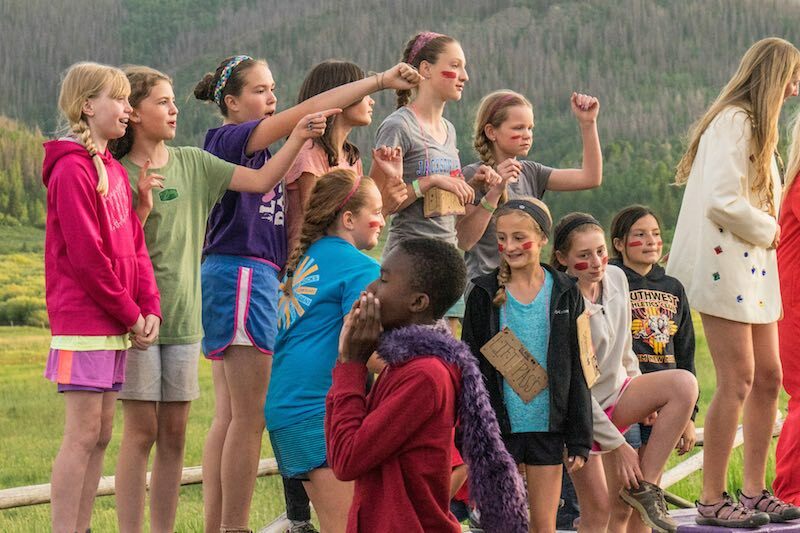 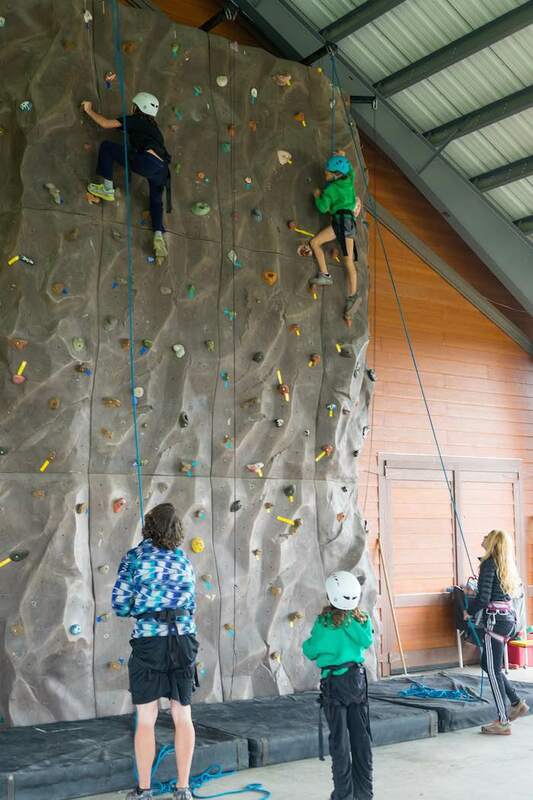 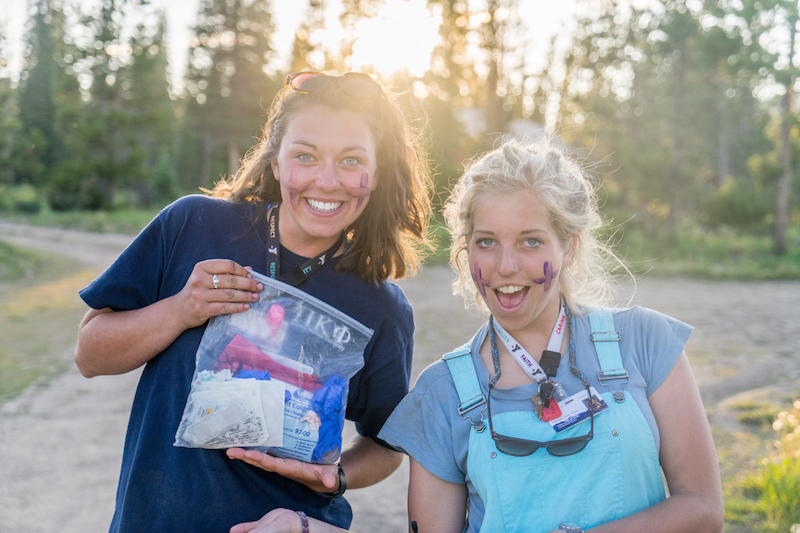 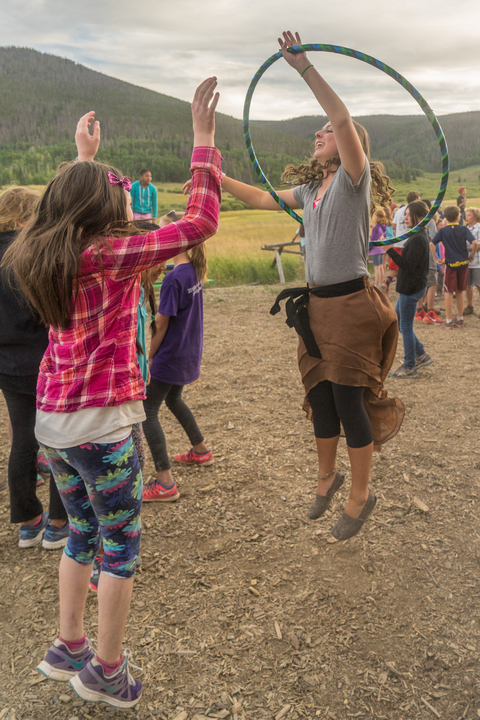 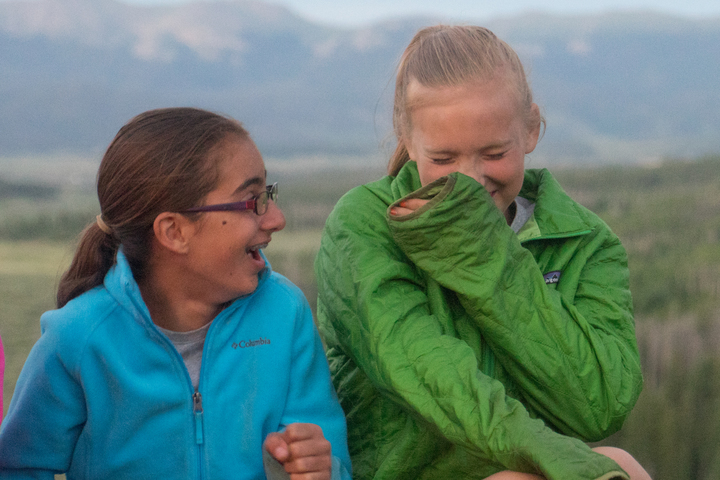 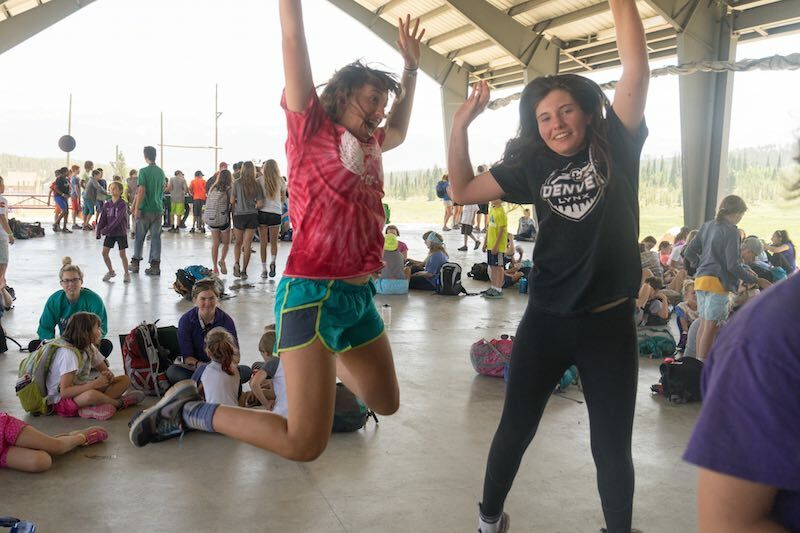 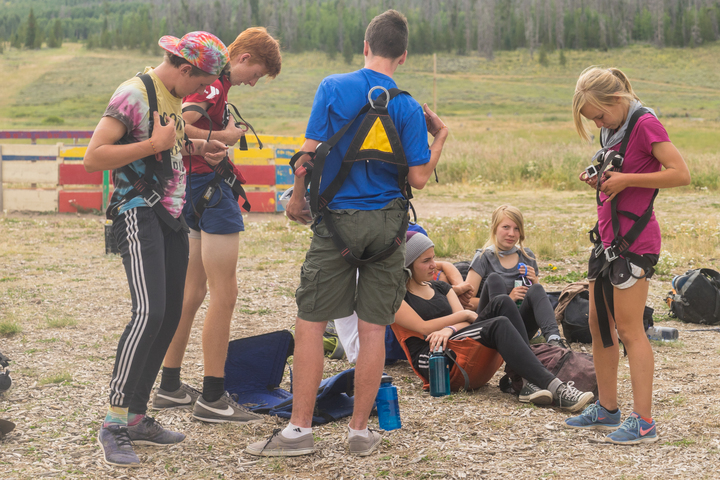 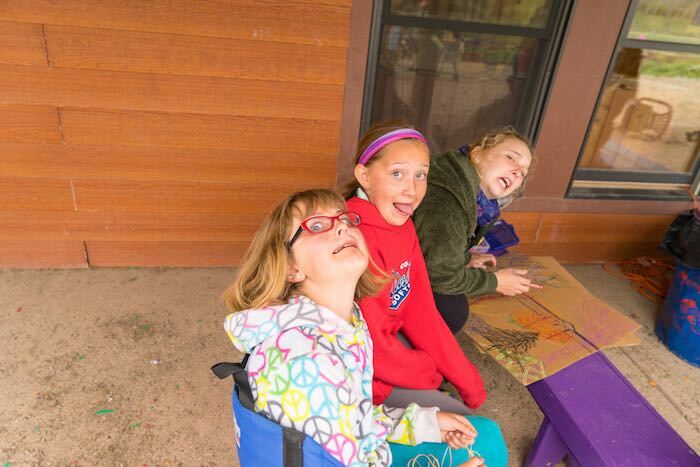 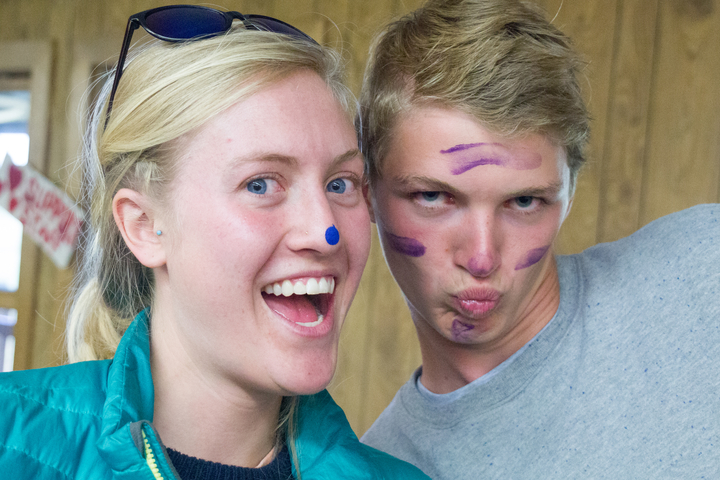 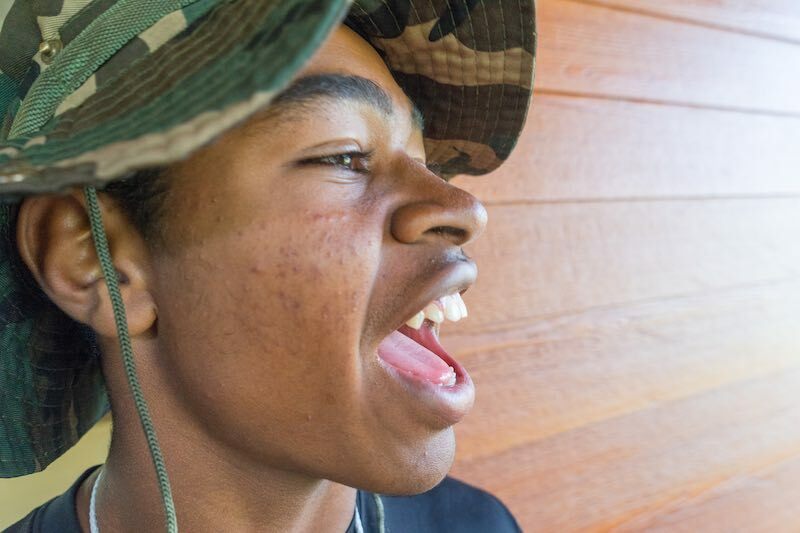 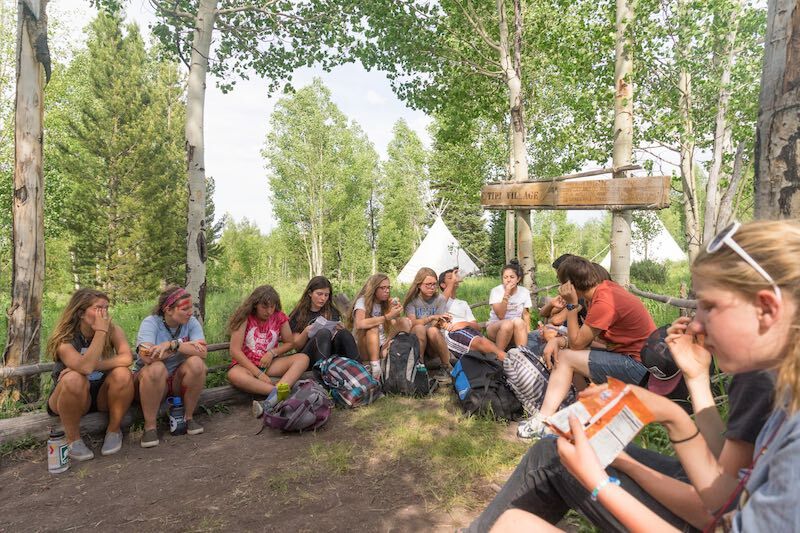 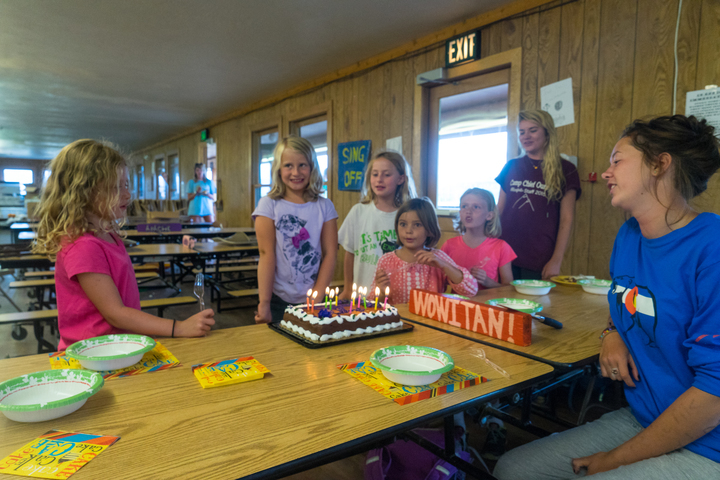 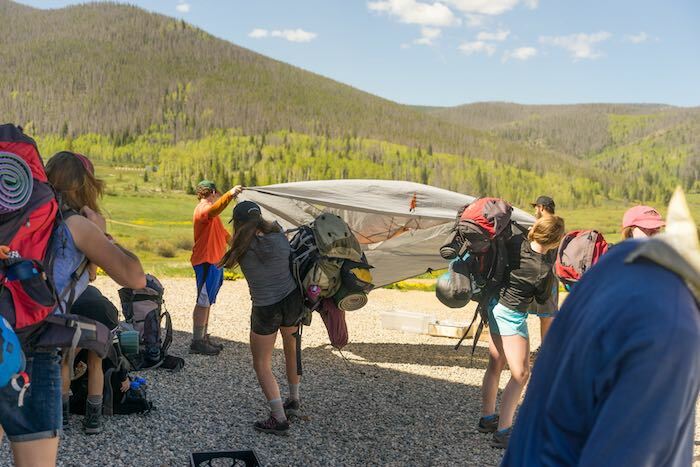 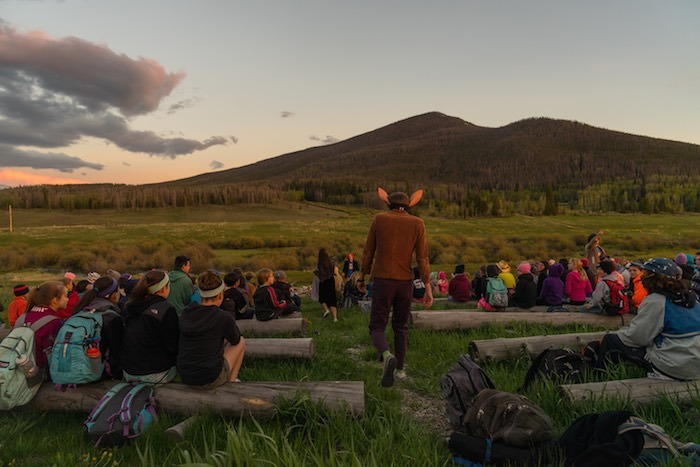 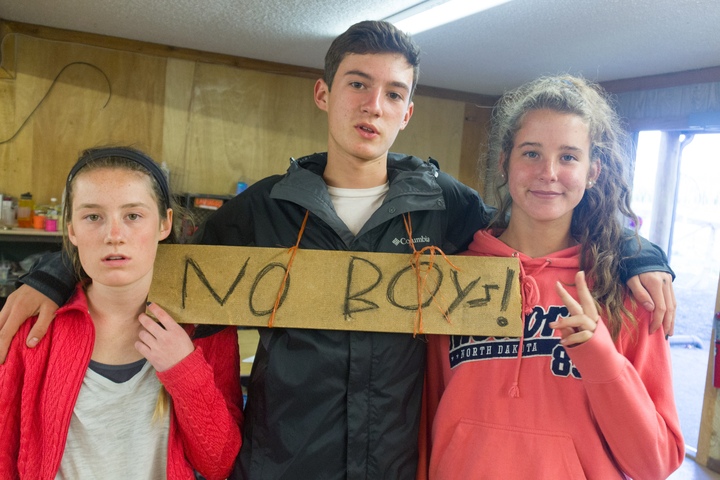 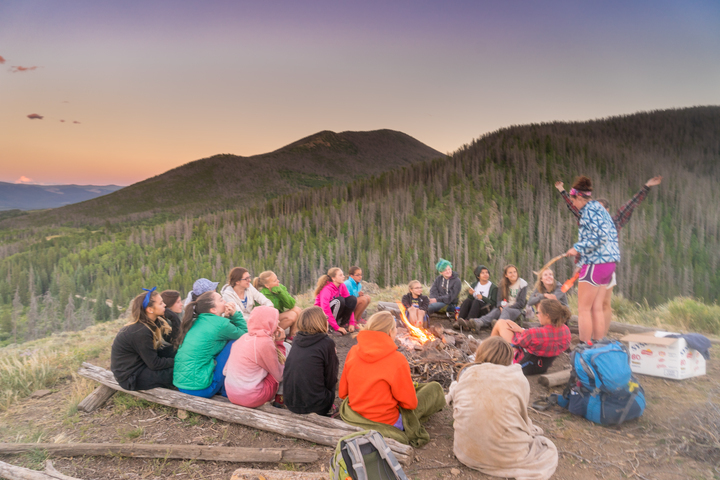 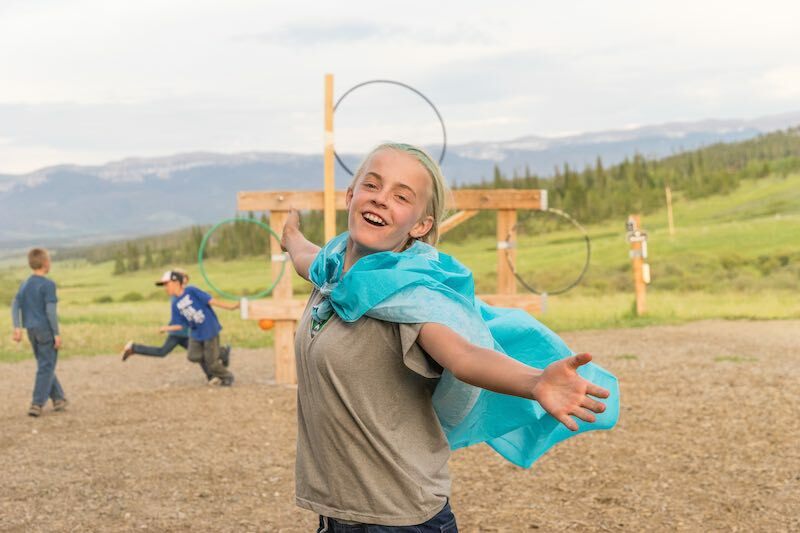 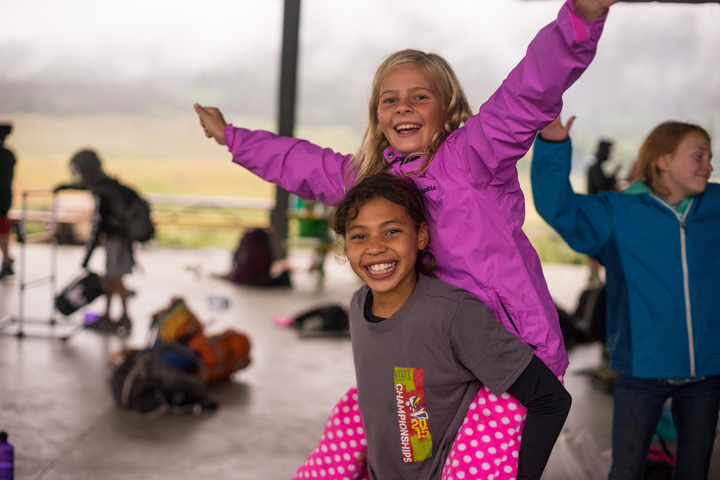 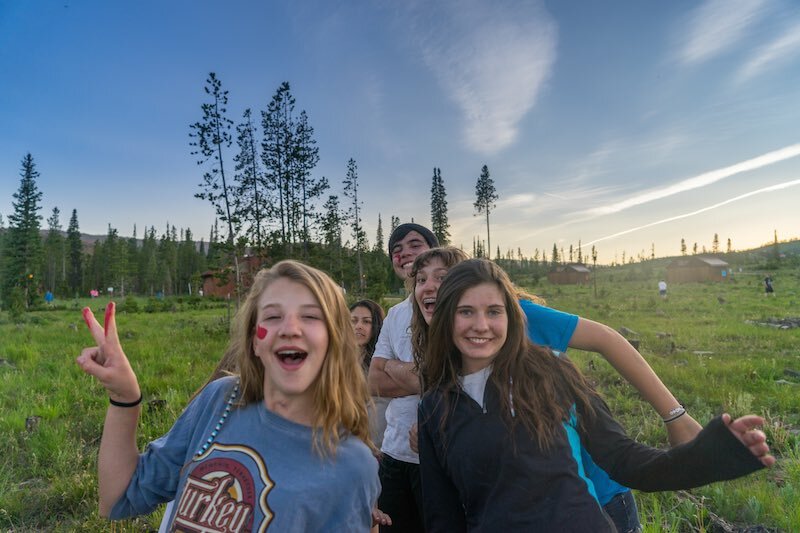 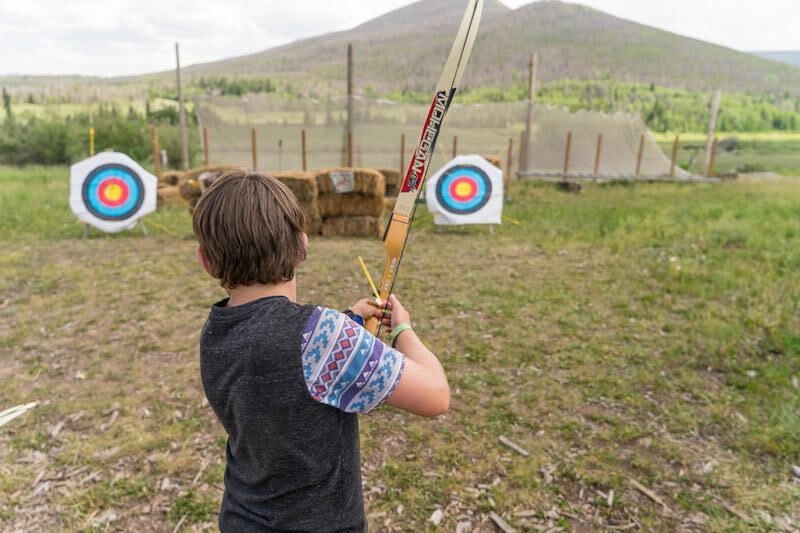 High Riders do not sign up for additional camp activities. 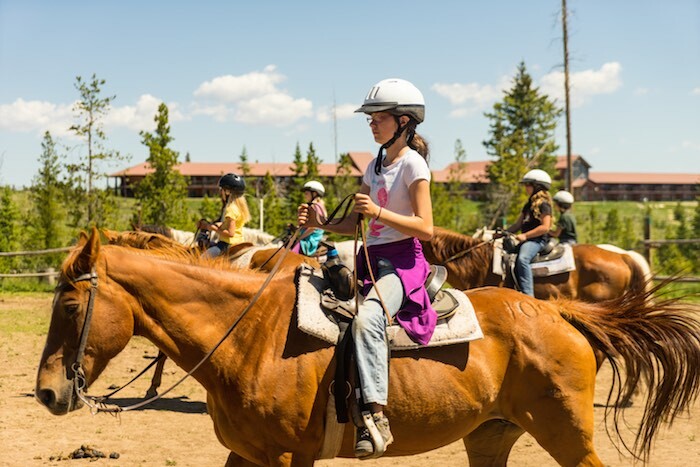 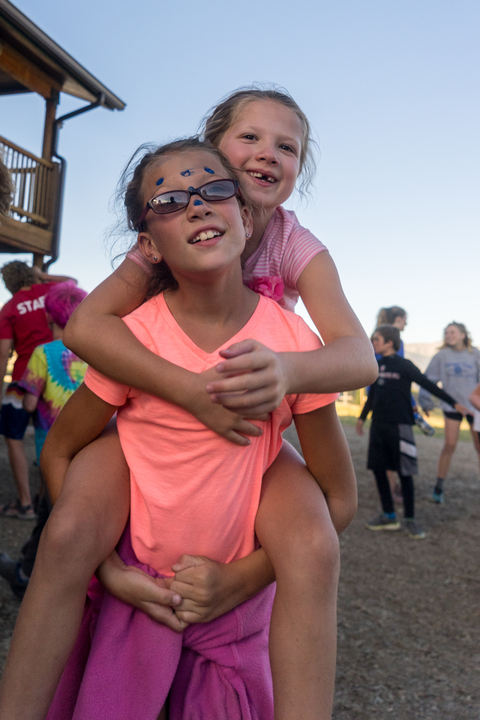 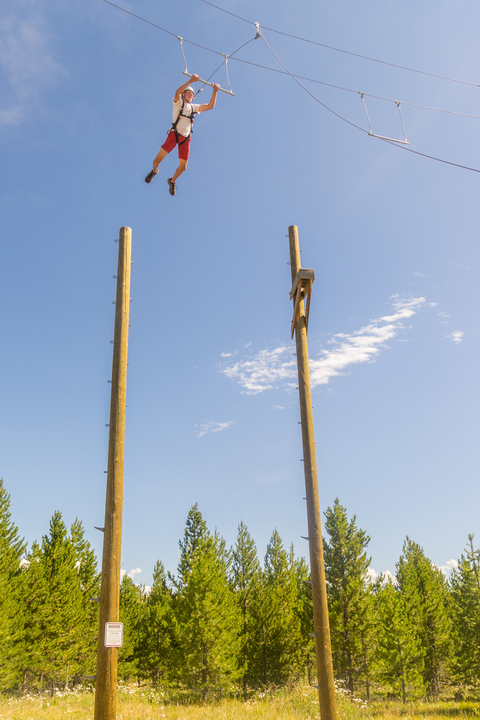 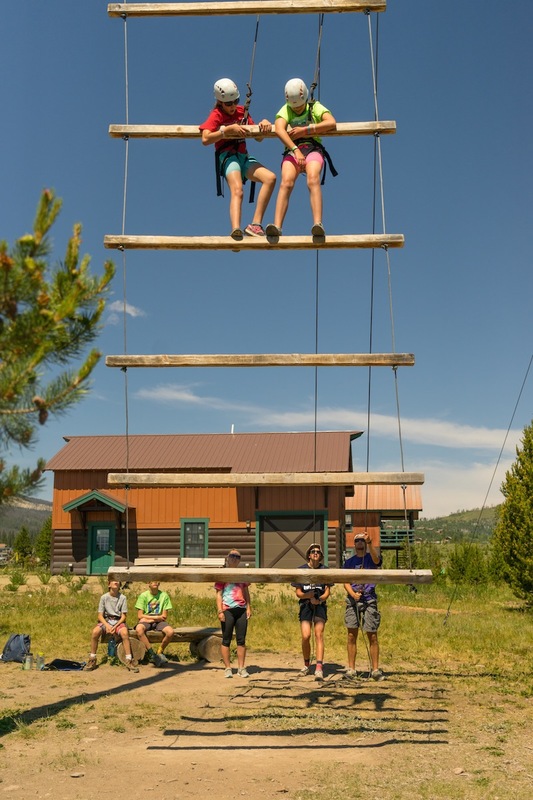 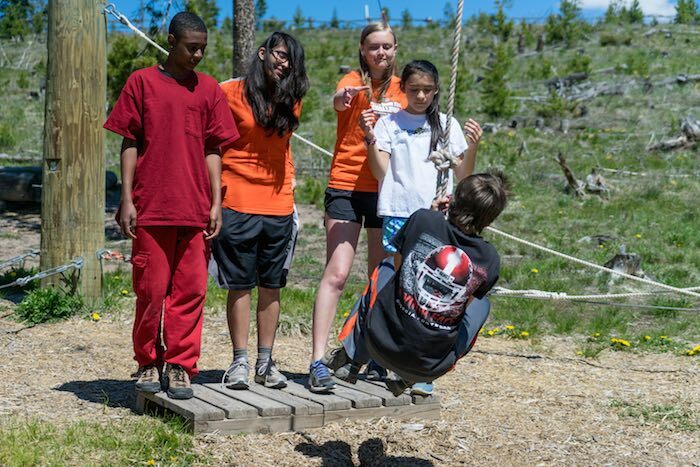 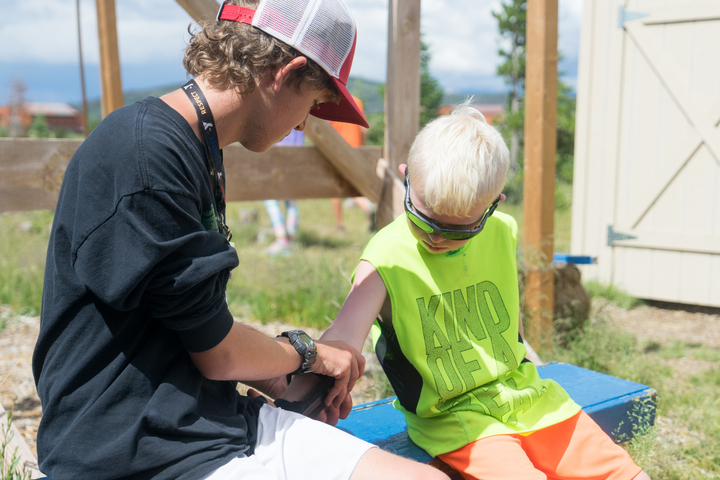 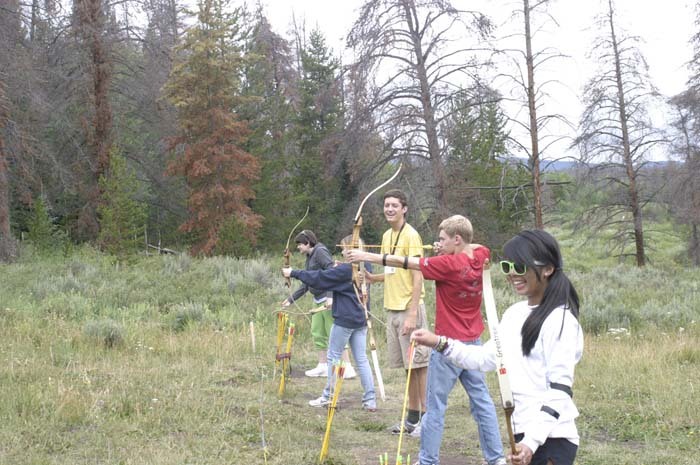 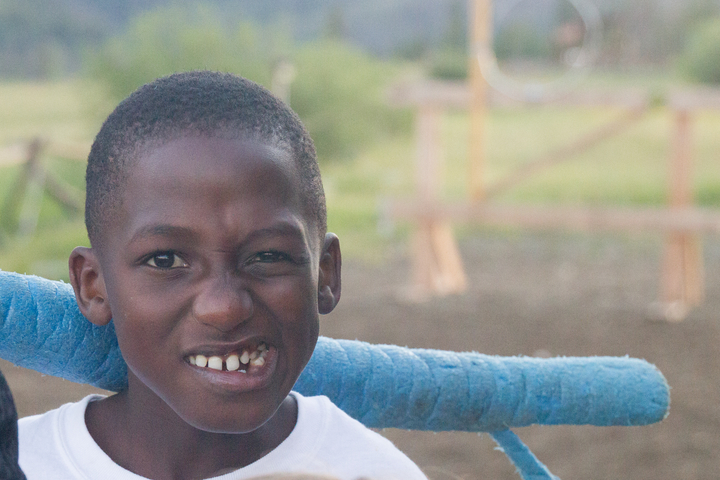 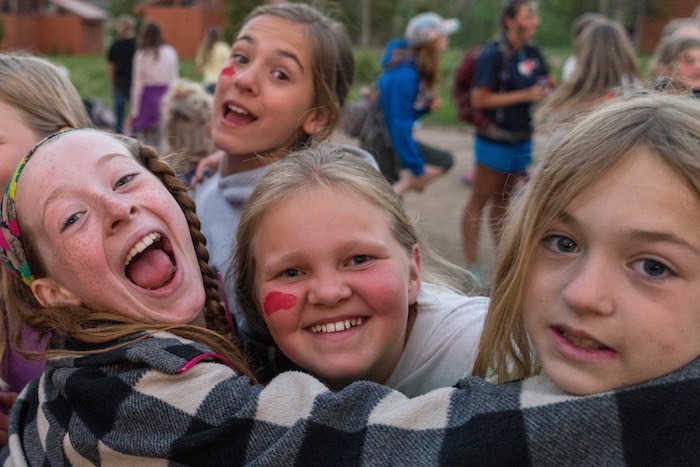 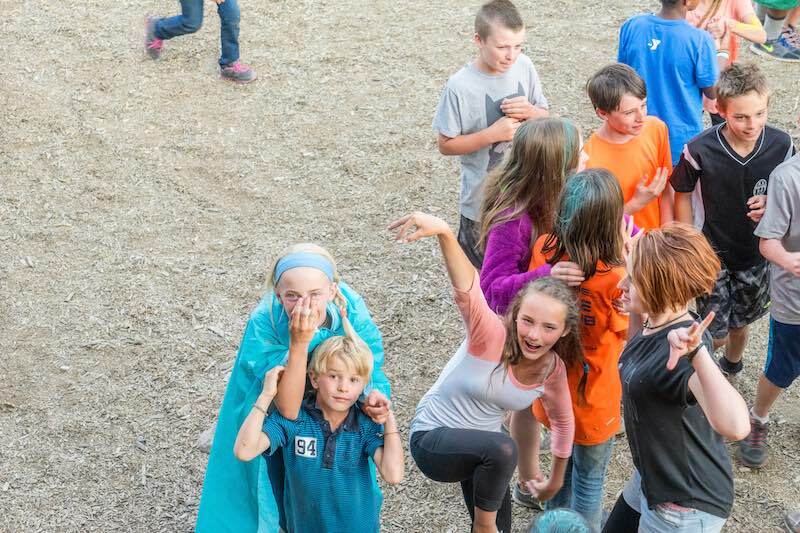 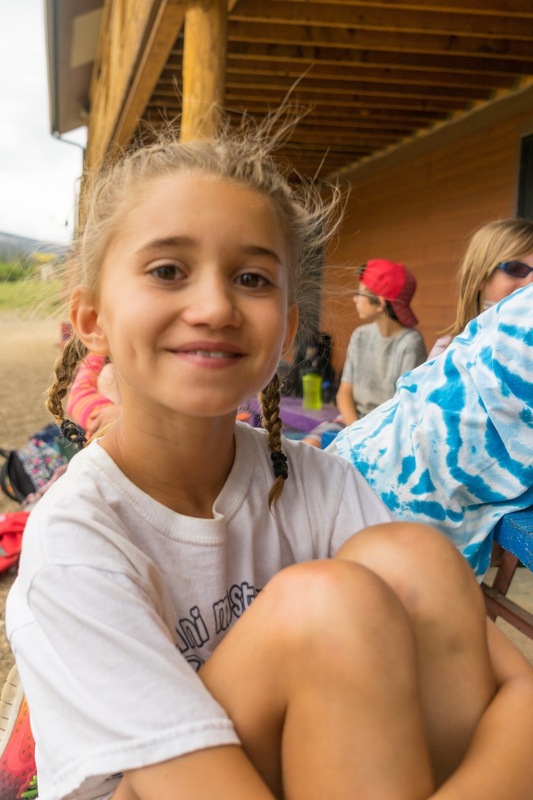 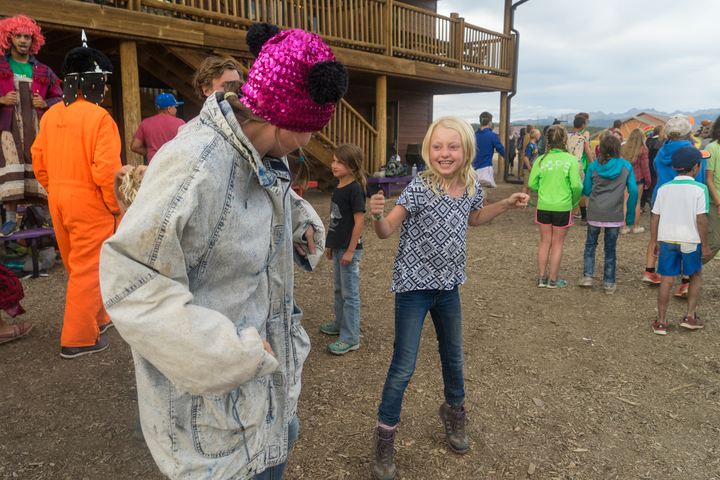 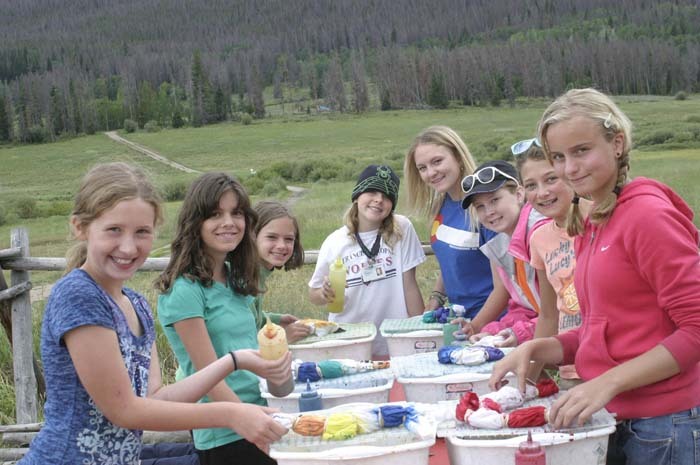 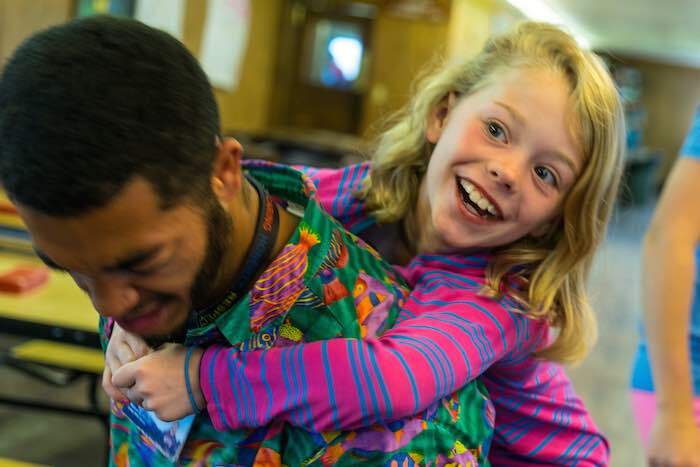 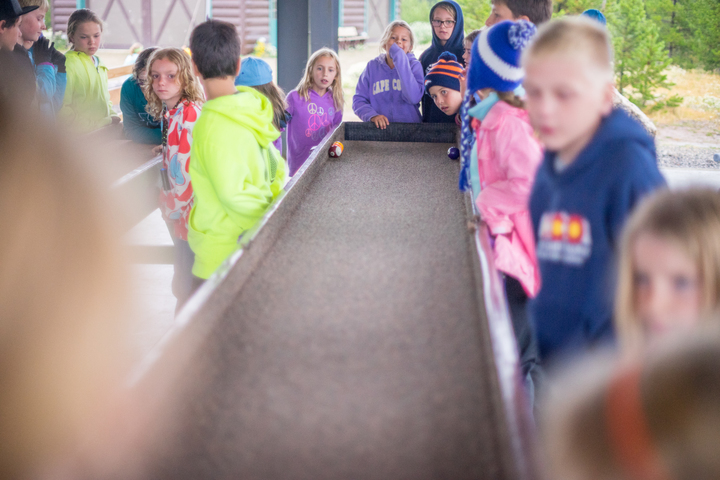 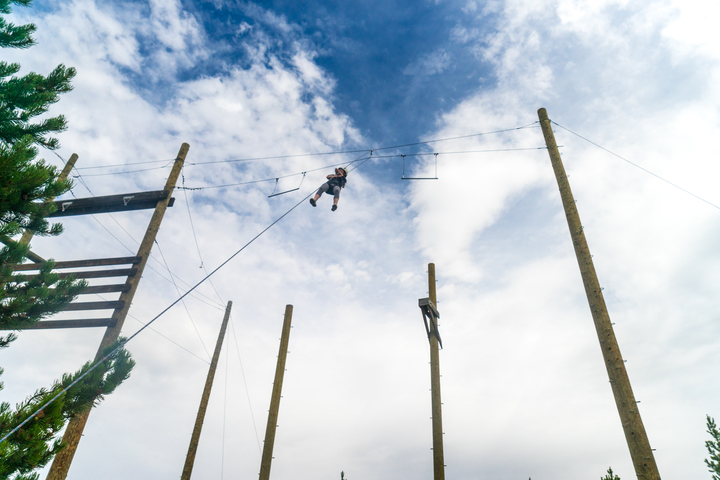 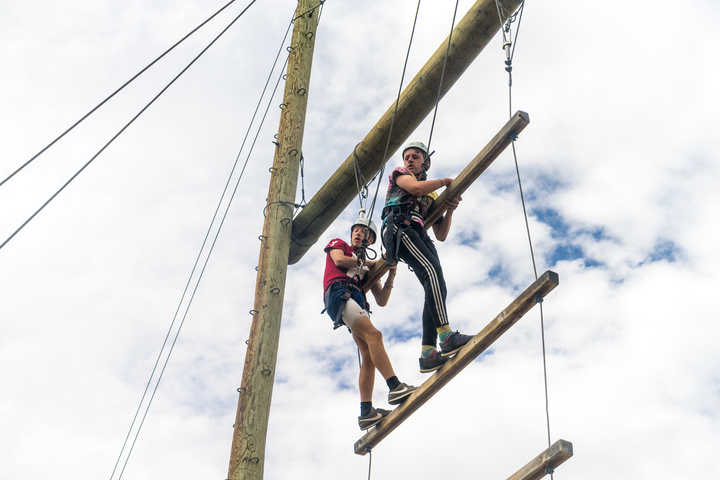 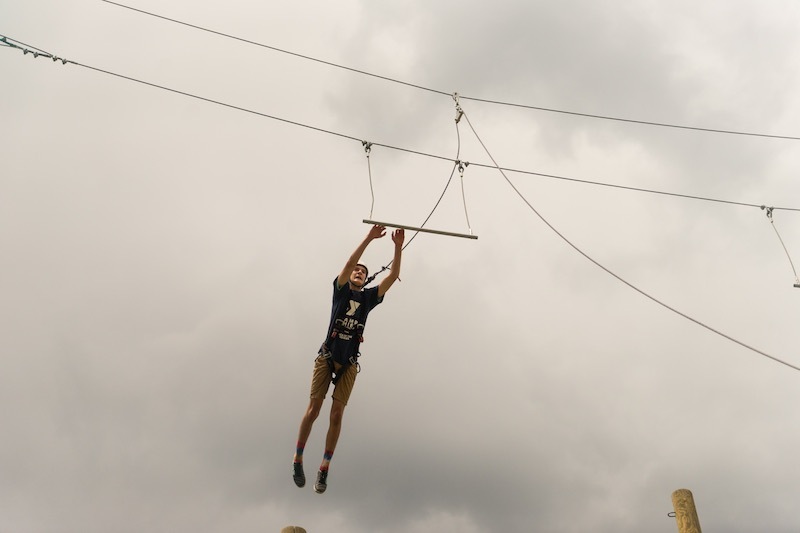 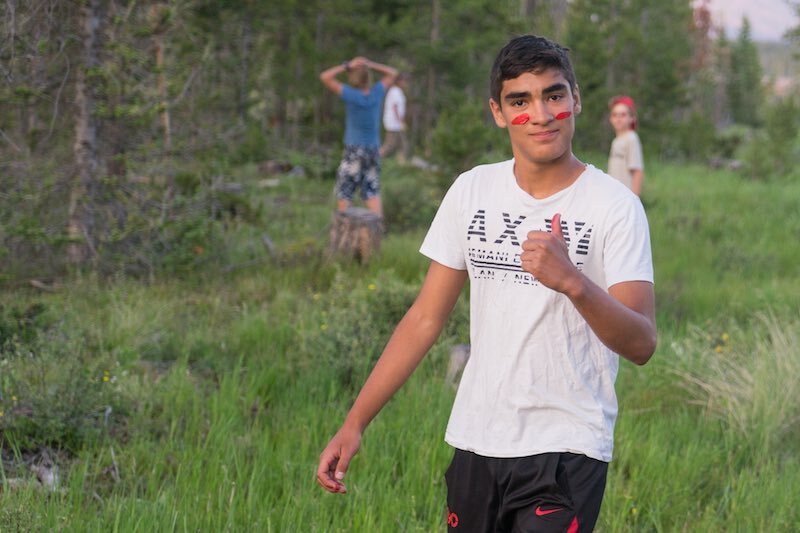 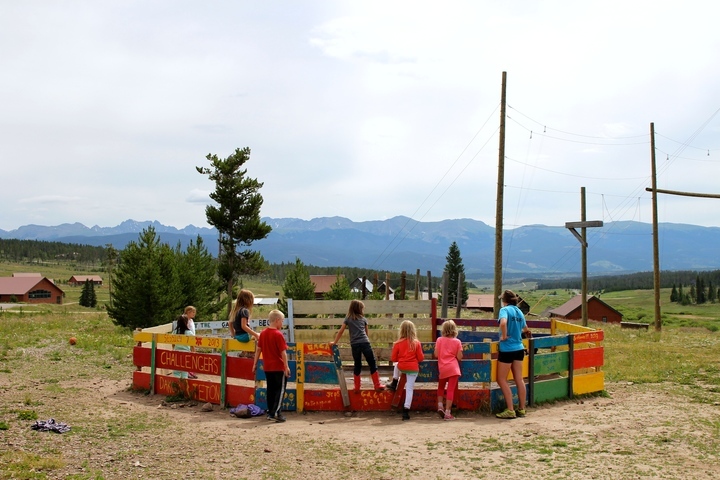 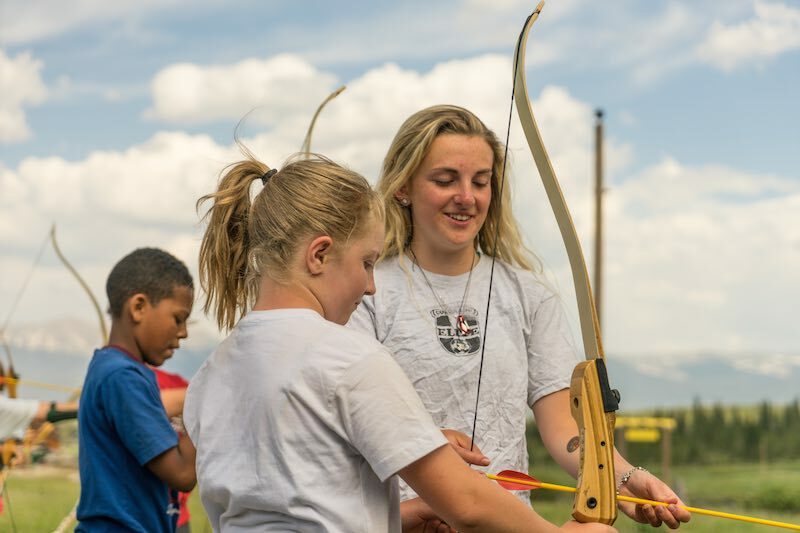 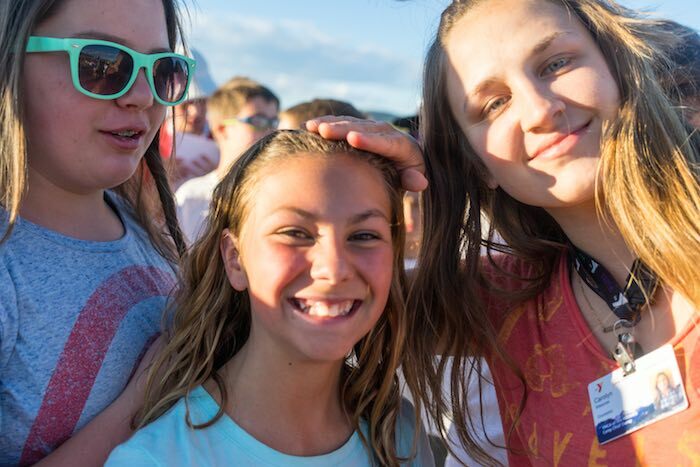 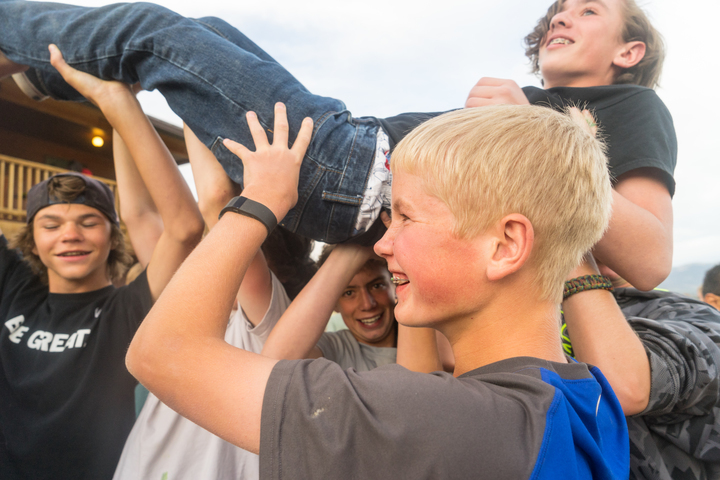 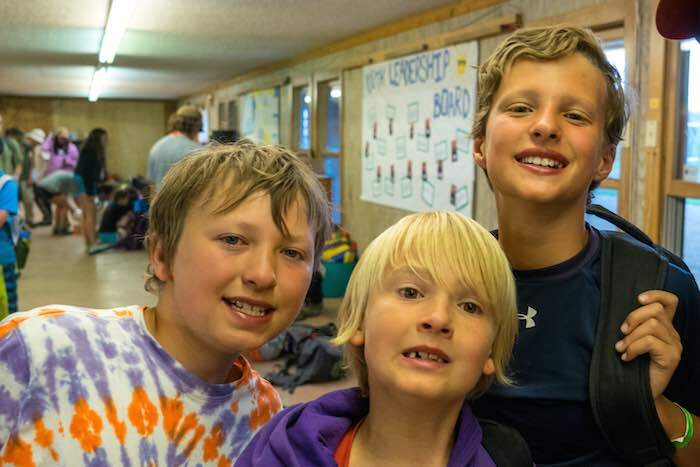 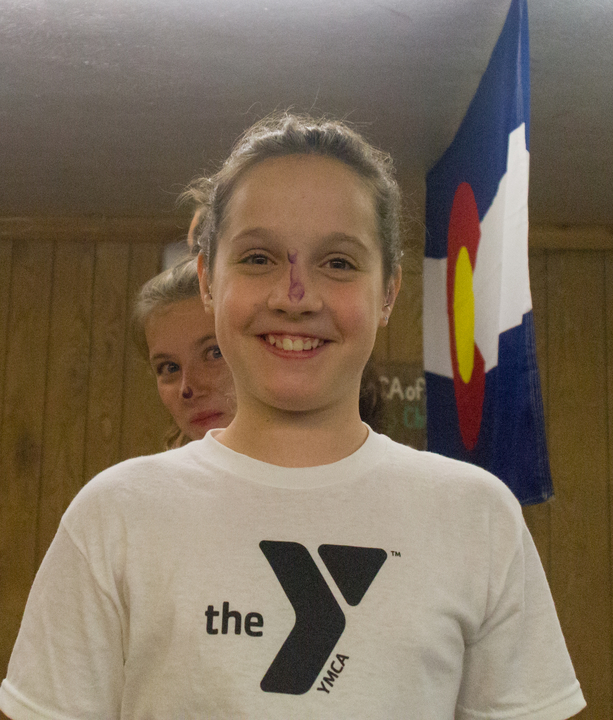 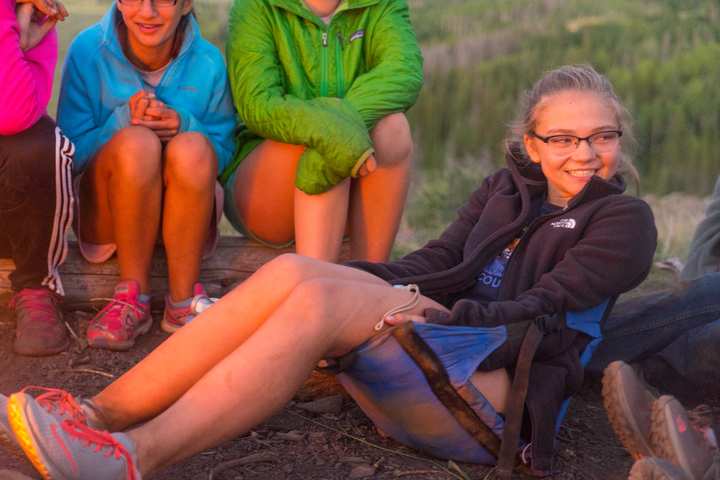 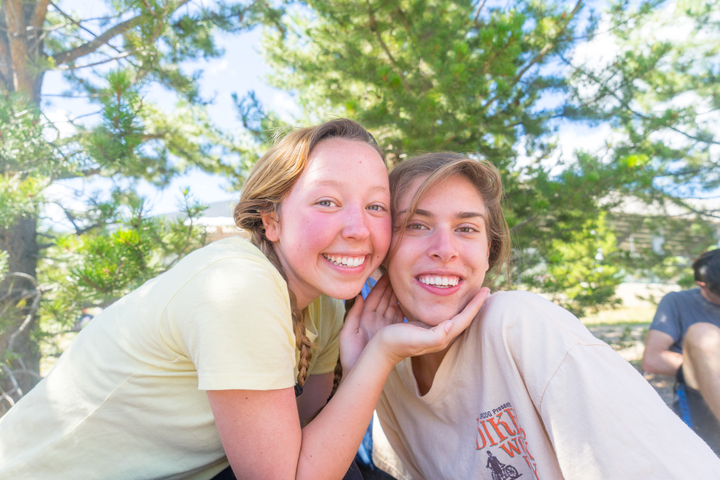 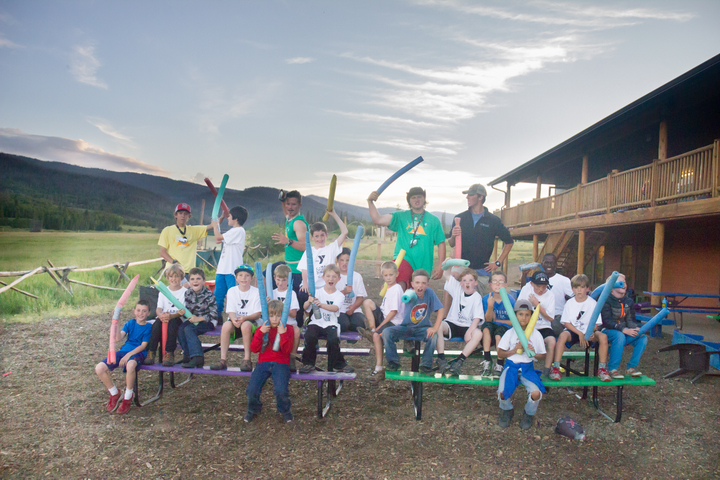 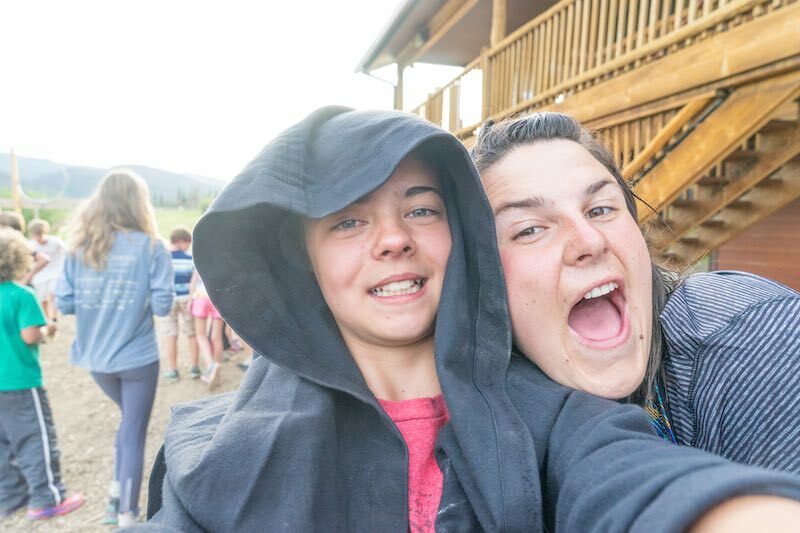 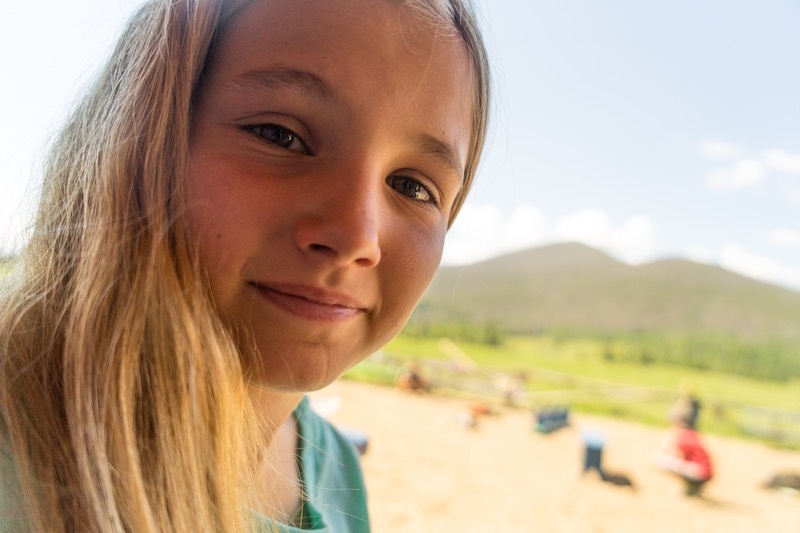 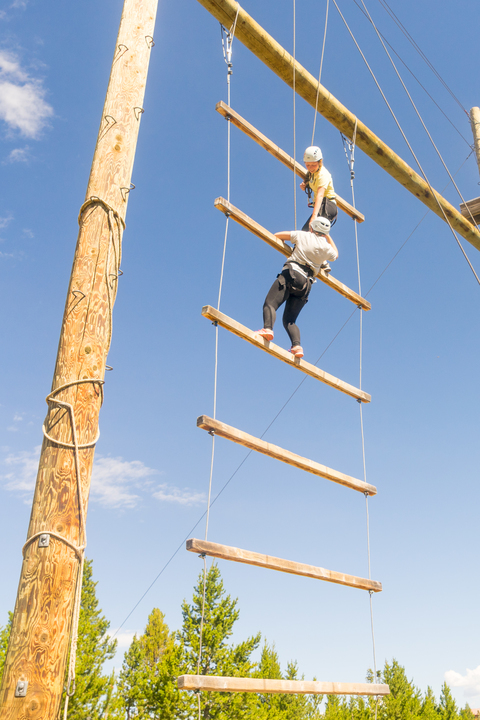 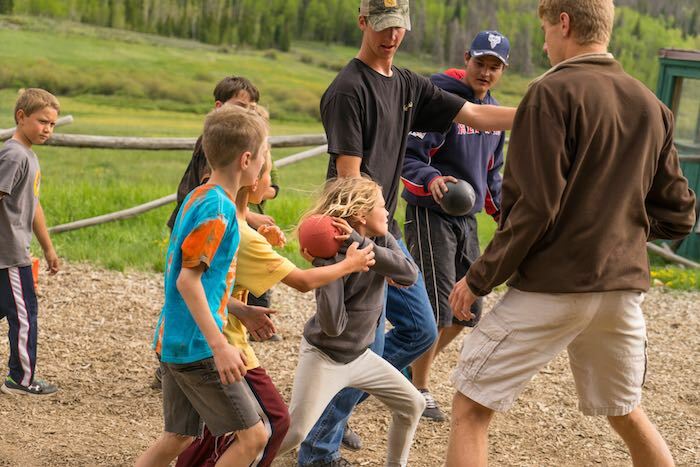 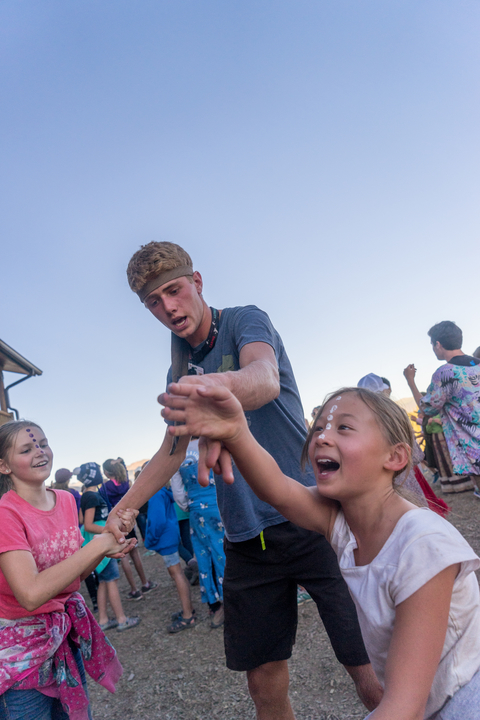 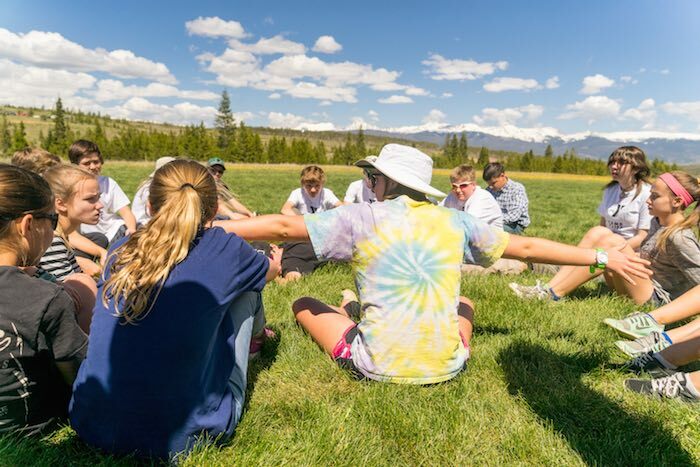 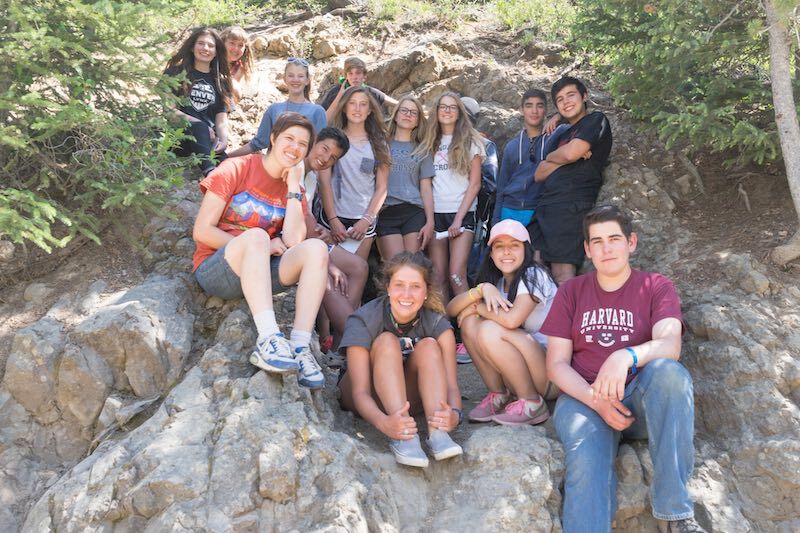 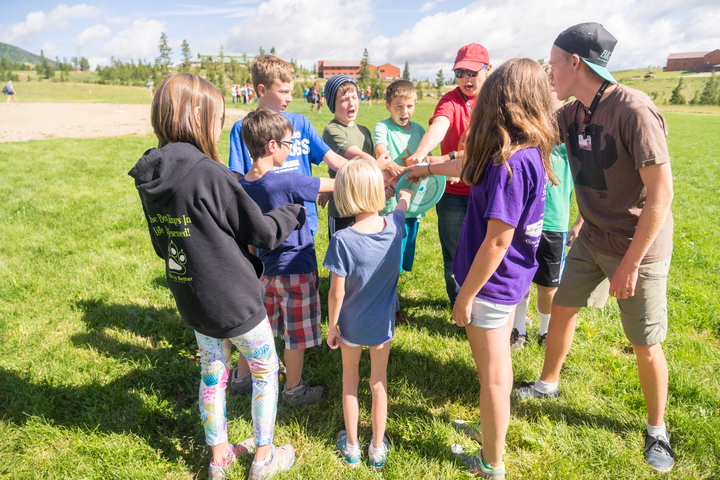 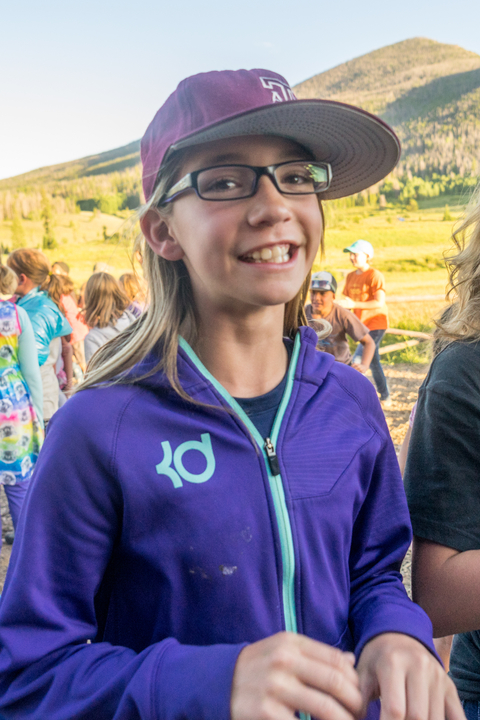 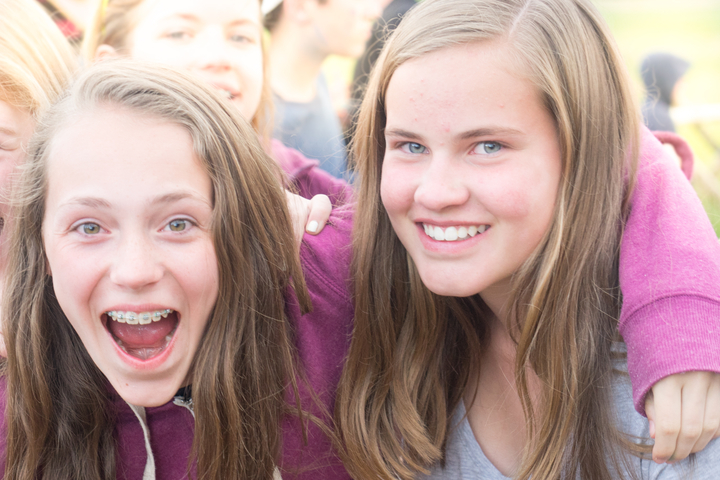 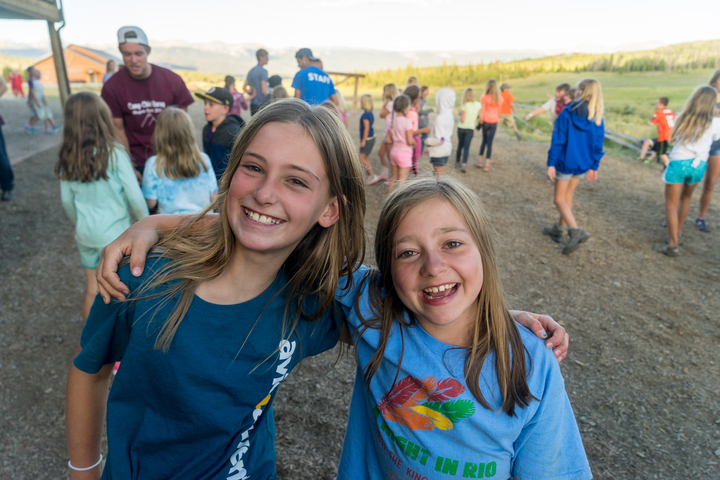 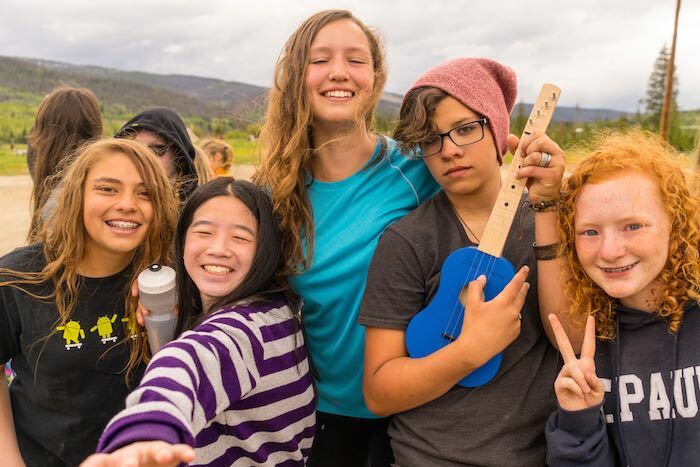 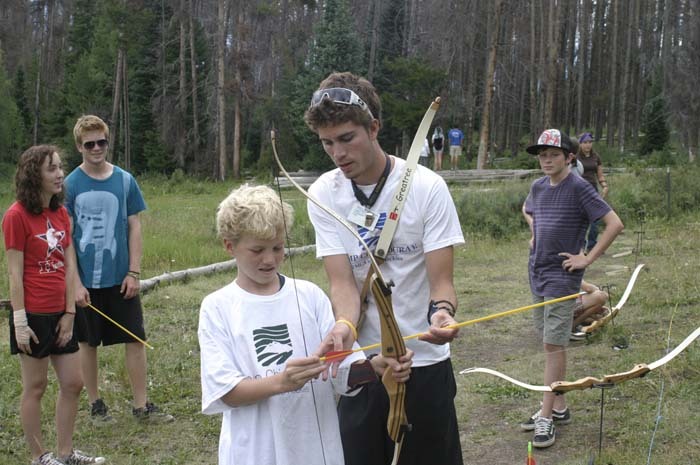 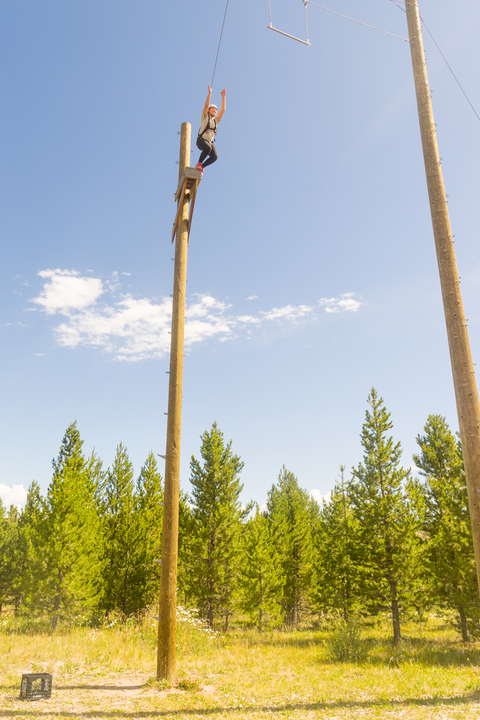 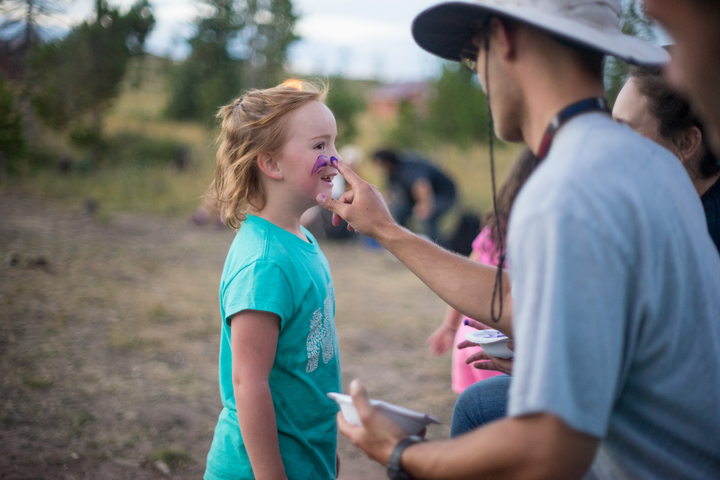 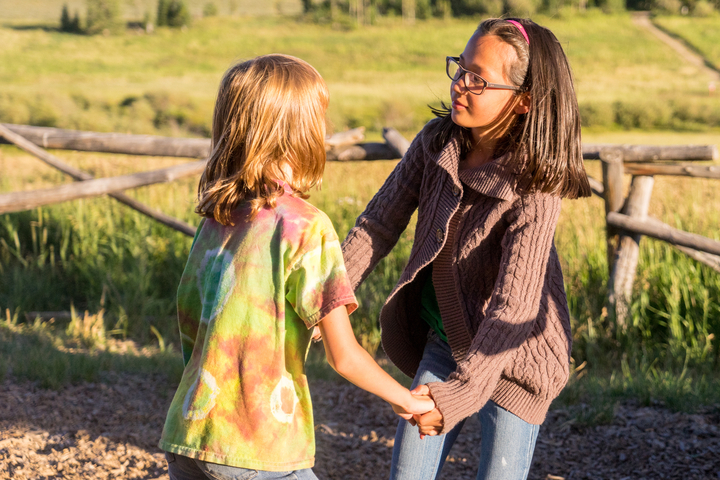 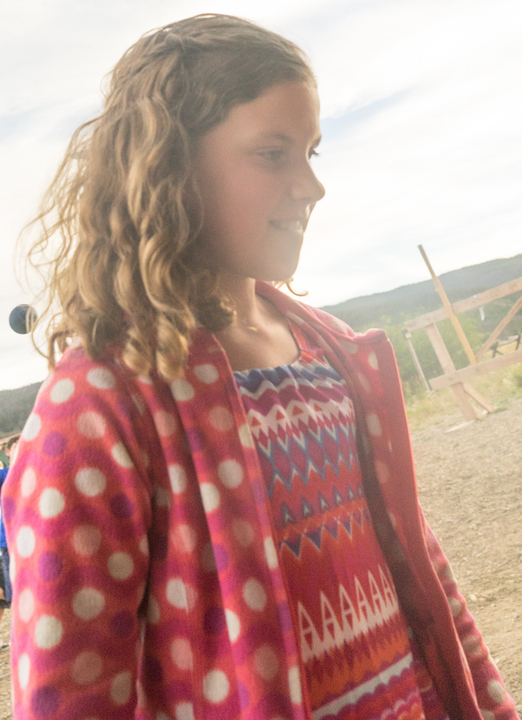 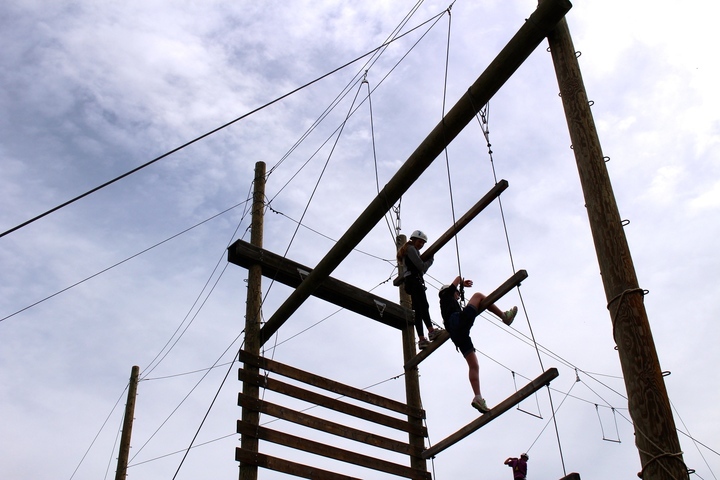 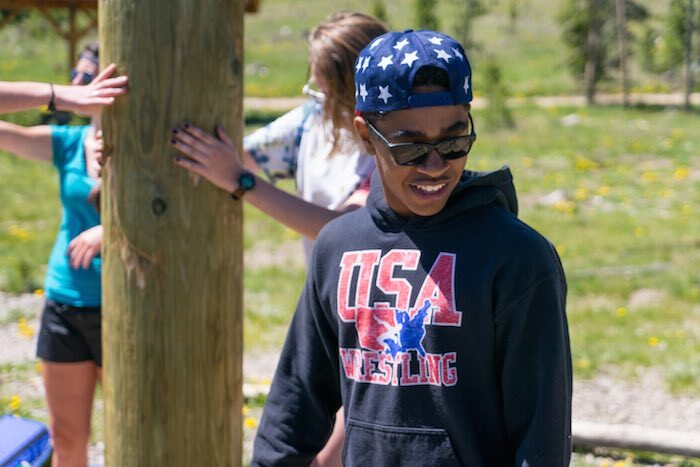 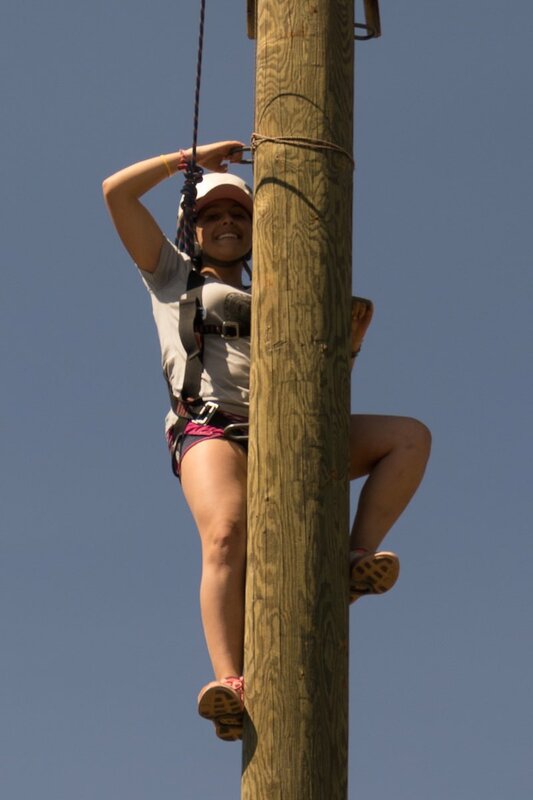 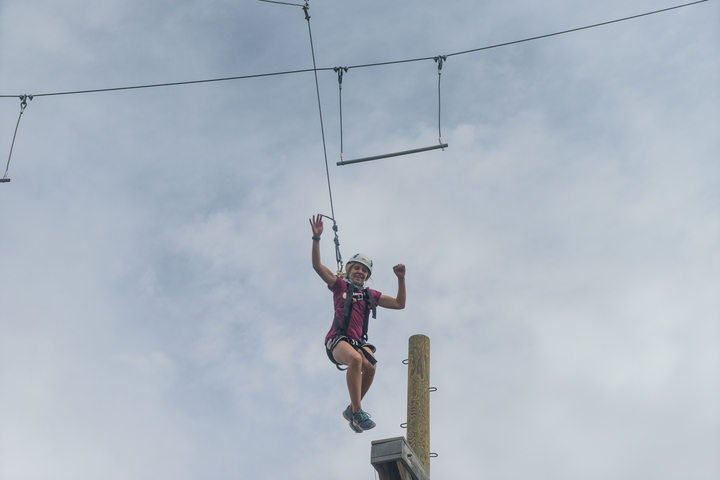 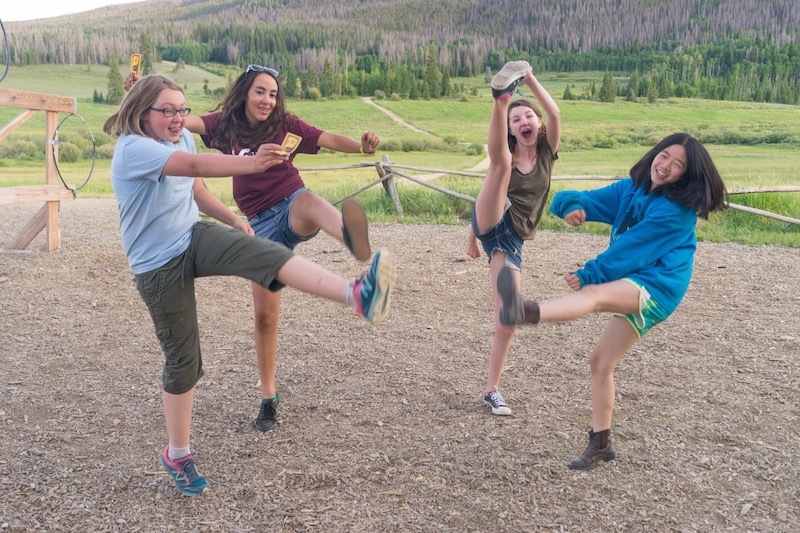 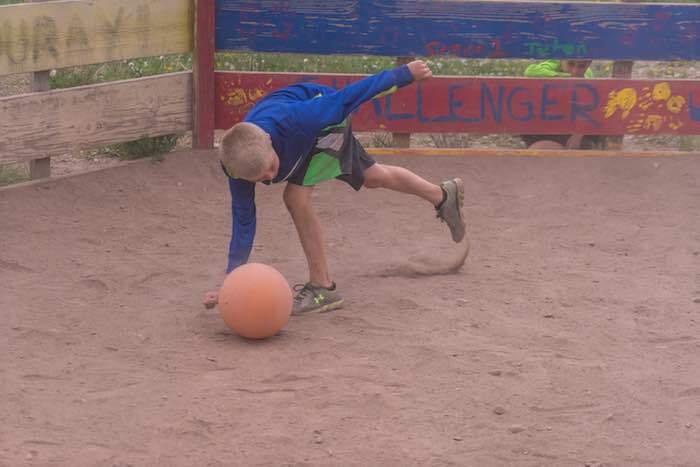 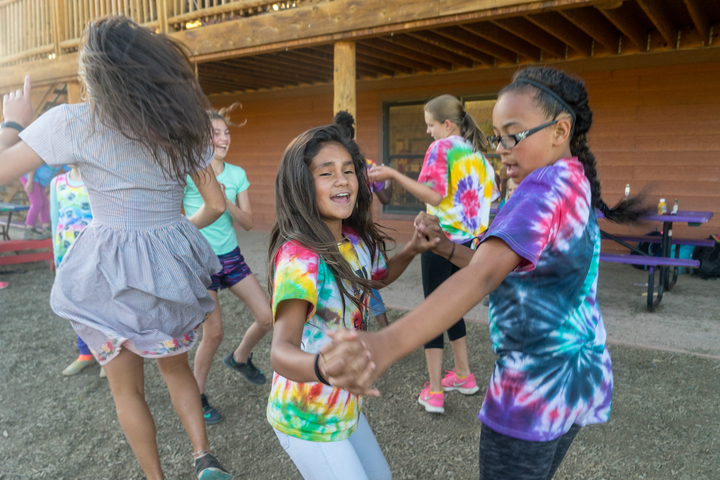 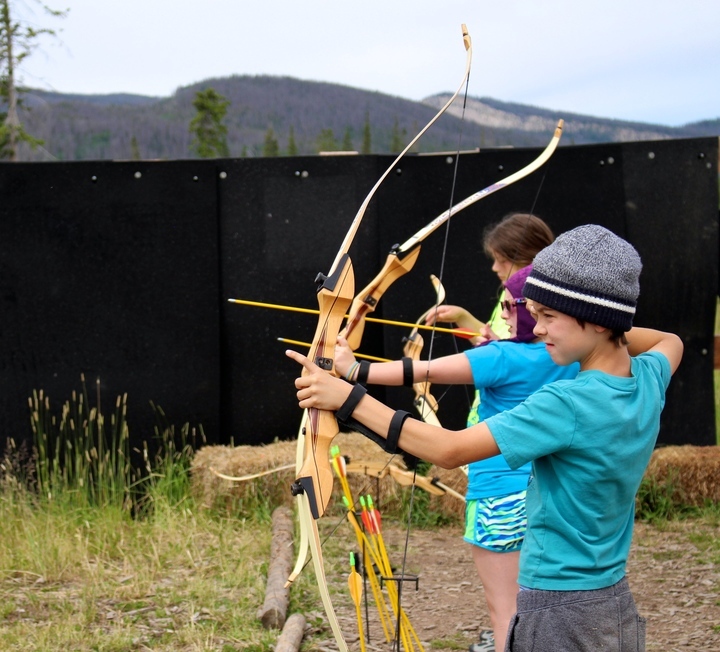 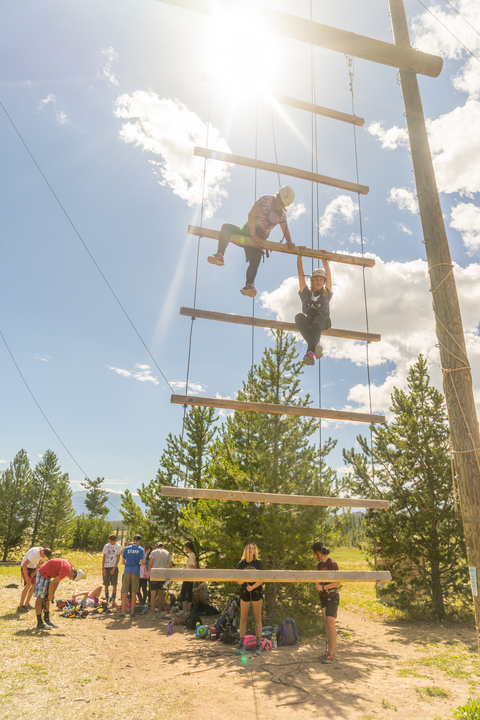 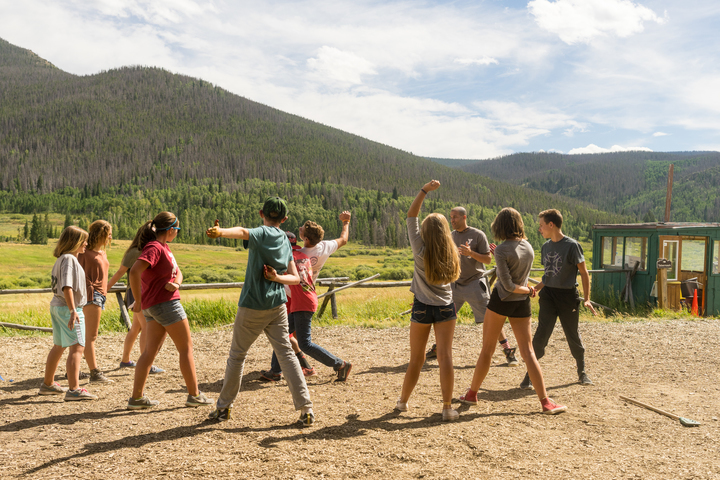 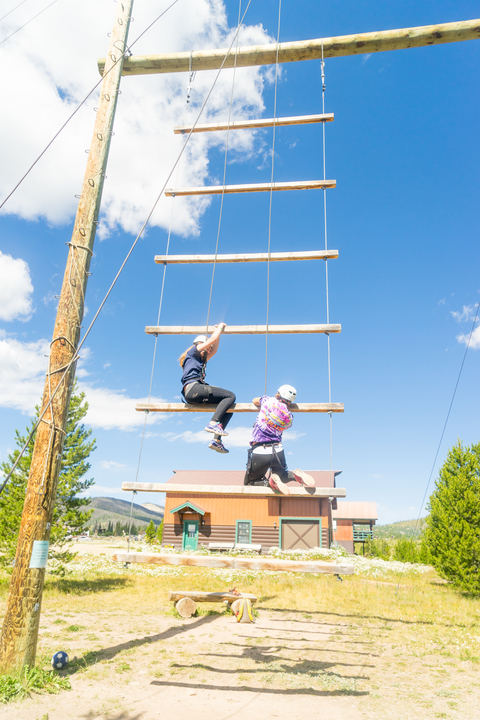 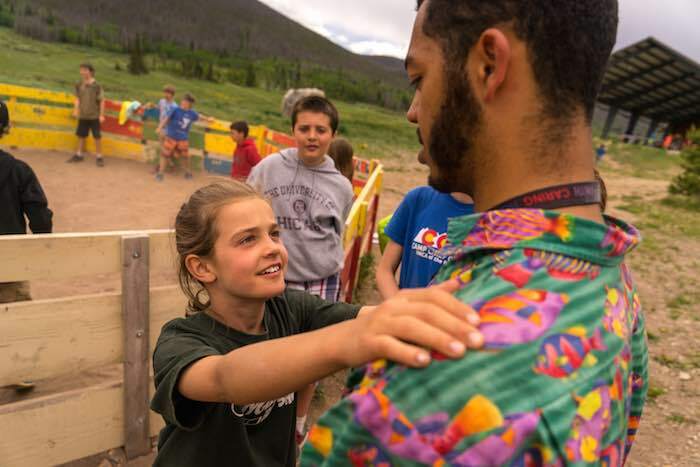 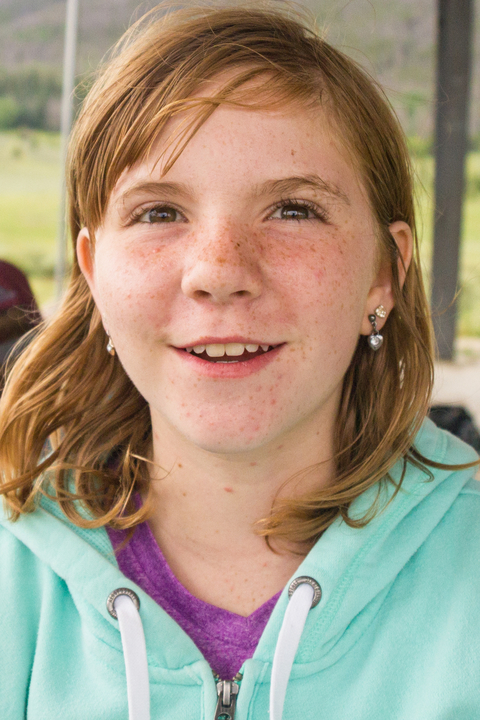 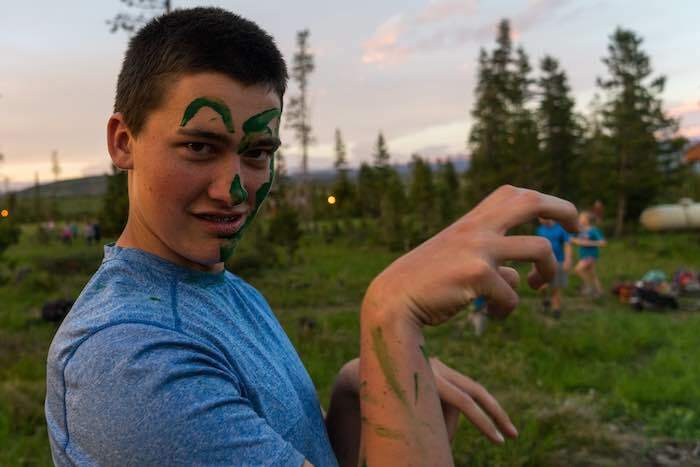 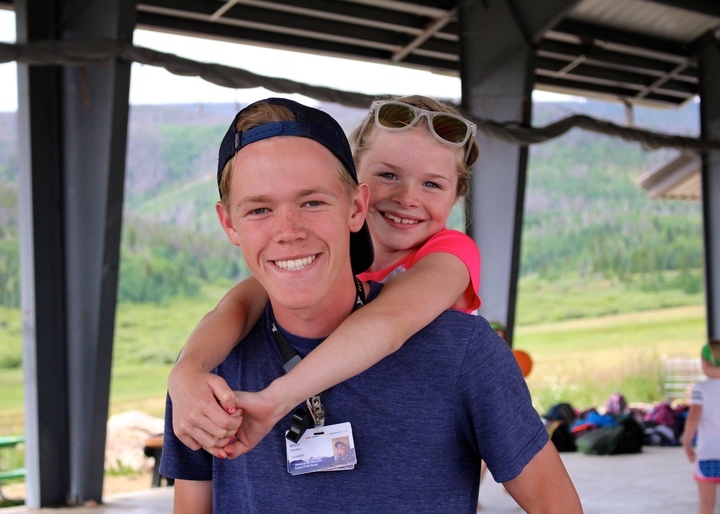 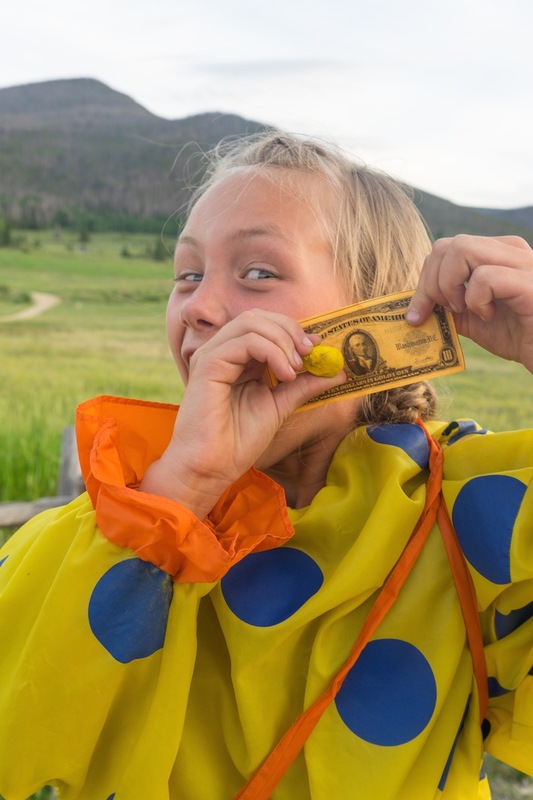 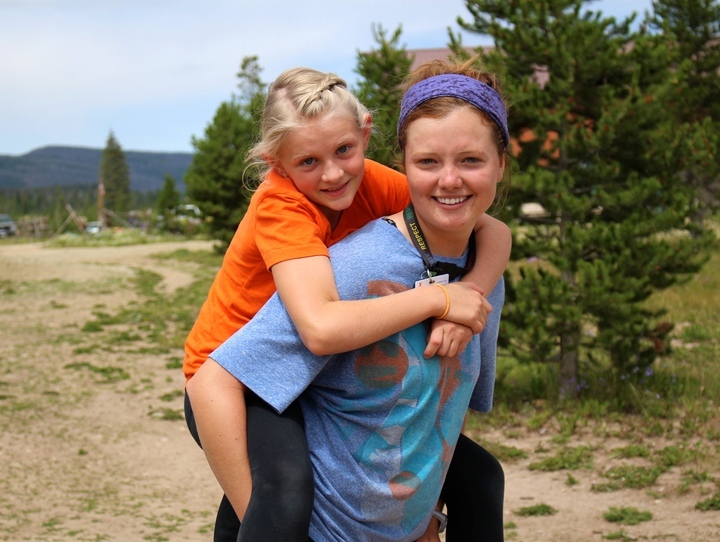 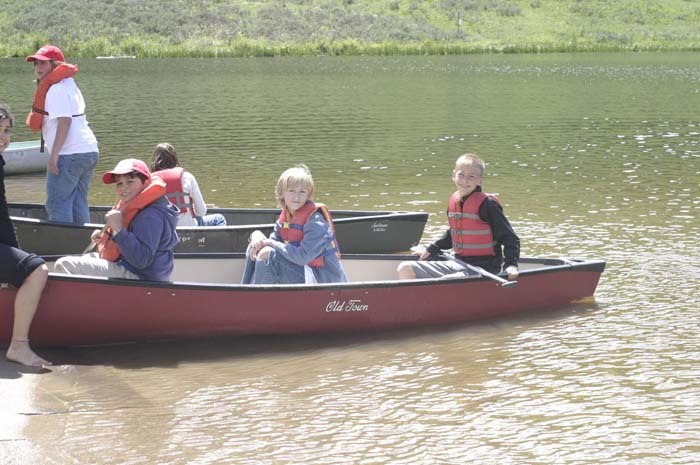 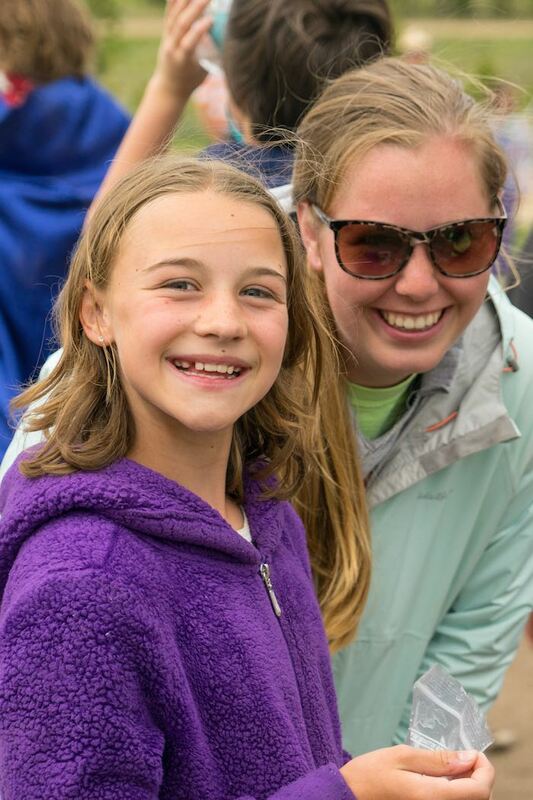 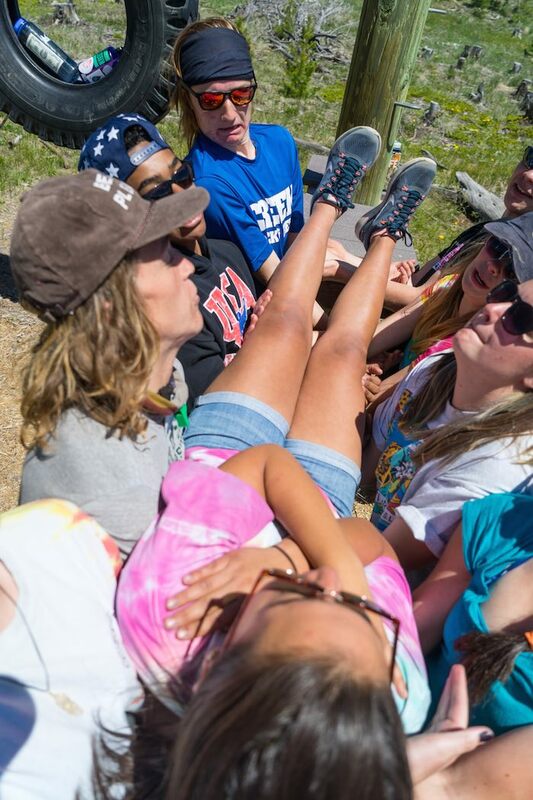 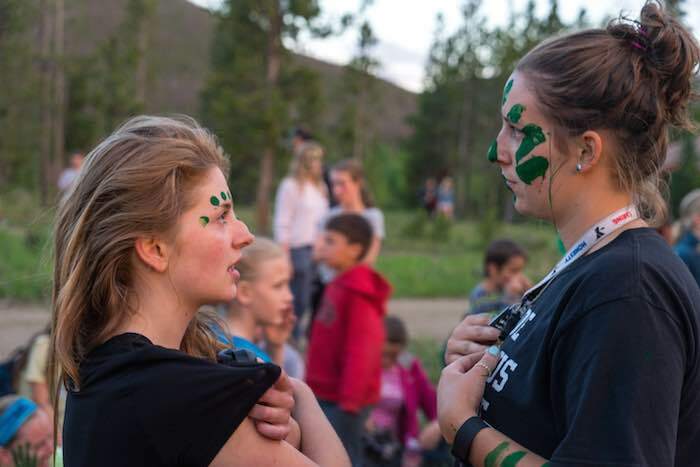 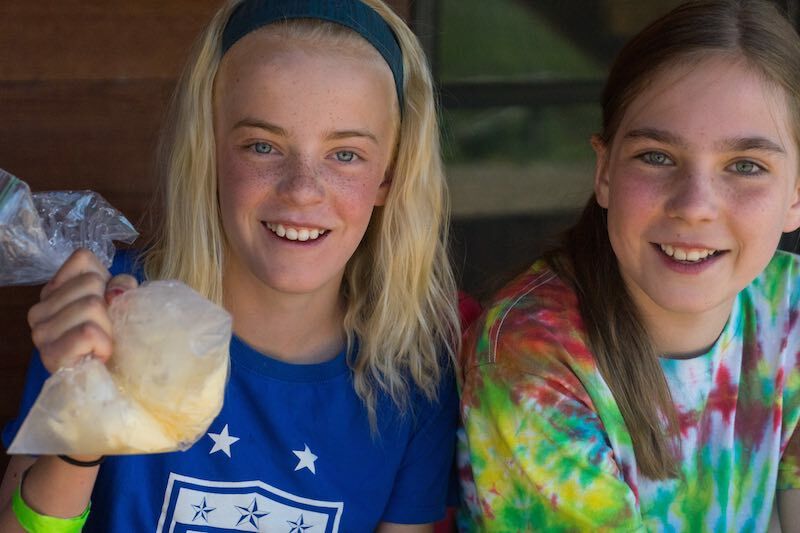 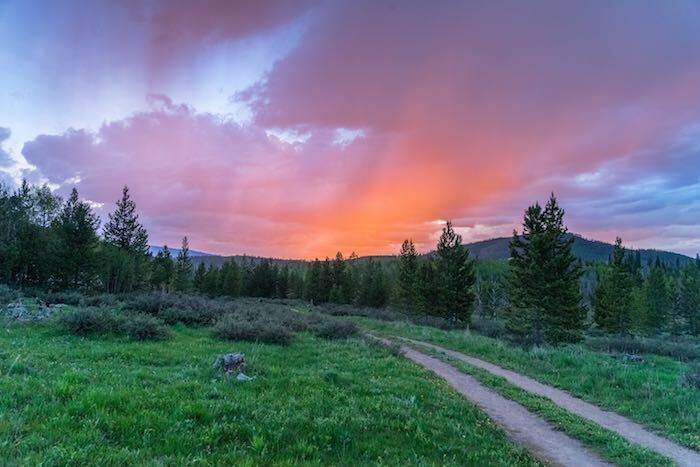 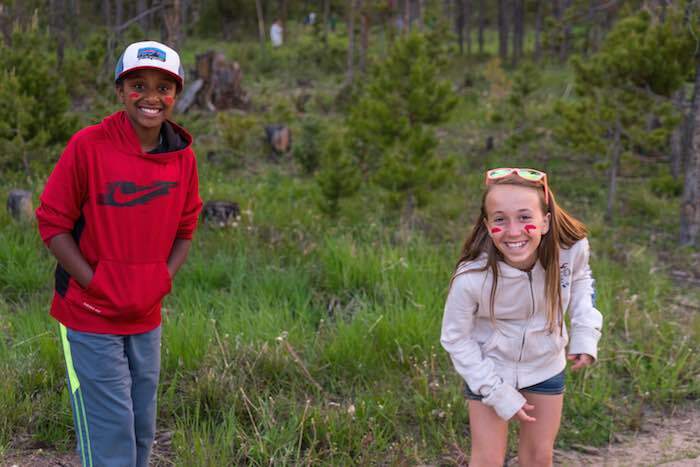 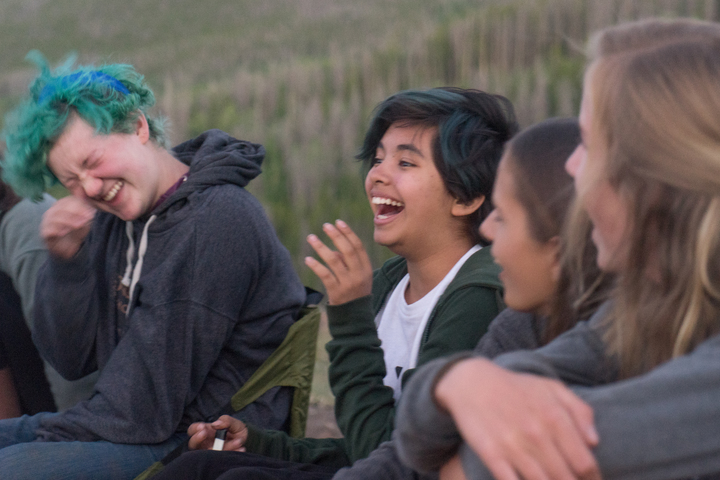 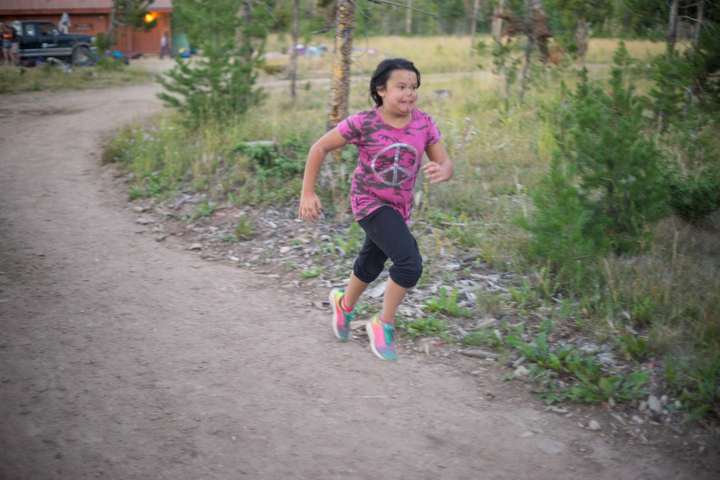 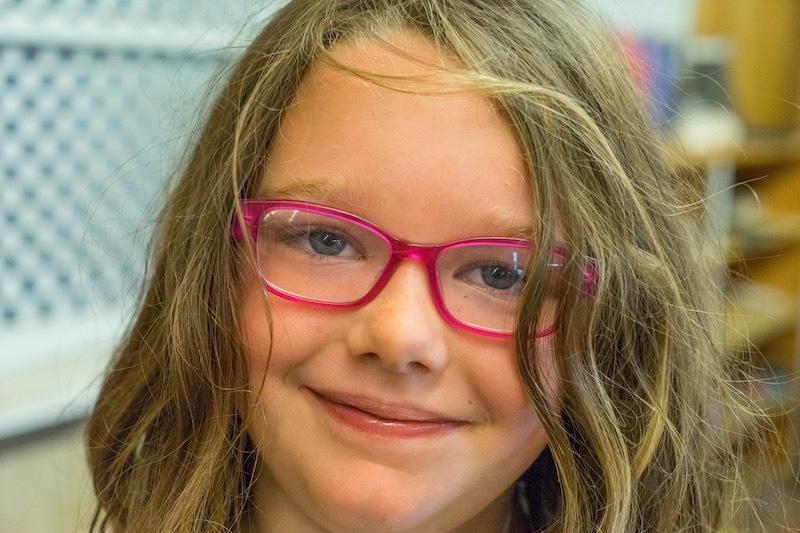 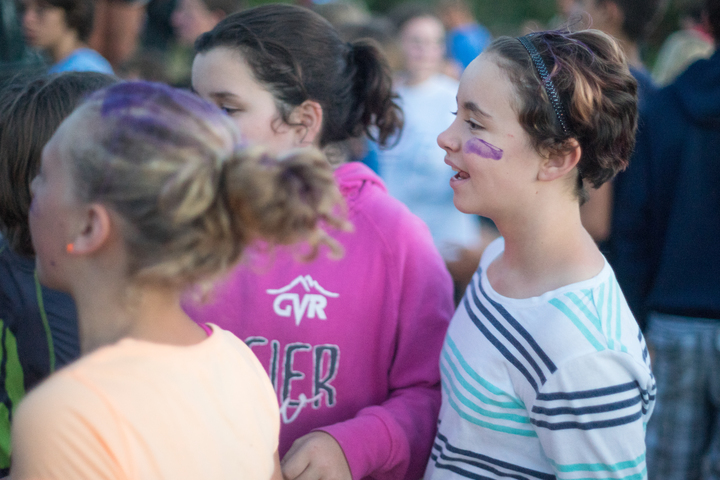 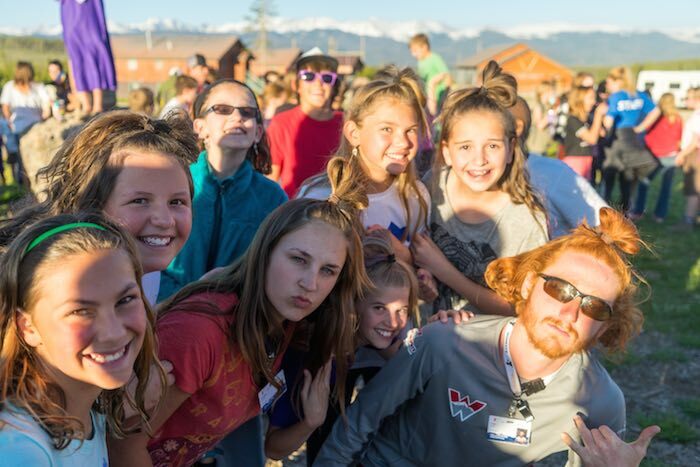 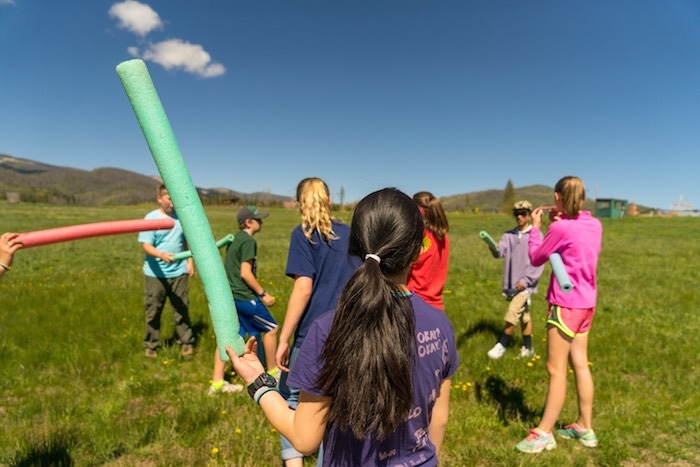 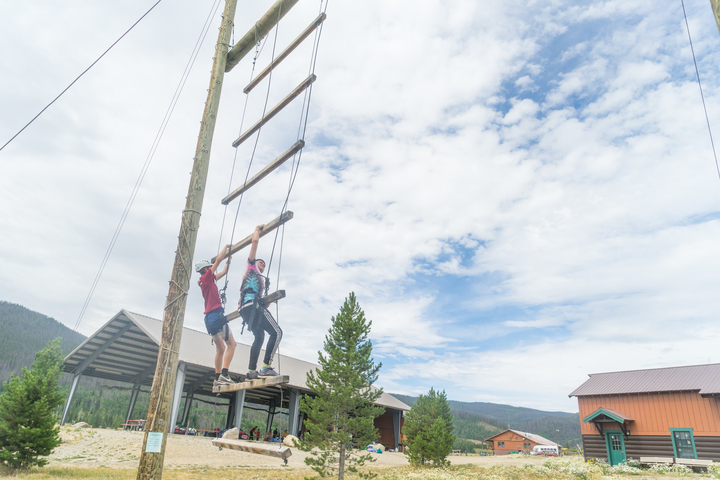 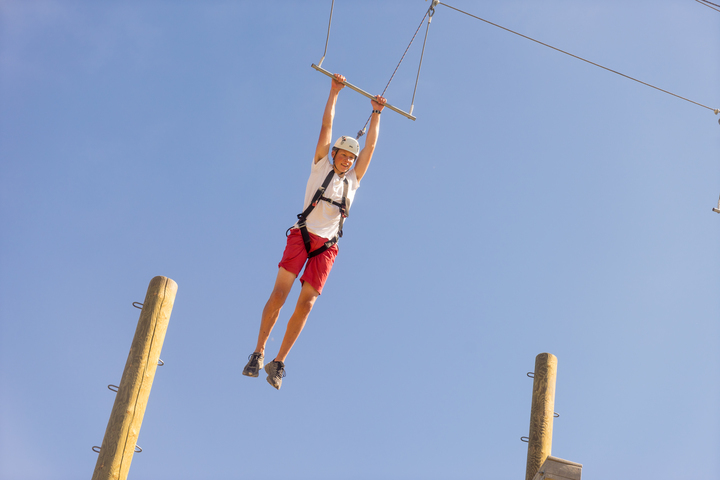 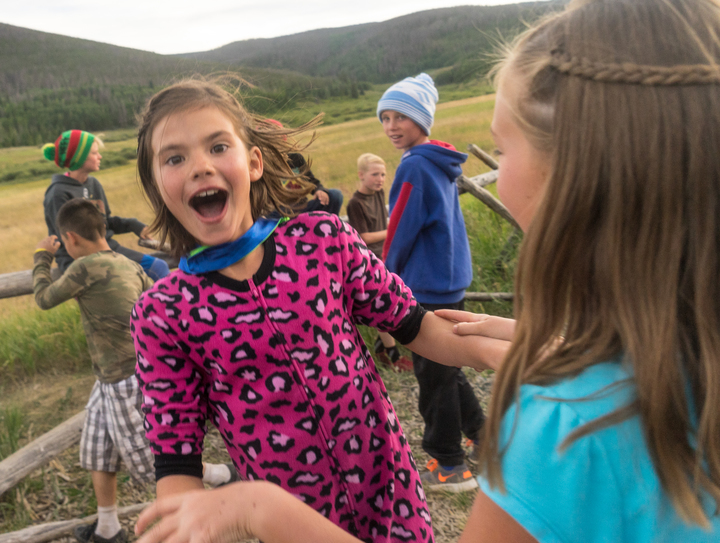 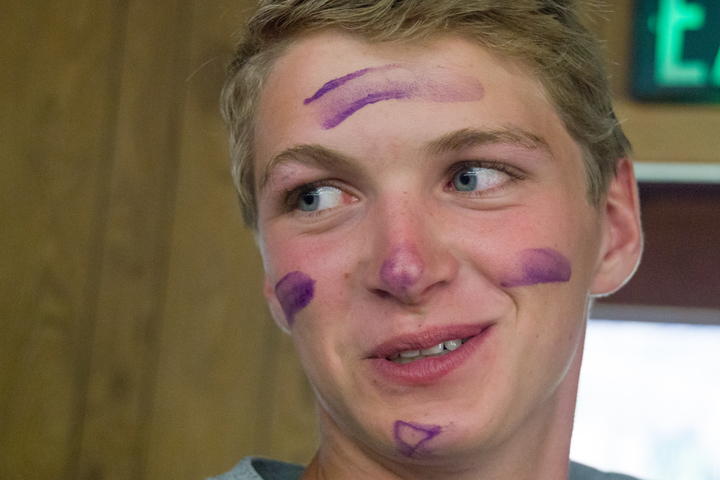 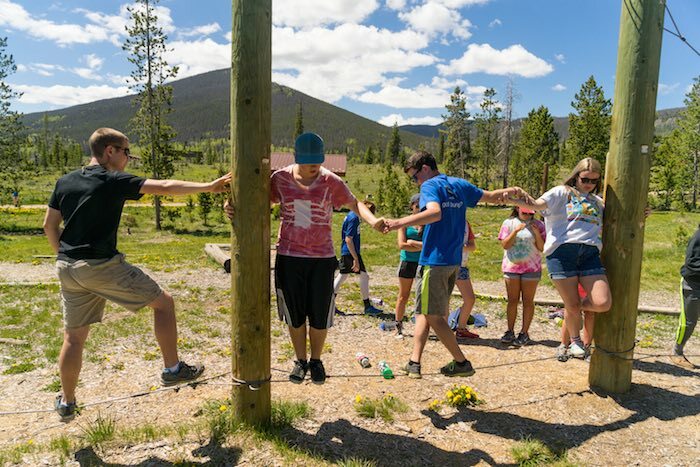 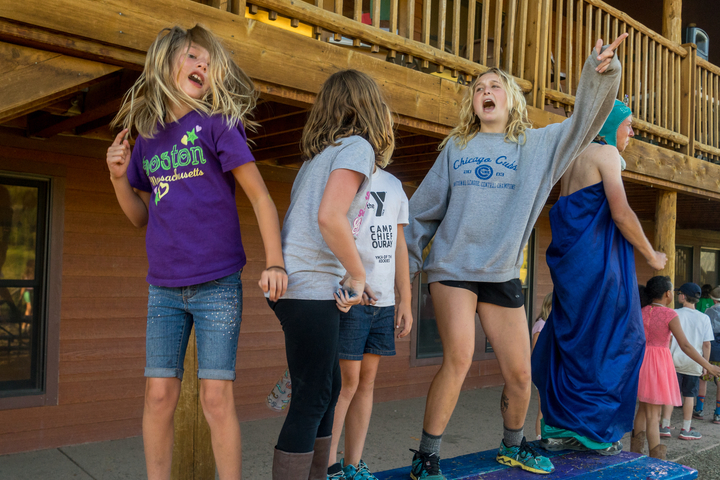 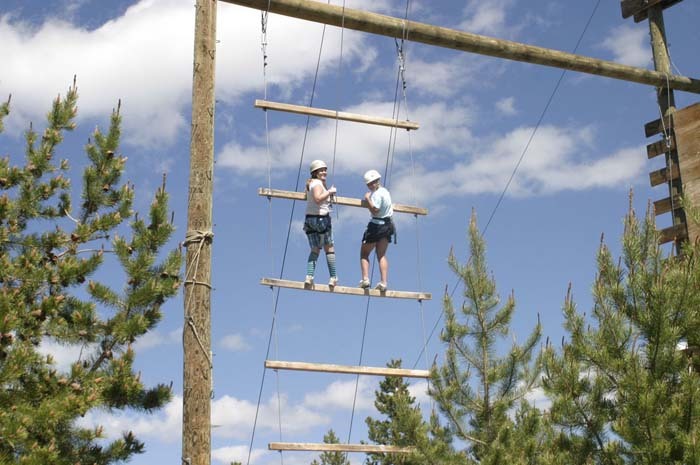 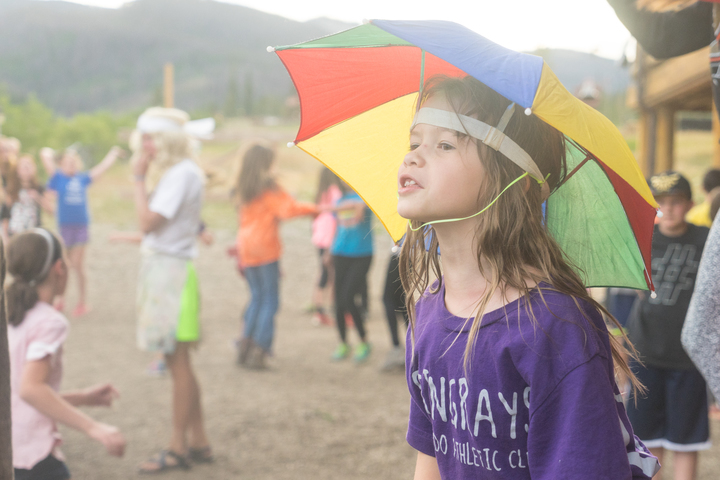 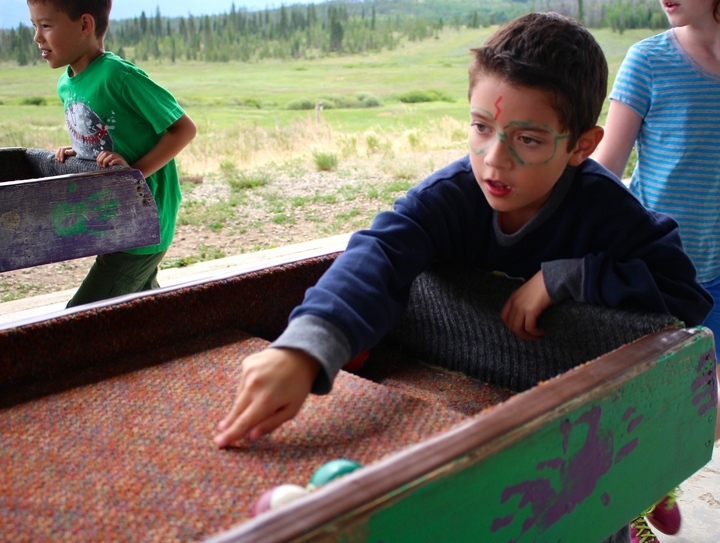 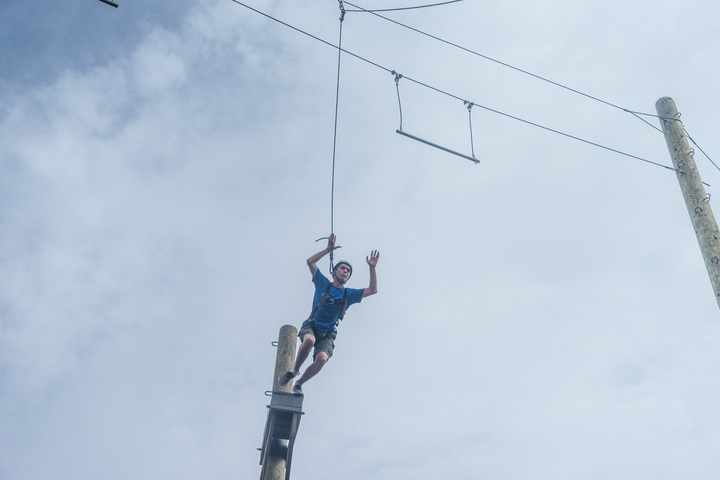 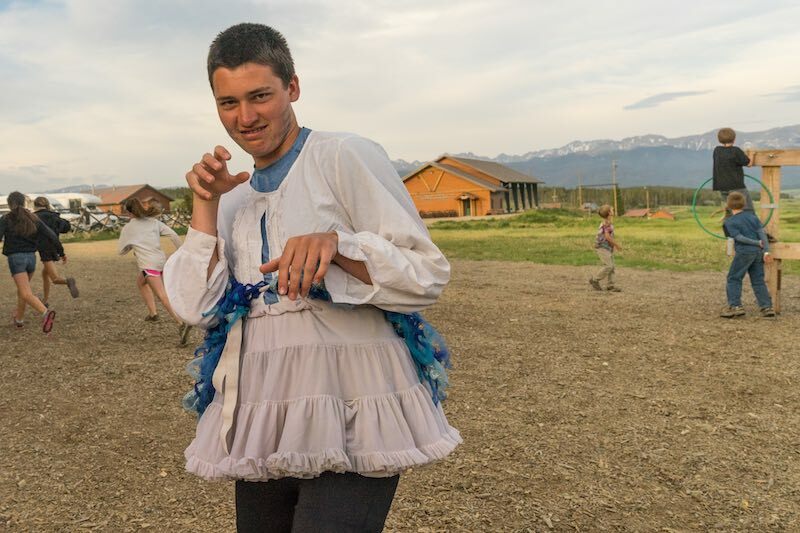 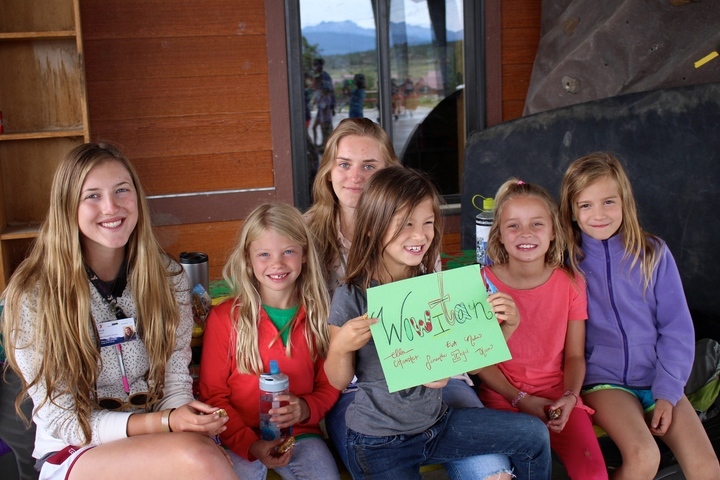 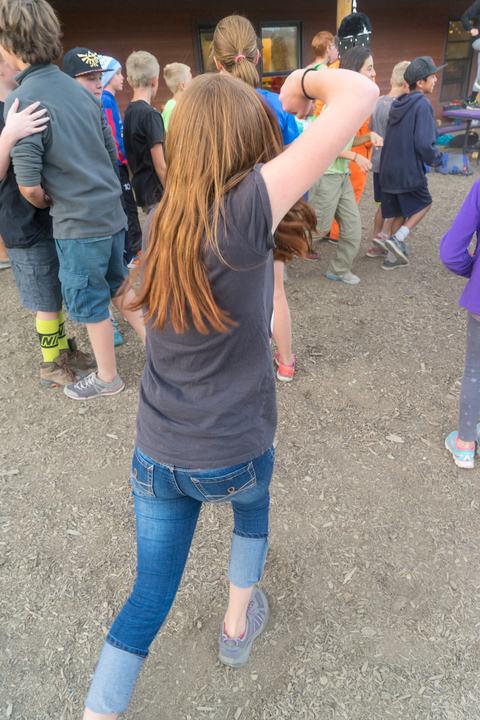 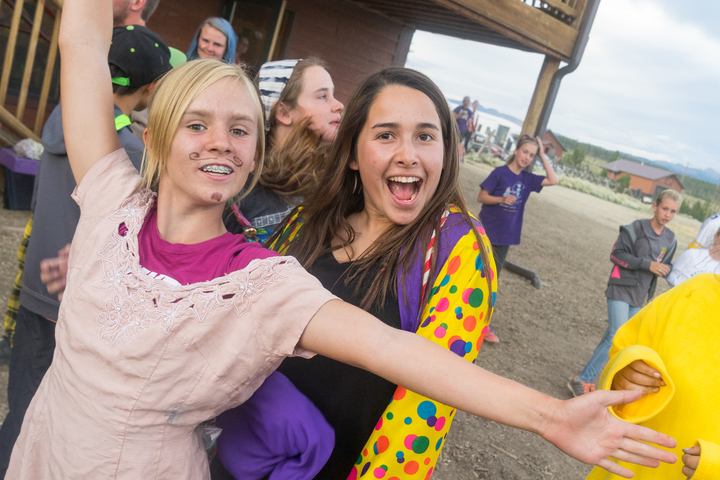 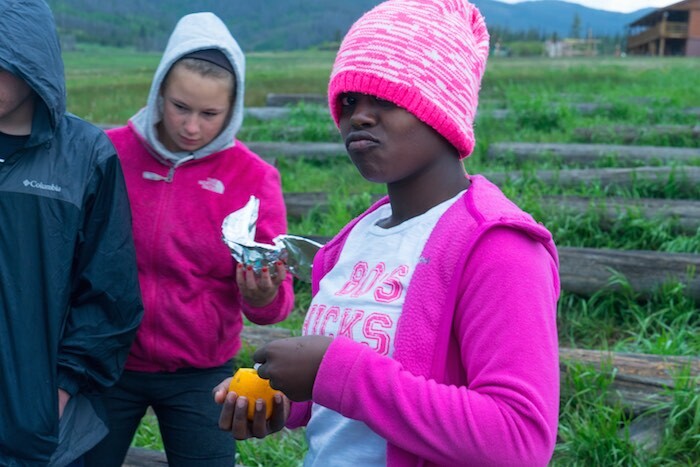 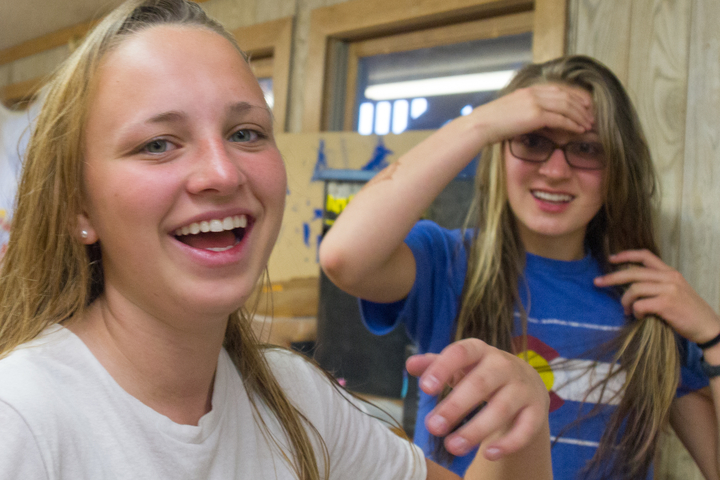 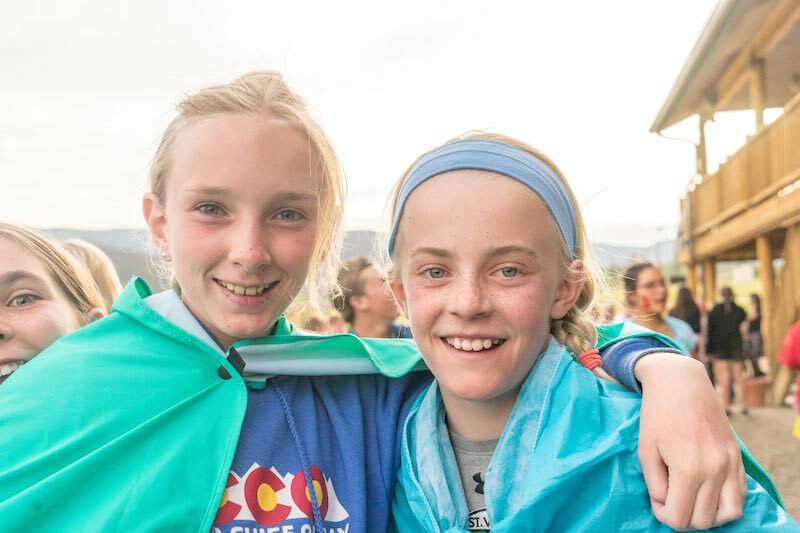 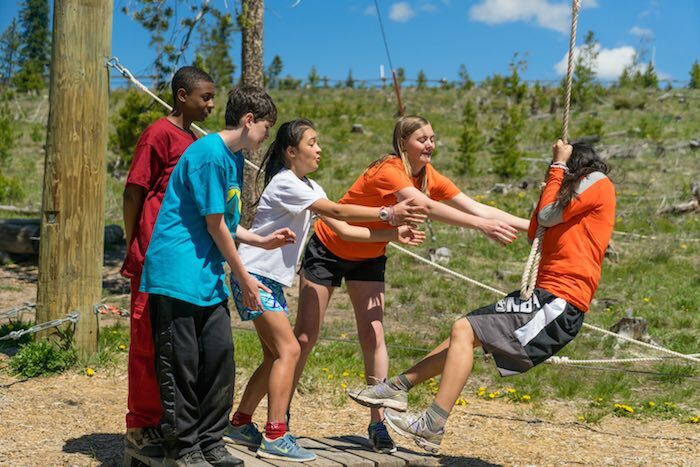 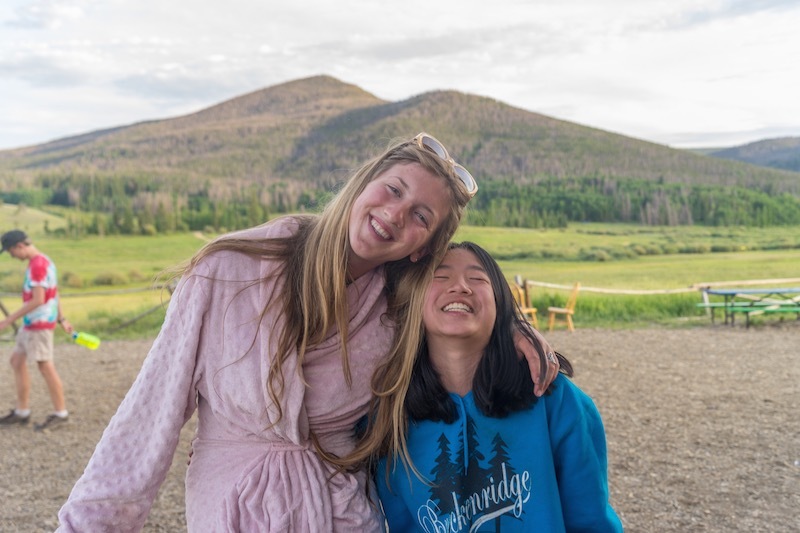 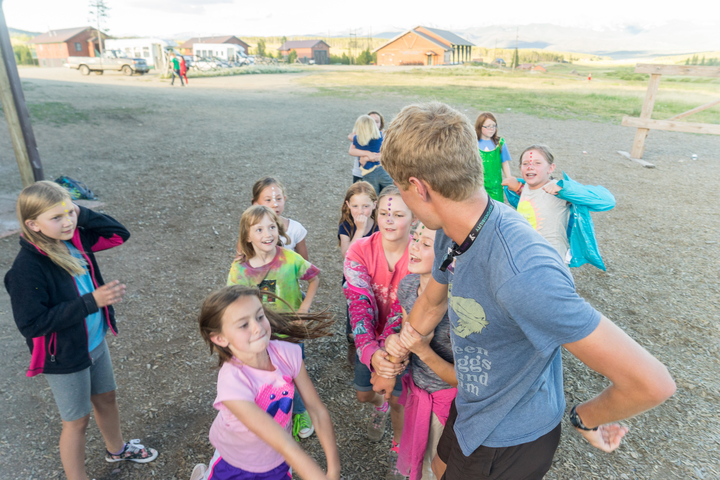 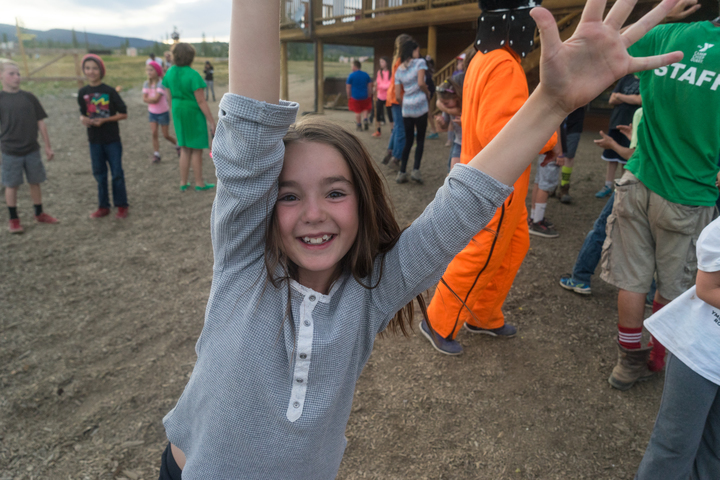 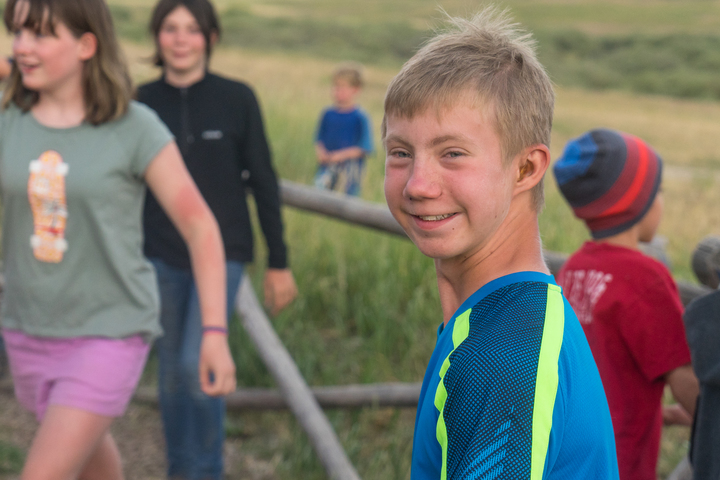 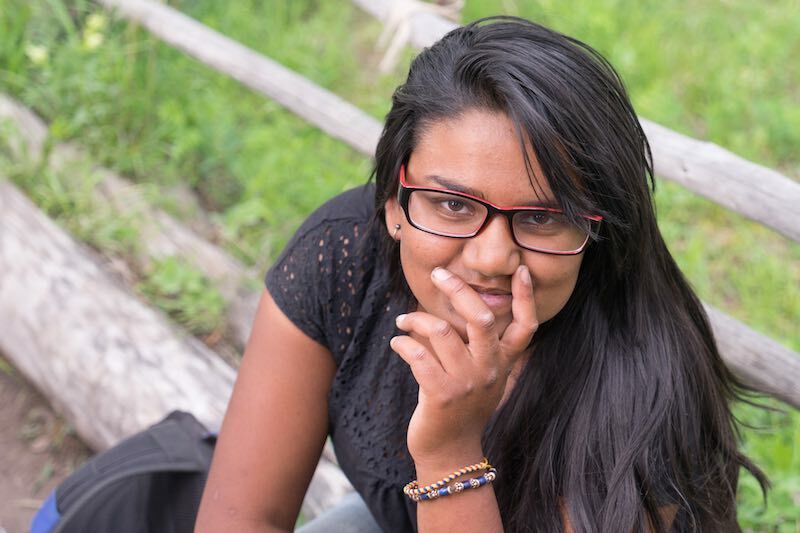 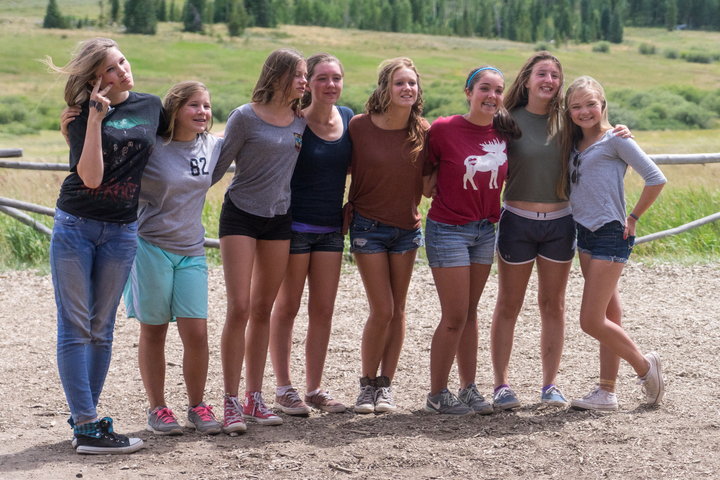 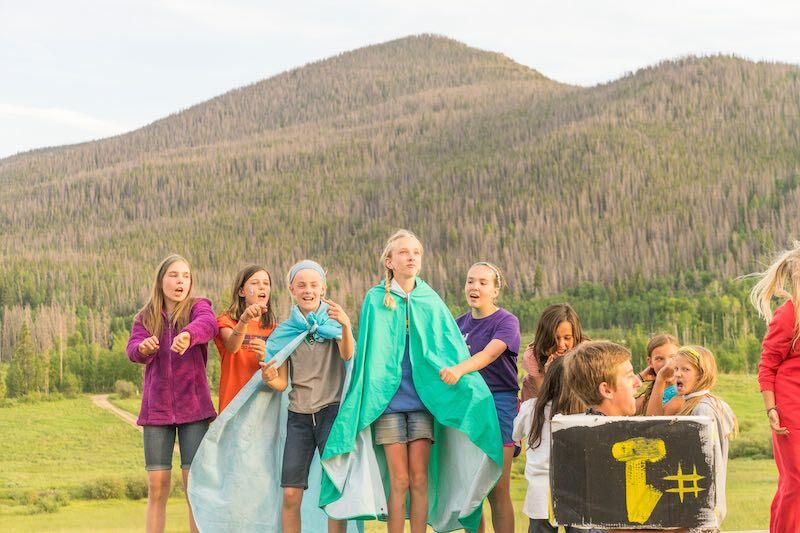 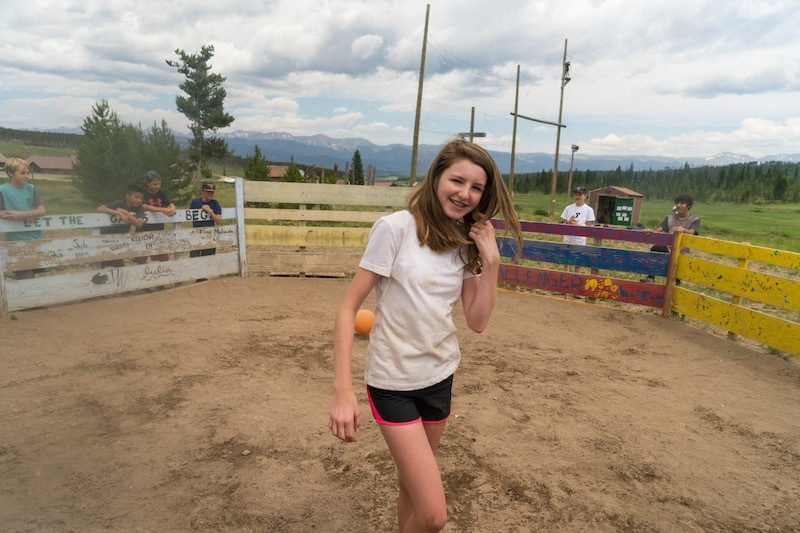 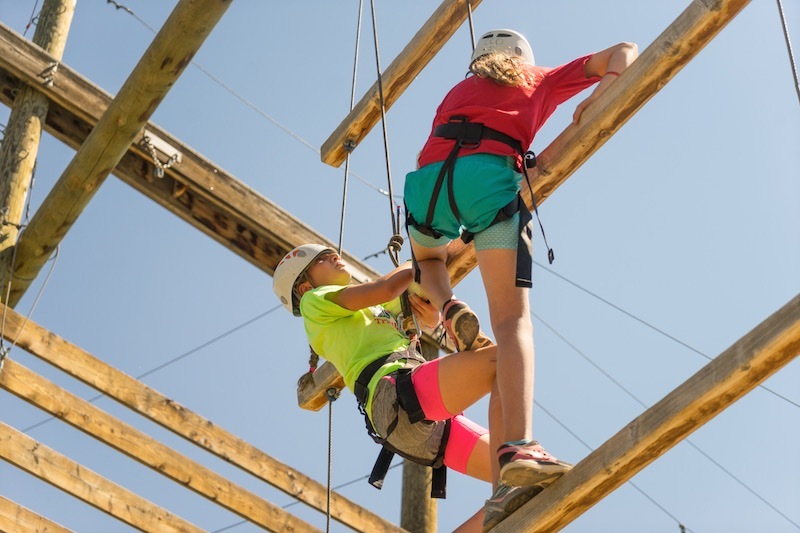 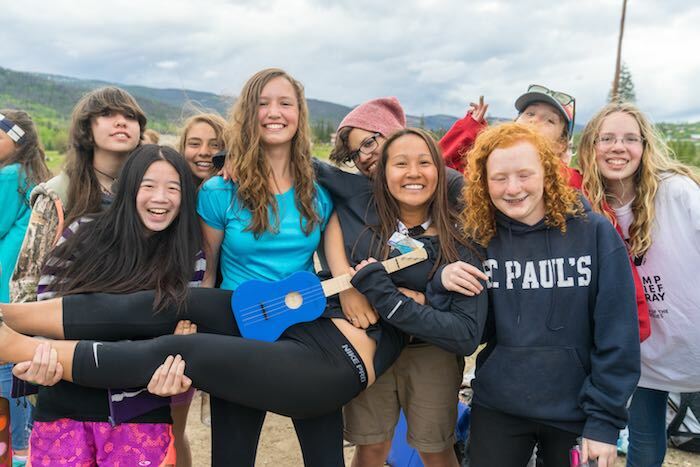 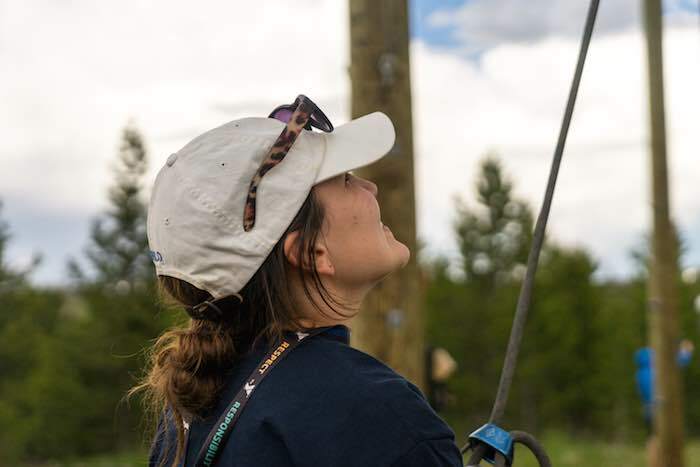 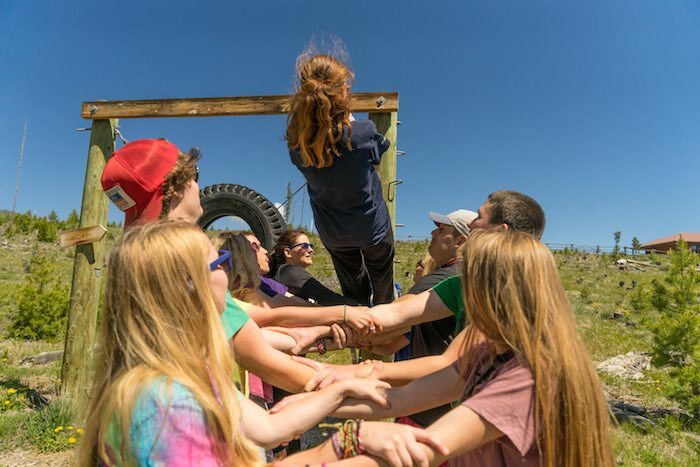 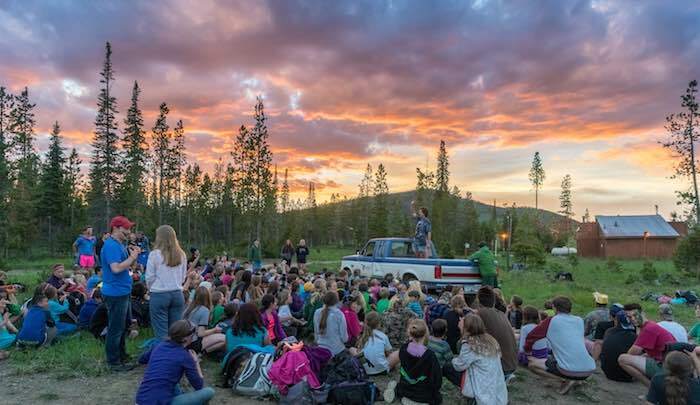 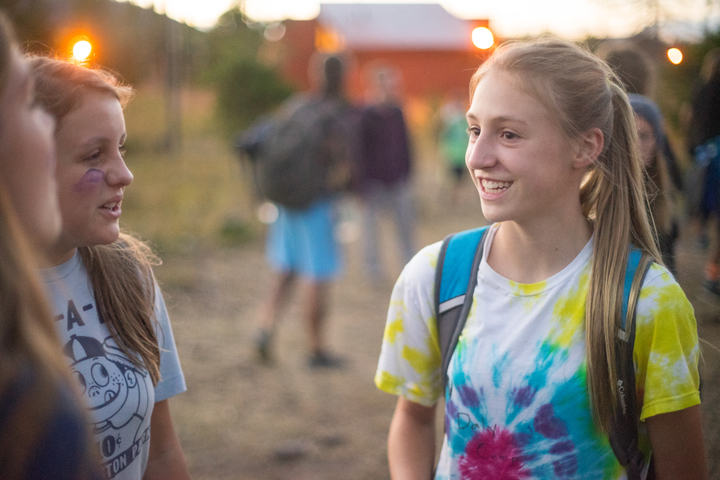 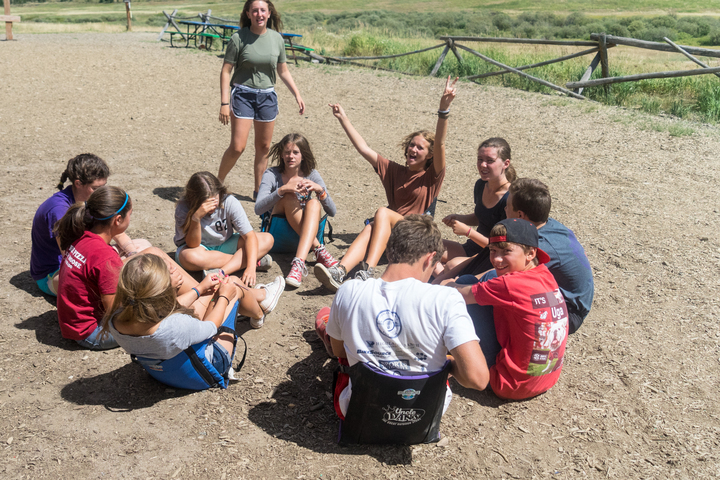 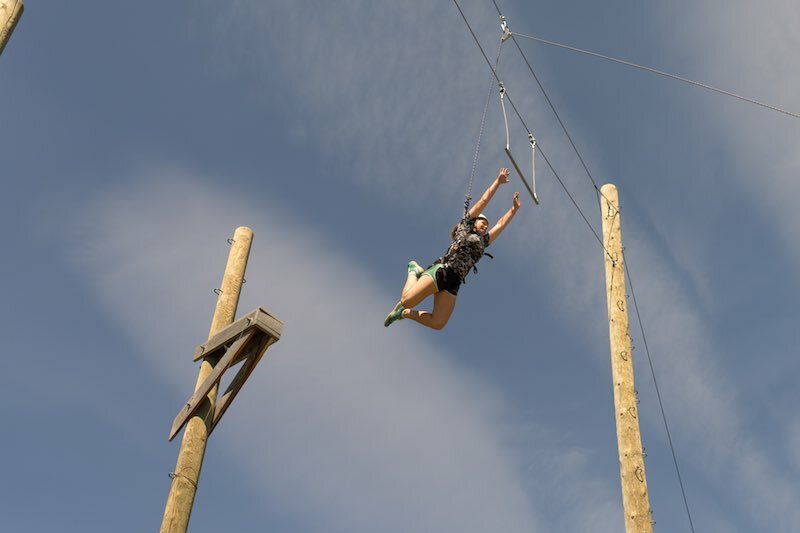 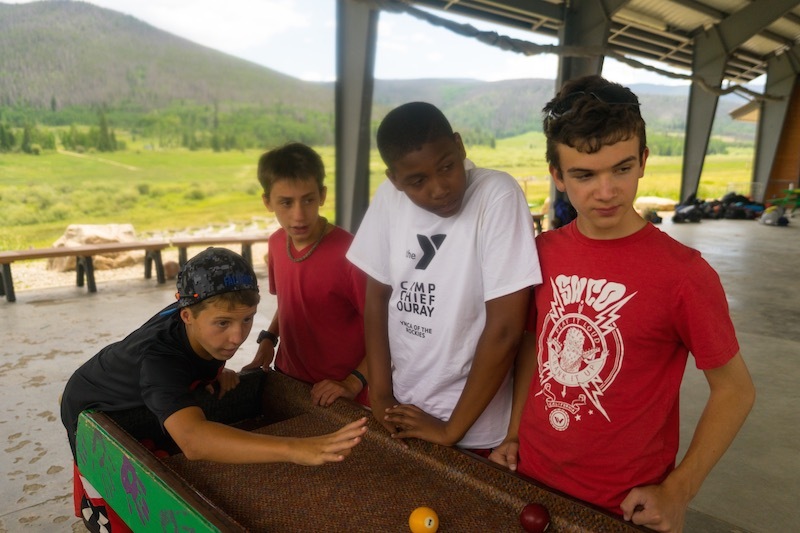 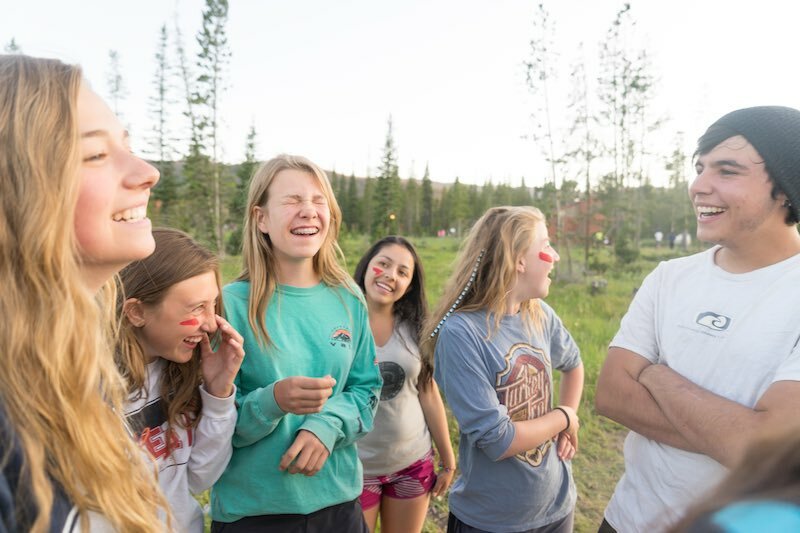 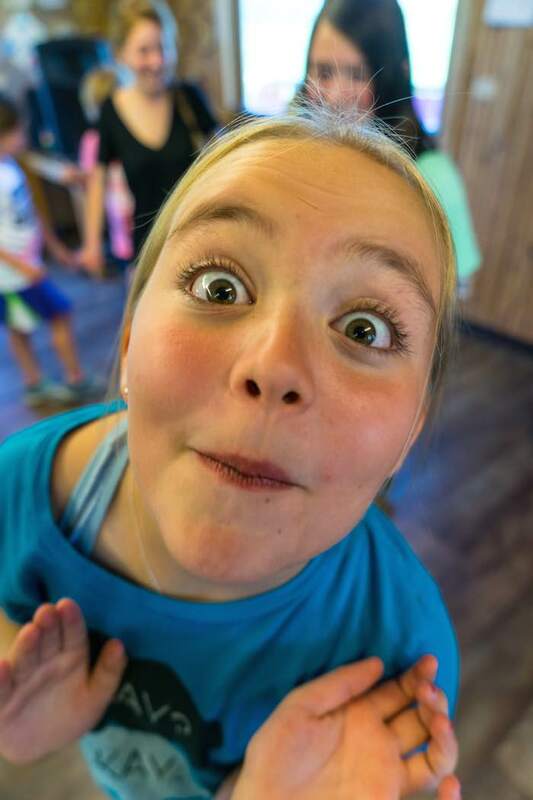 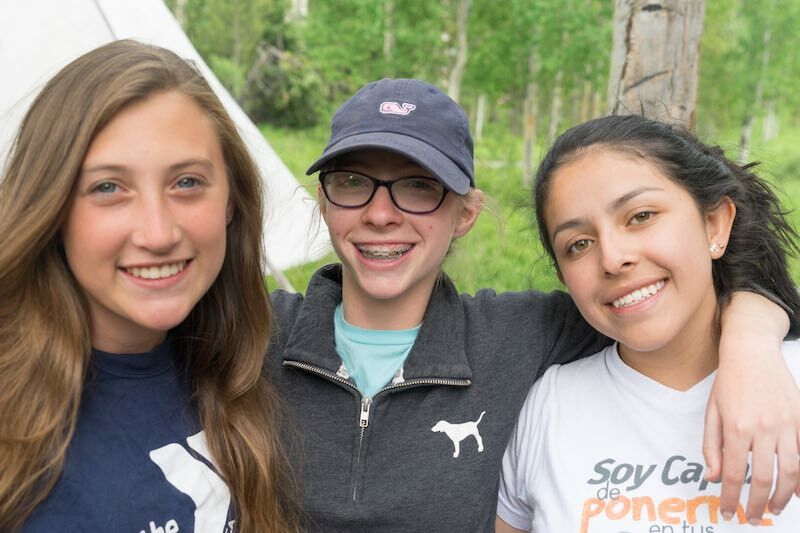 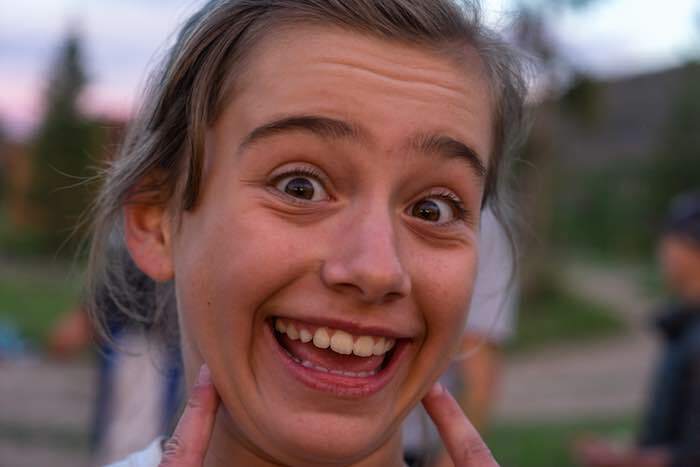 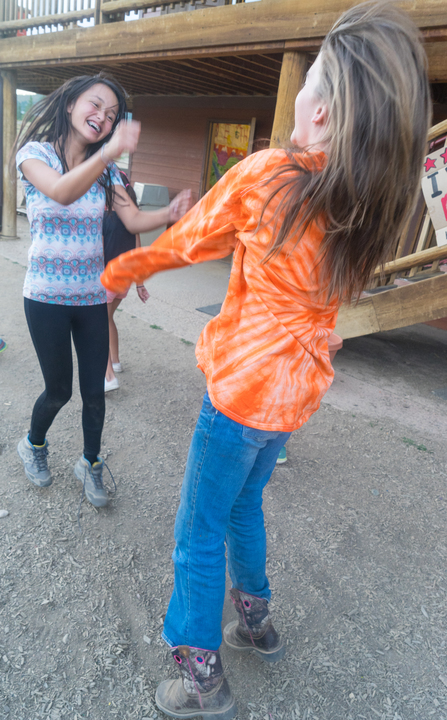 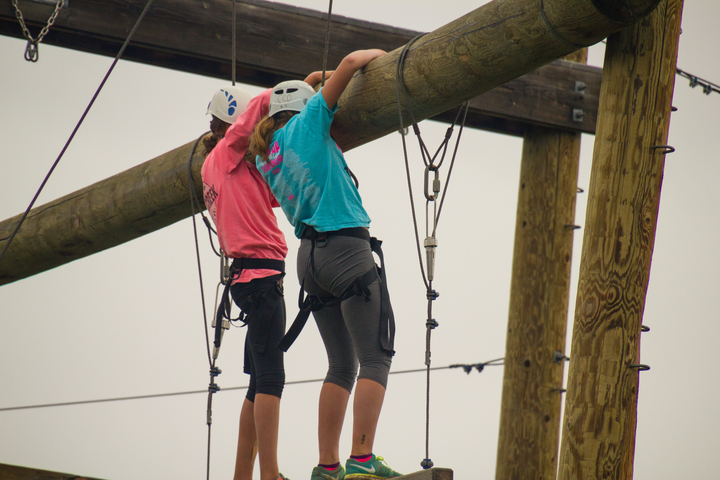 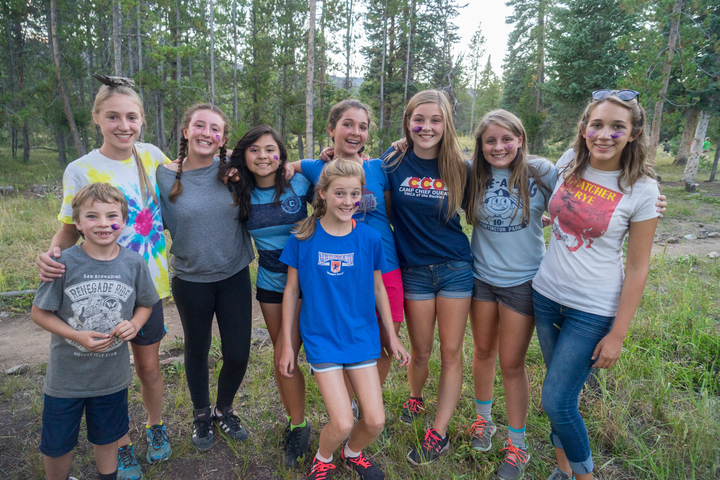 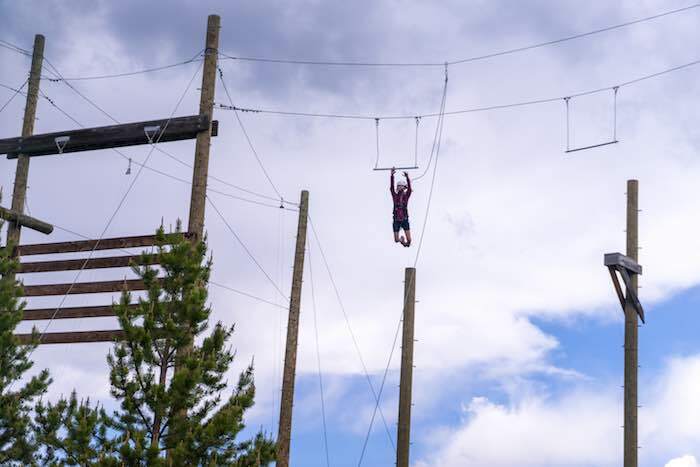 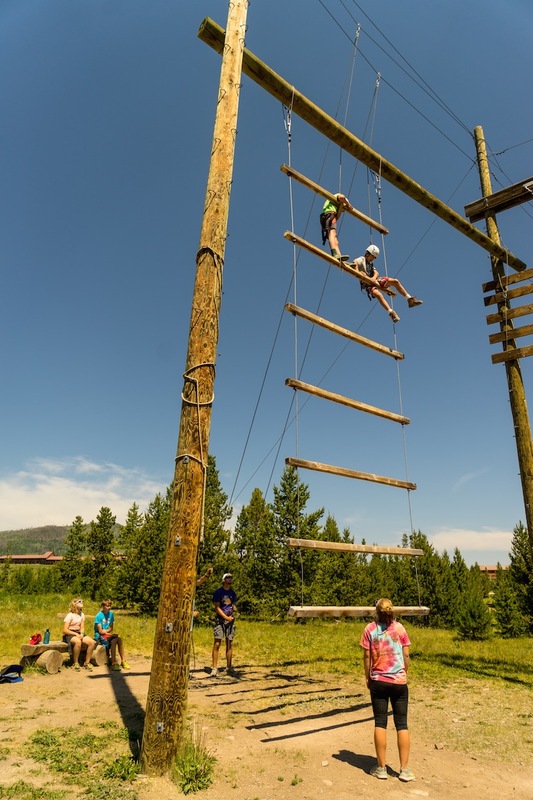 For more information about High Rider please call the camp office 970-887-2648.